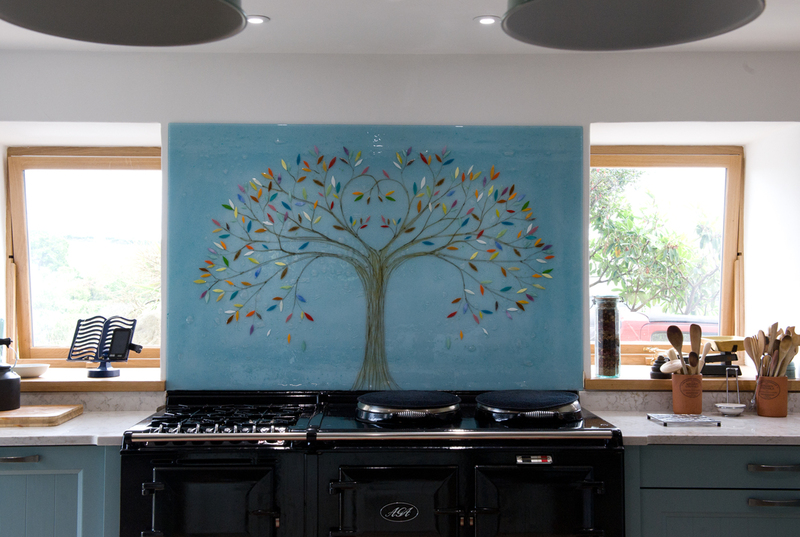 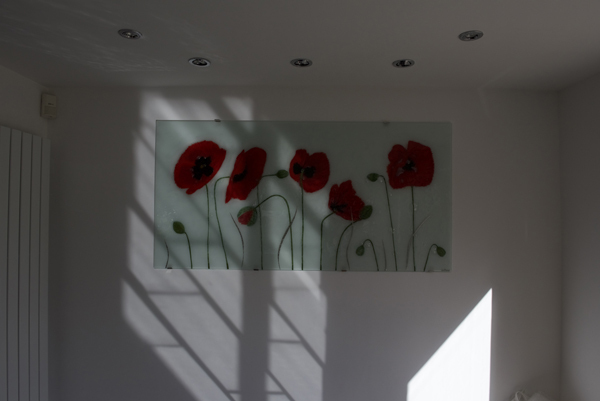 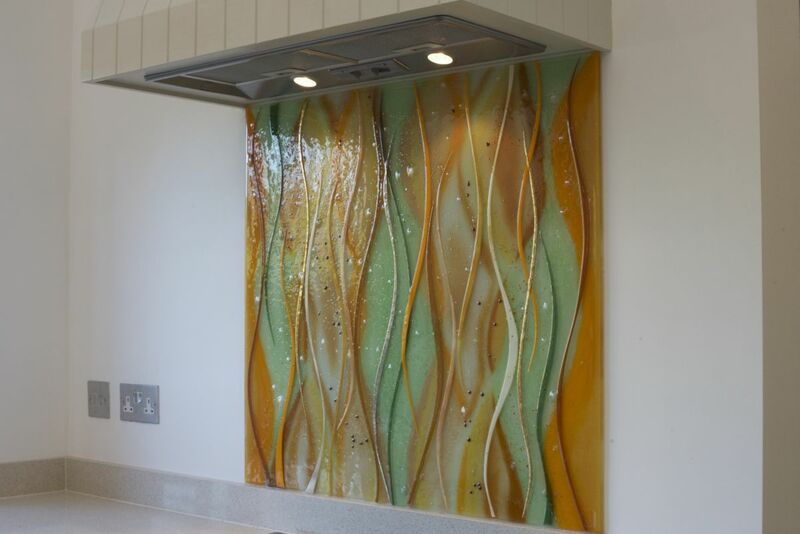 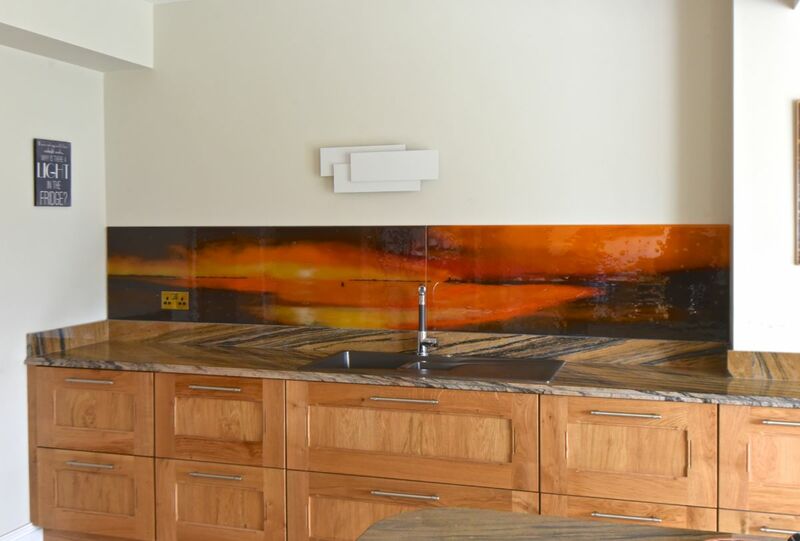 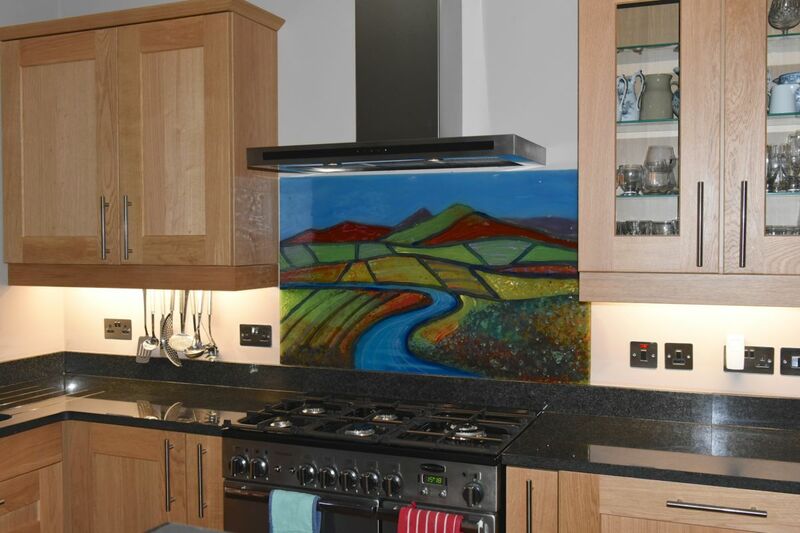 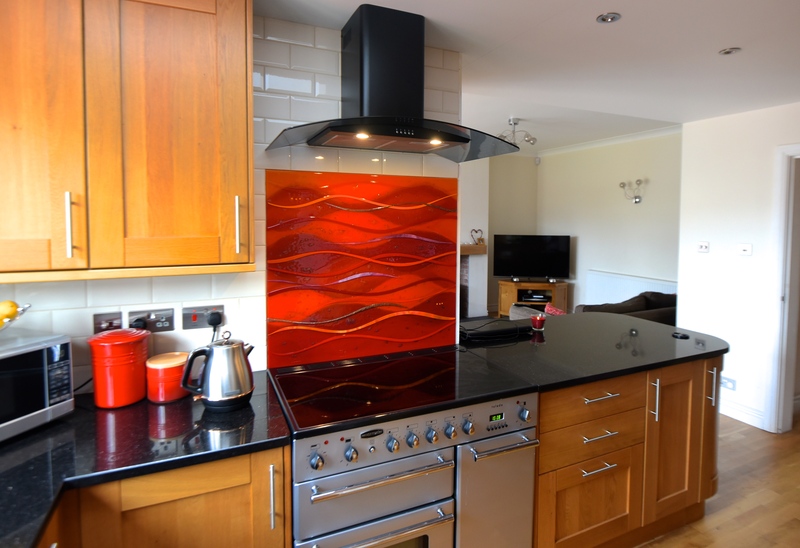 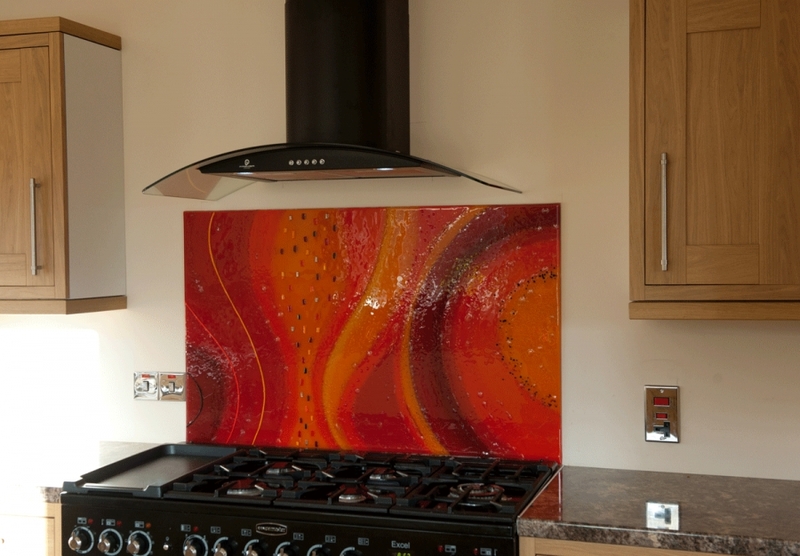 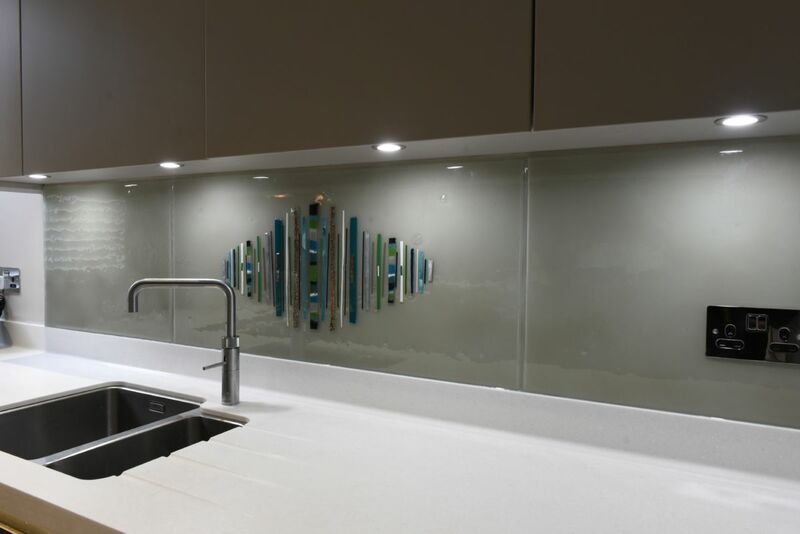 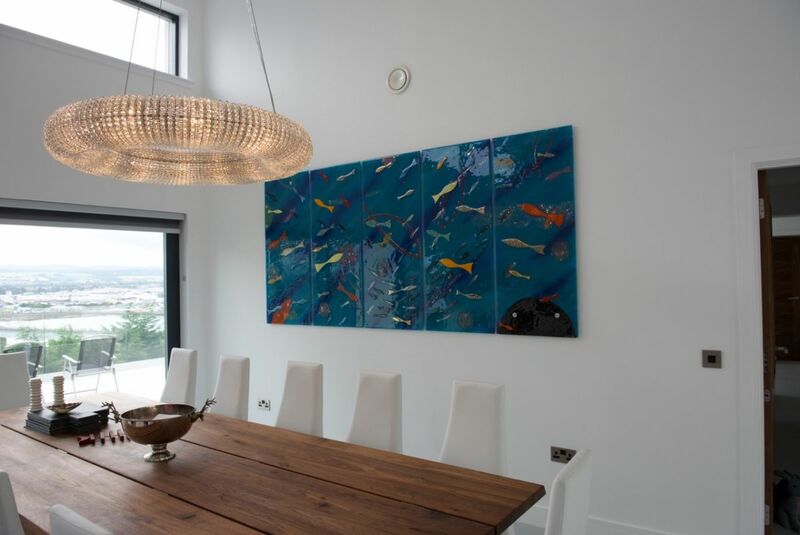 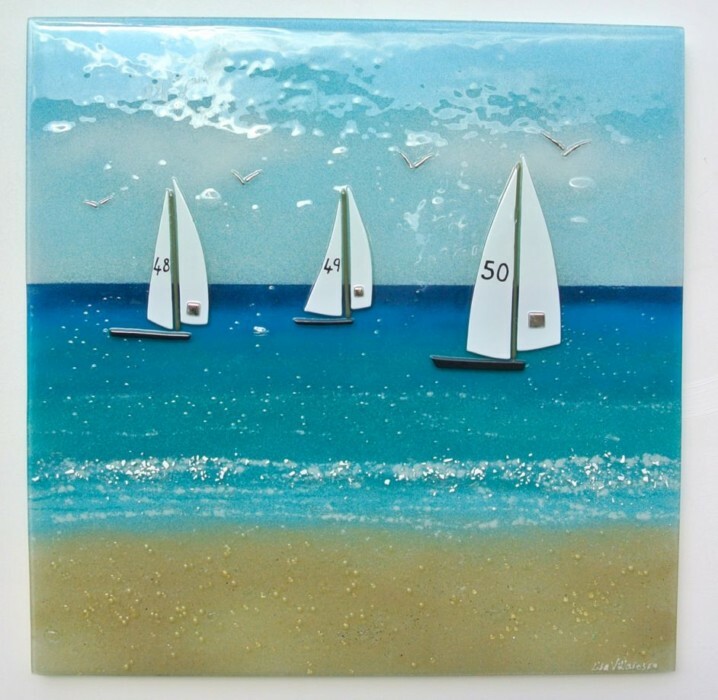 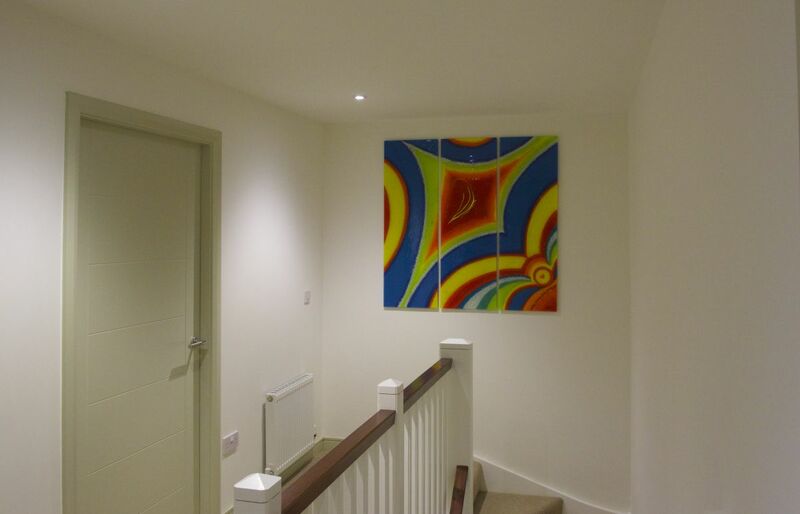 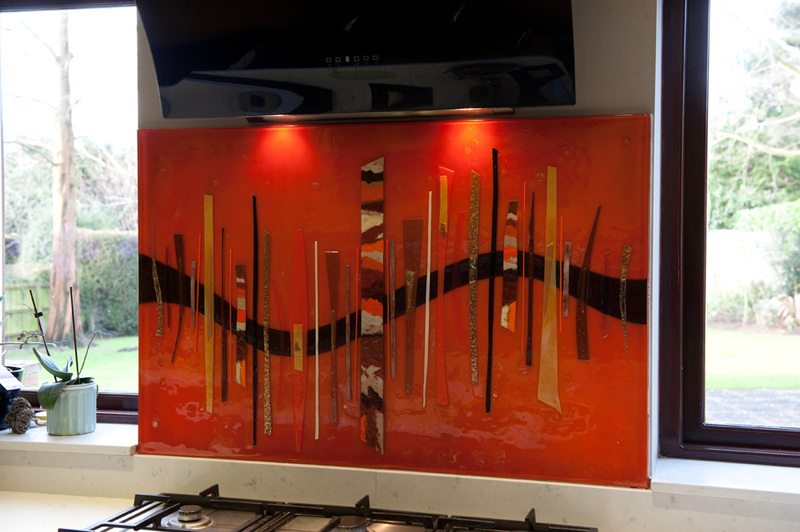 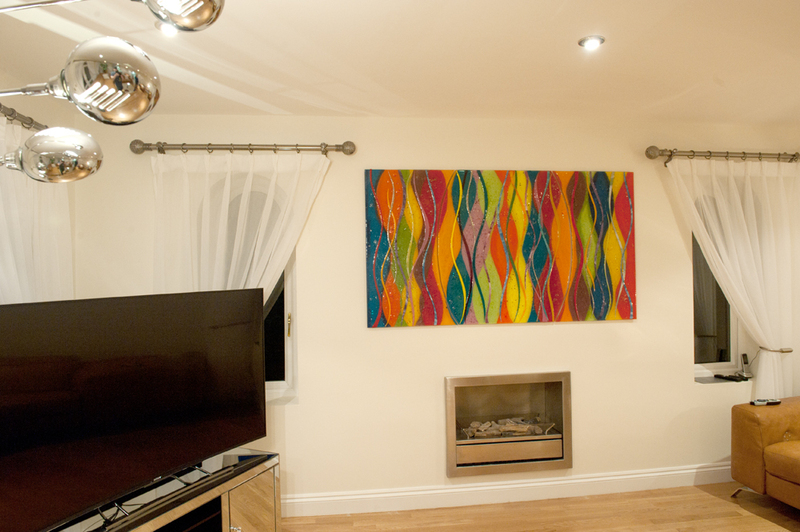 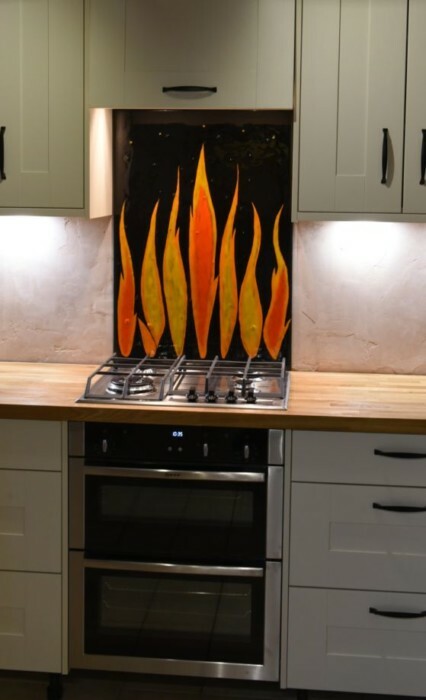 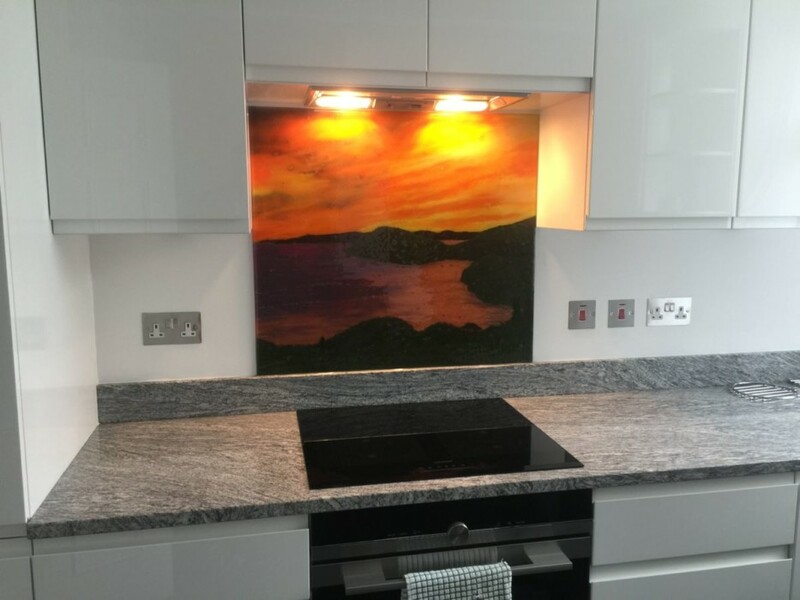 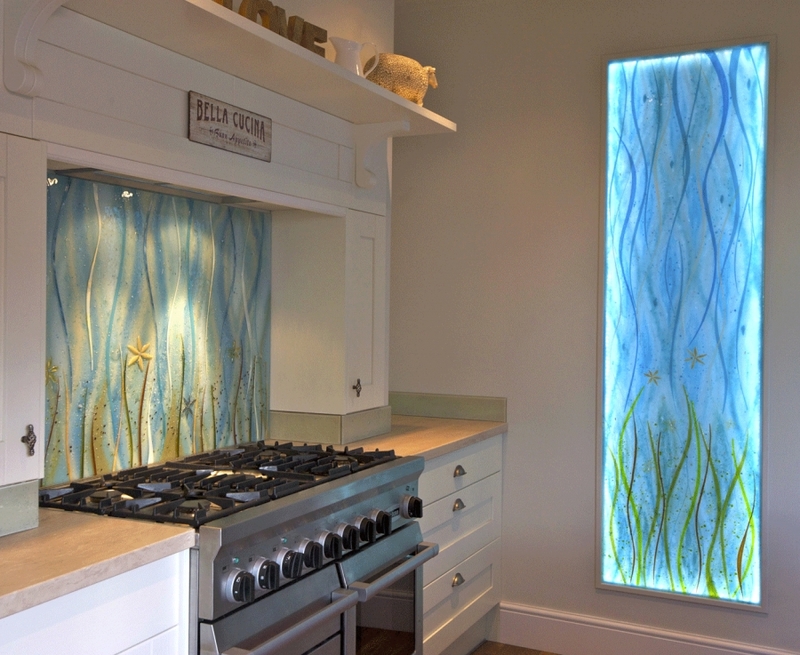 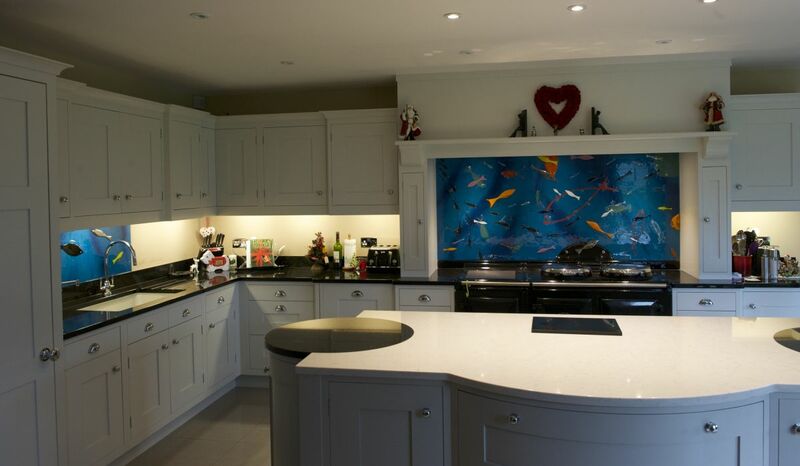 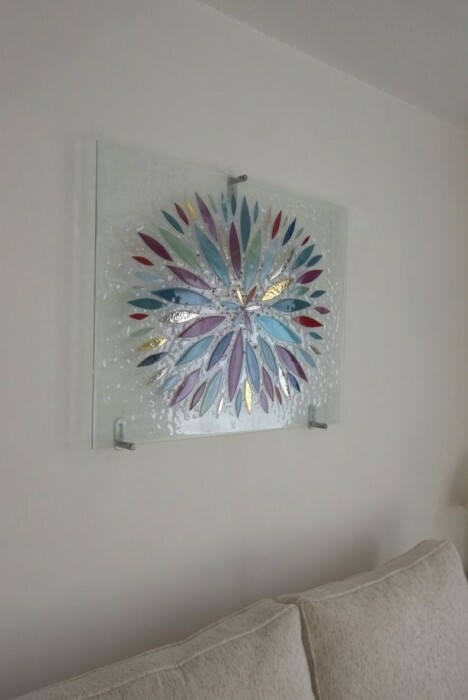 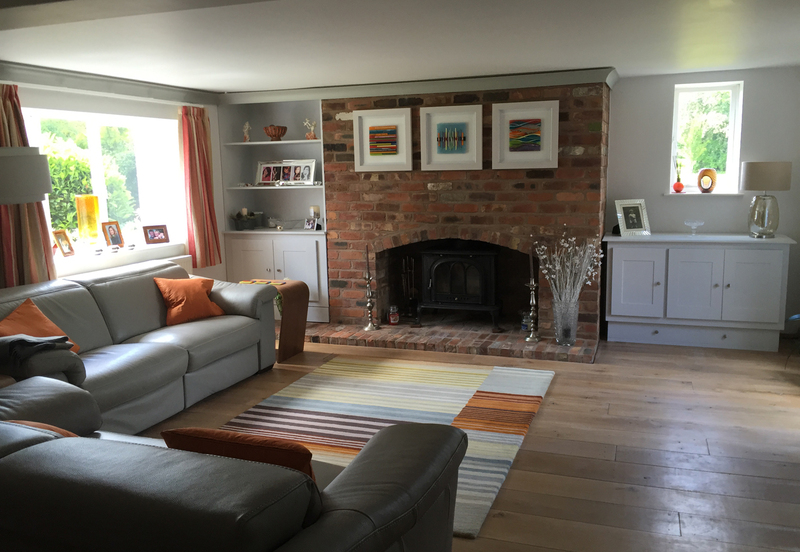 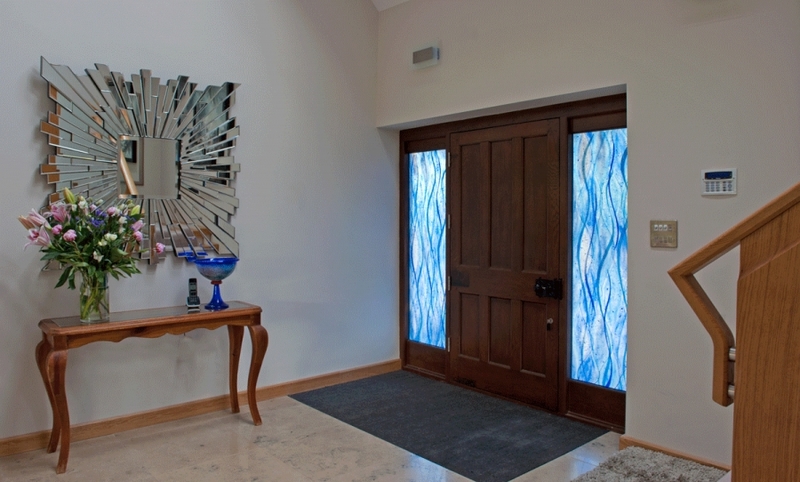 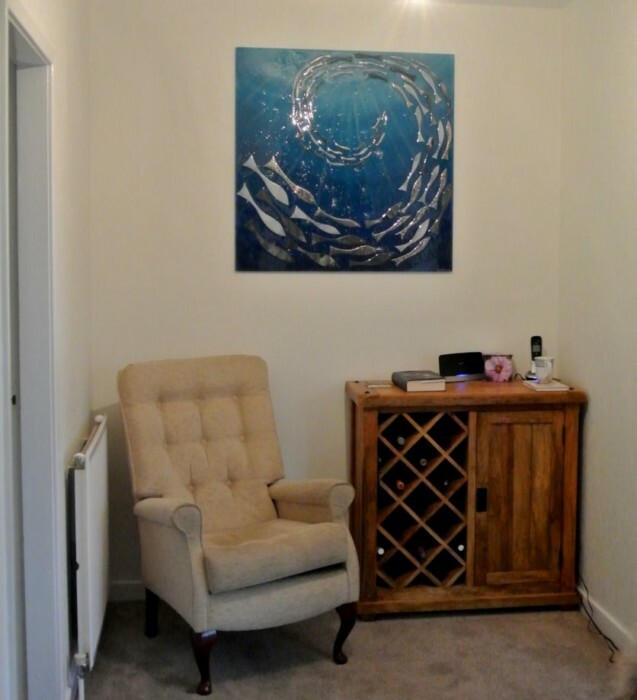 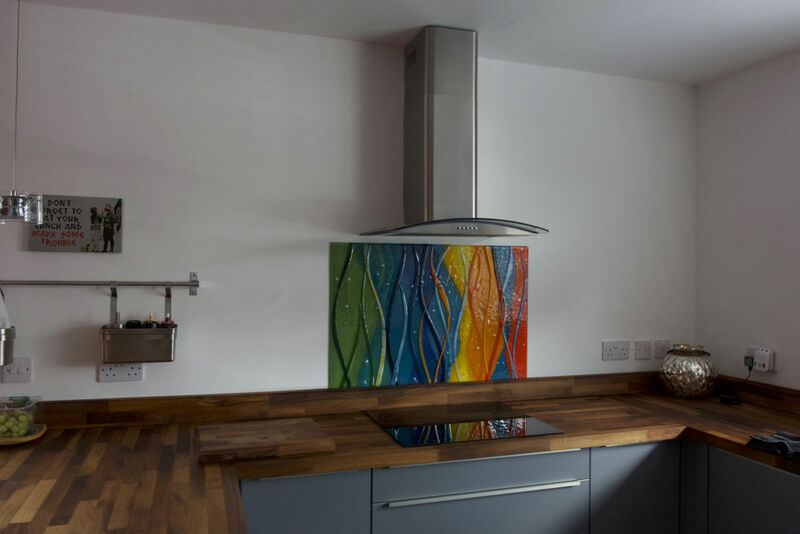 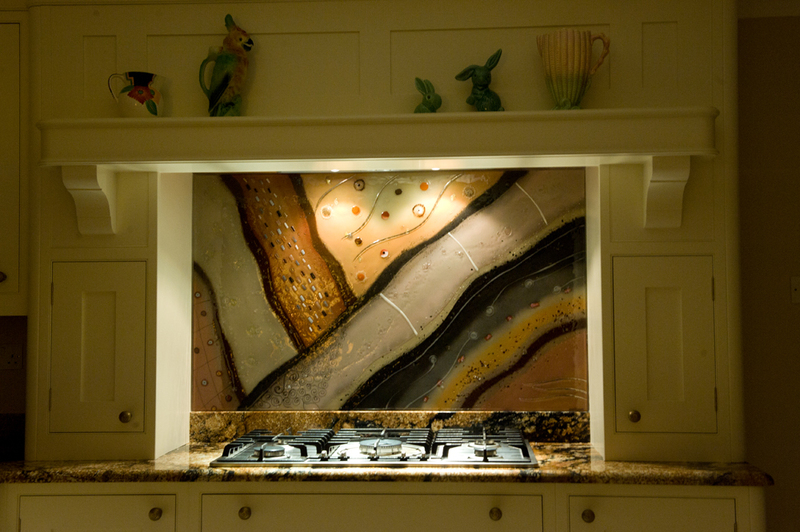 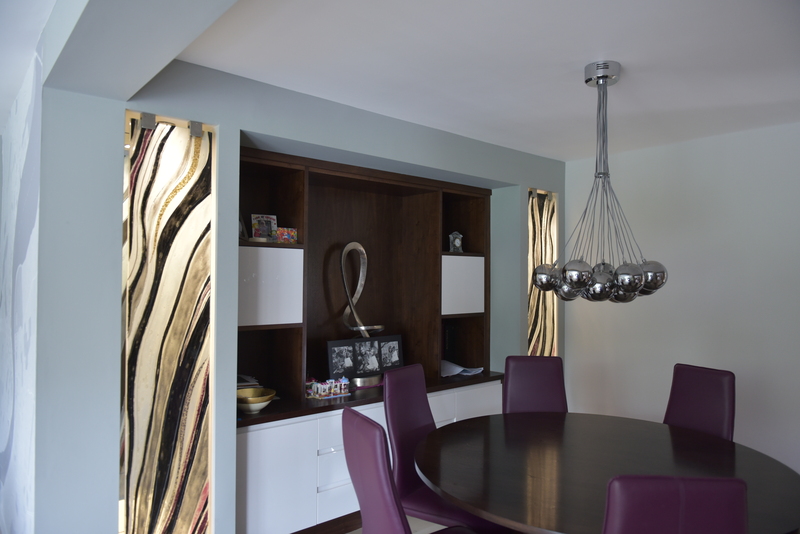 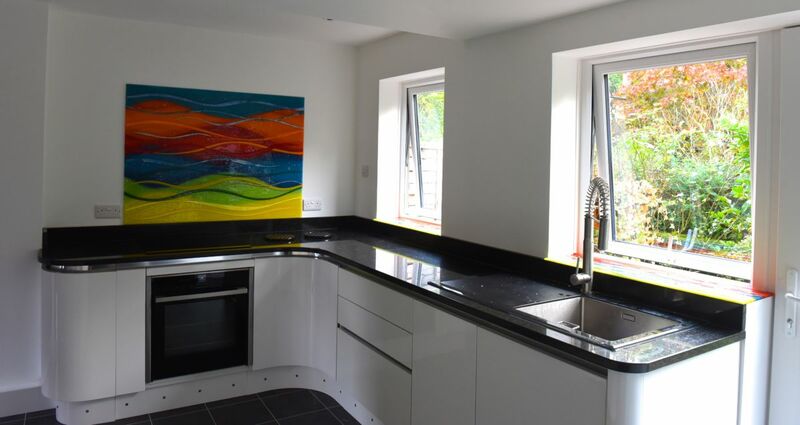 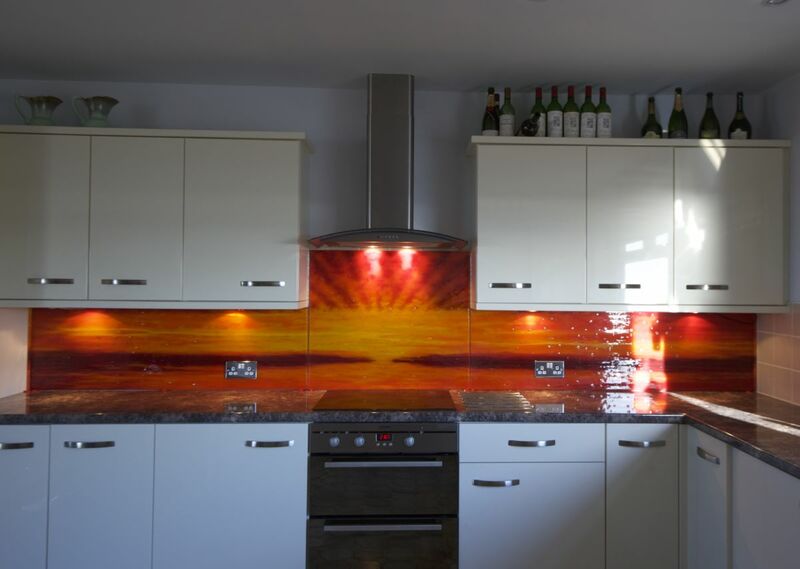 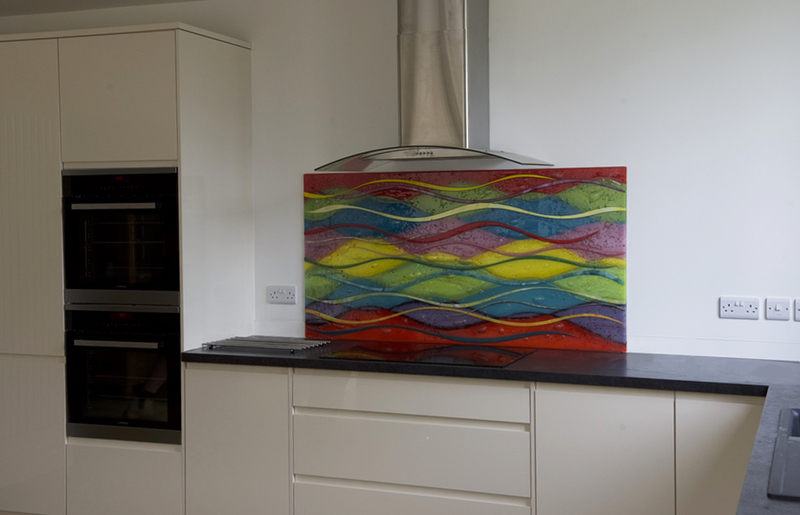 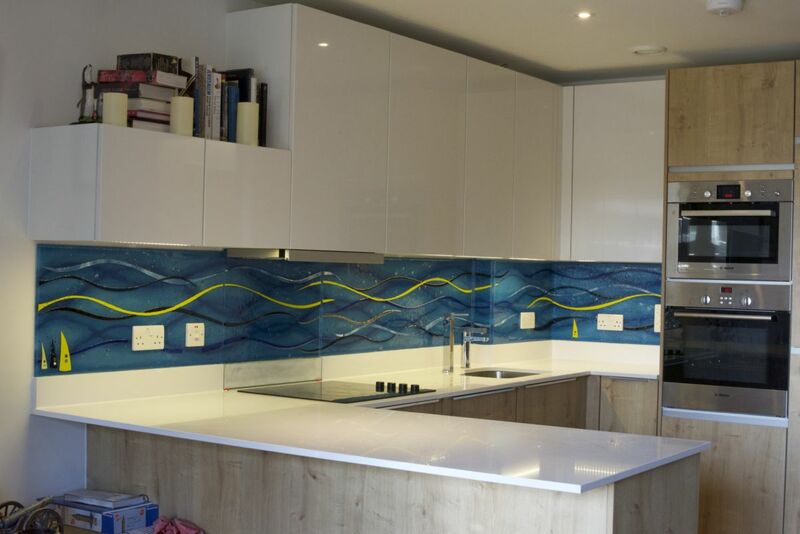 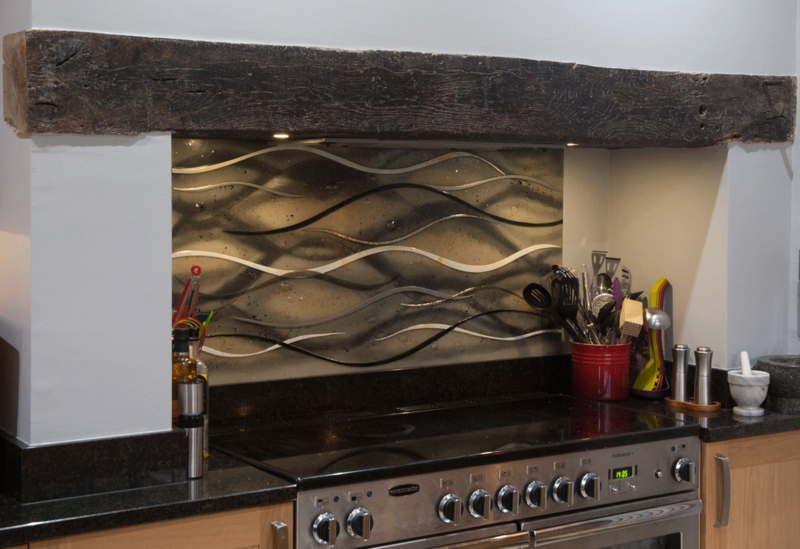 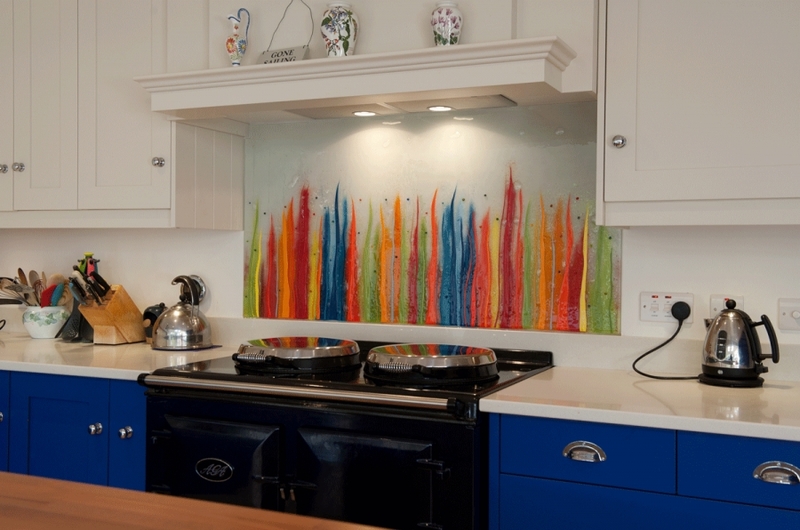 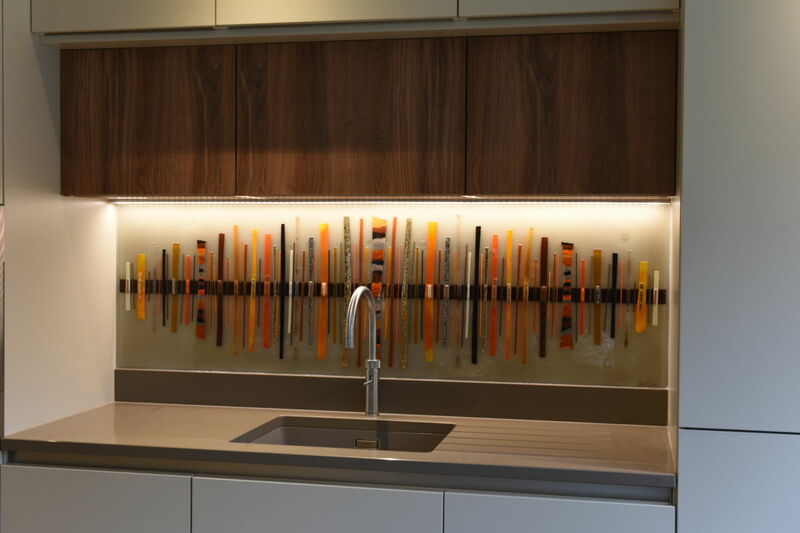 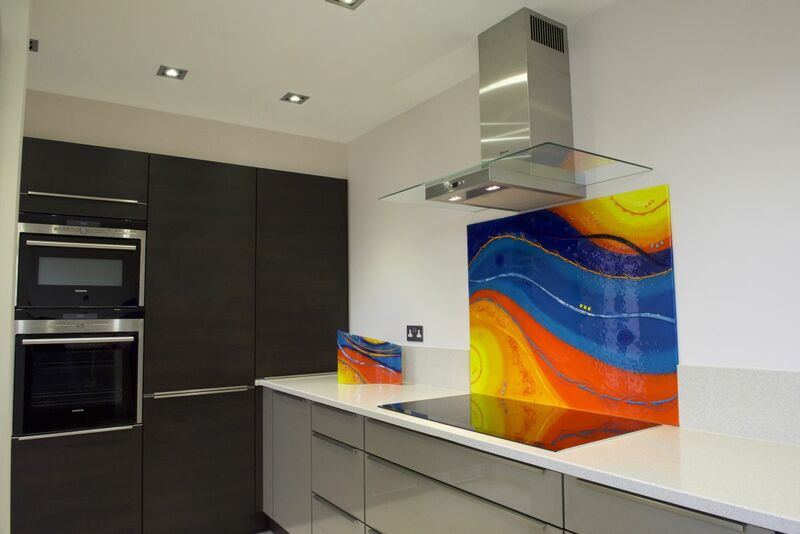 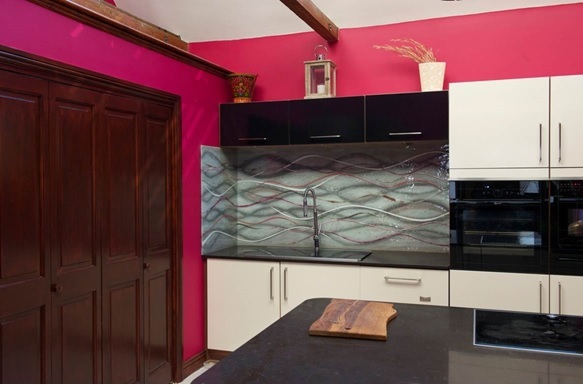 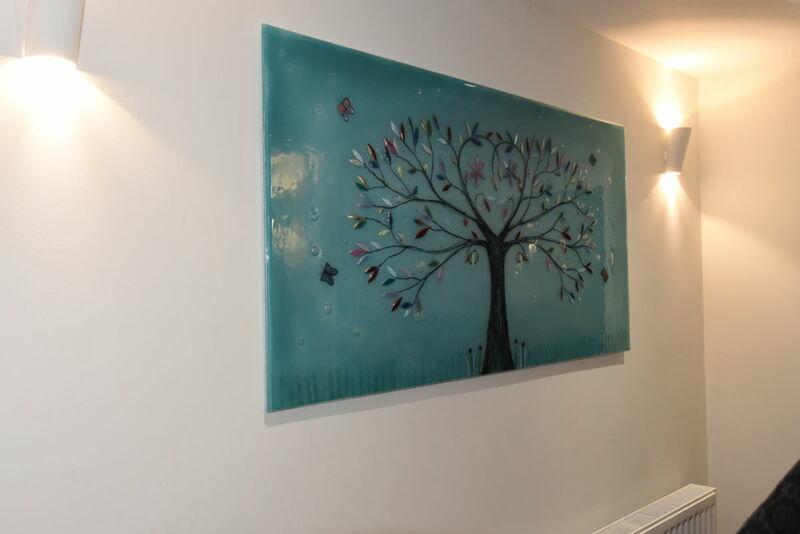 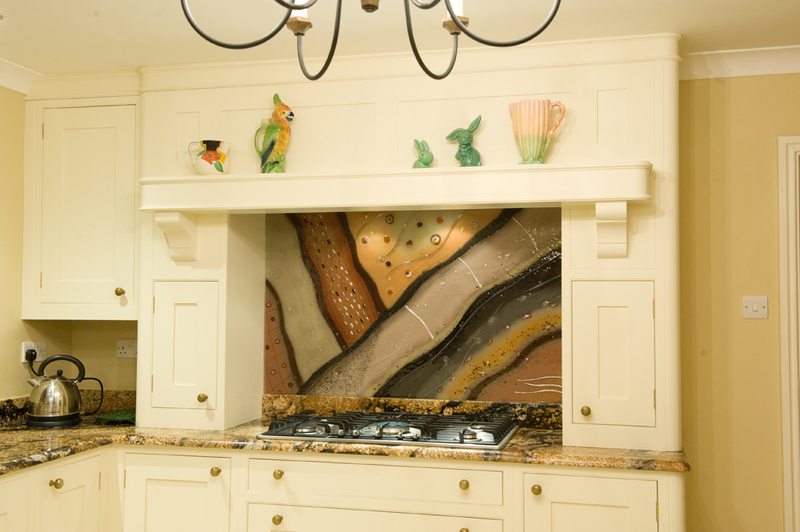 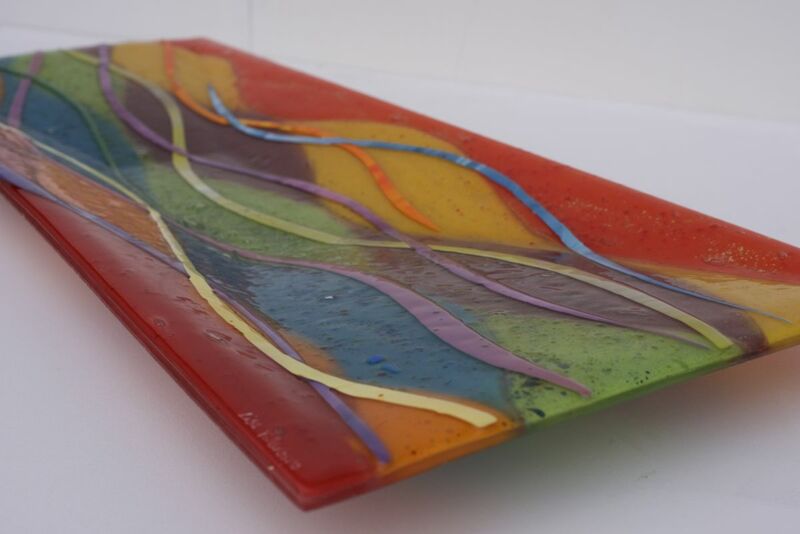 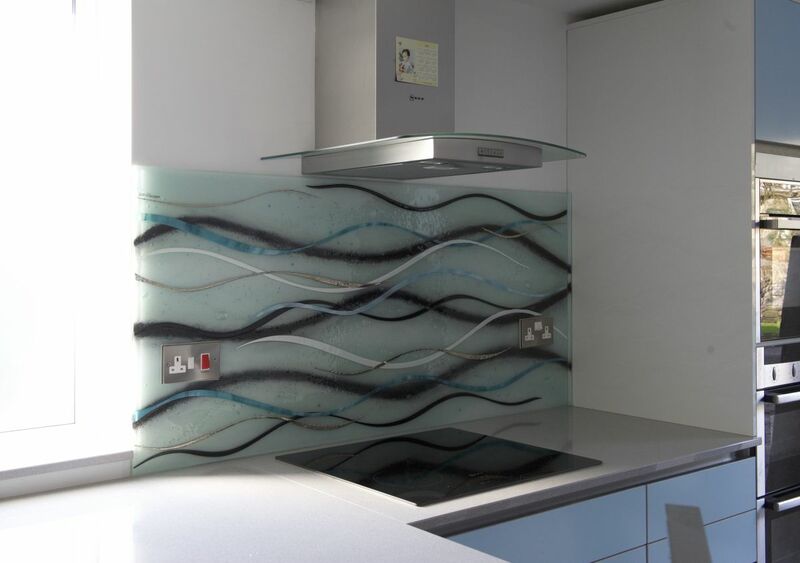 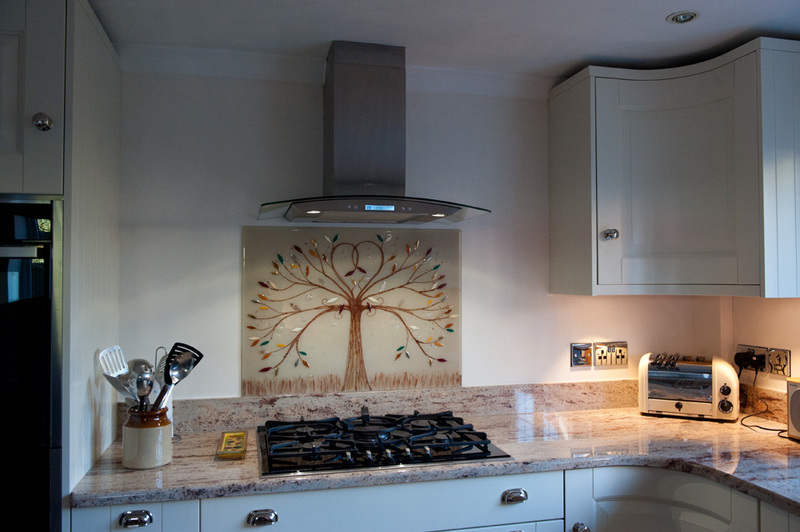 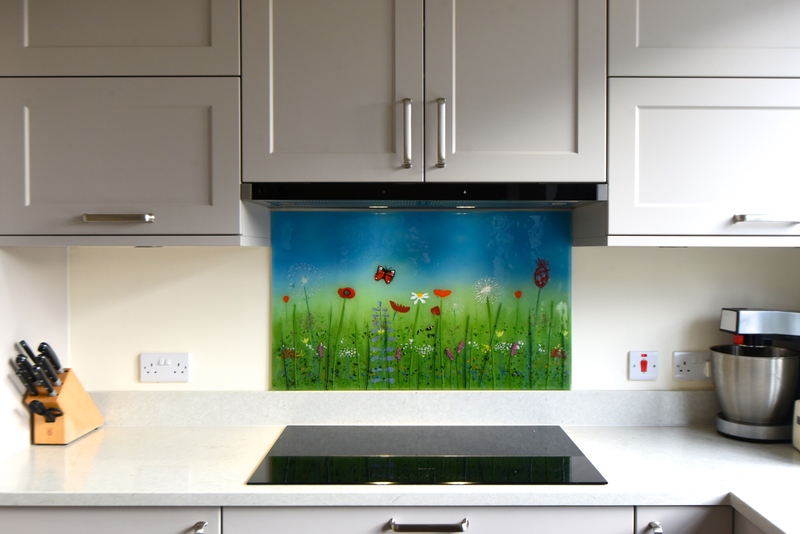 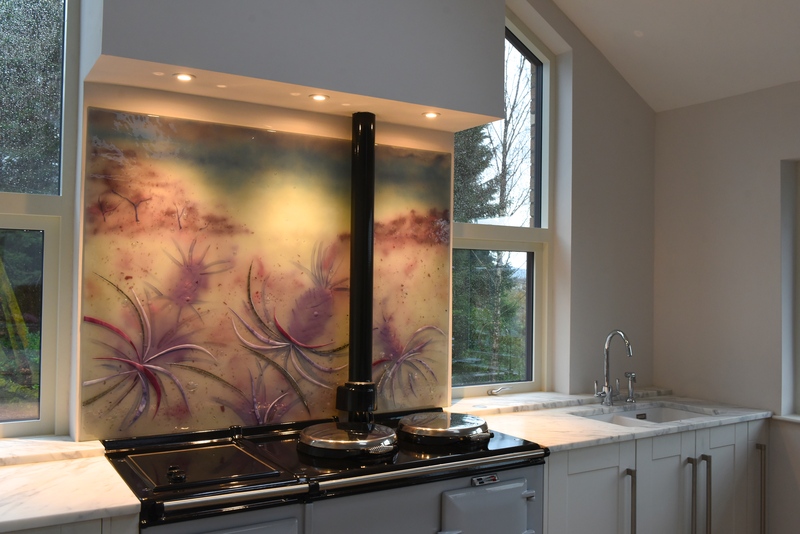 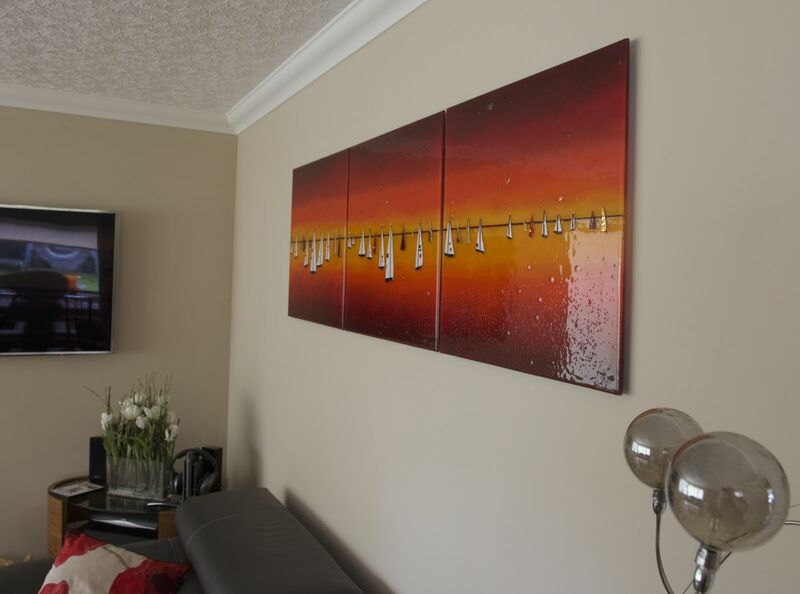 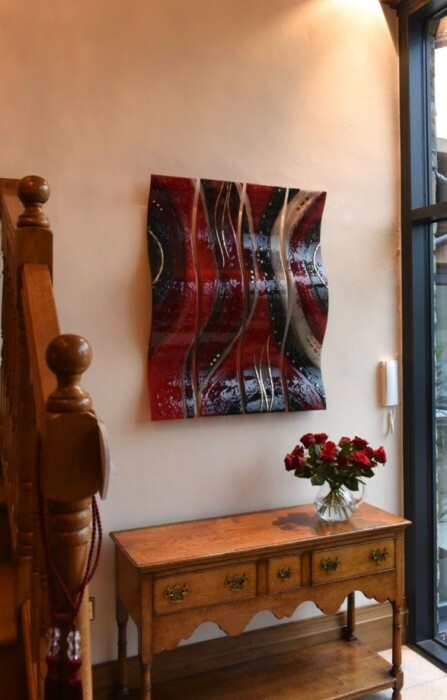 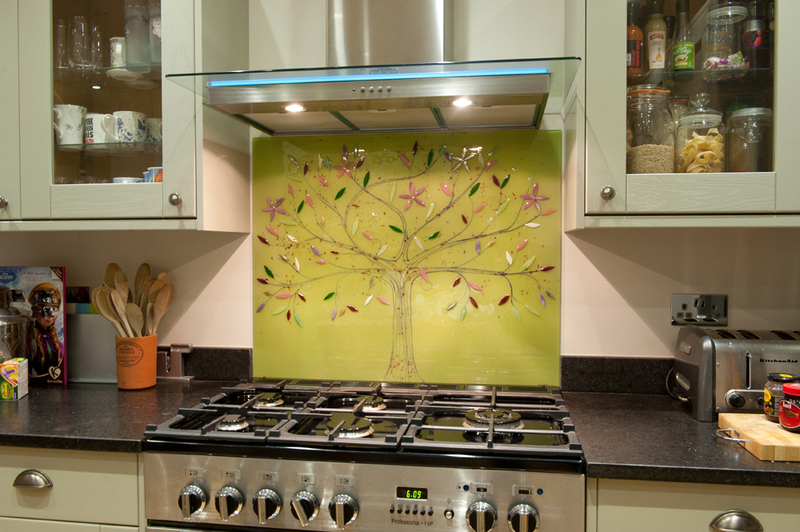 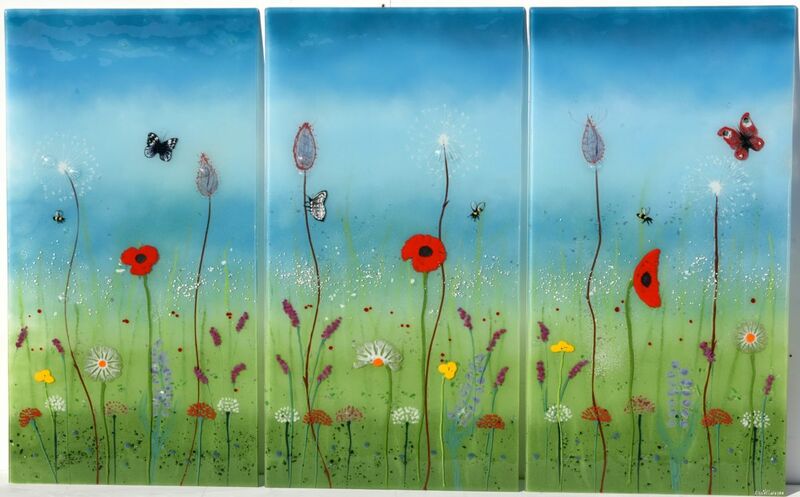 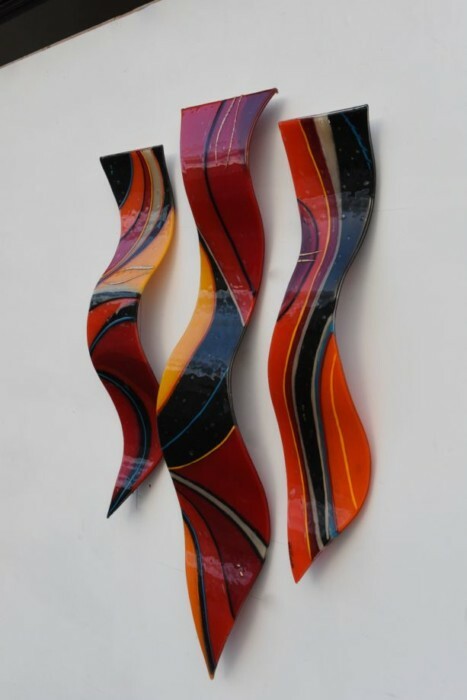 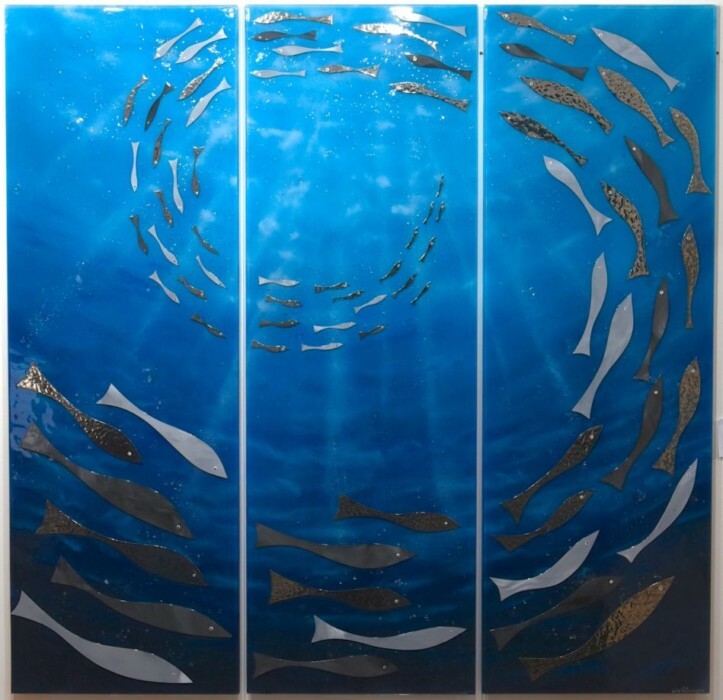 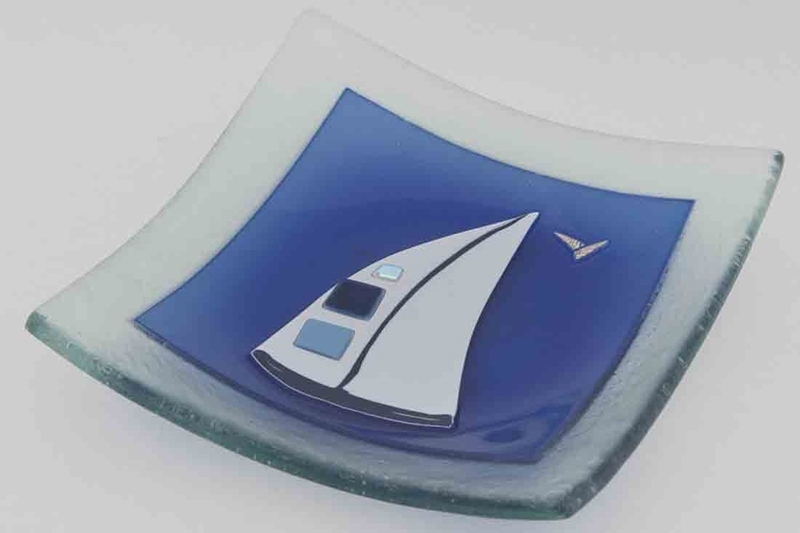 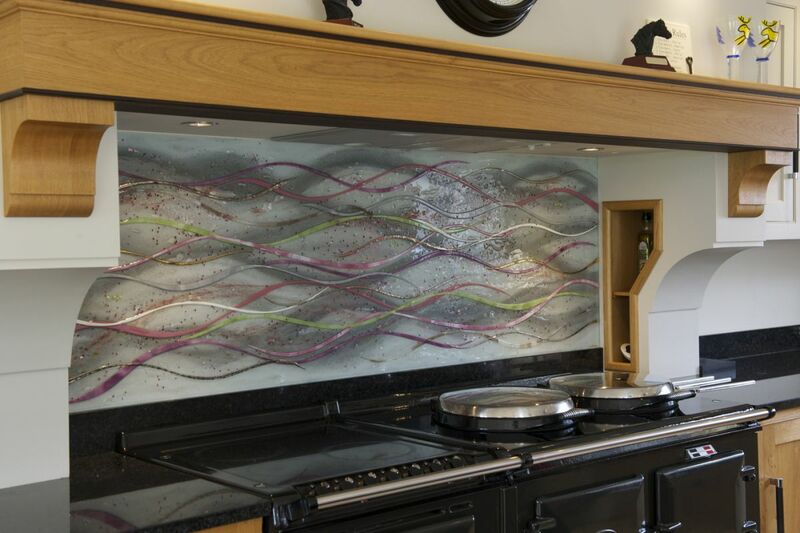 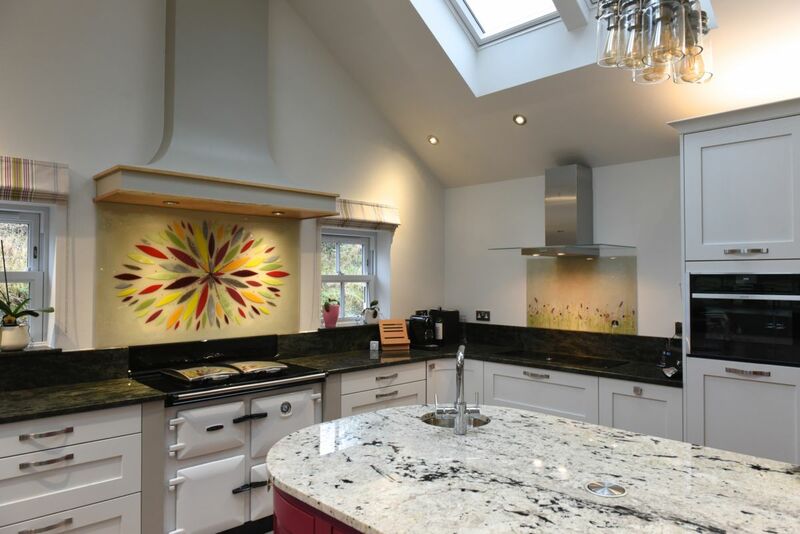 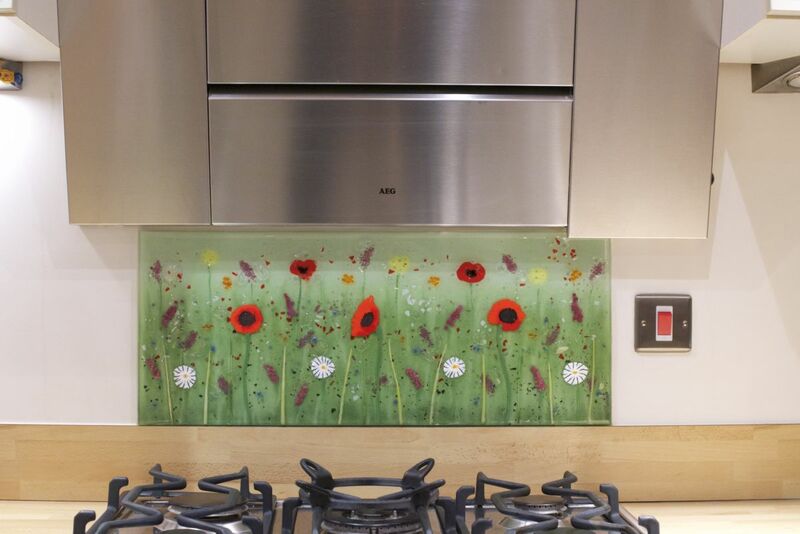 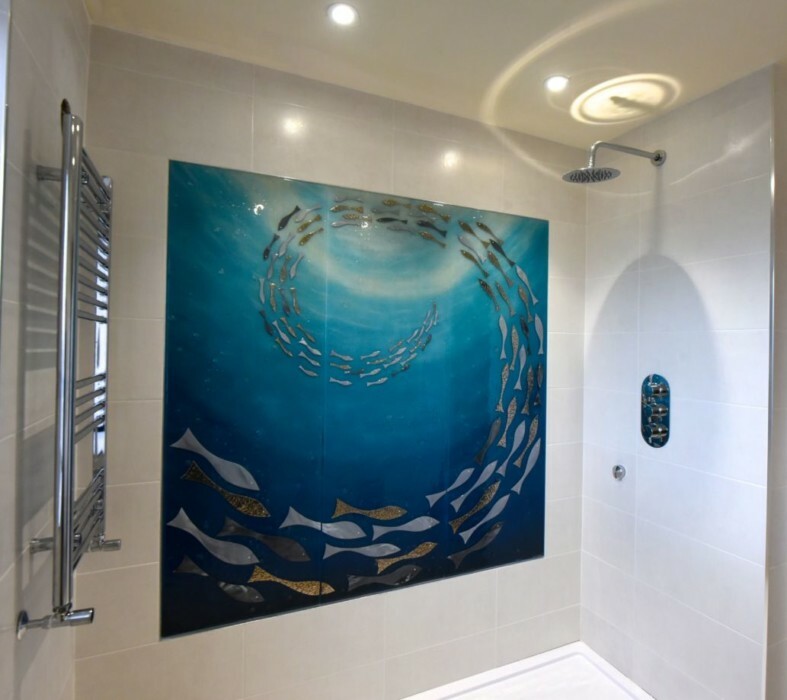 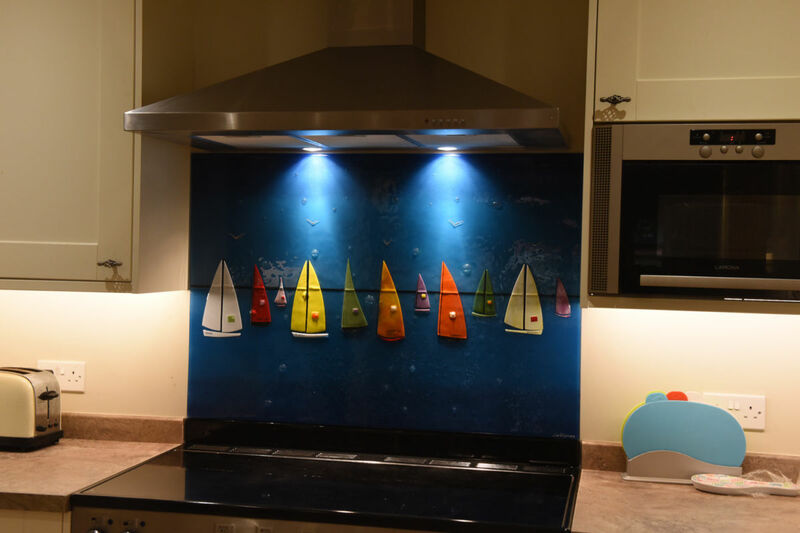 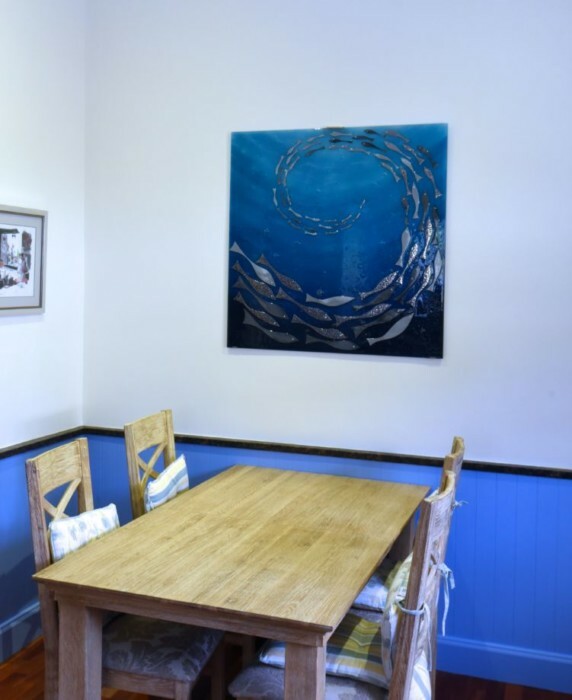 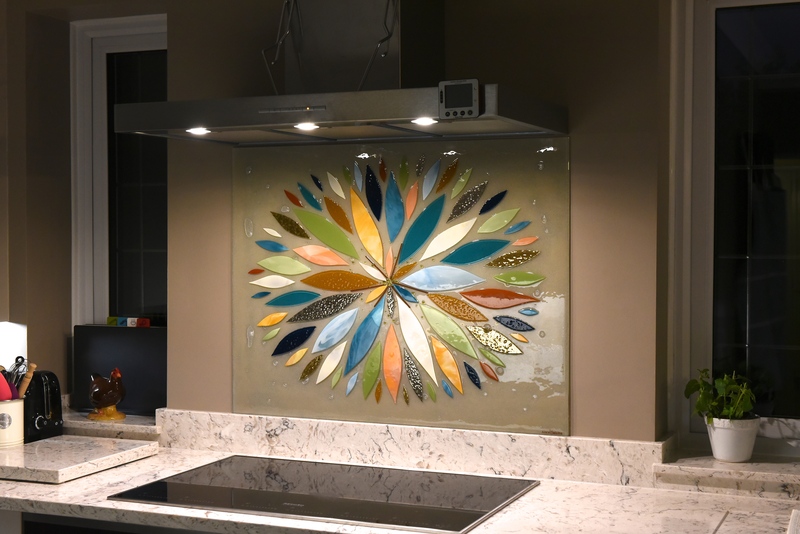 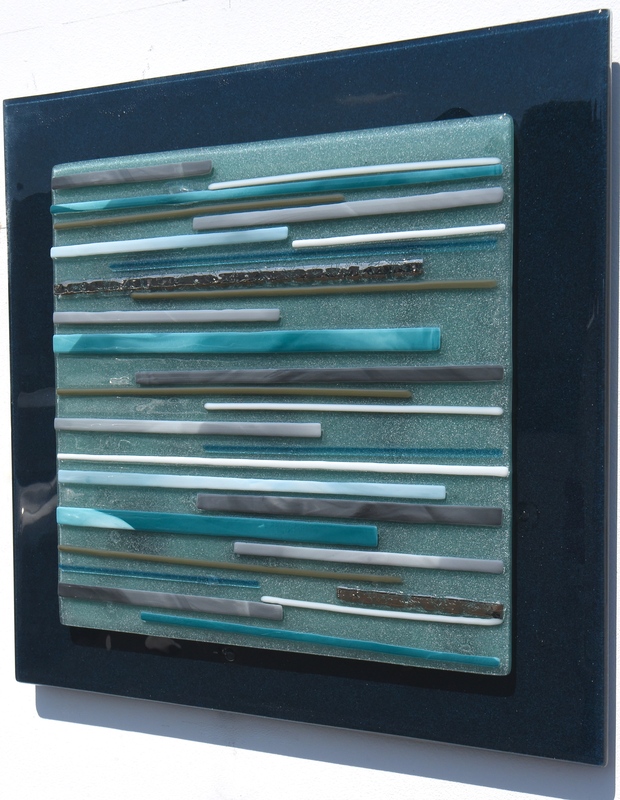 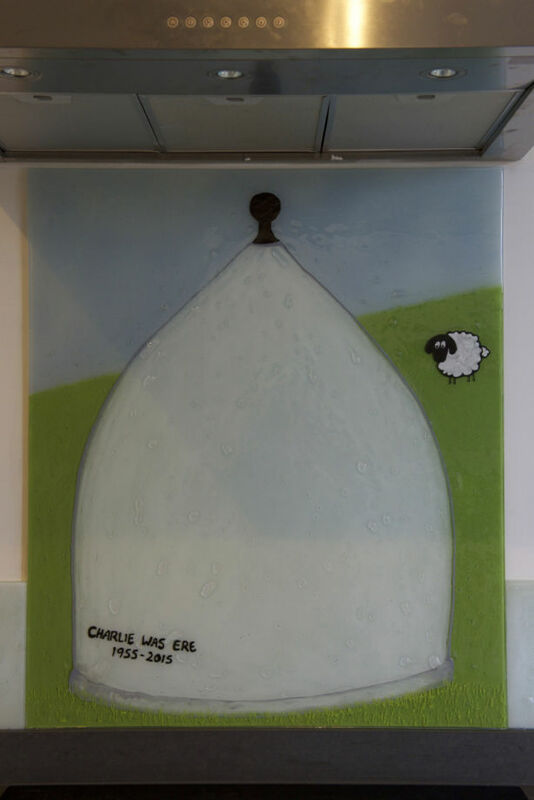 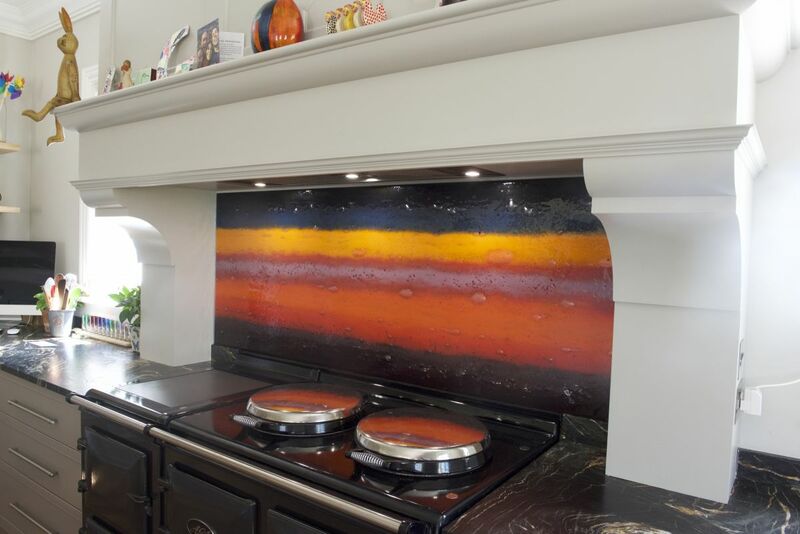 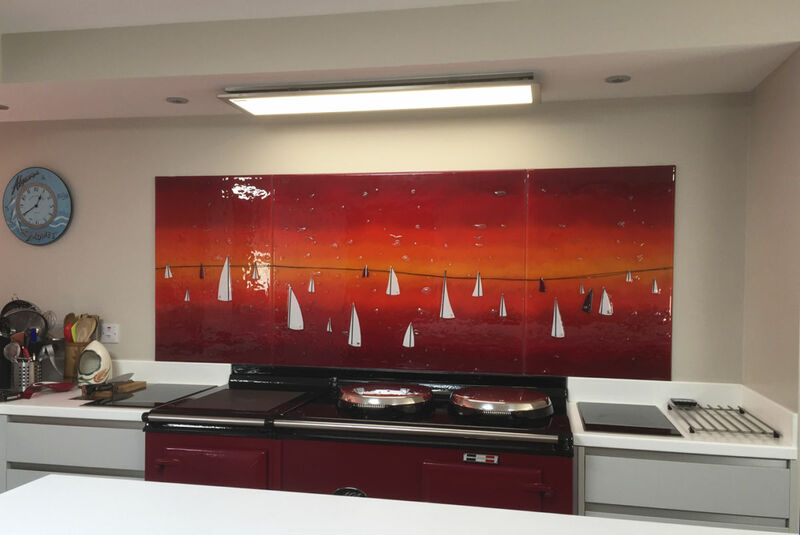 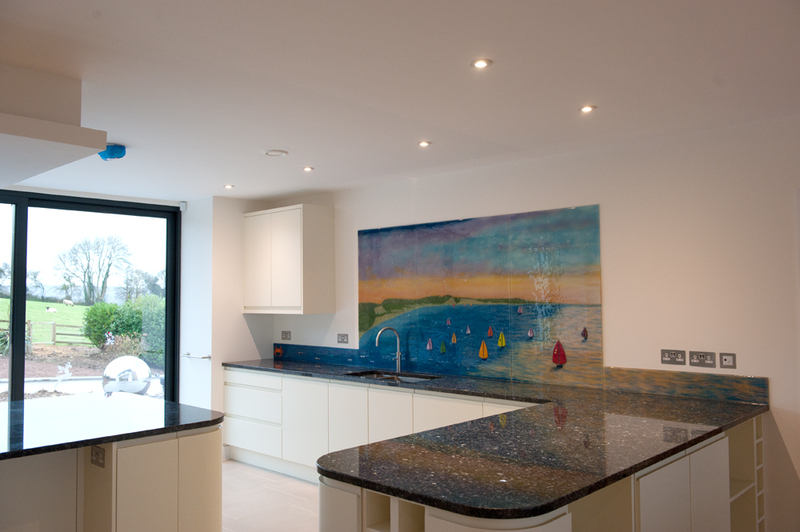 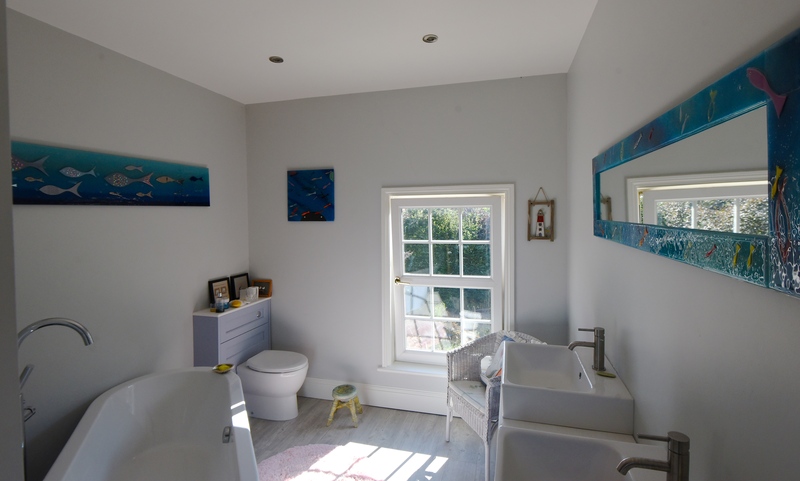 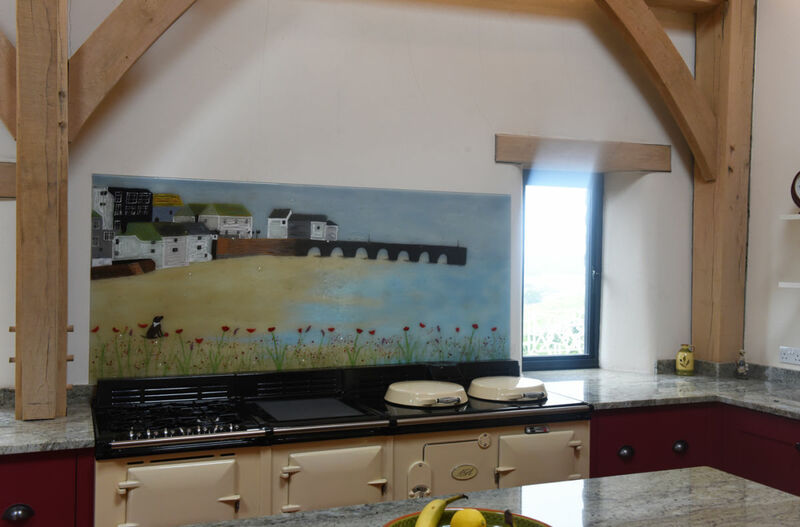 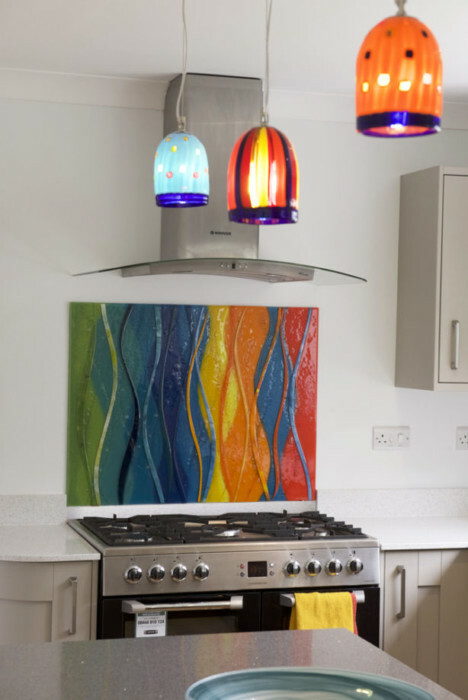 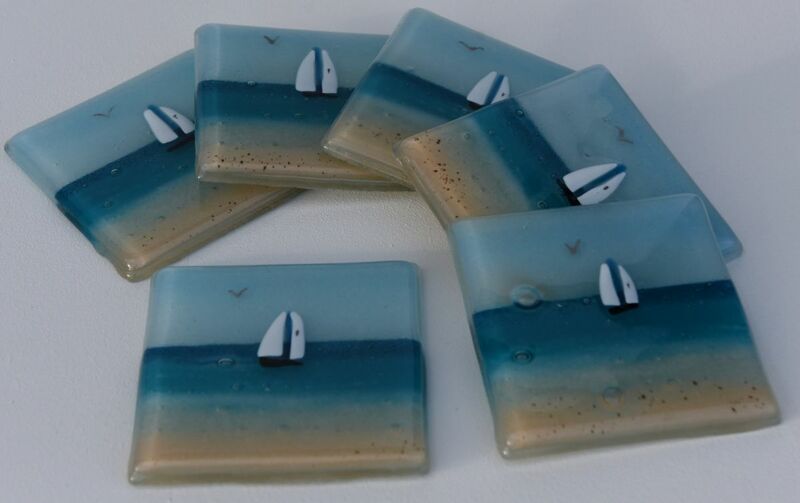 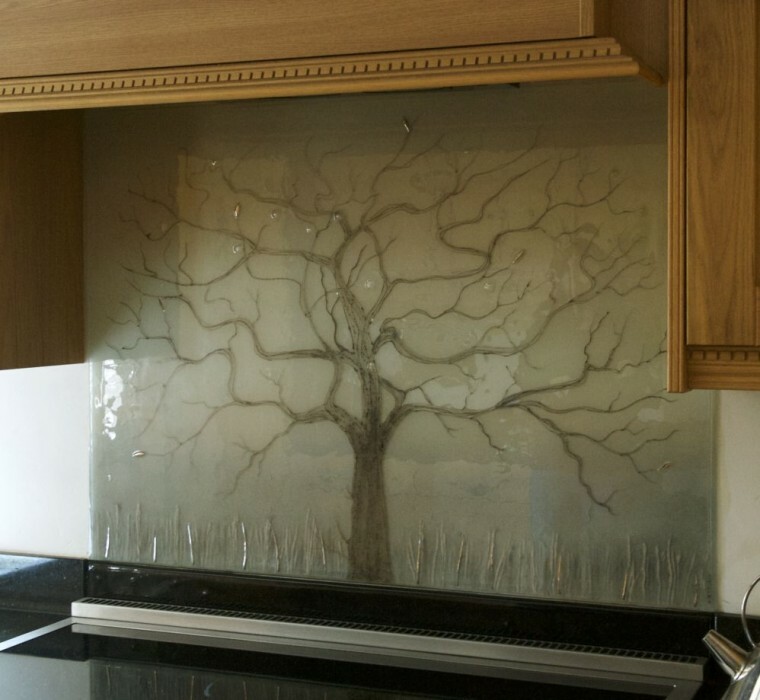 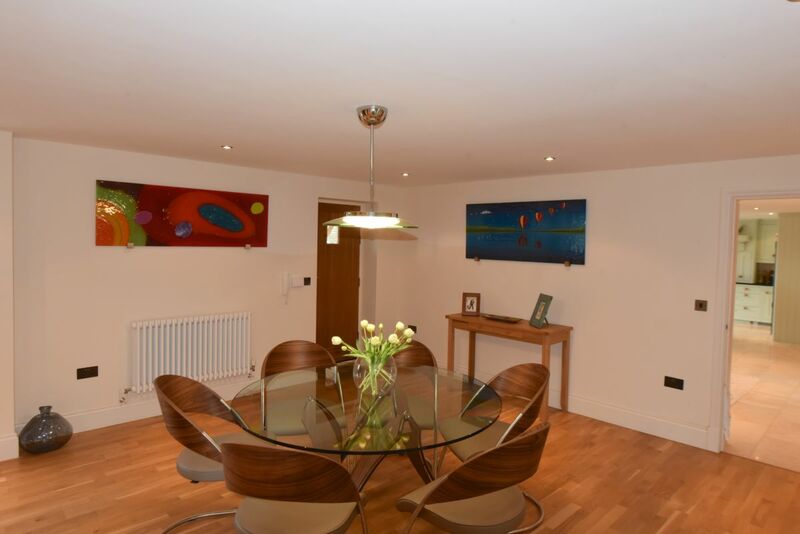 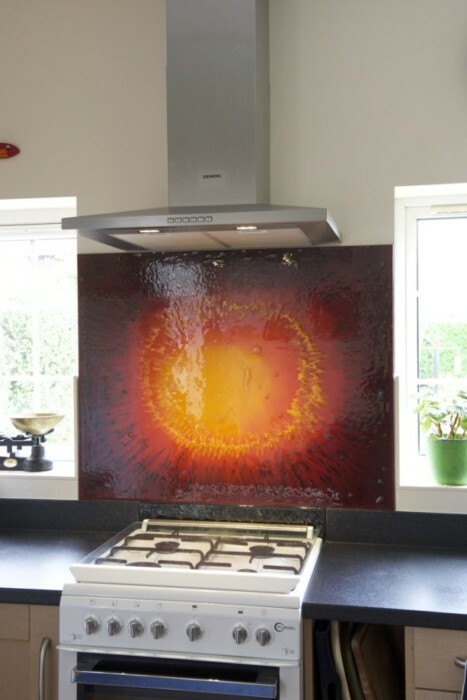 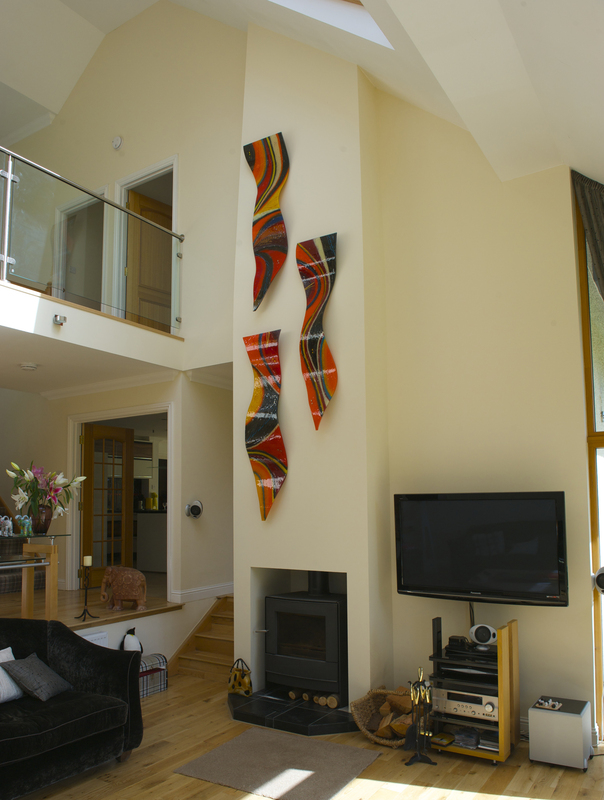 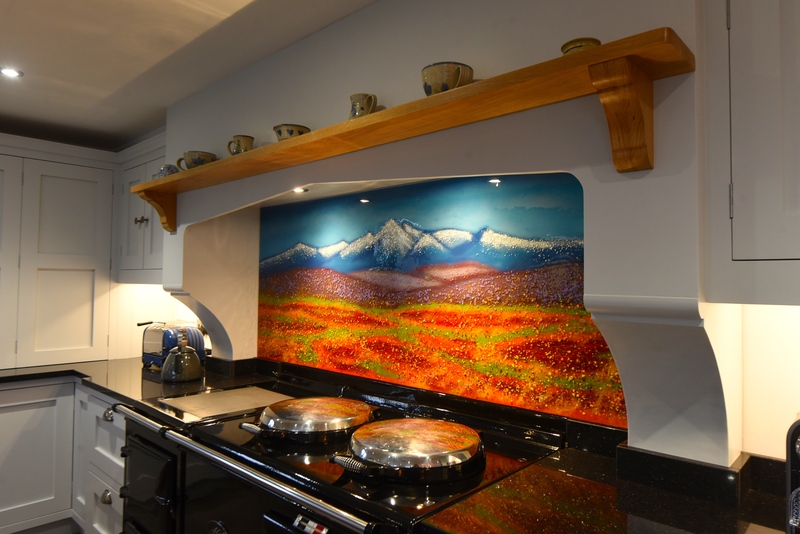 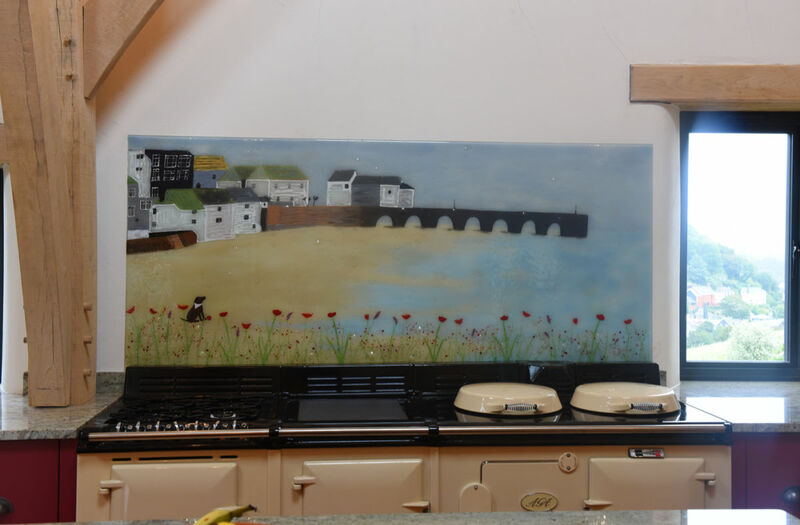 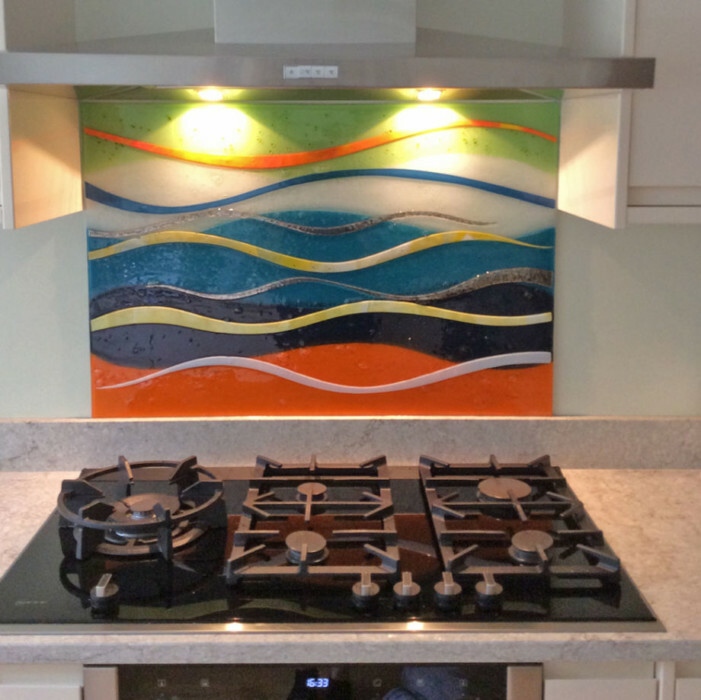 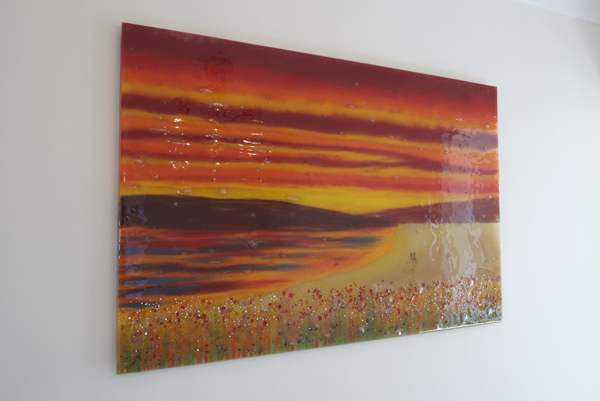 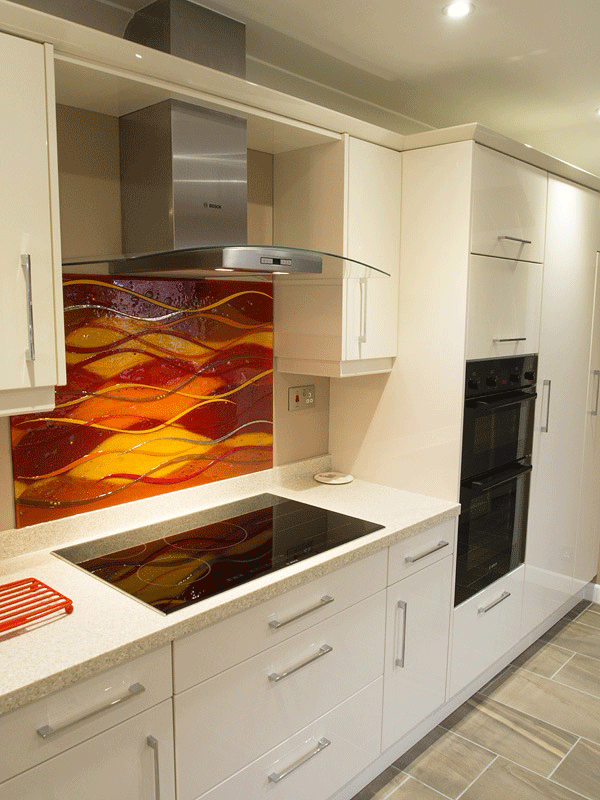 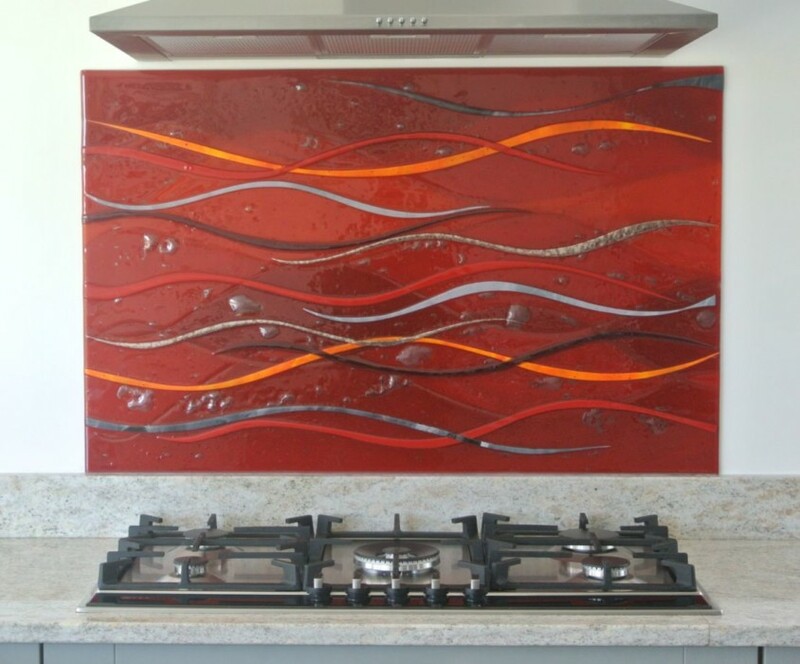 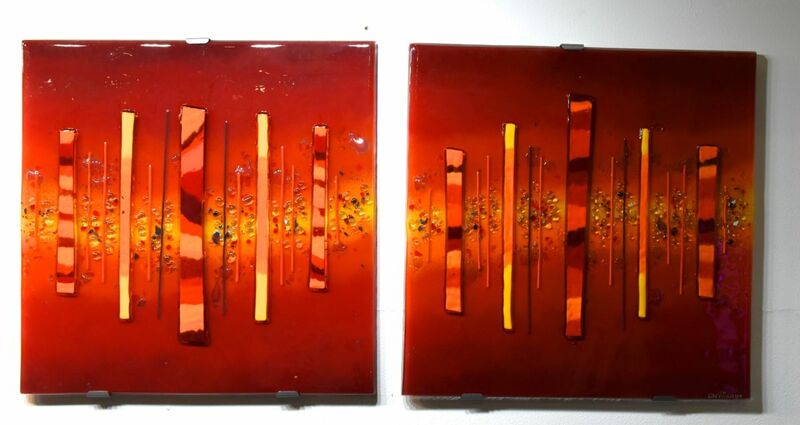 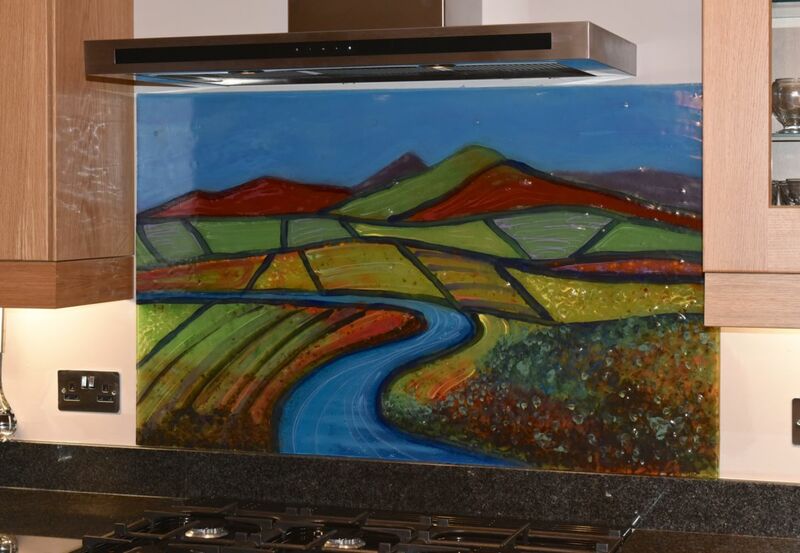 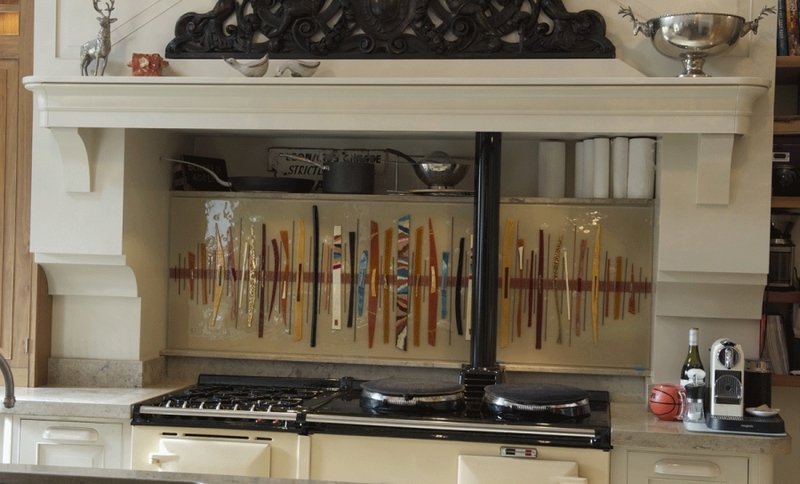 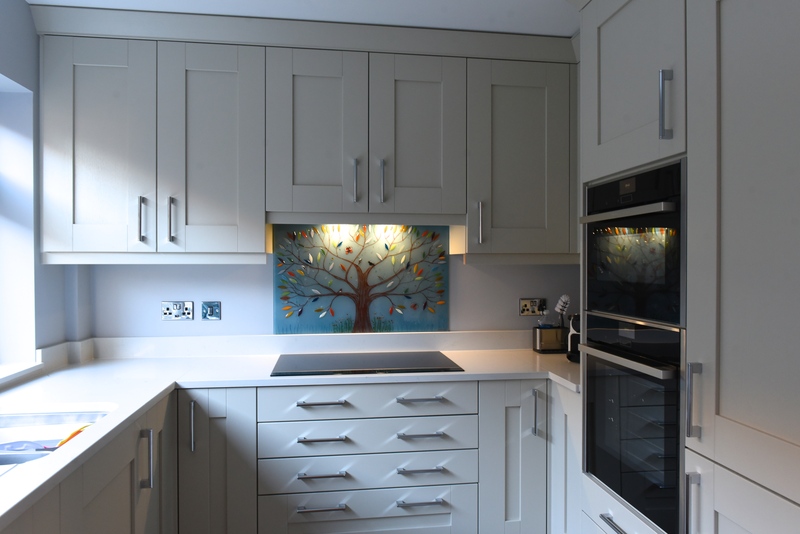 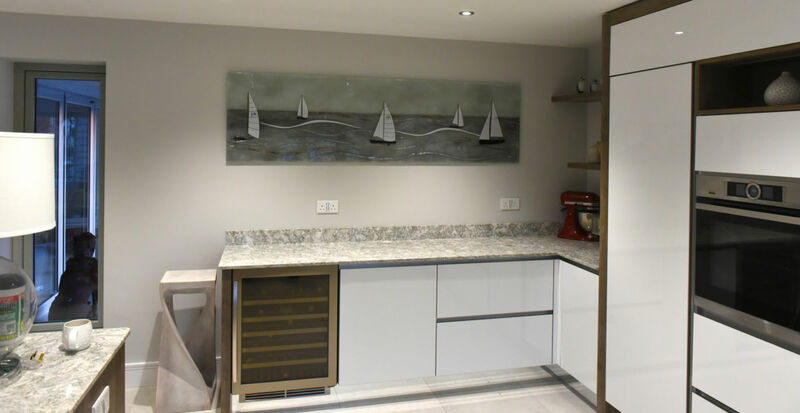 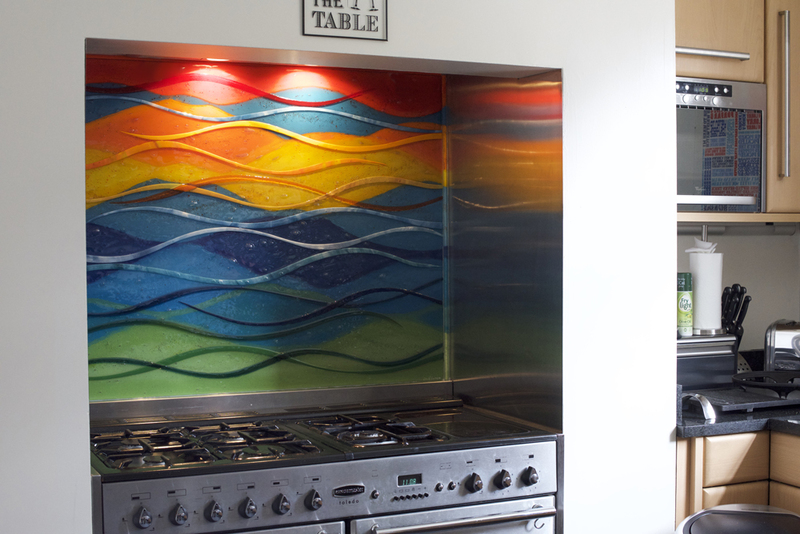 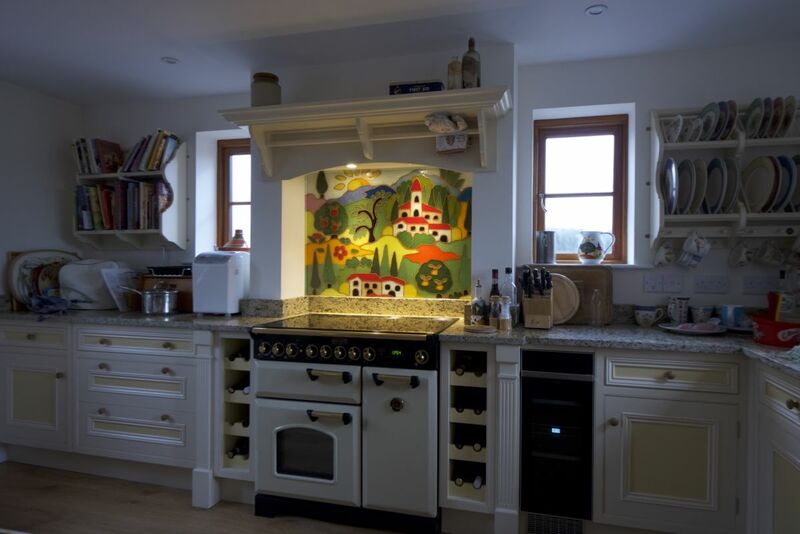 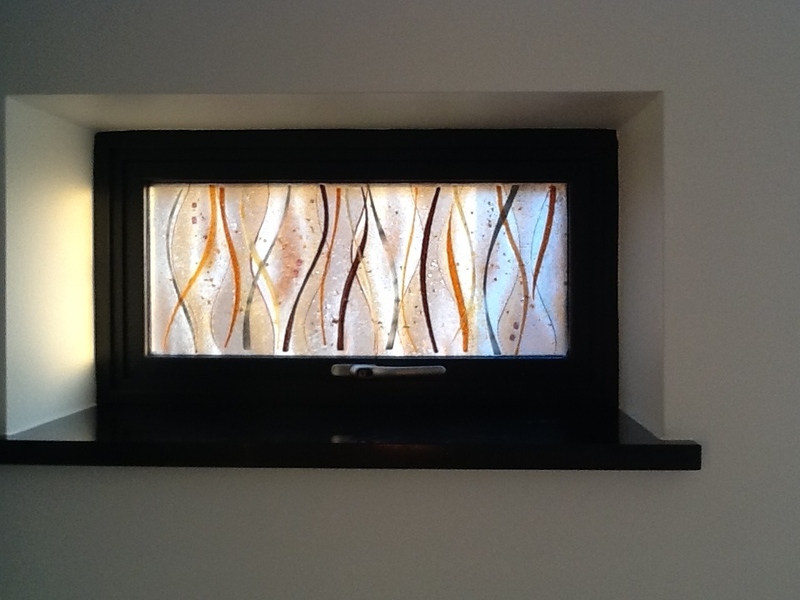 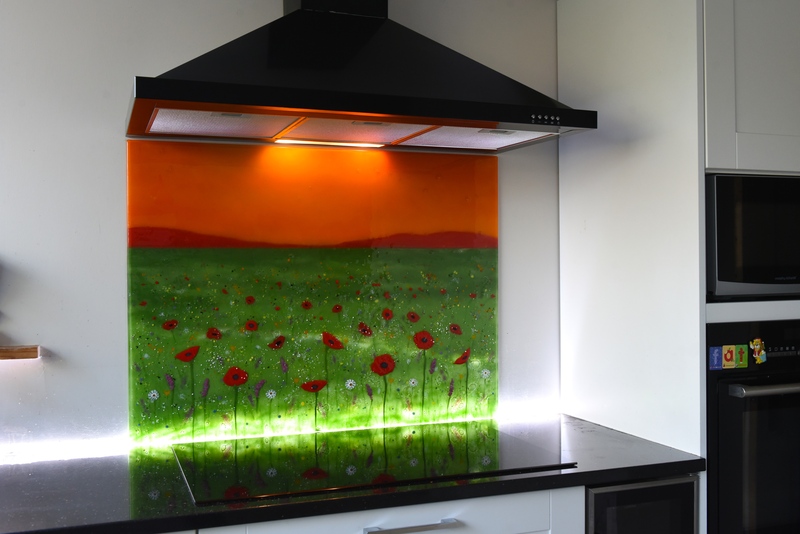 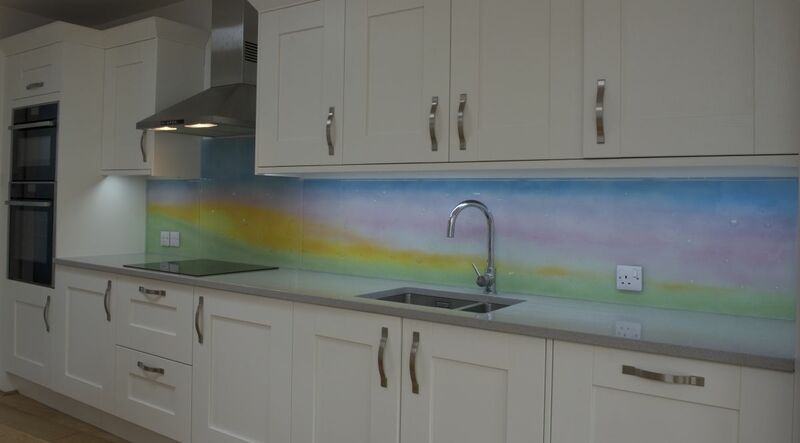 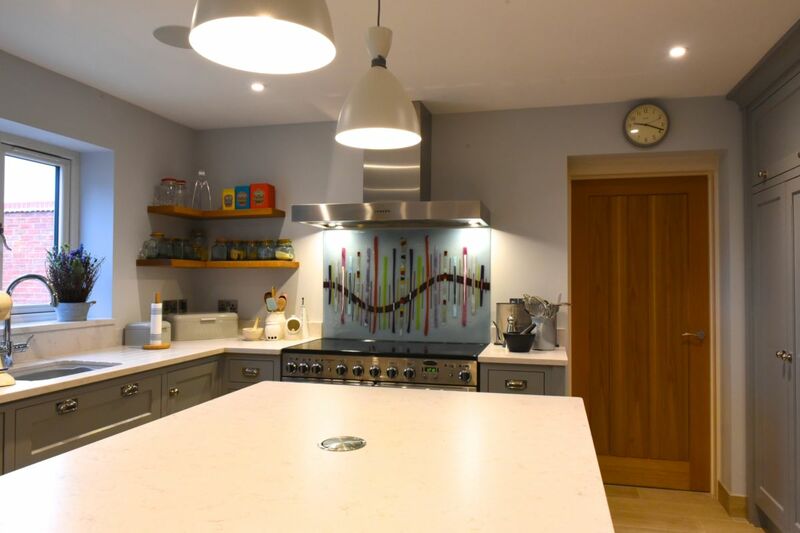 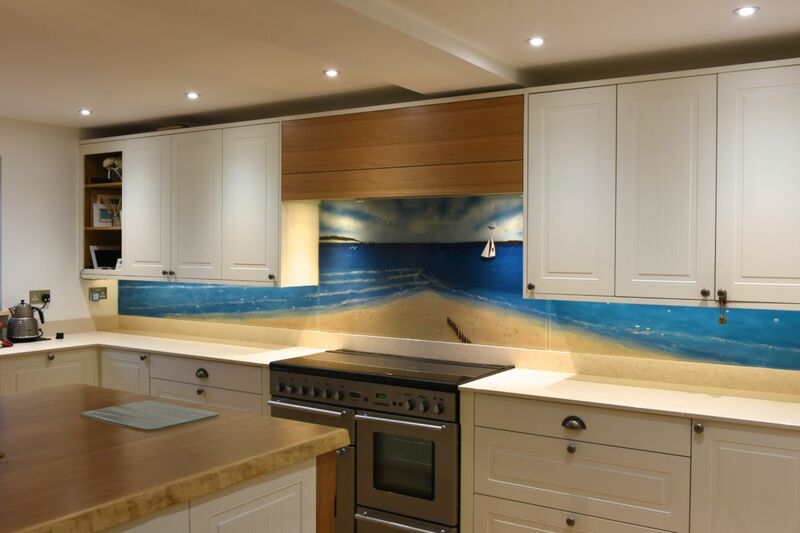 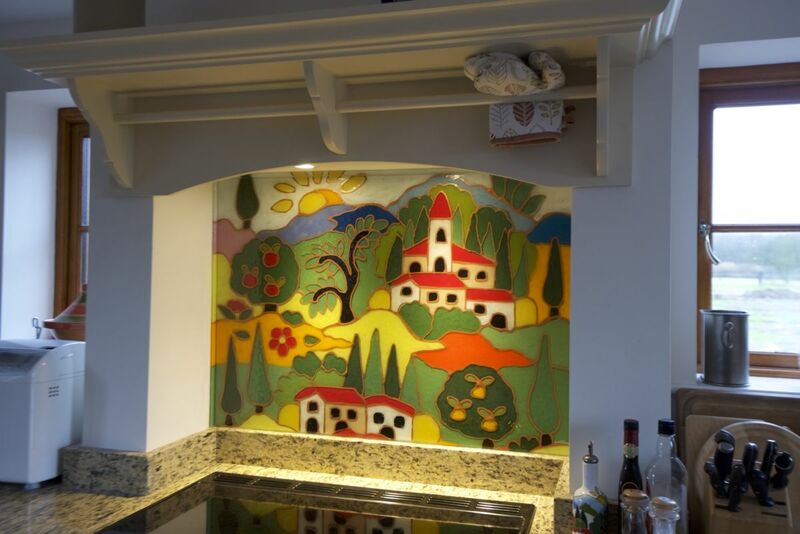 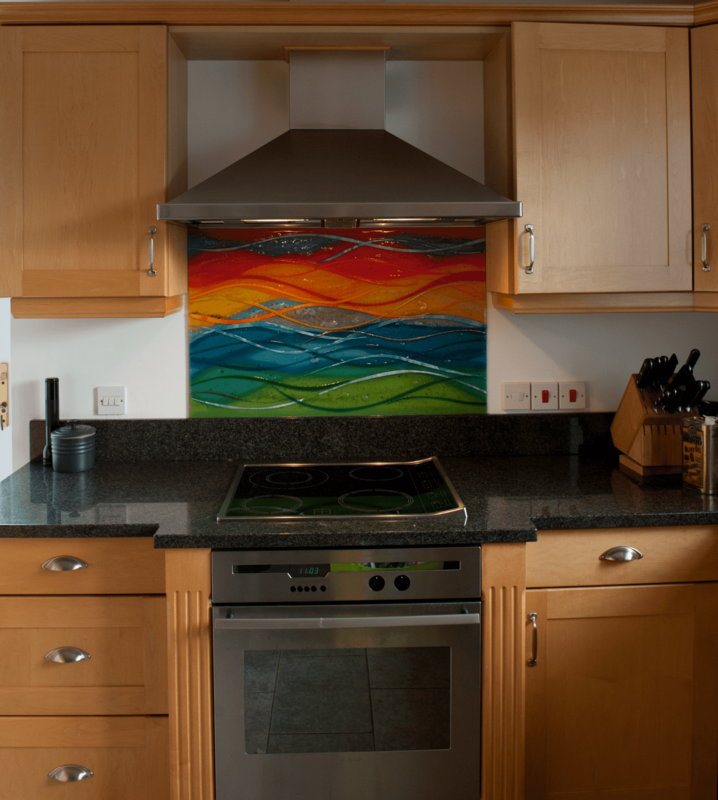 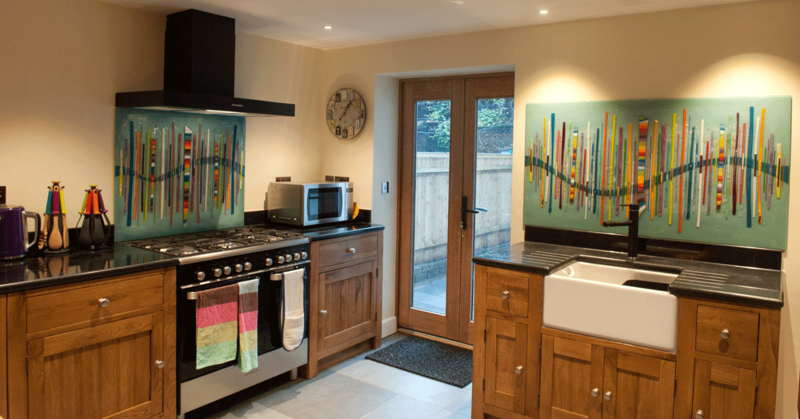 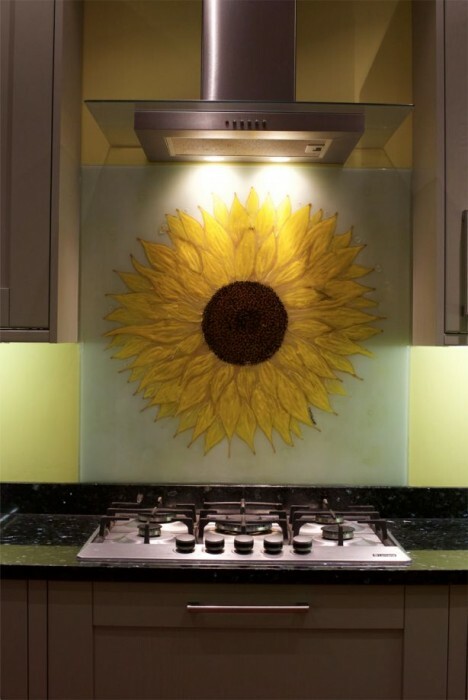 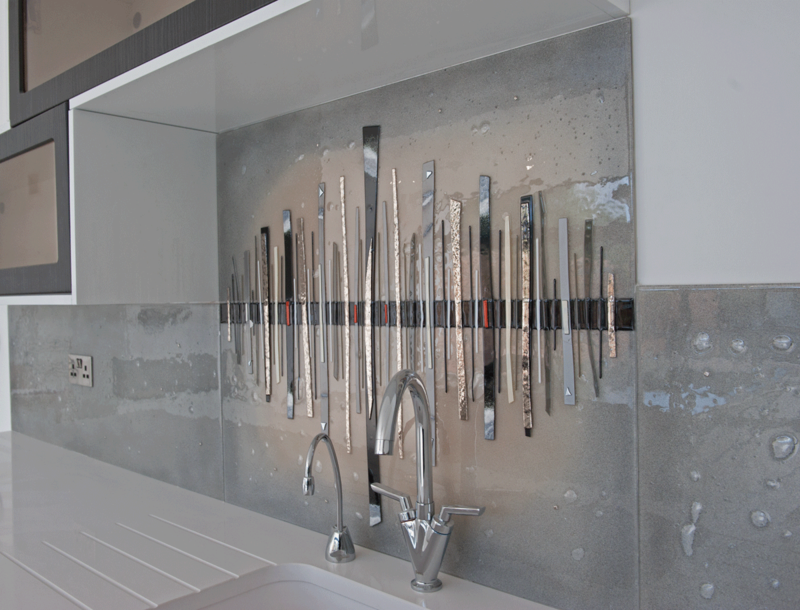 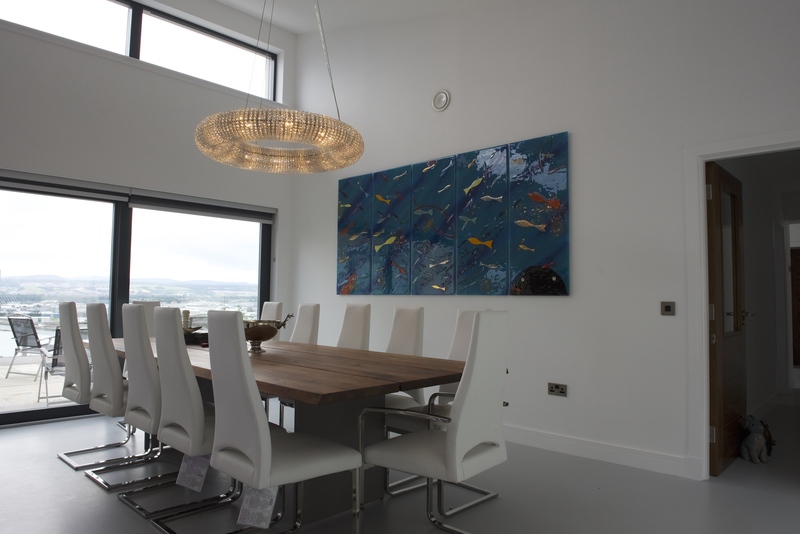 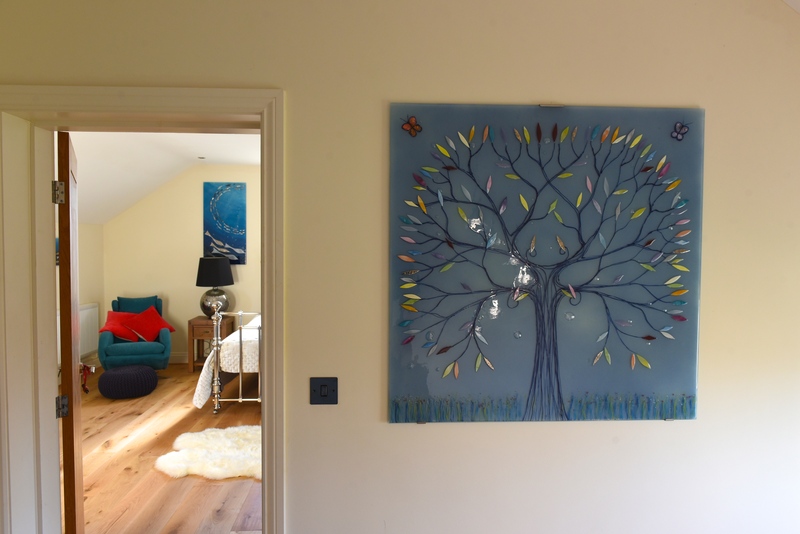 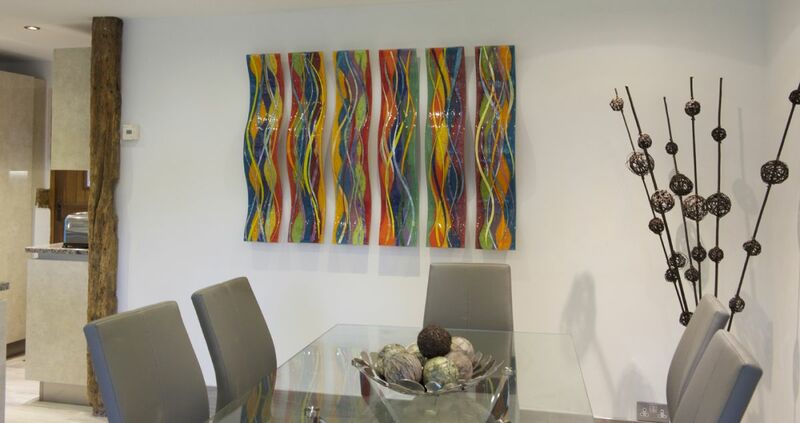 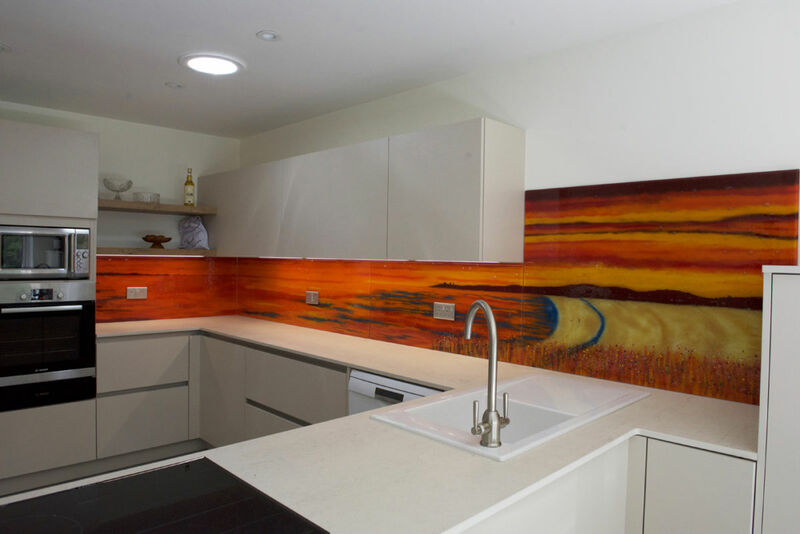 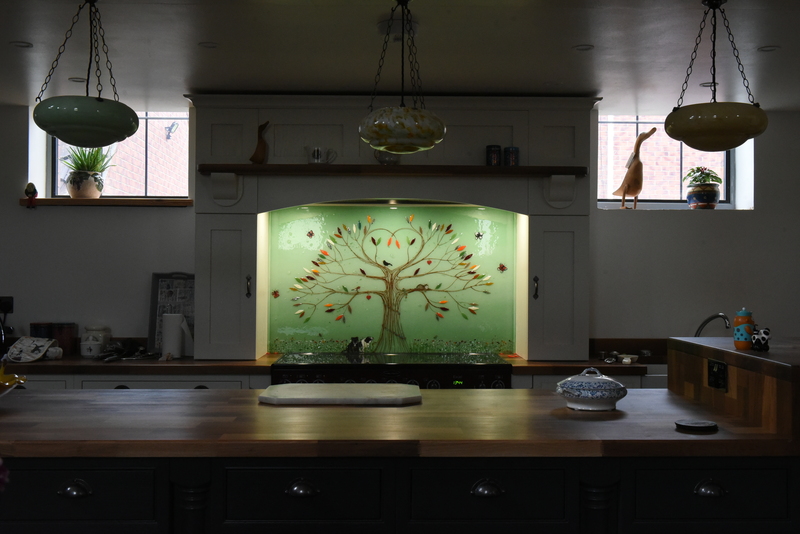 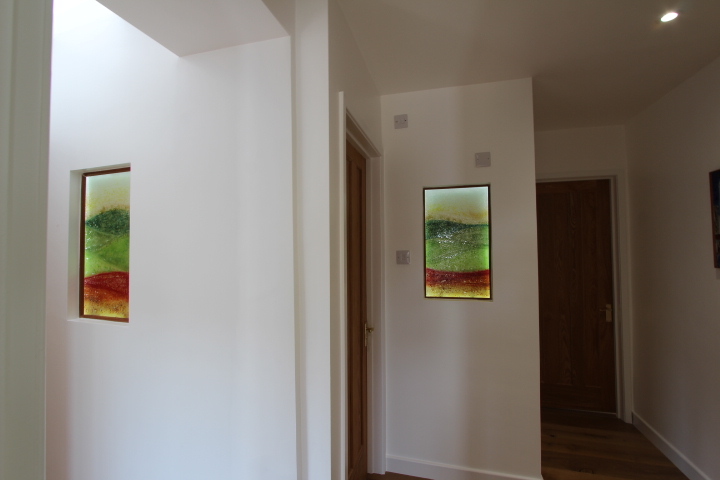 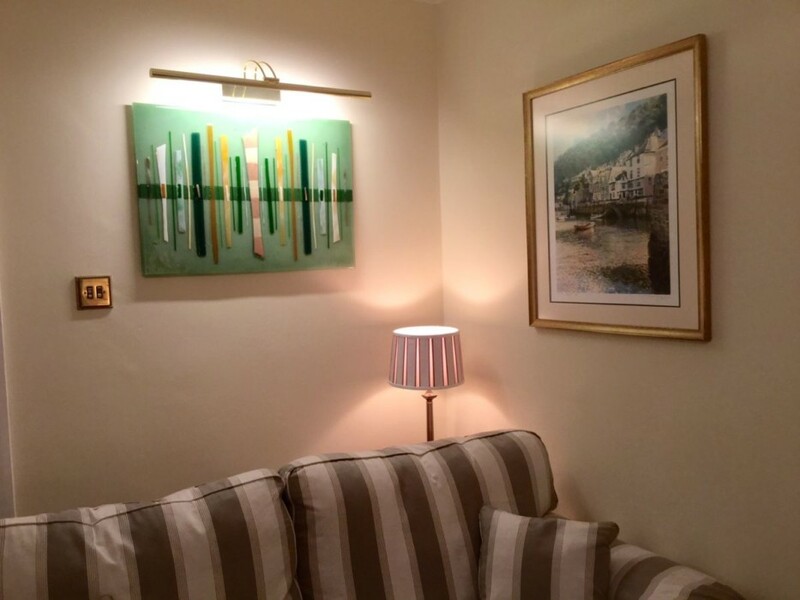 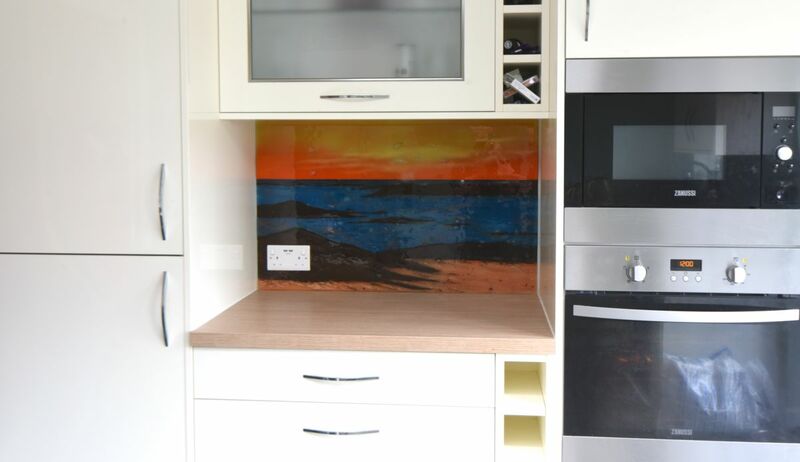 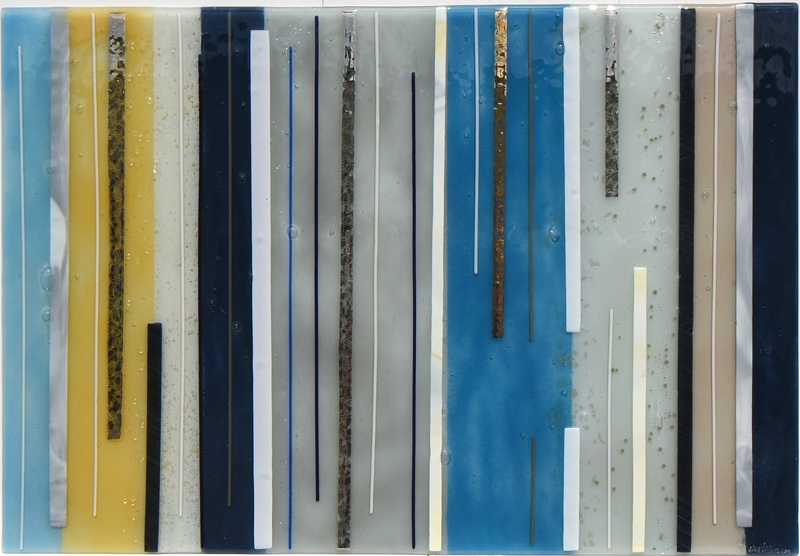 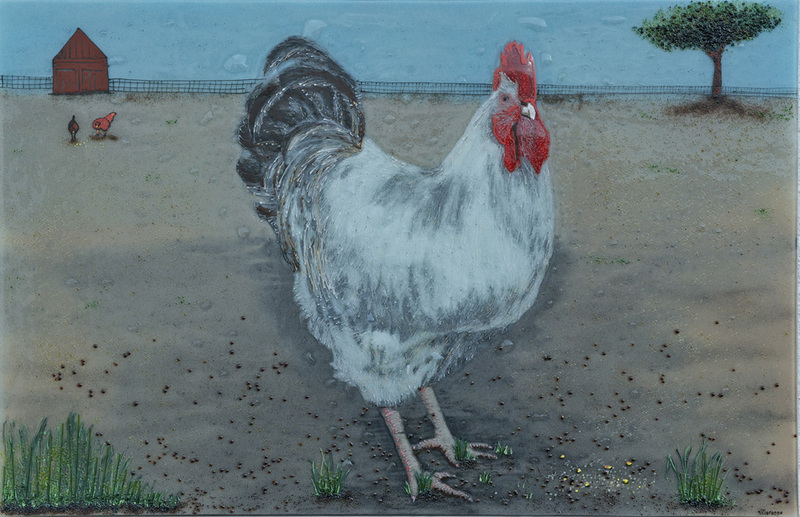 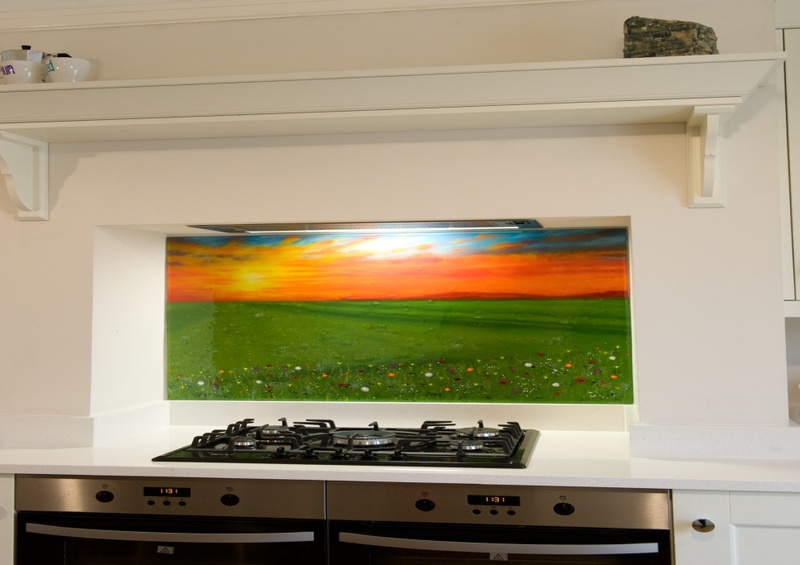 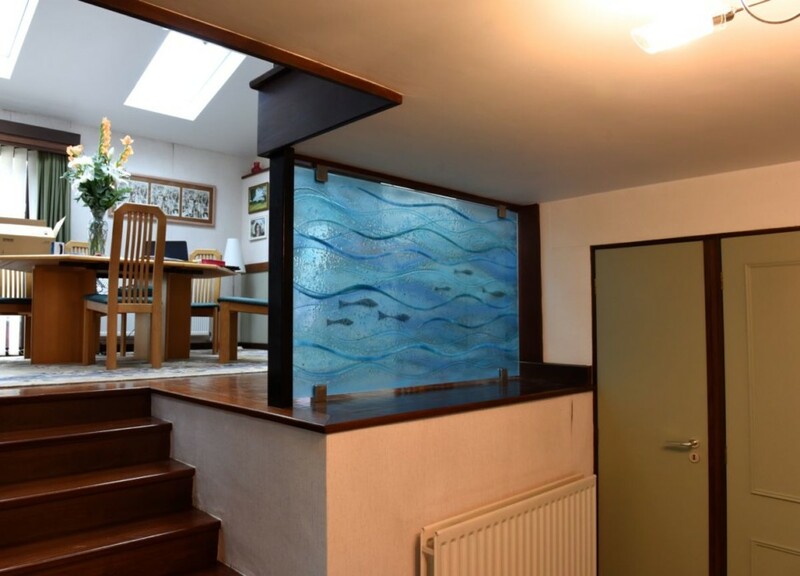 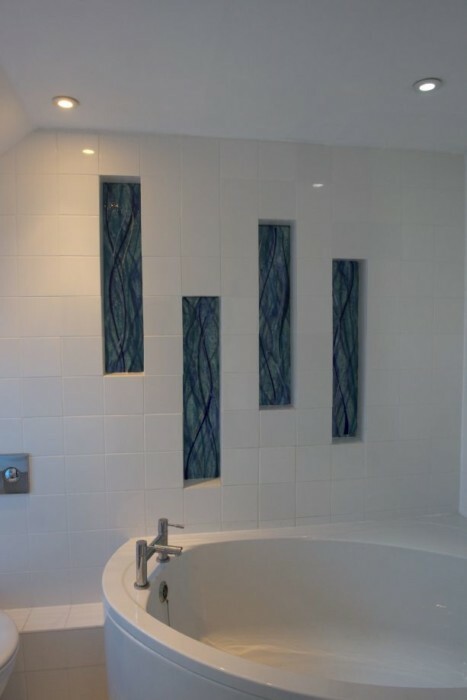 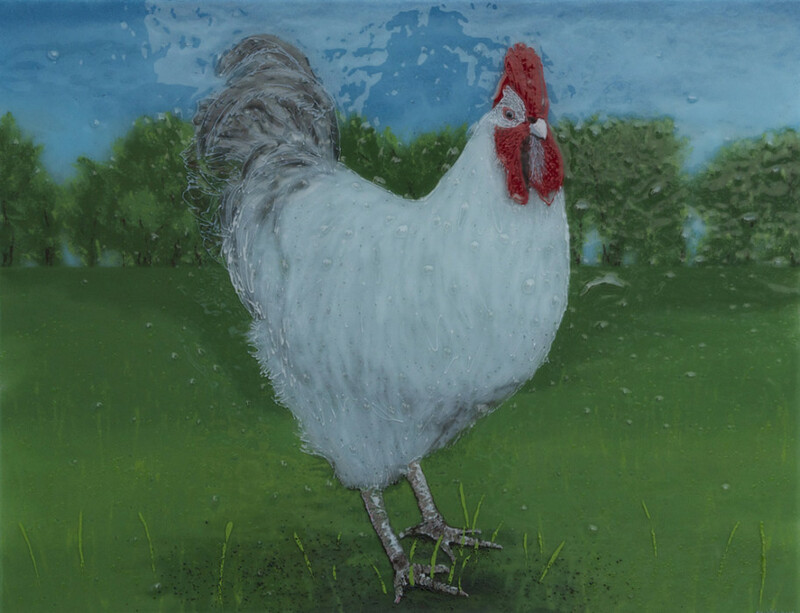 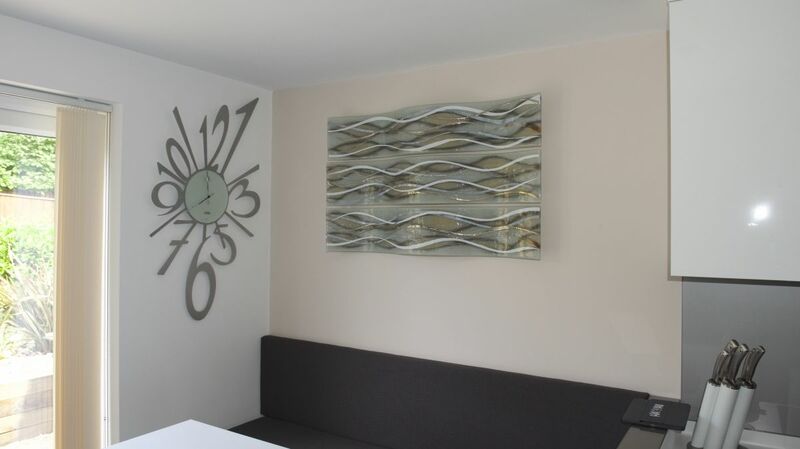 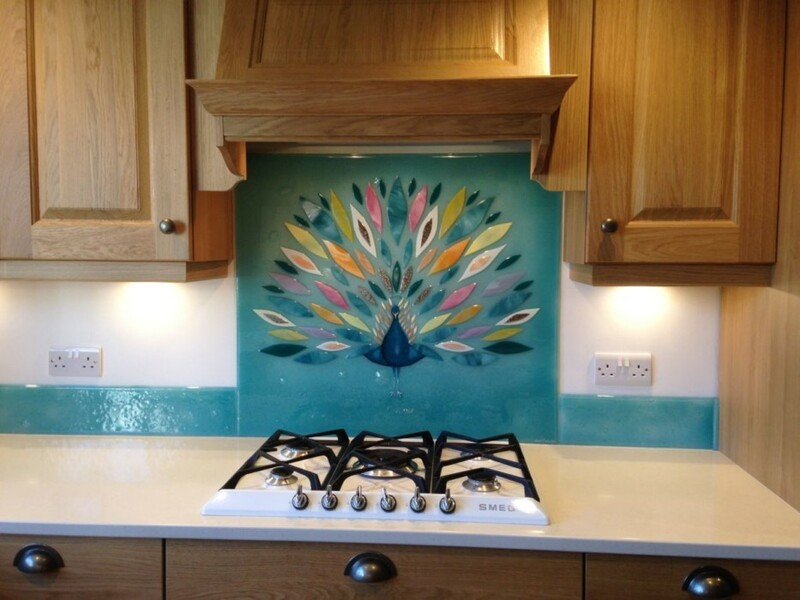 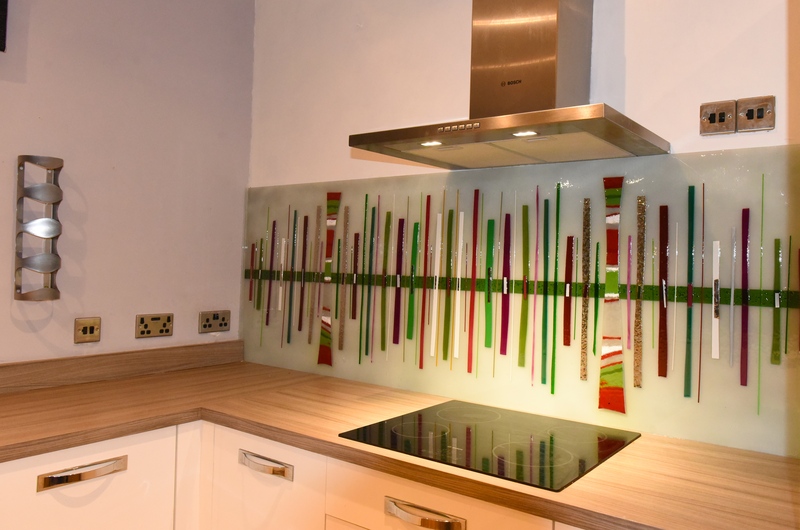 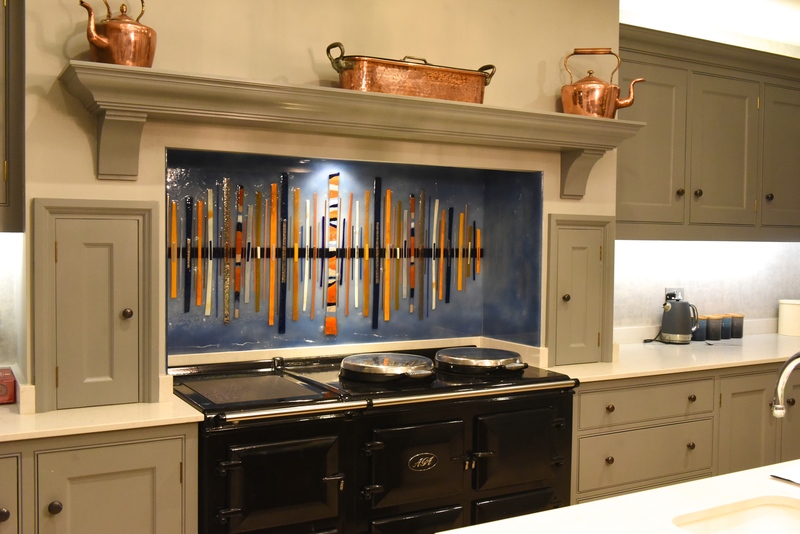 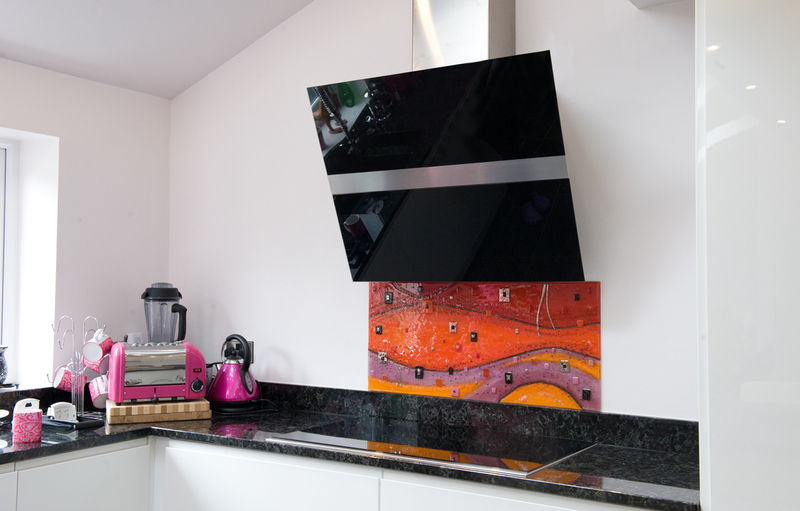 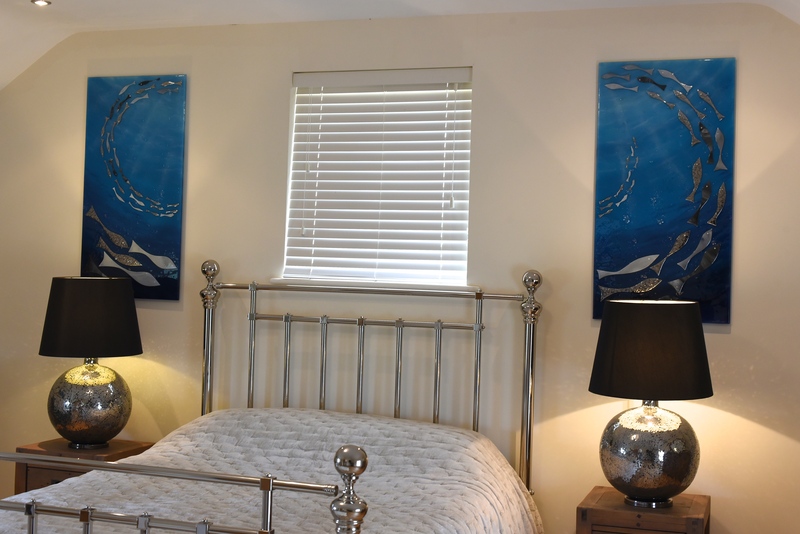 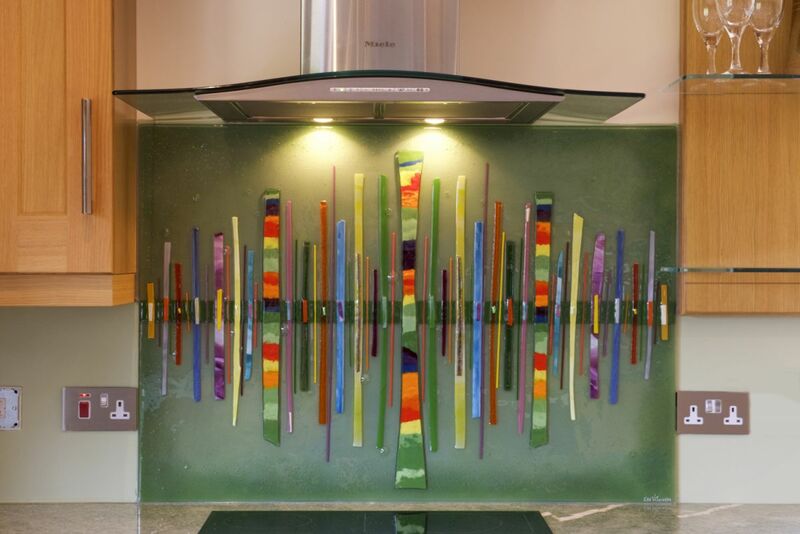 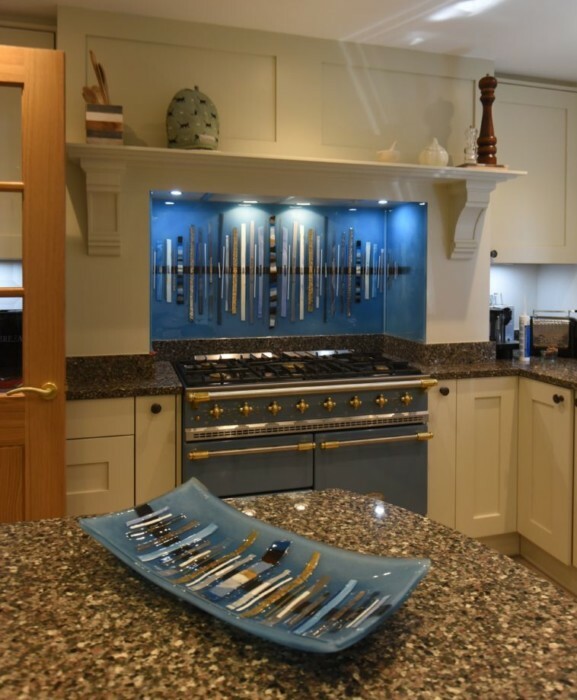 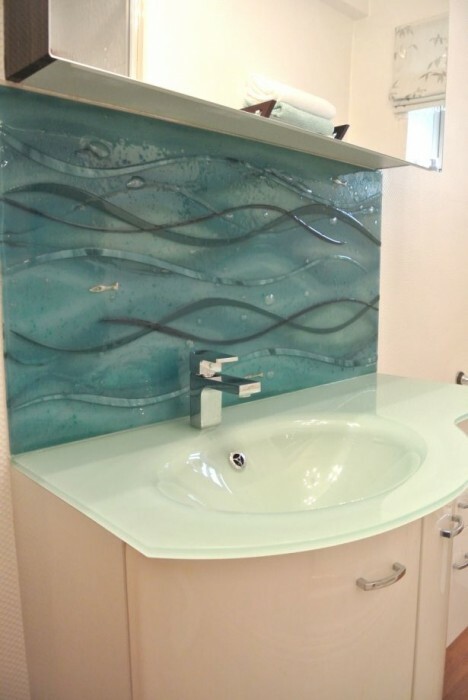 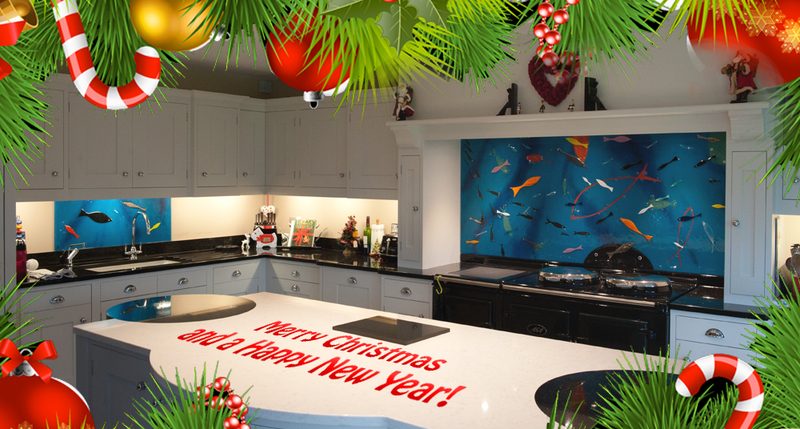 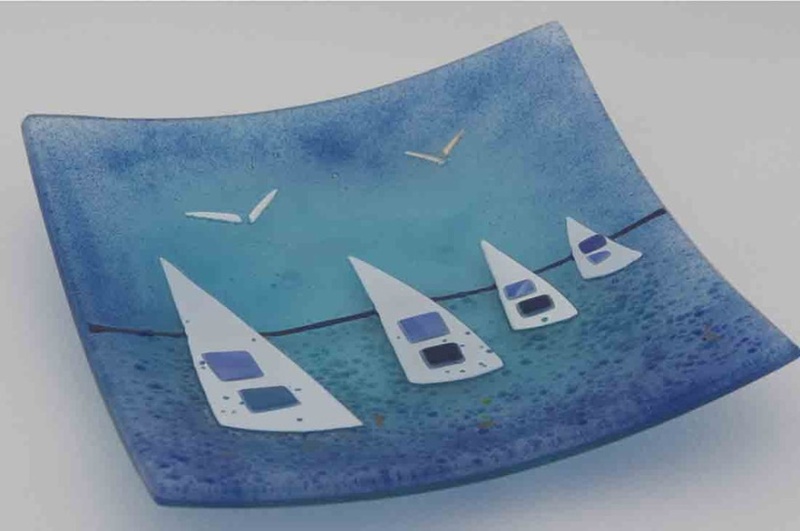 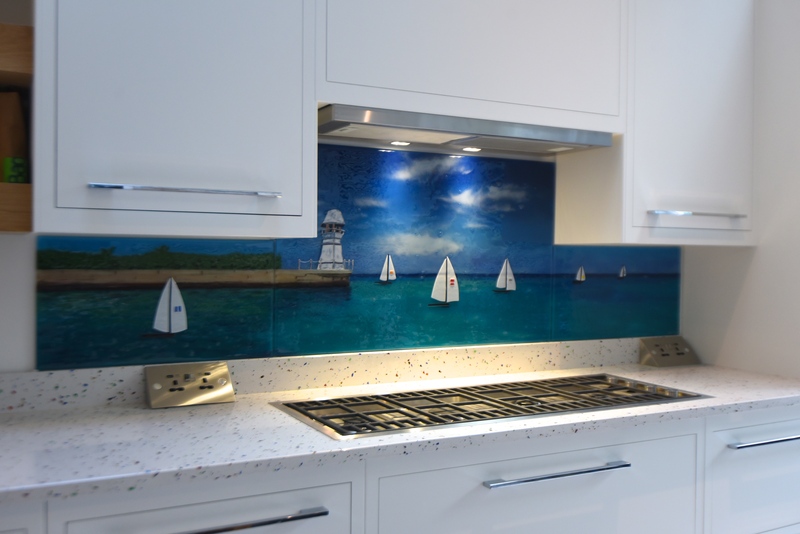 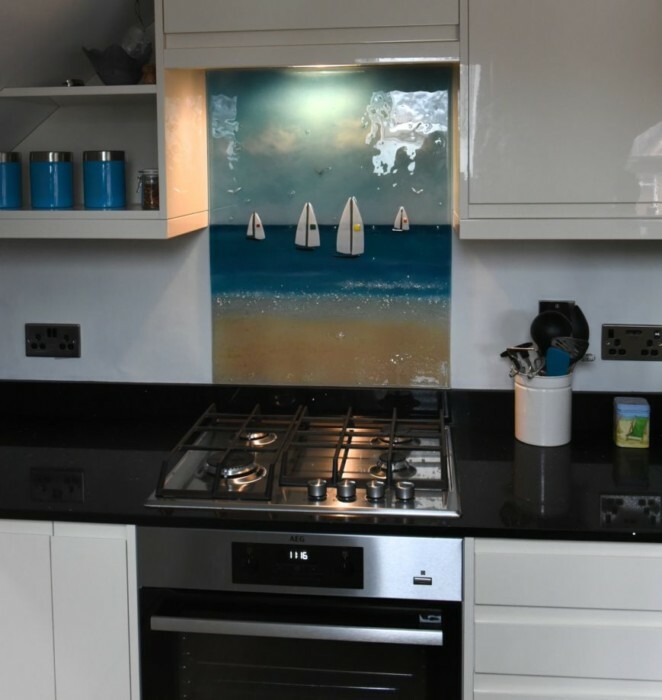 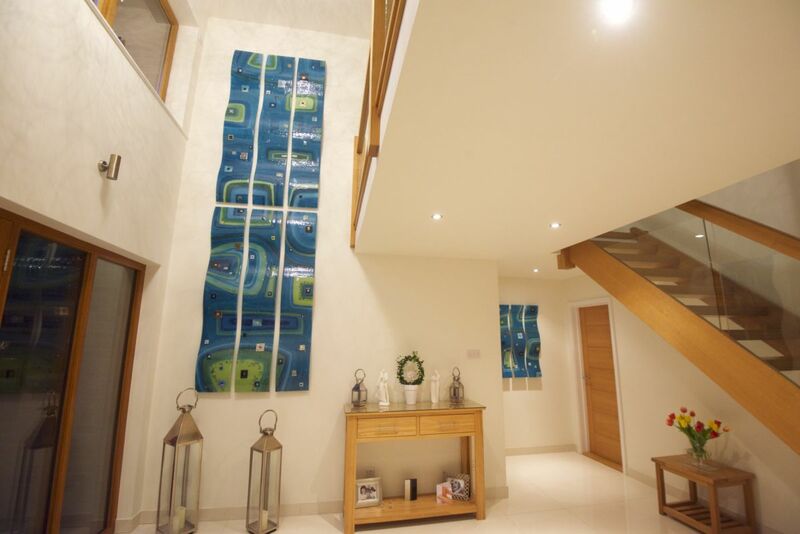 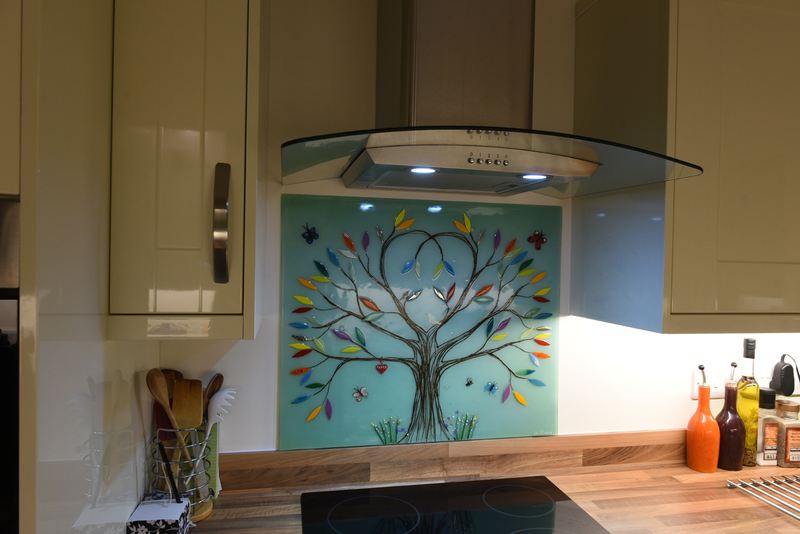 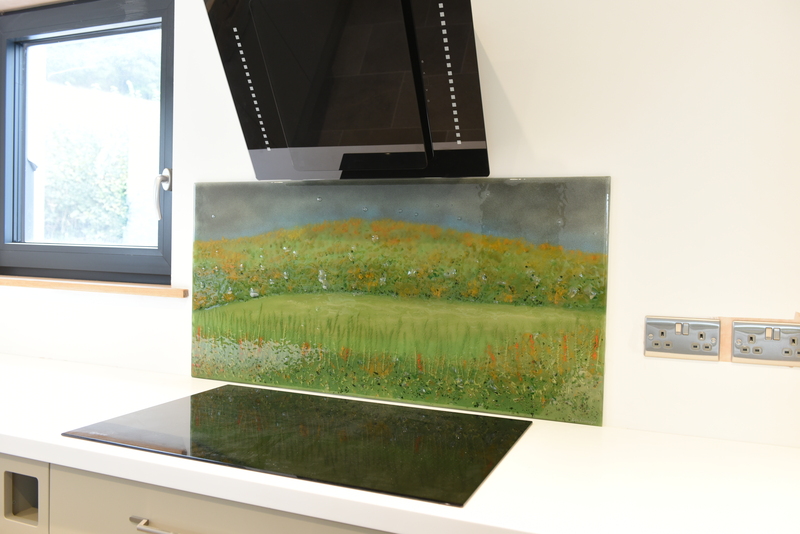 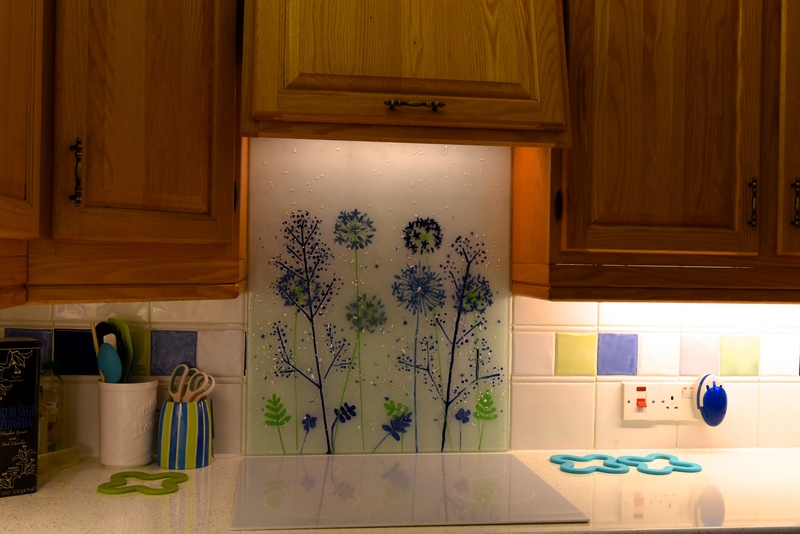 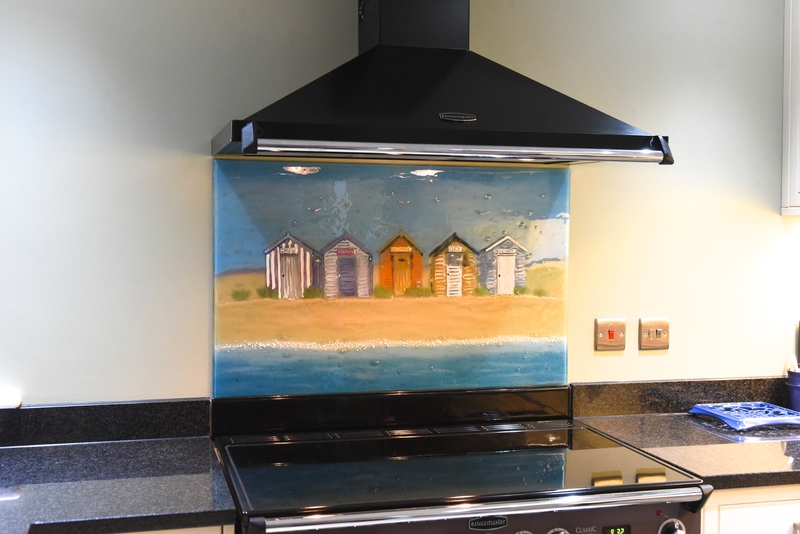 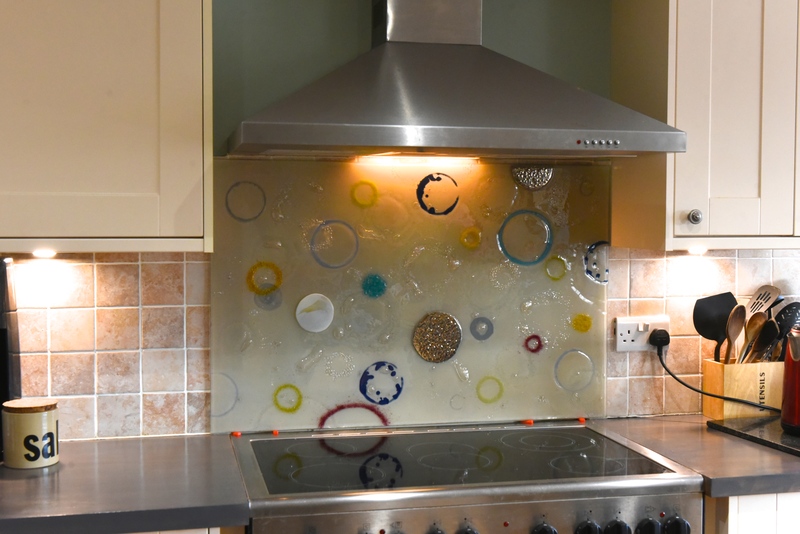 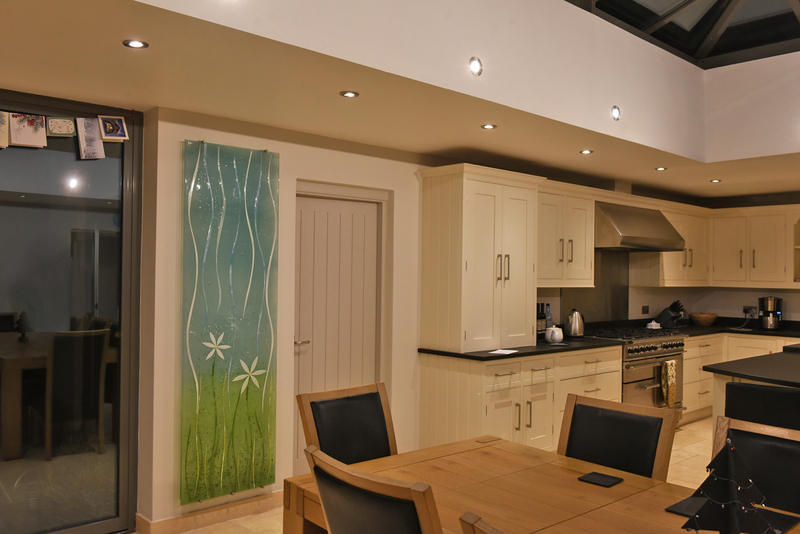 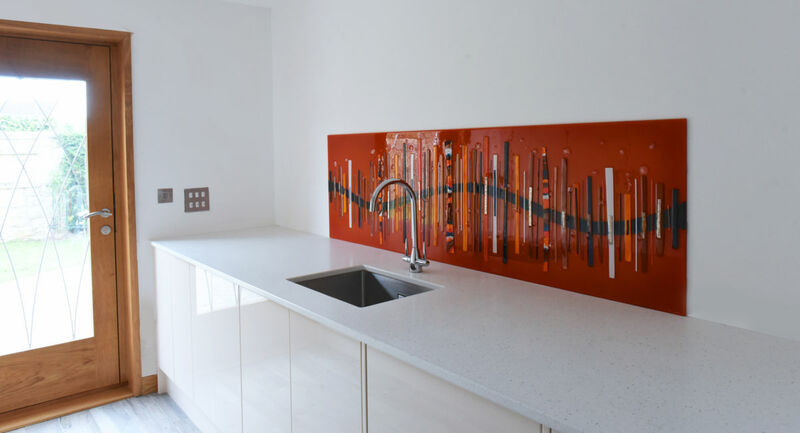 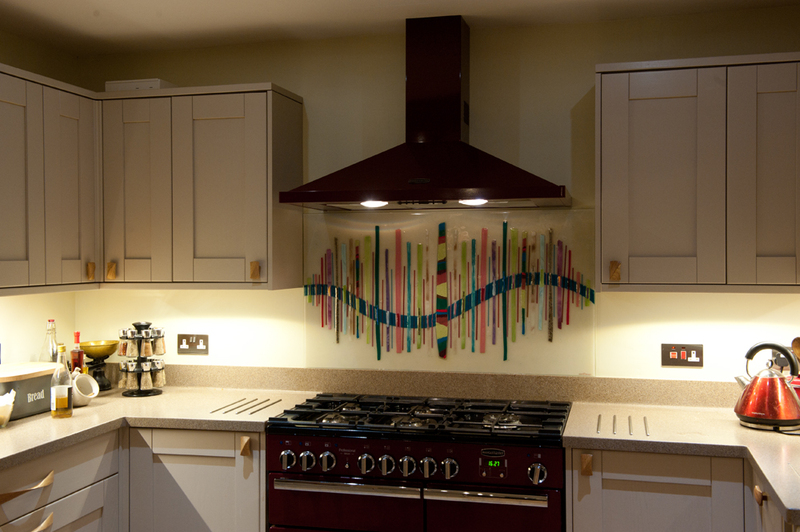 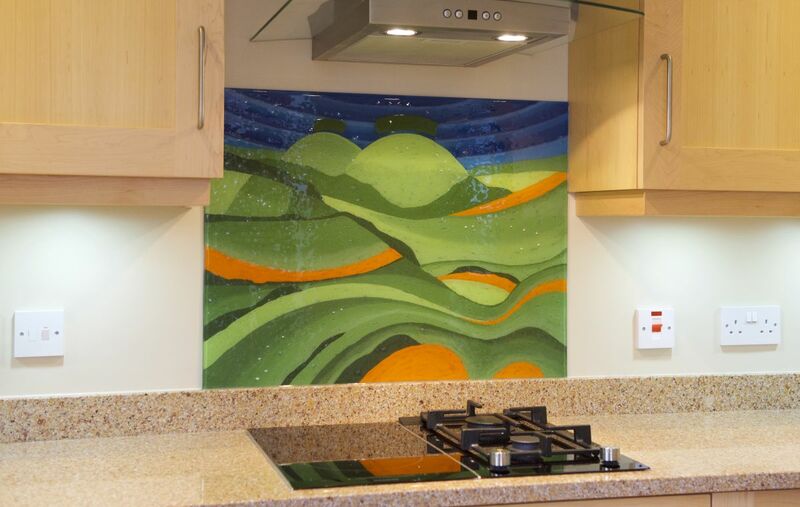 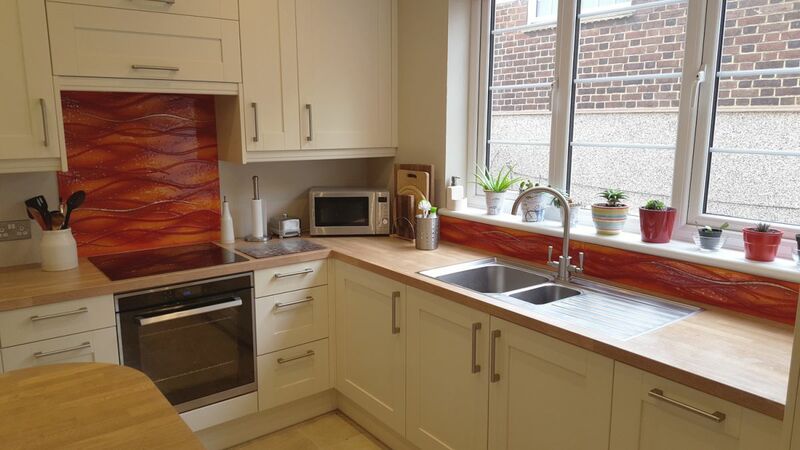 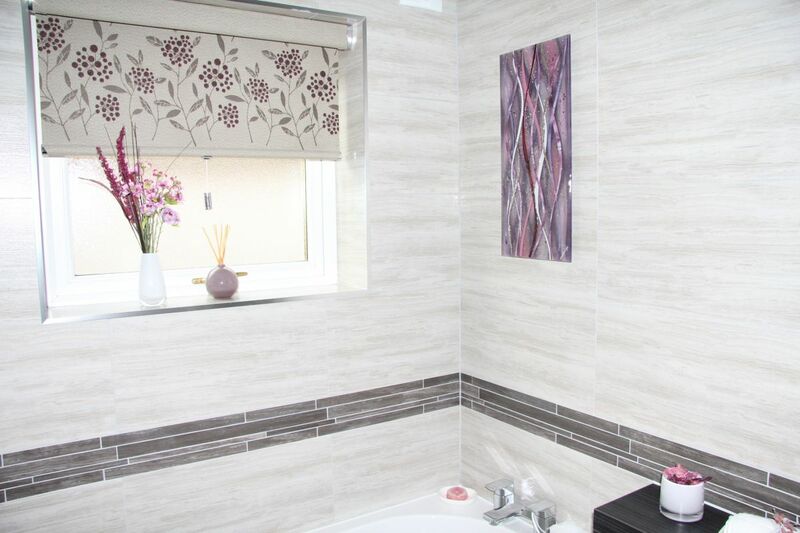 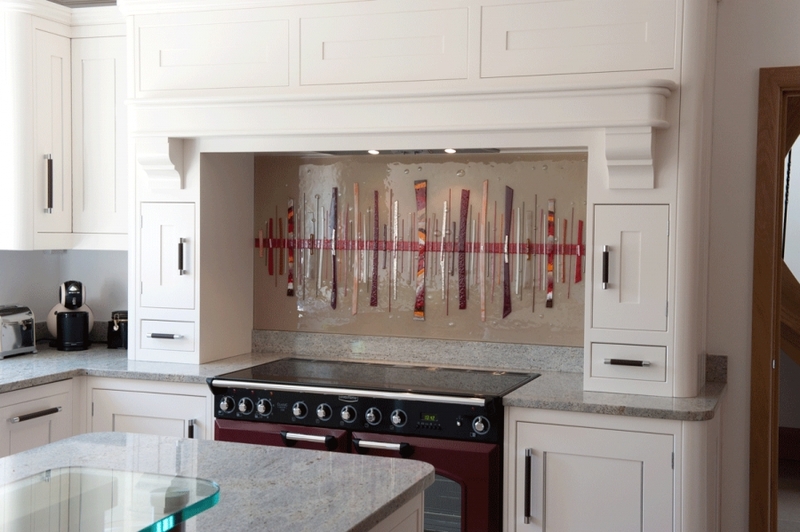 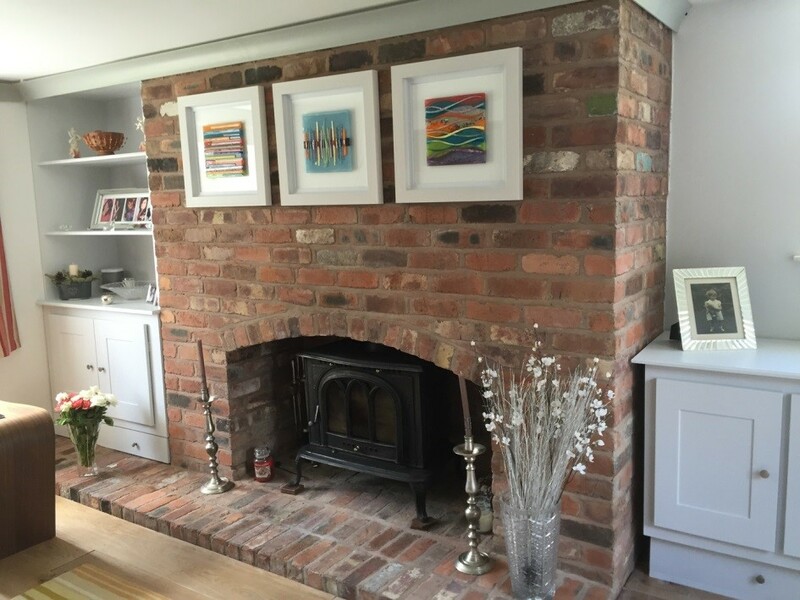 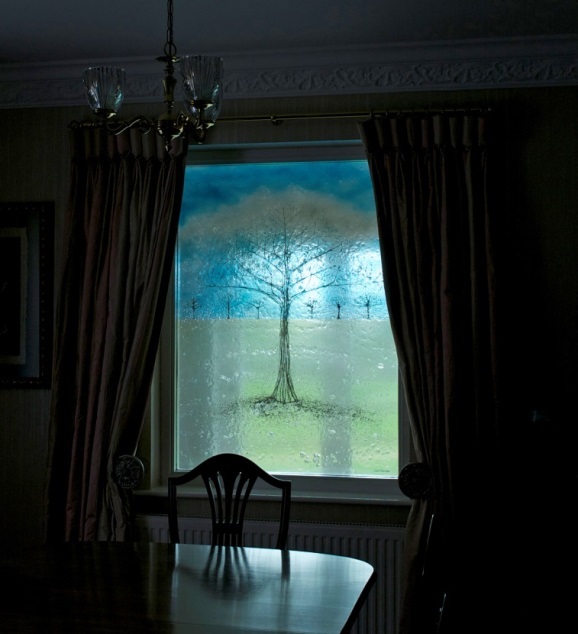 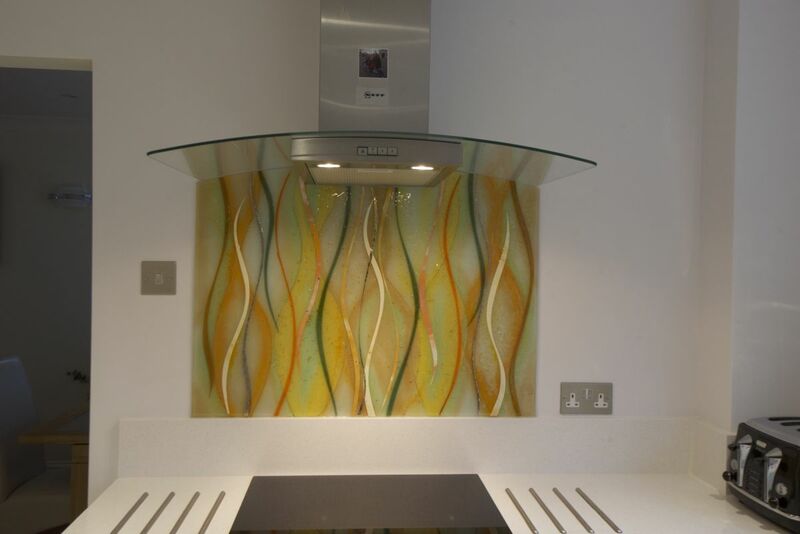 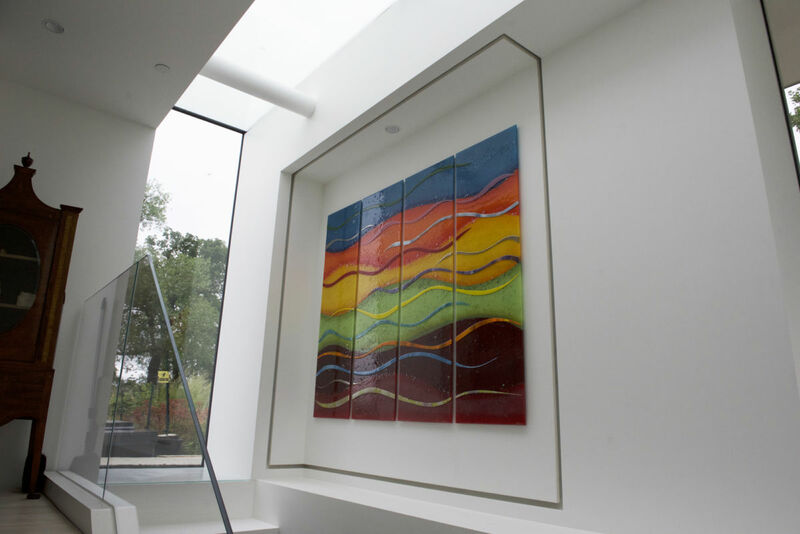 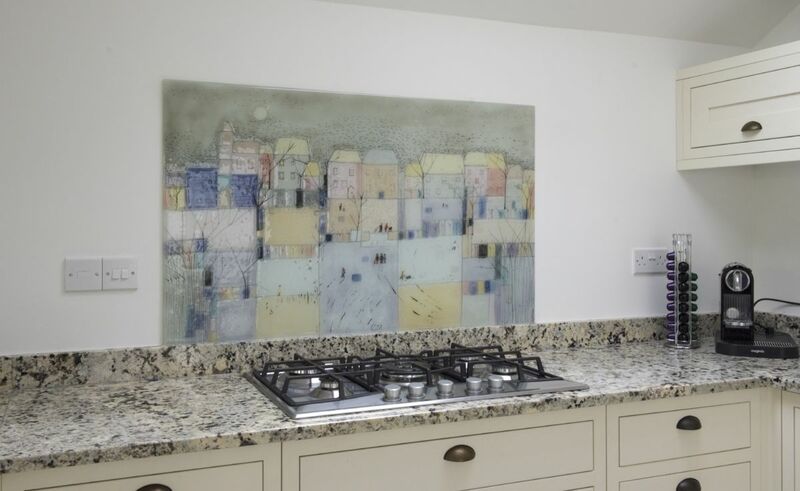 Here’s another very recent piece of fused glass art that we’d like to show you, coming this time from a home in Chippenham, Wiltshire! 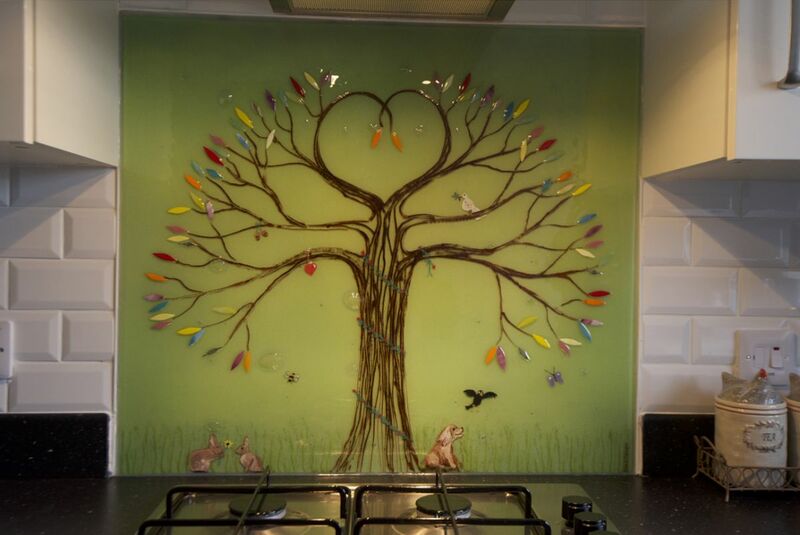 It’s a Tree of Life, of course, which means that the tree and all its features take centre stage. 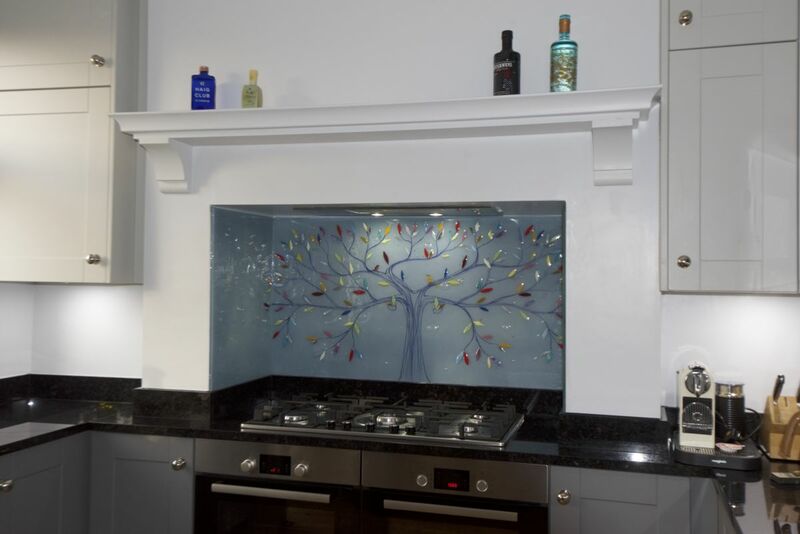 Its twisting branches are created from bold lines, spiralling together around the trunk as they head upwards and branch out. 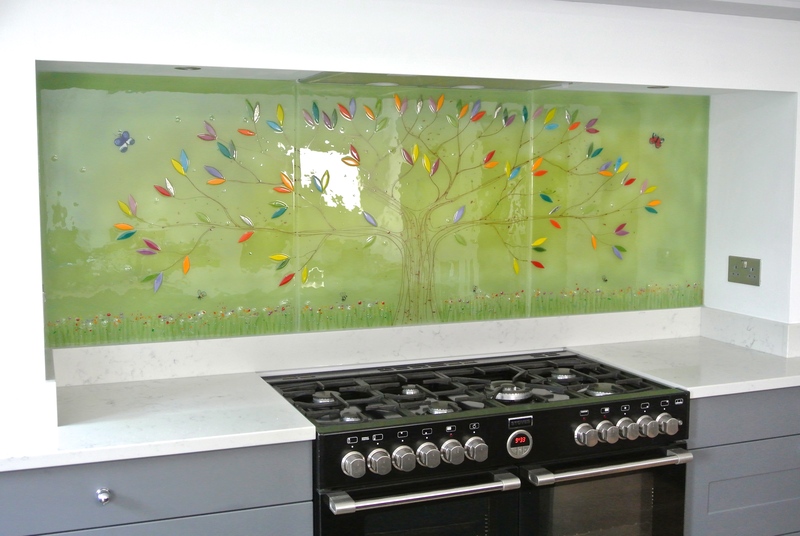 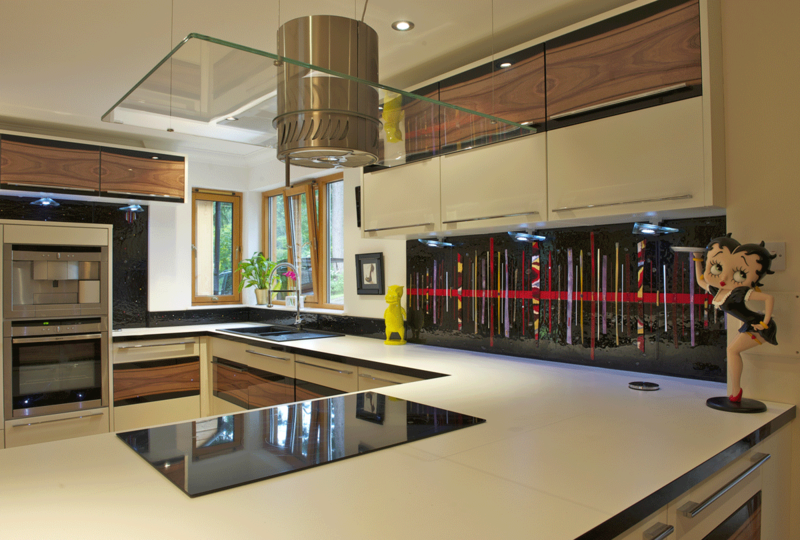 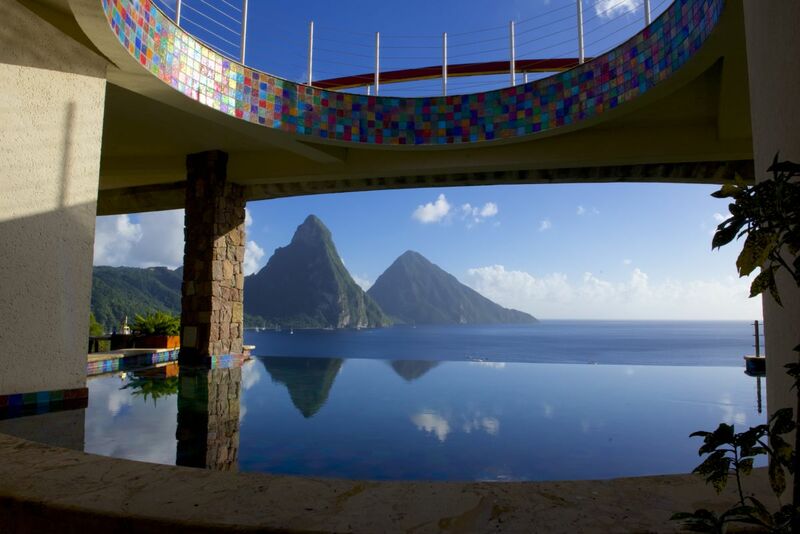 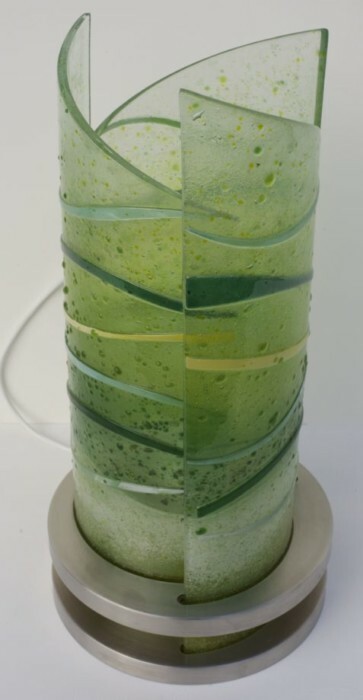 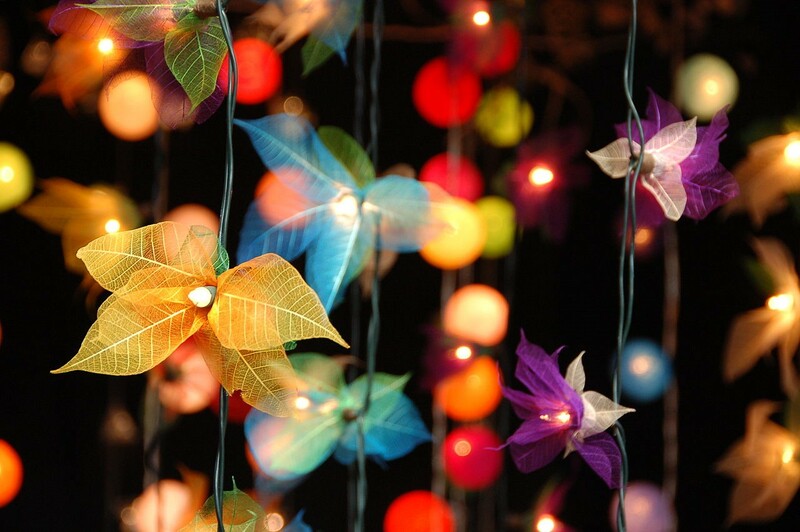 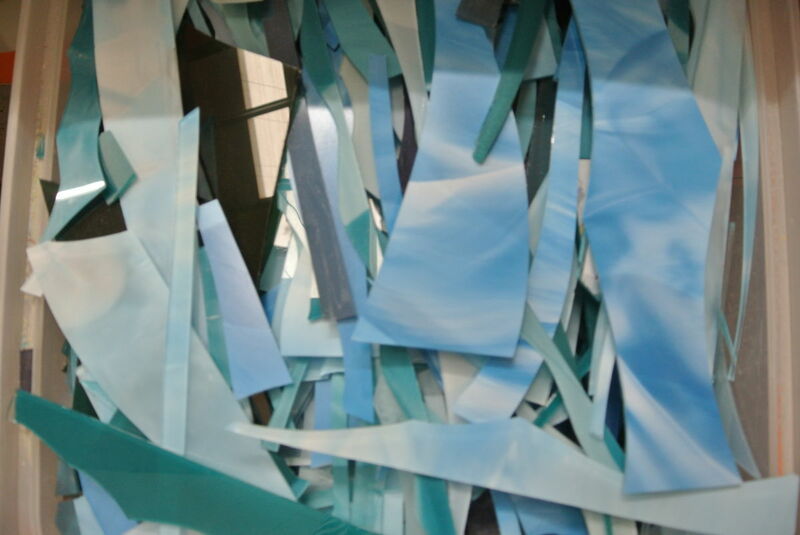 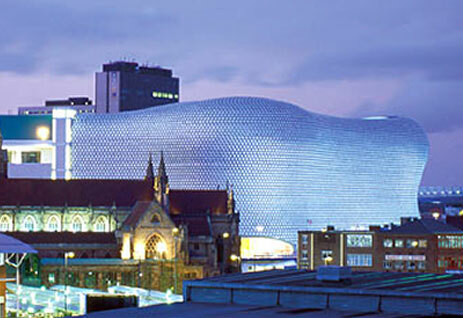 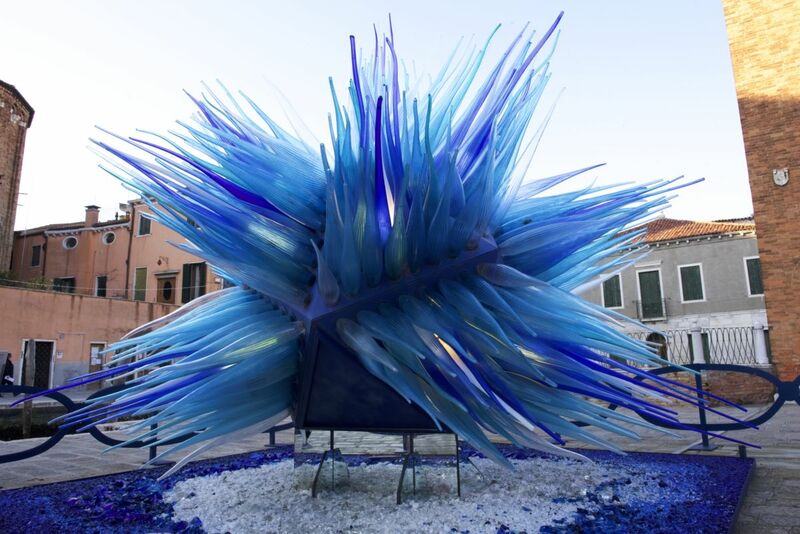 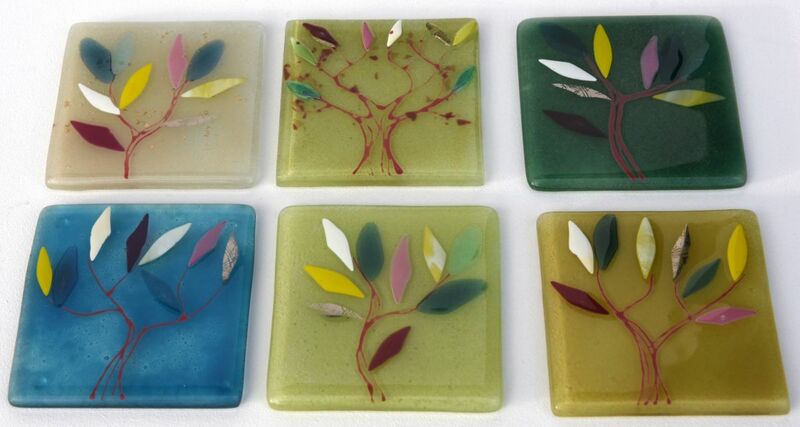 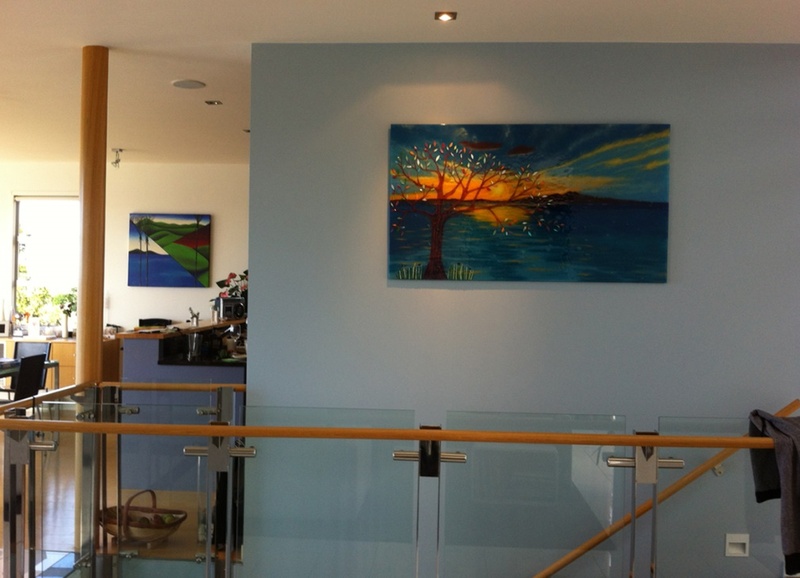 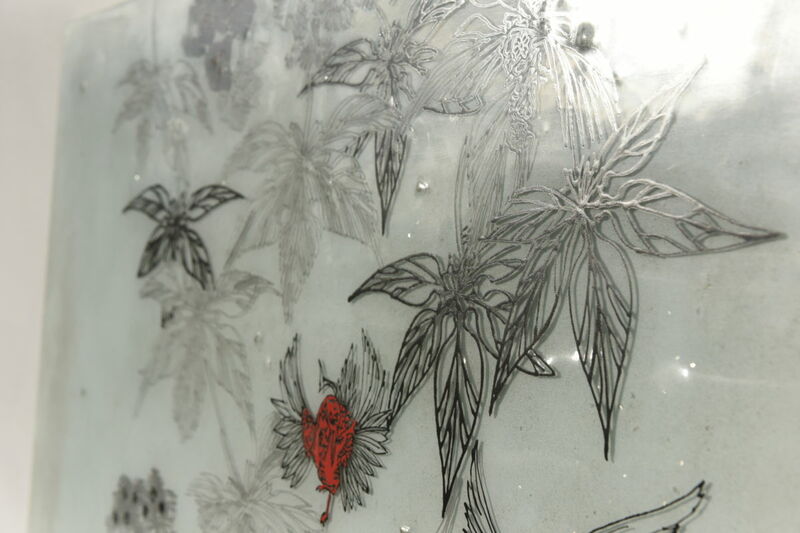 Leaves of all colours can be seen sprouting forth, helping to add that colourful burst our glass is known for. 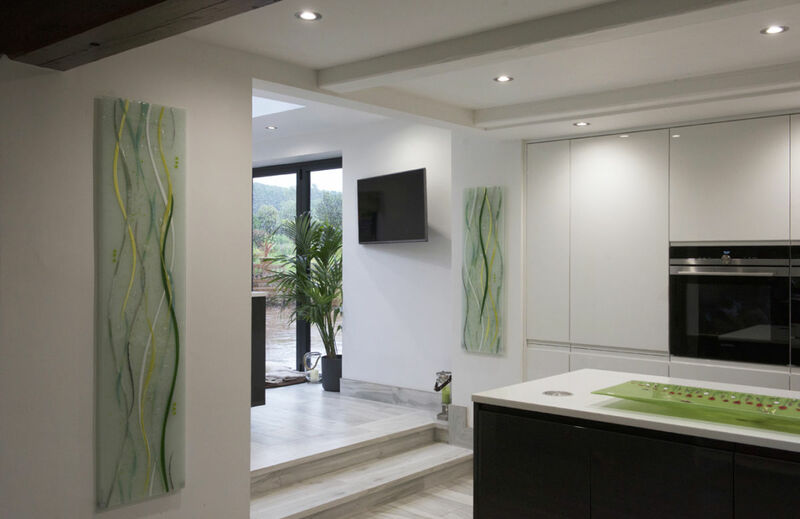 A background of lush green can be found throughout, serving as a subtly detailed base for the rest of the design to be built upon. 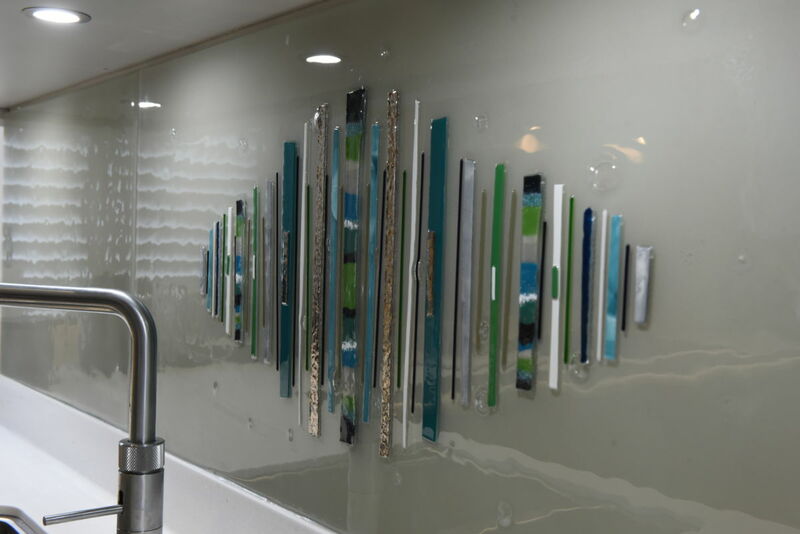 Friends, family and guests alike are sure to find brand new details and subtle textures every time they look at the piece! 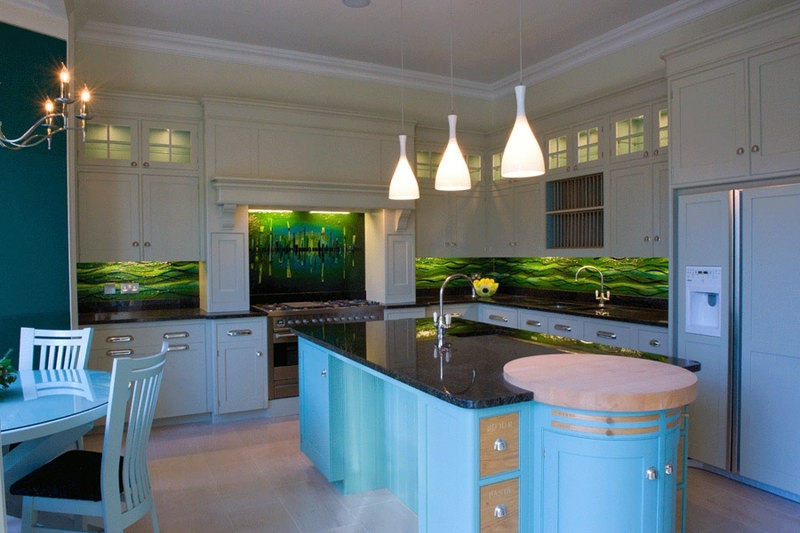 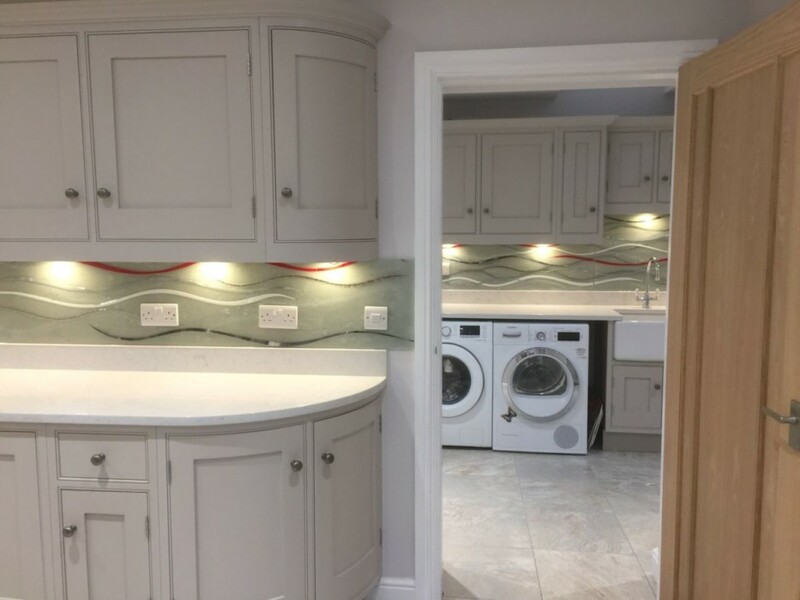 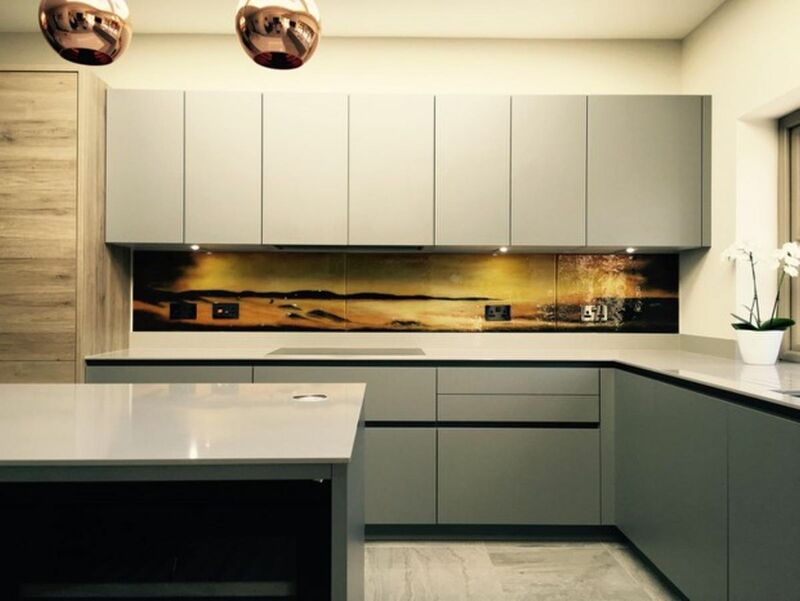 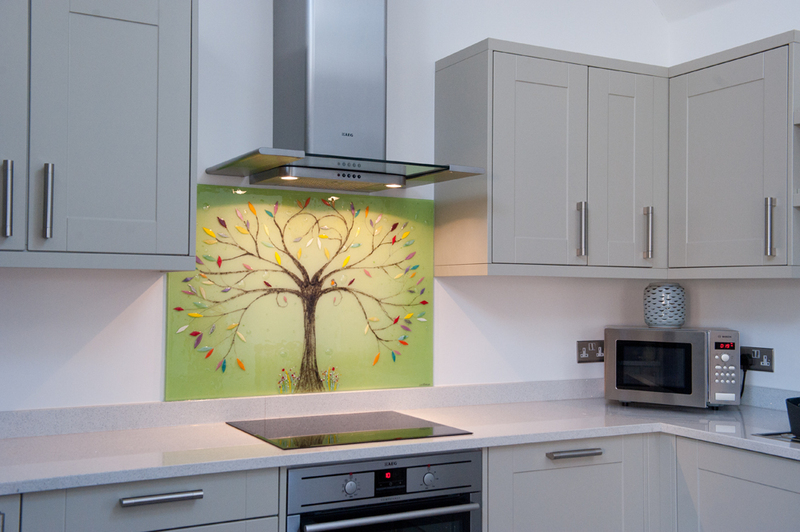 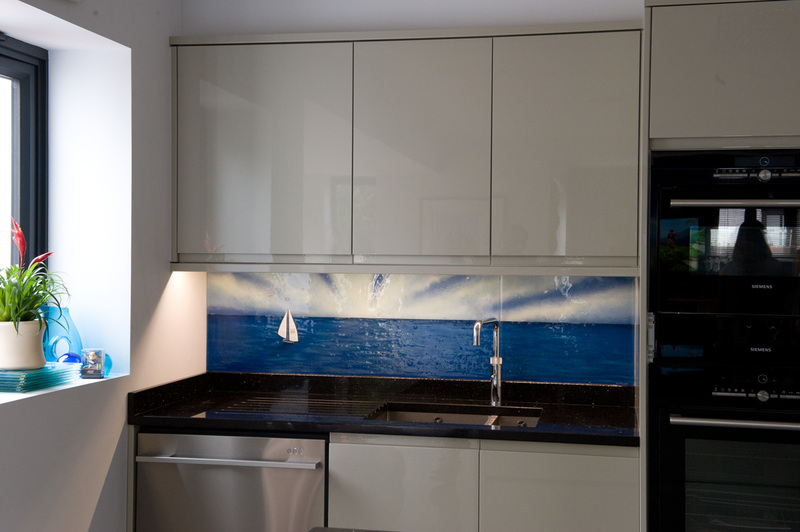 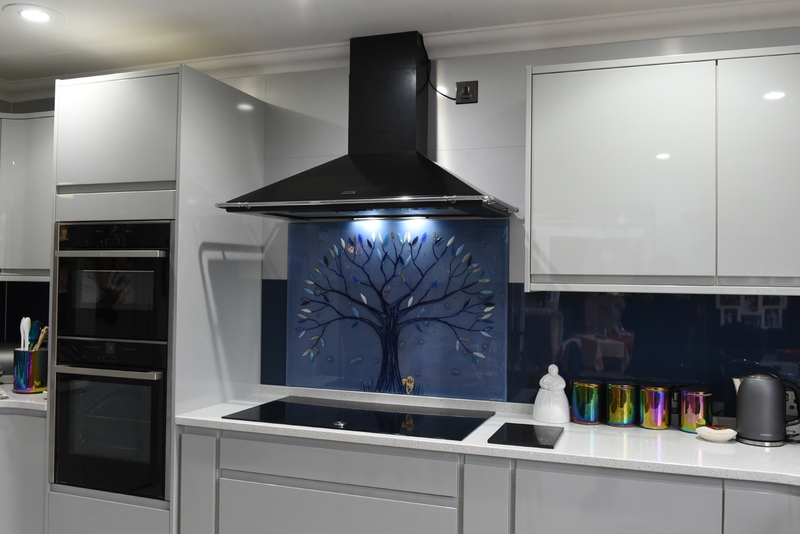 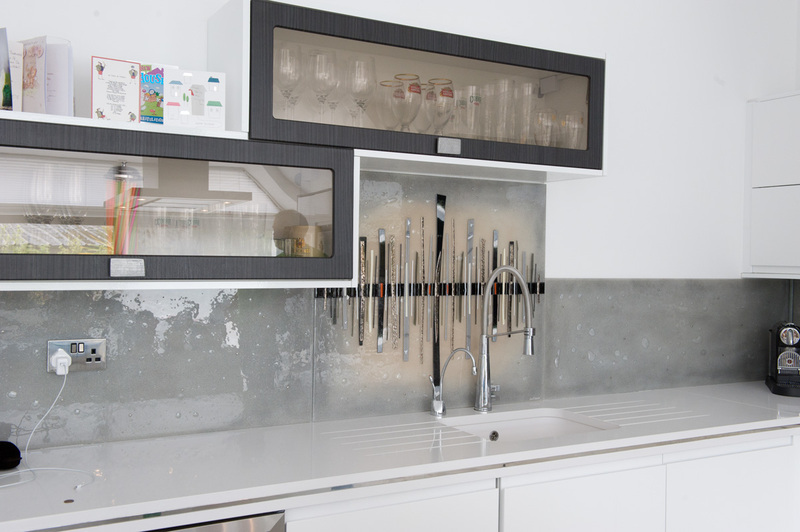 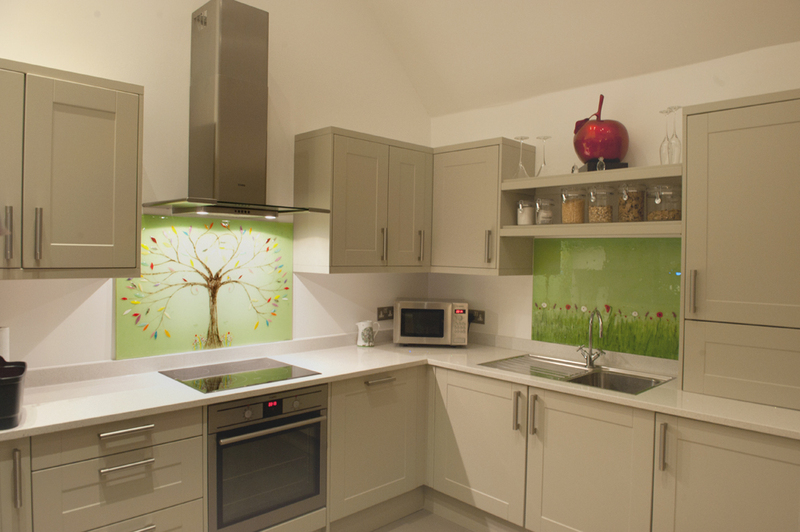 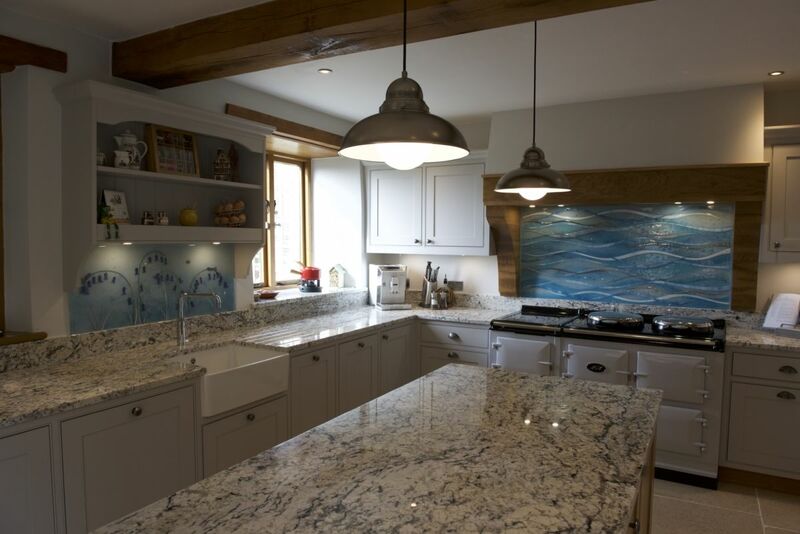 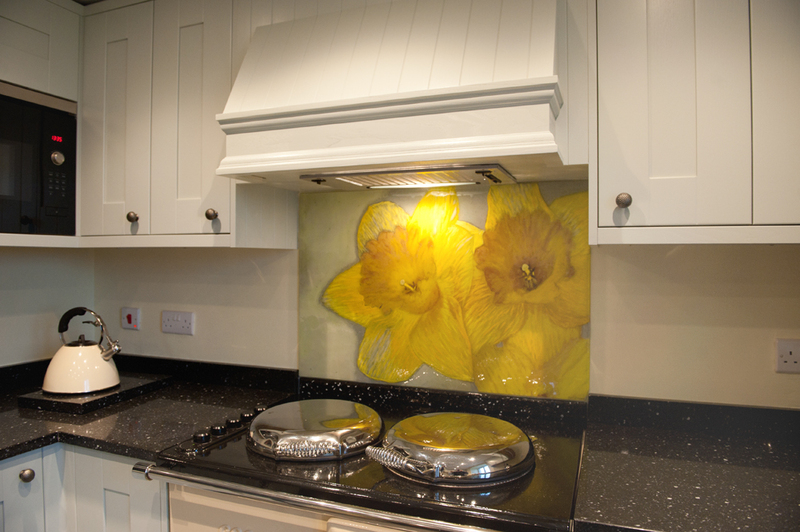 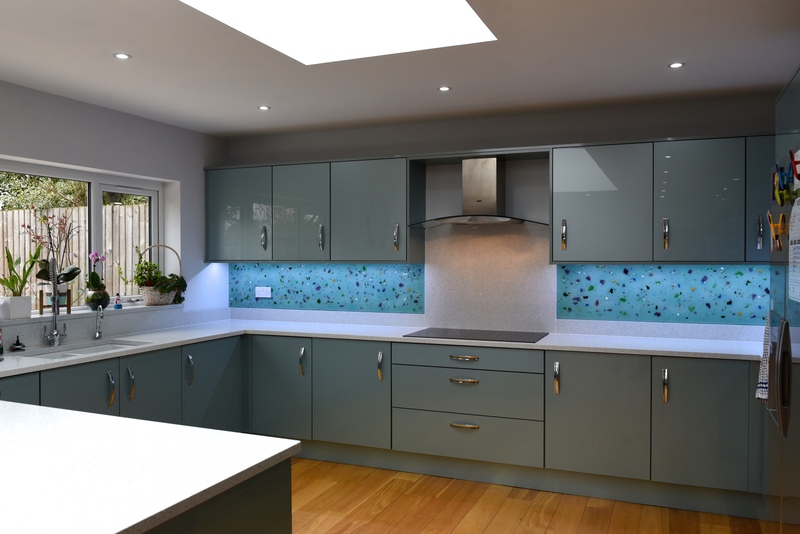 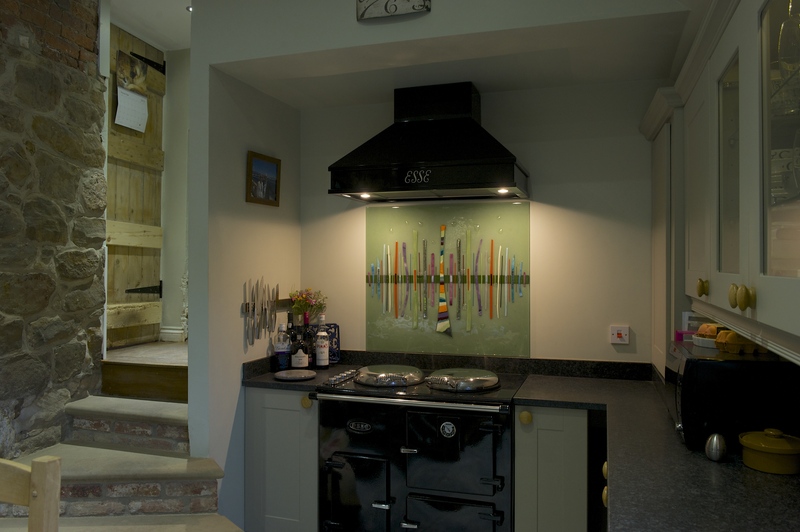 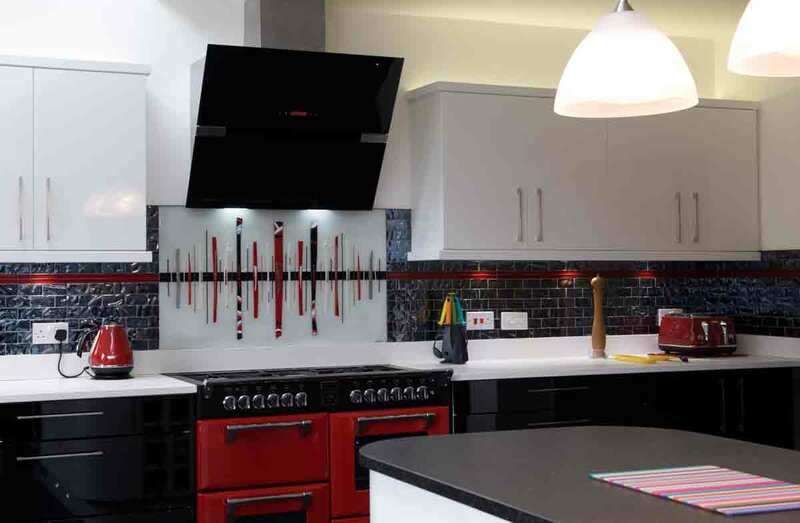 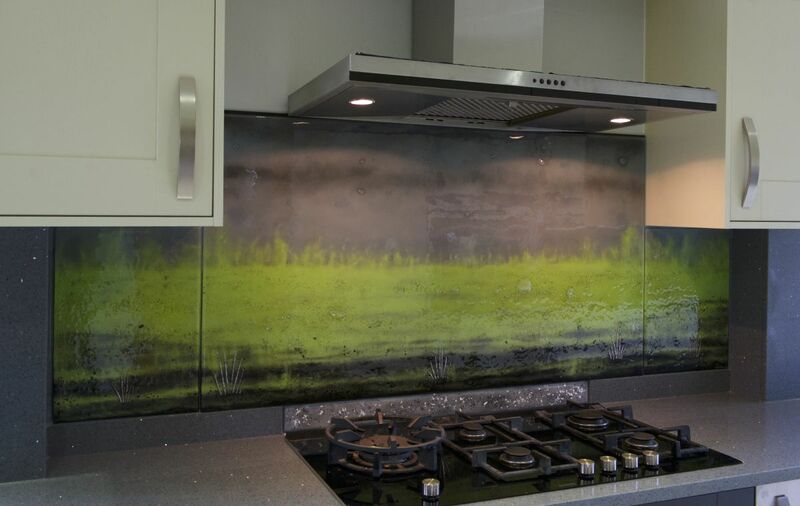 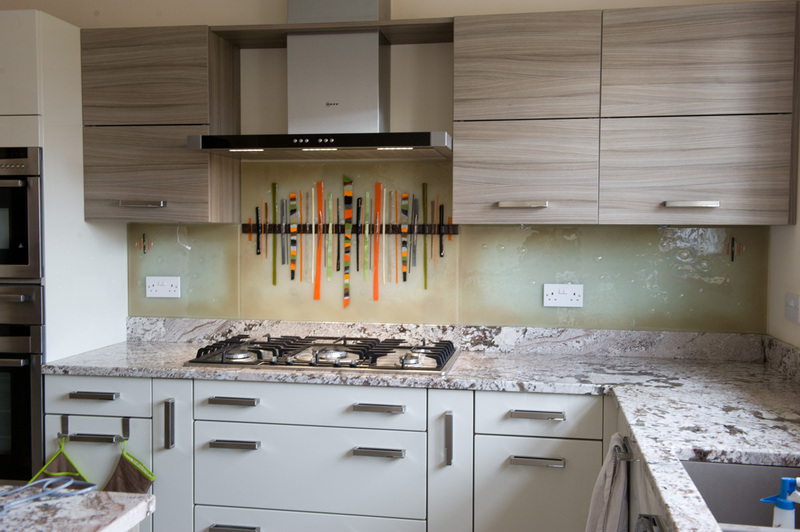 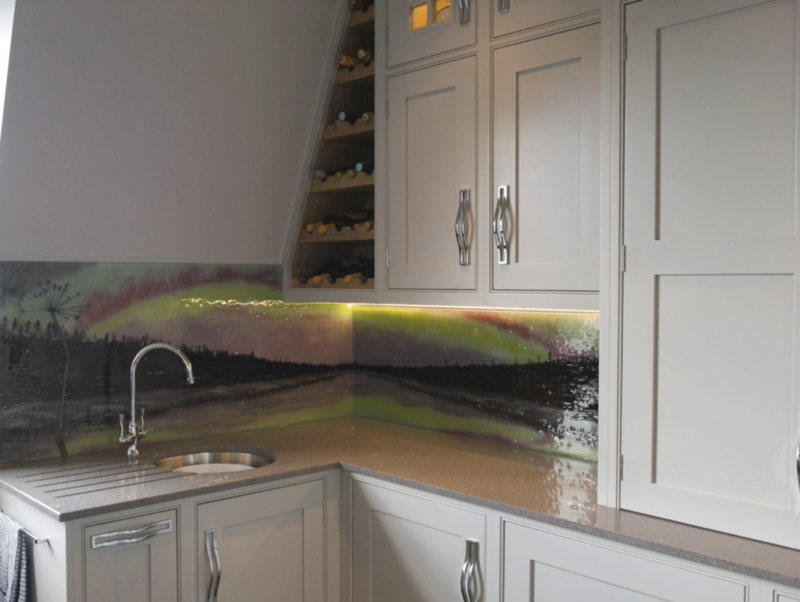 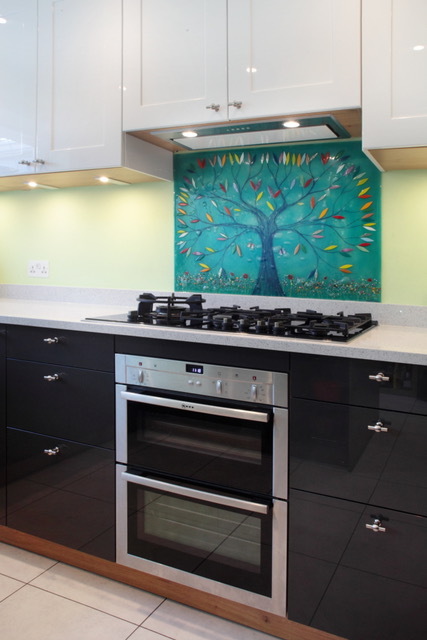 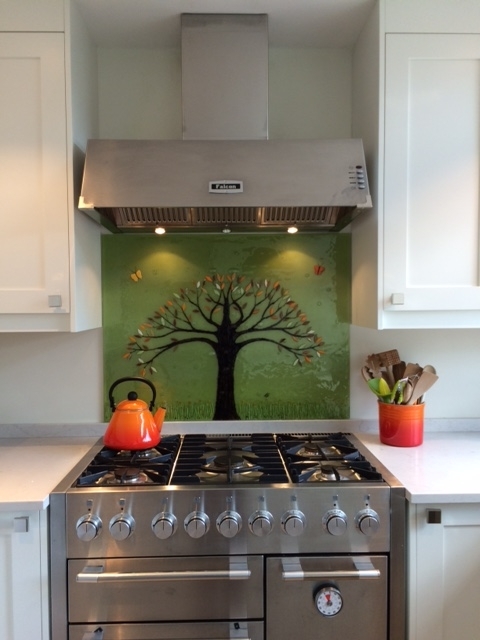 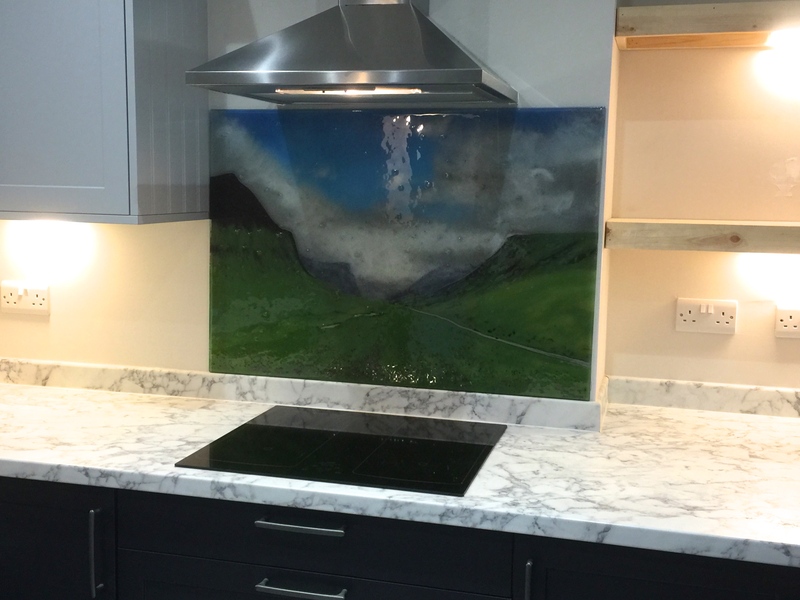 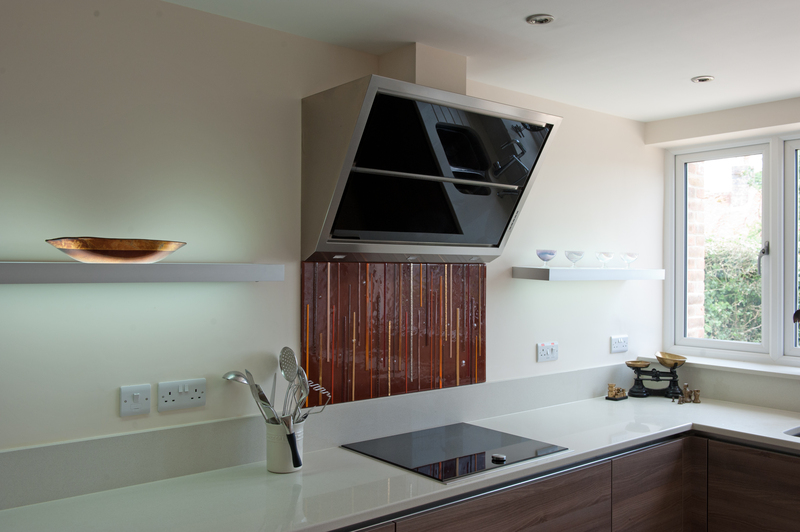 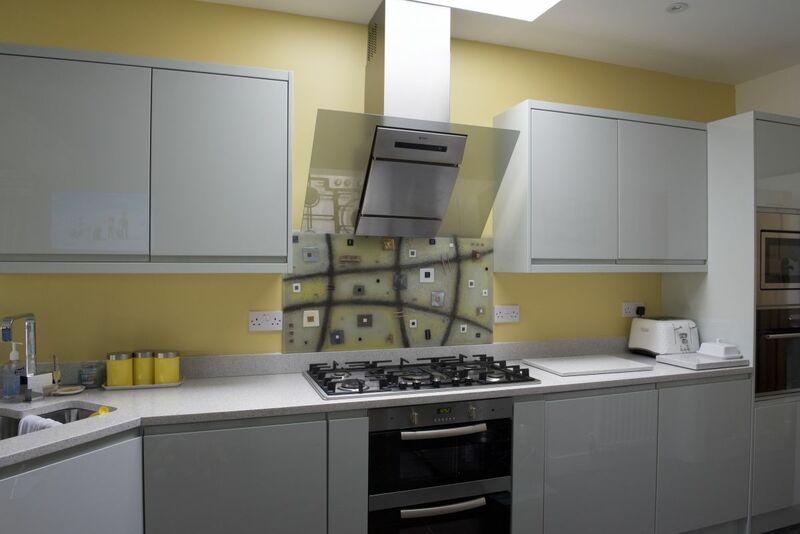 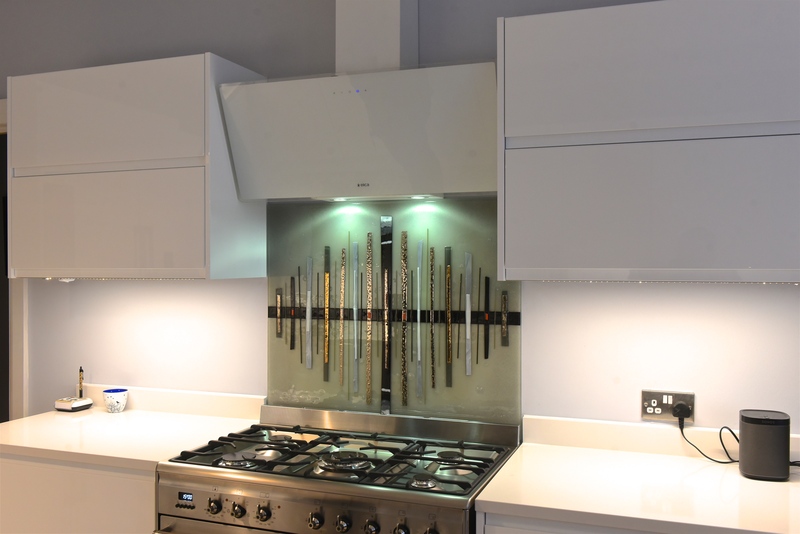 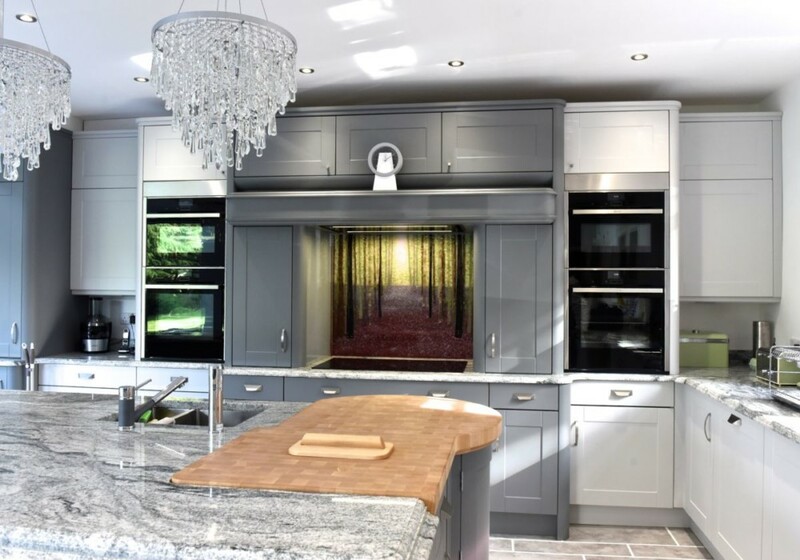 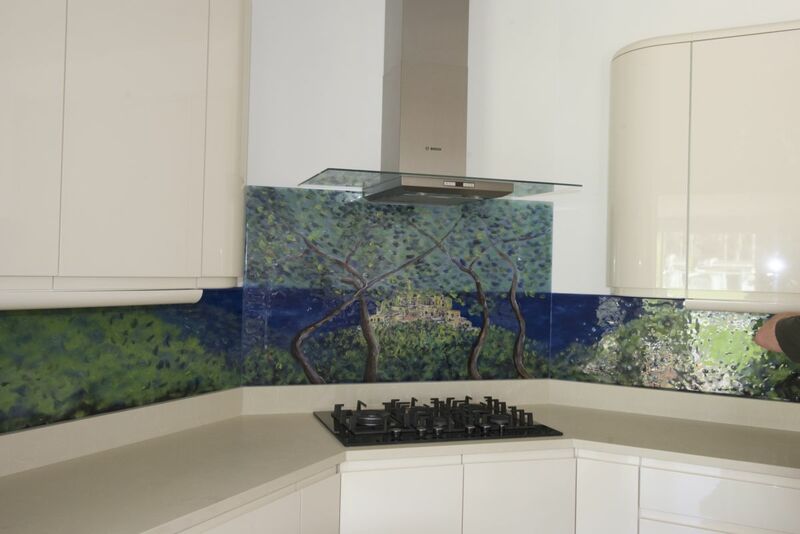 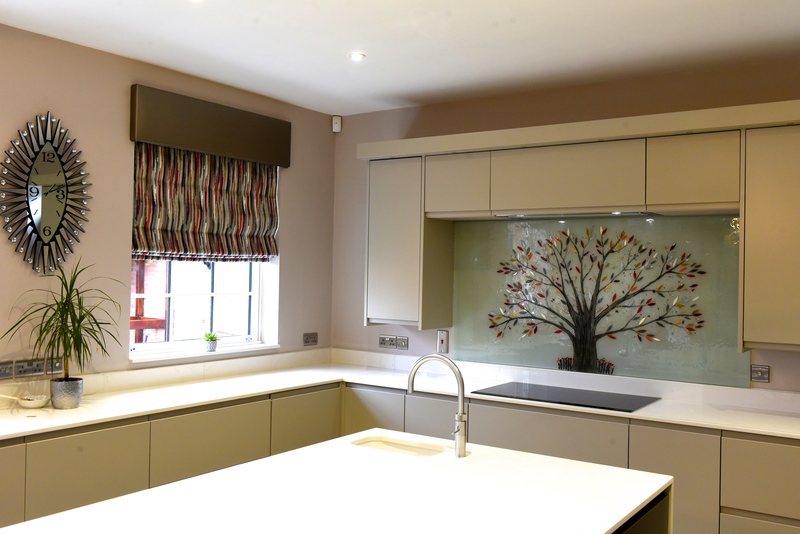 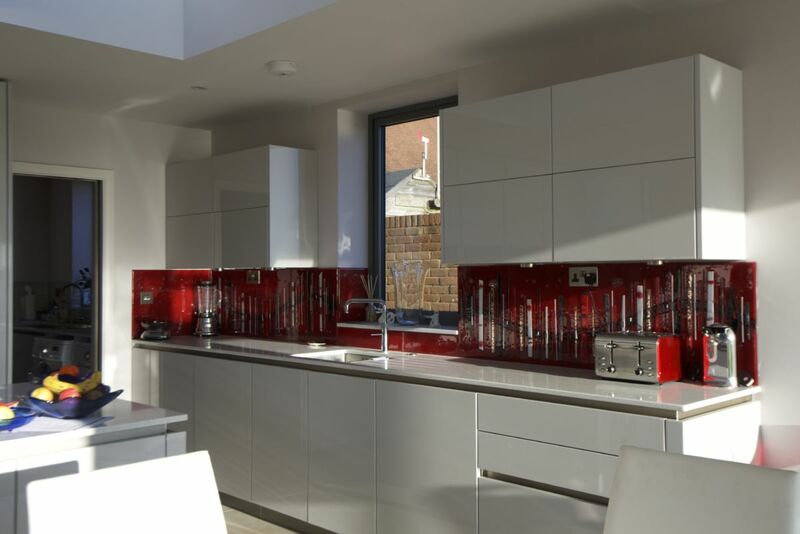 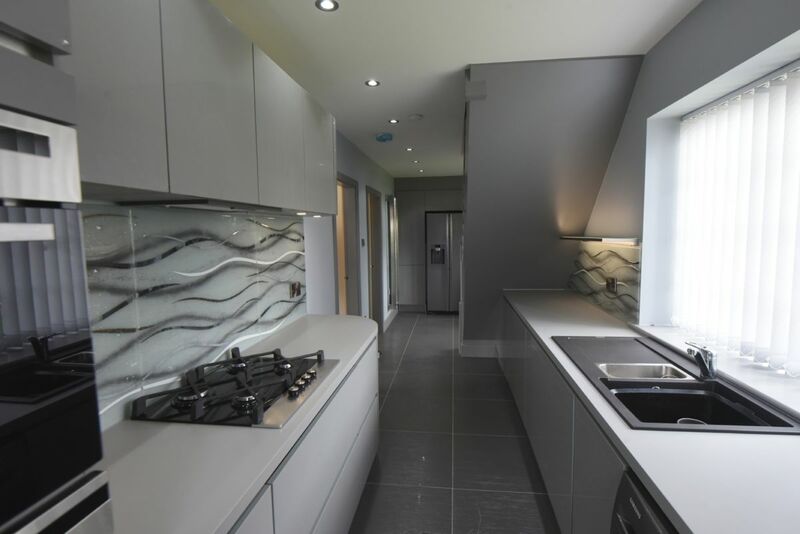 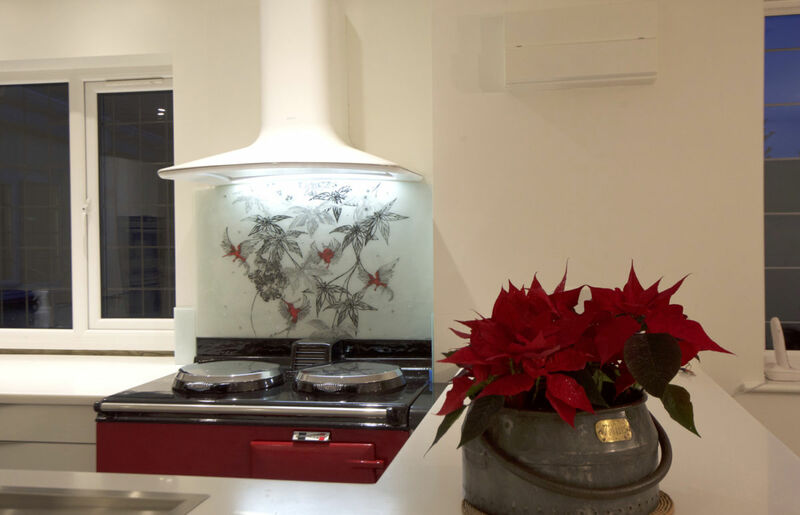 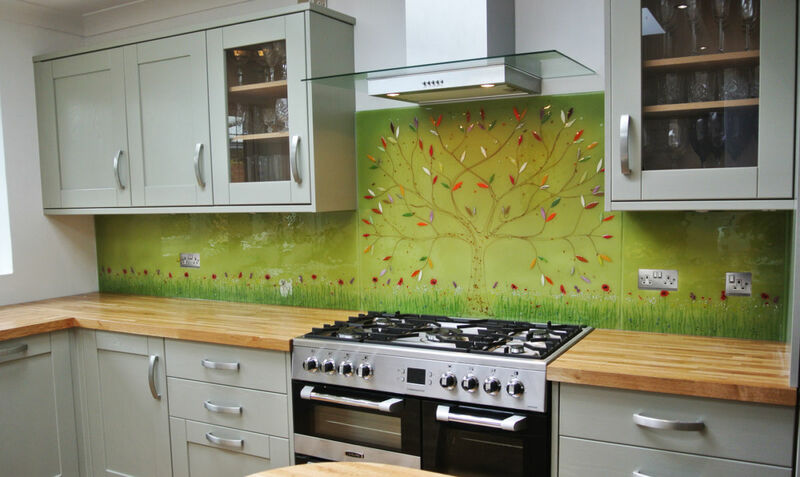 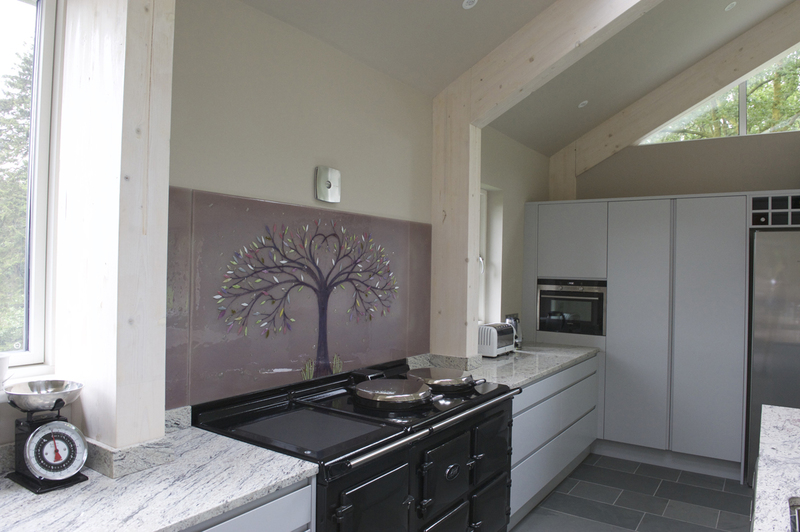 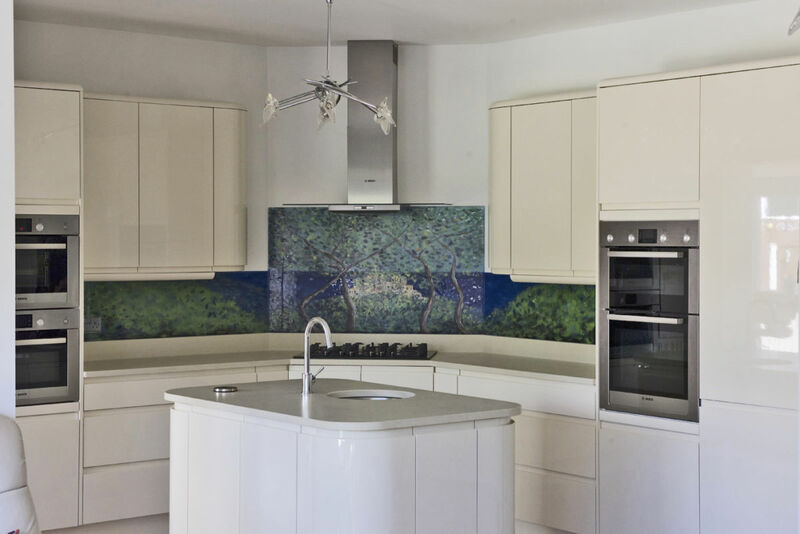 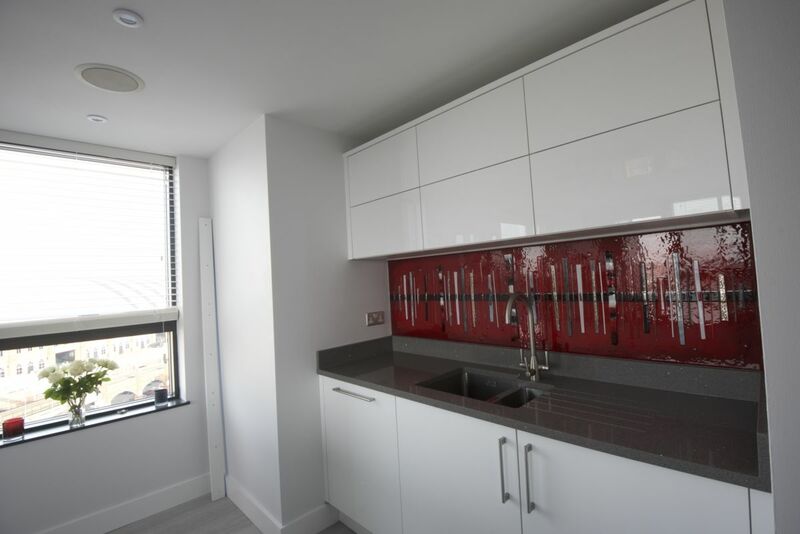 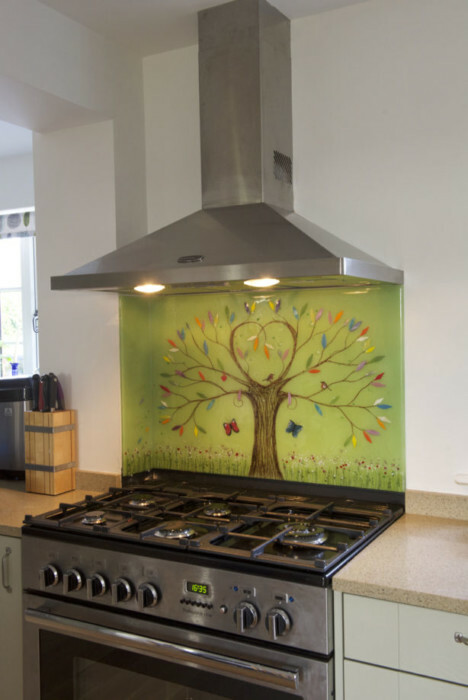 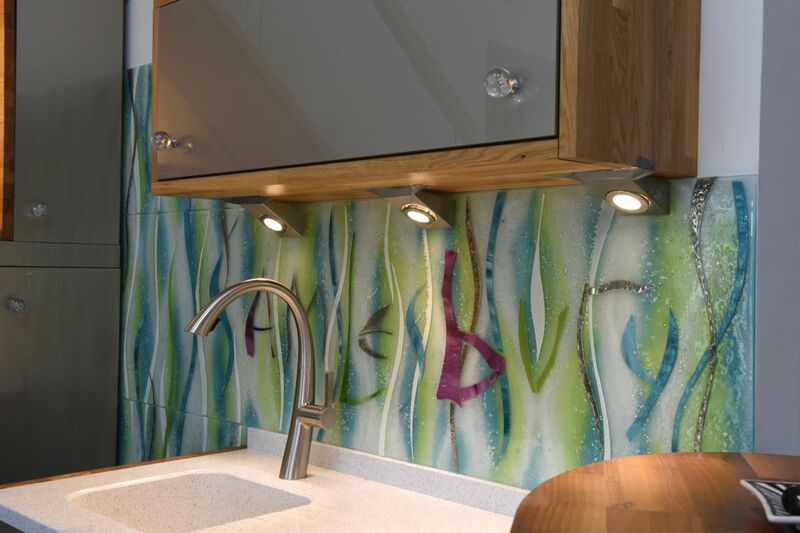 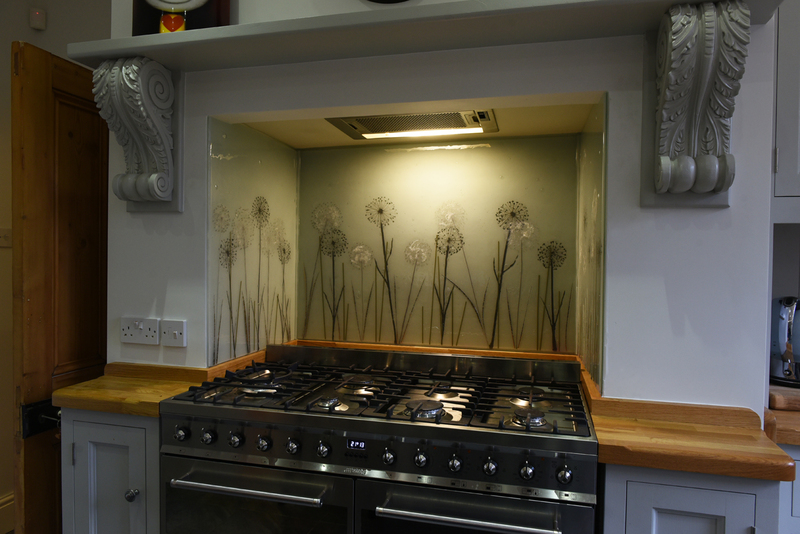 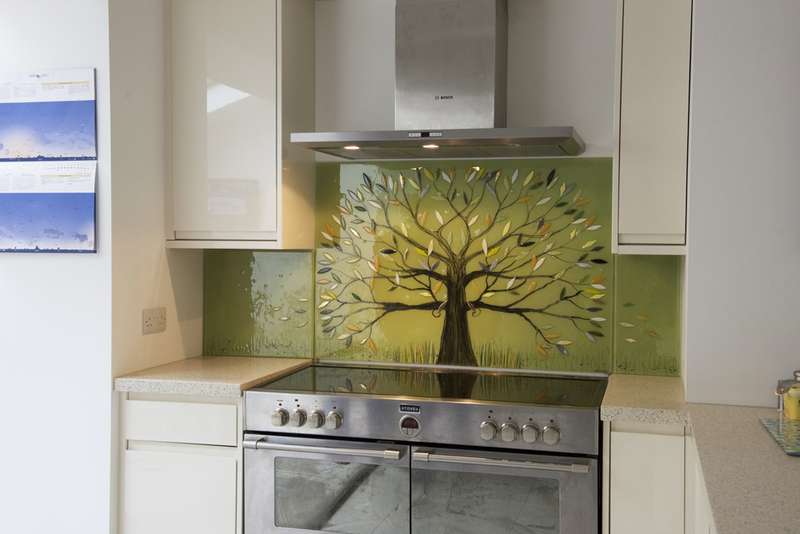 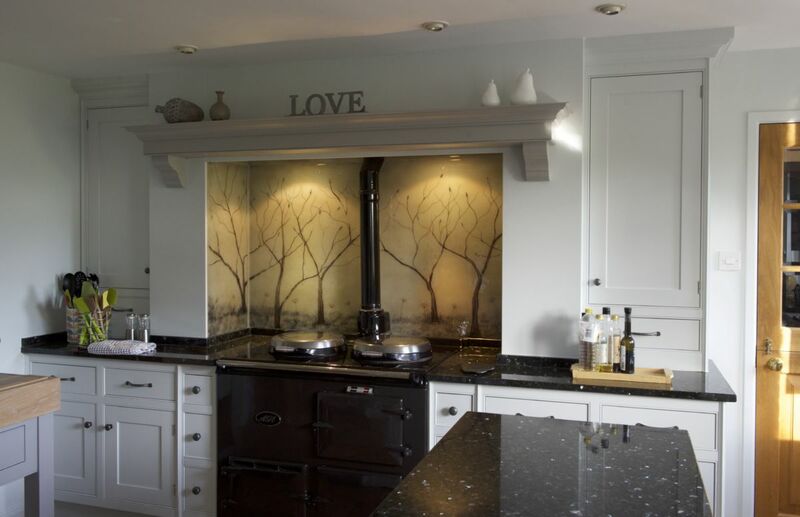 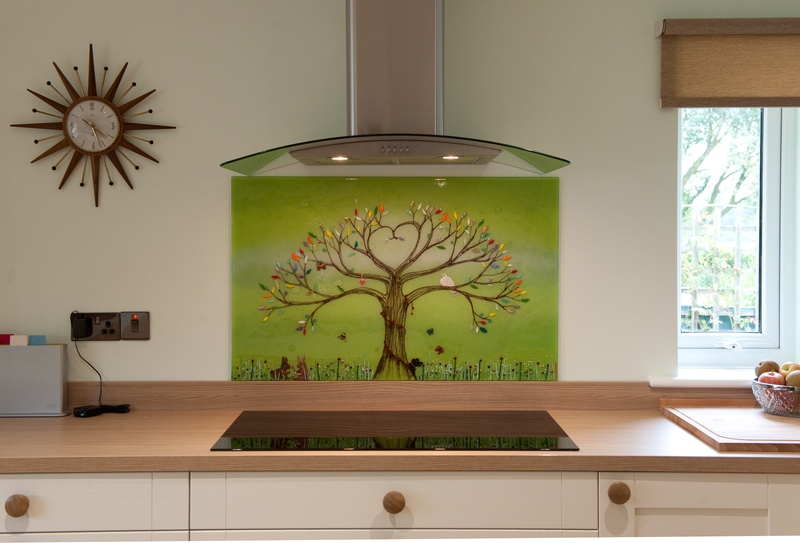 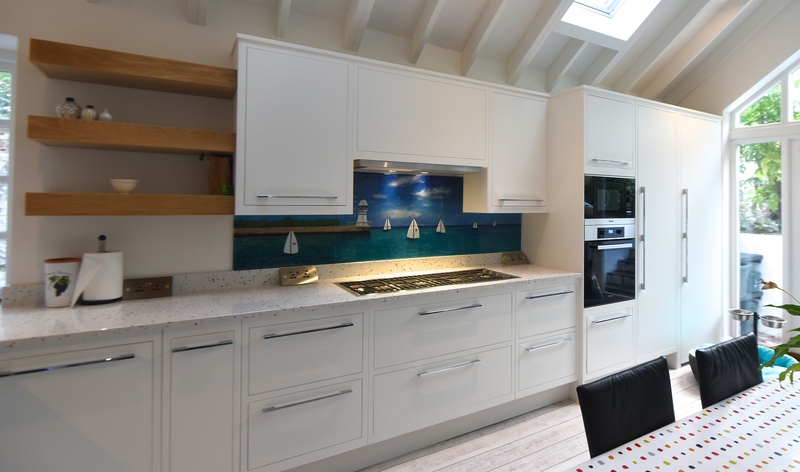 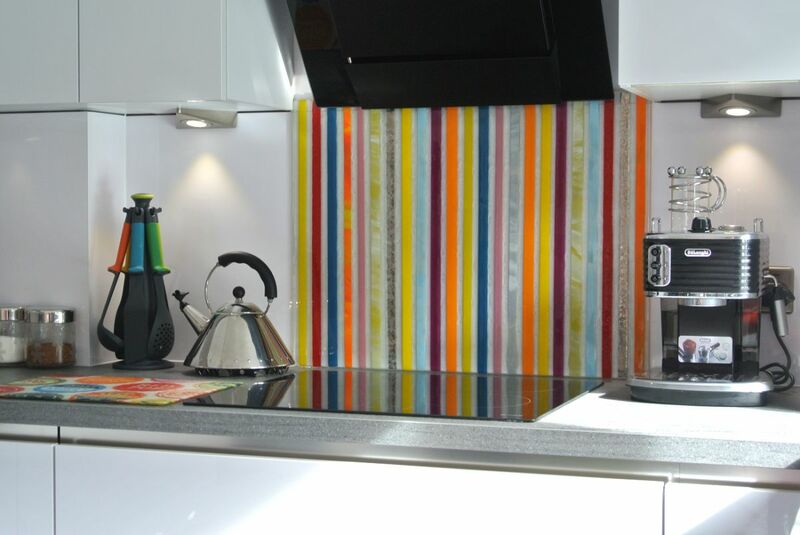 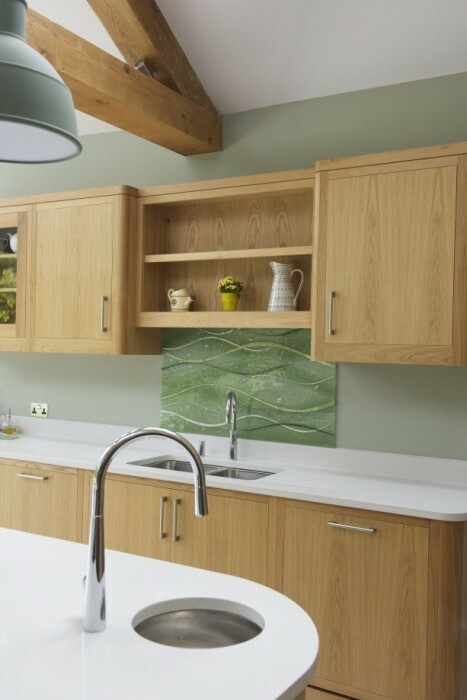 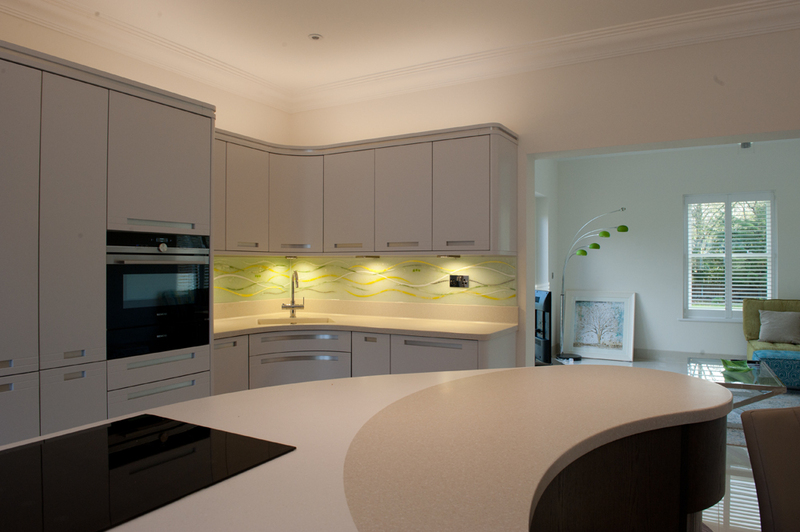 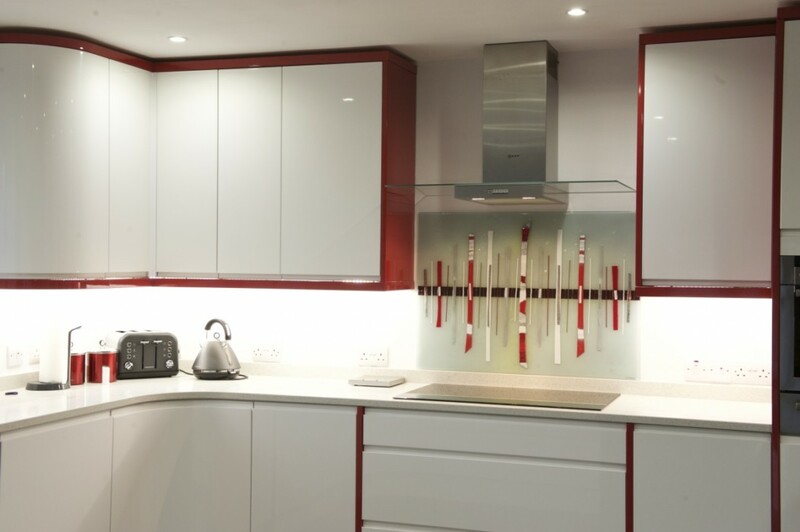 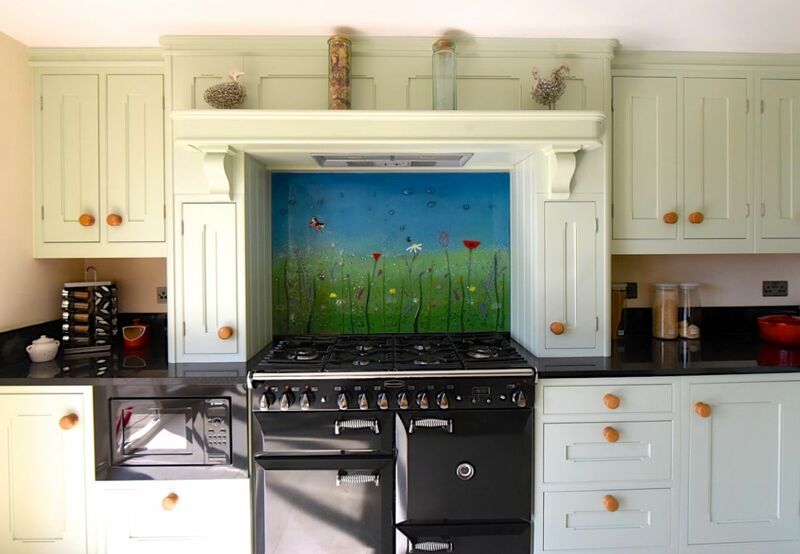 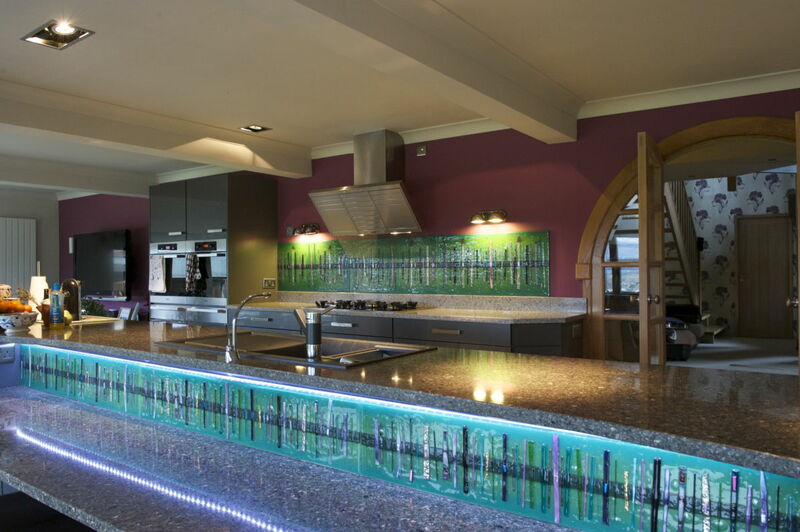 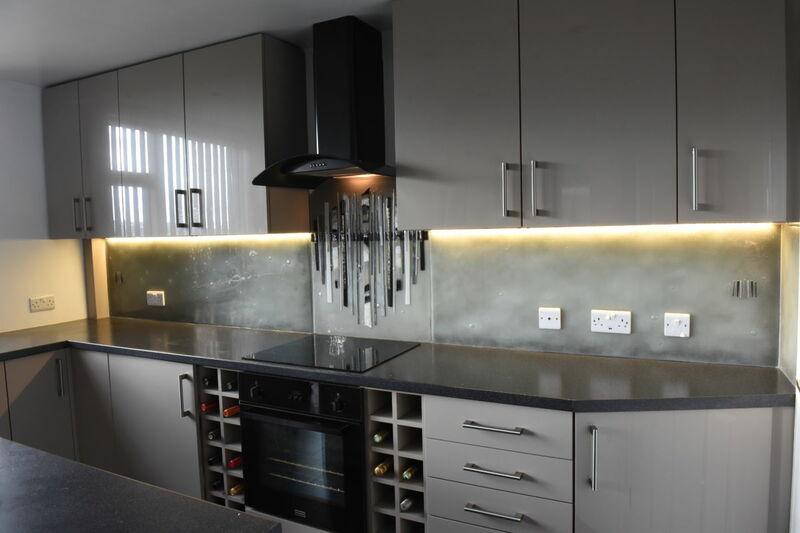 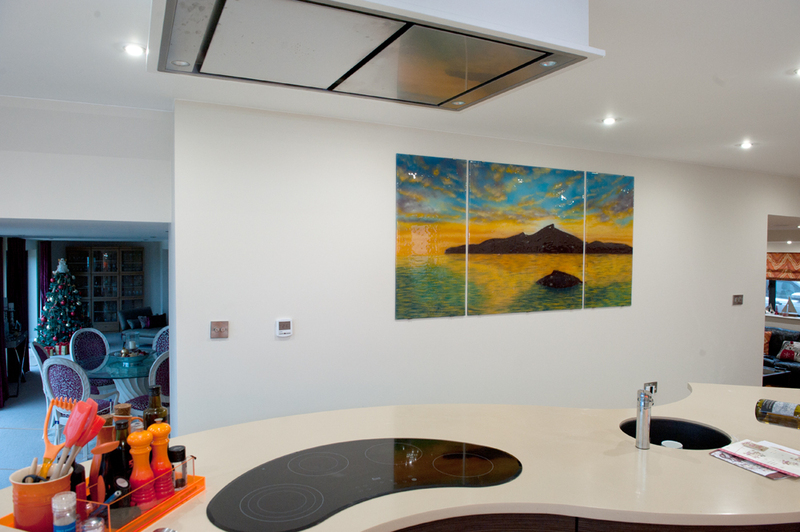 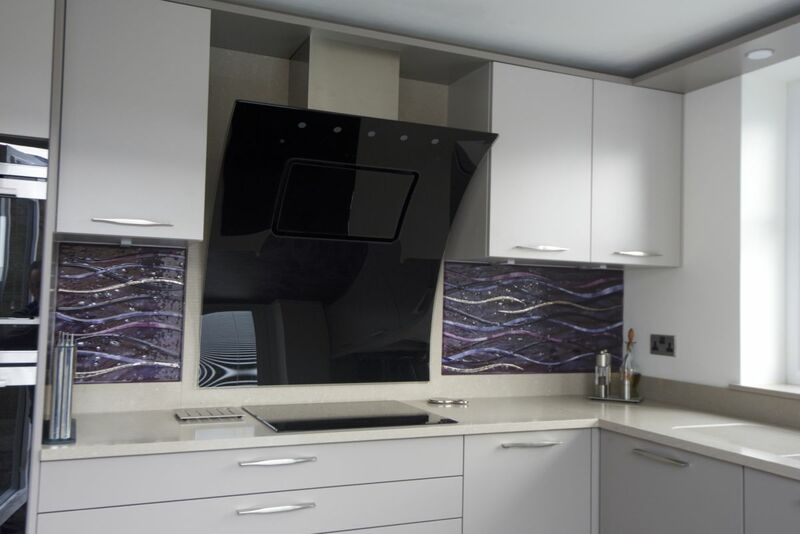 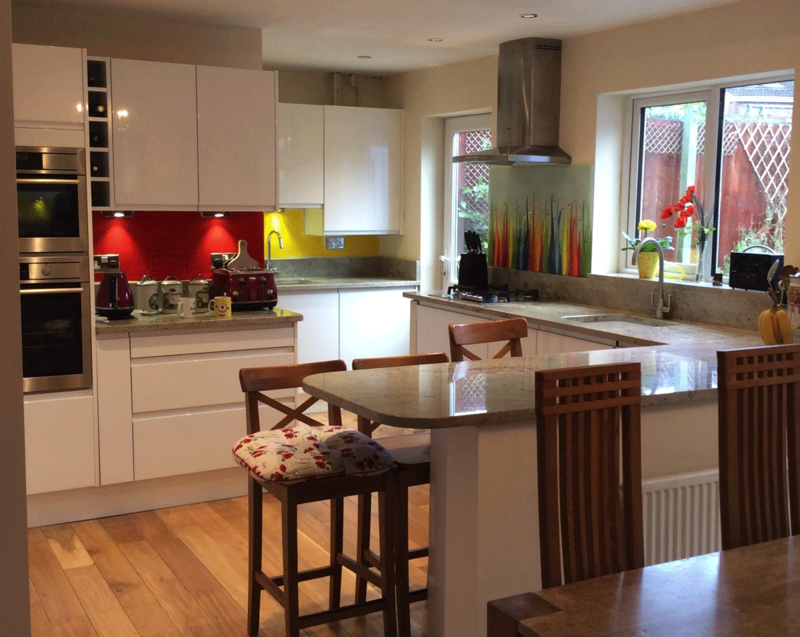 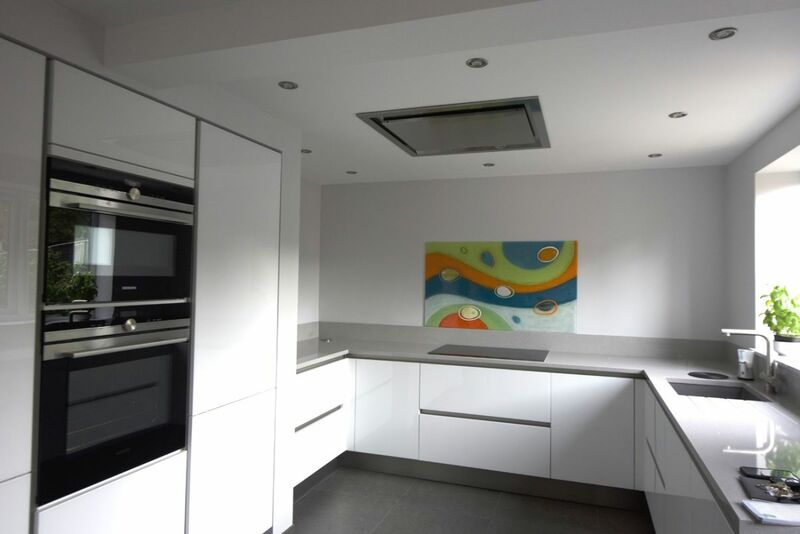 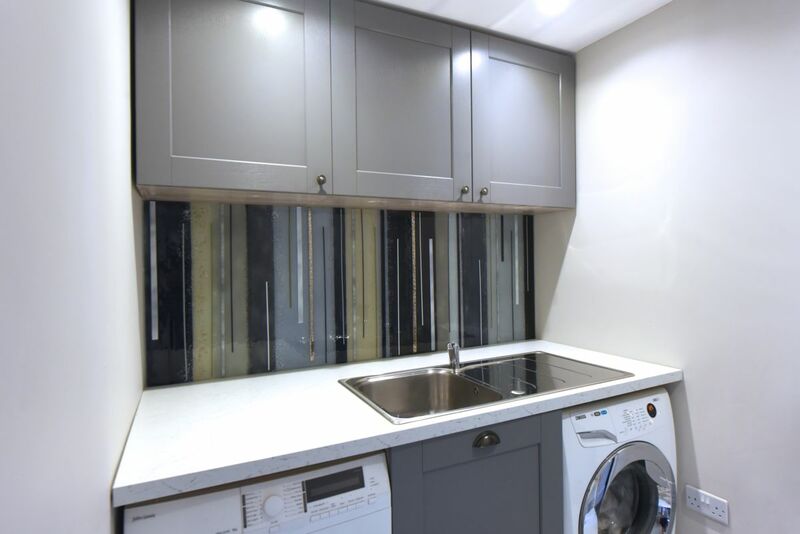 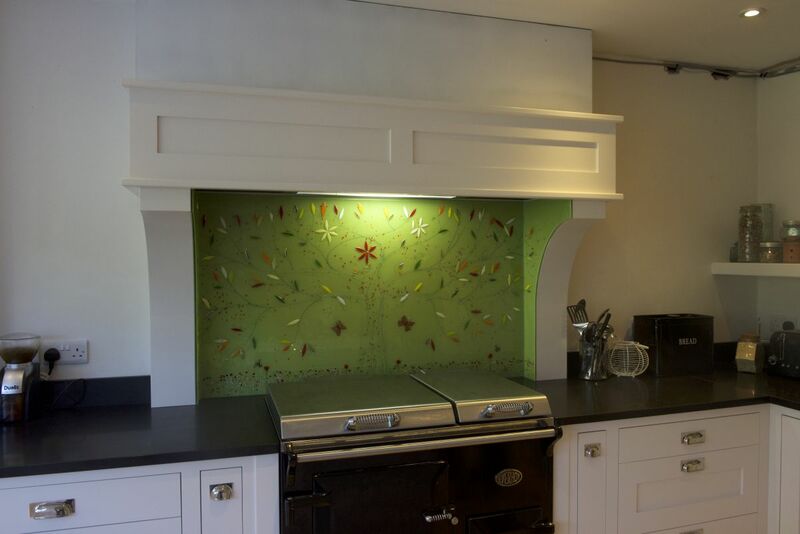 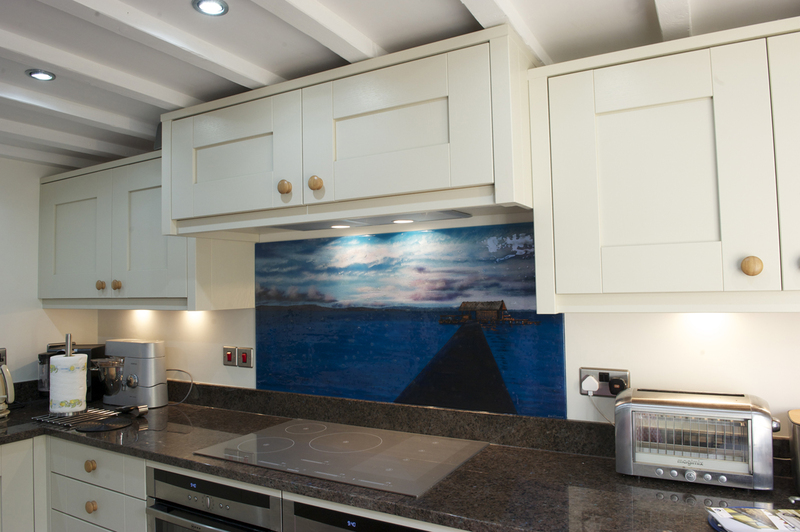 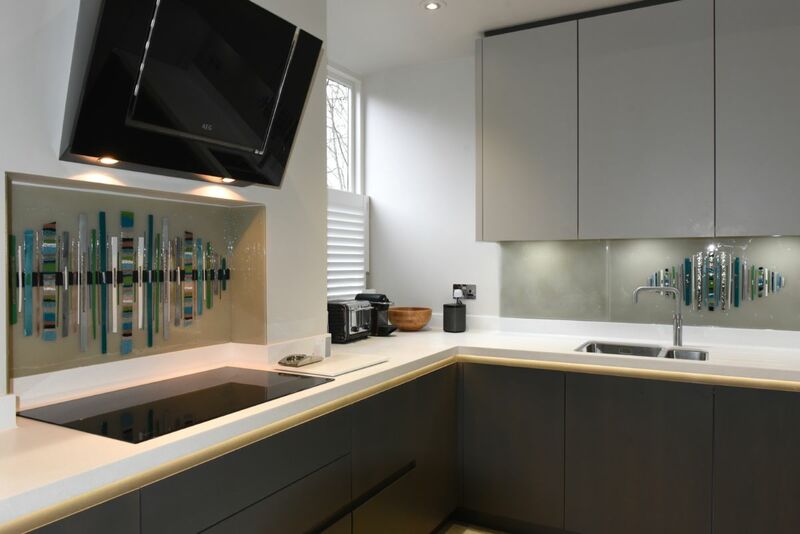 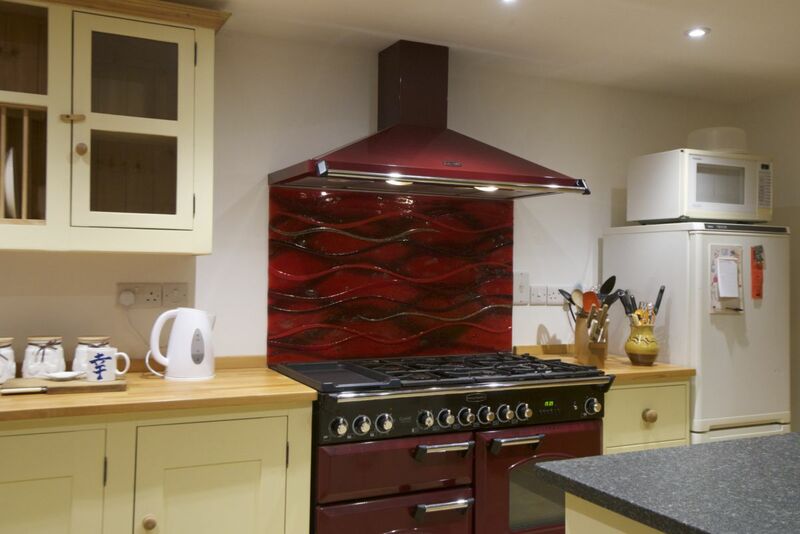 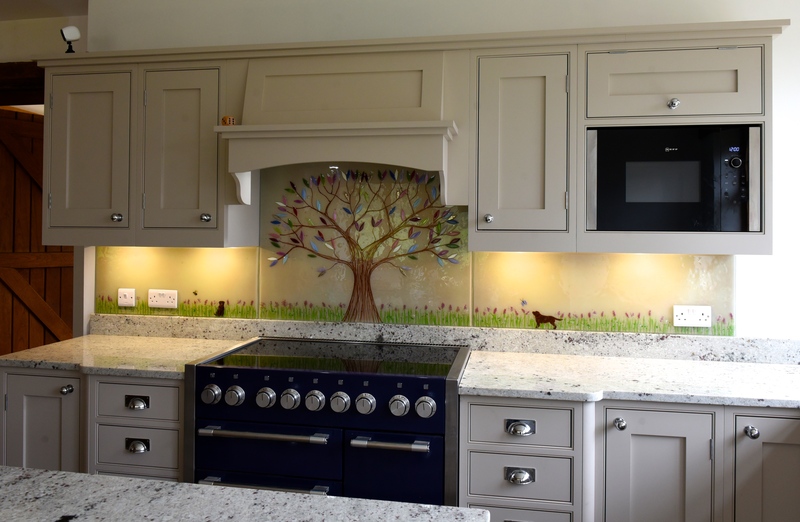 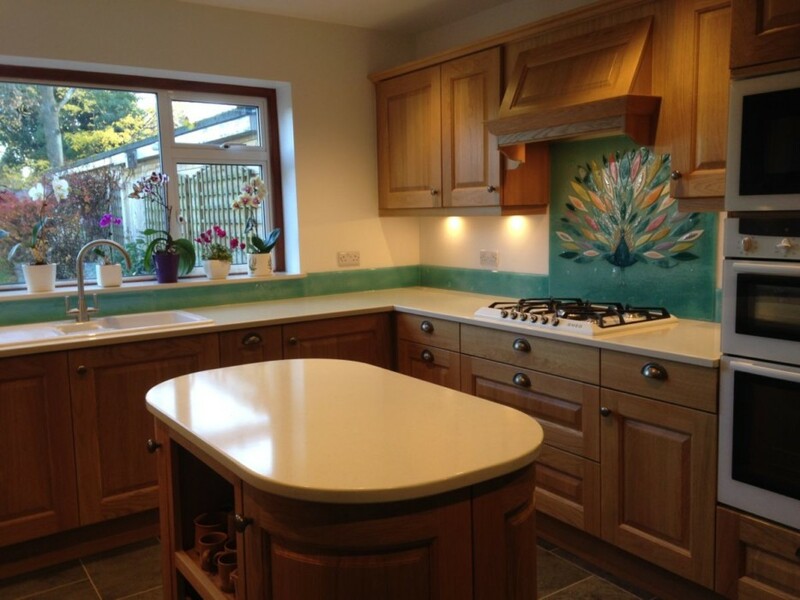 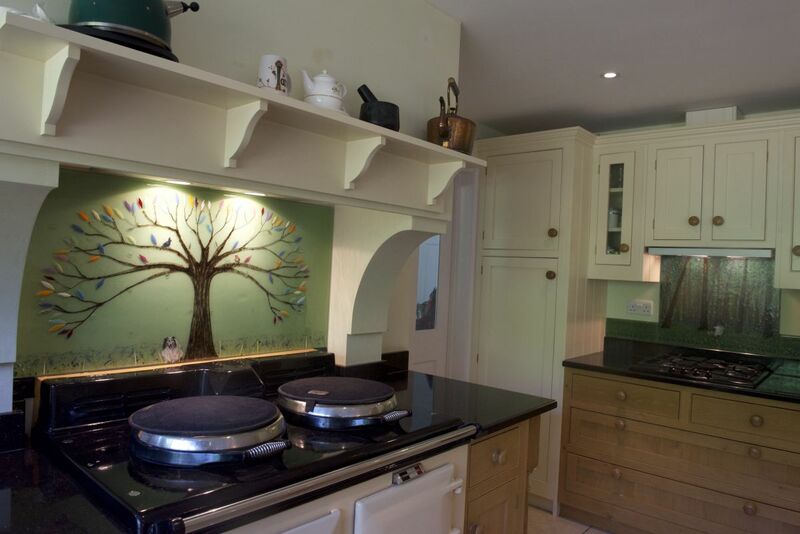 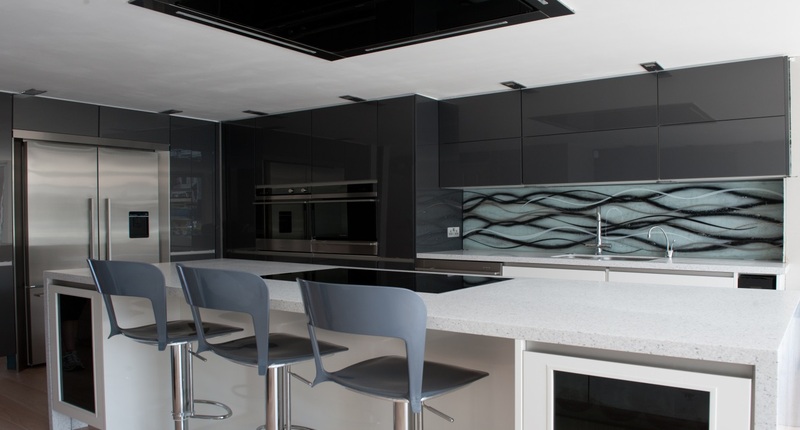 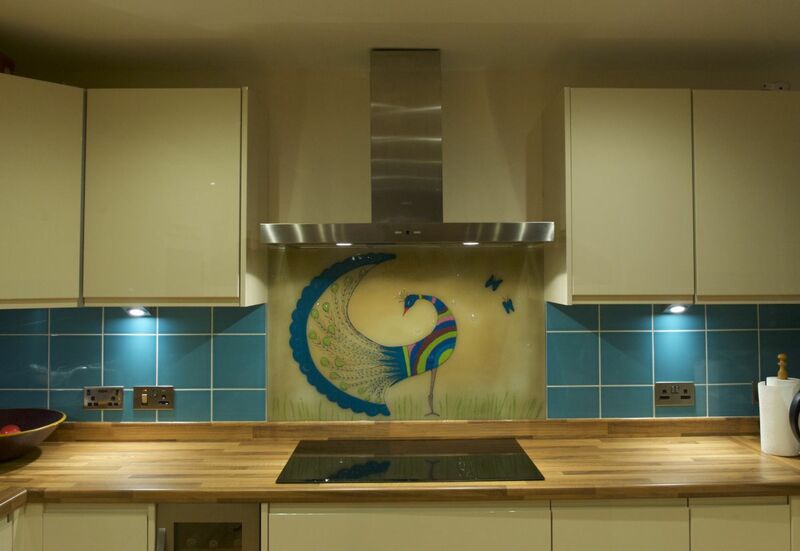 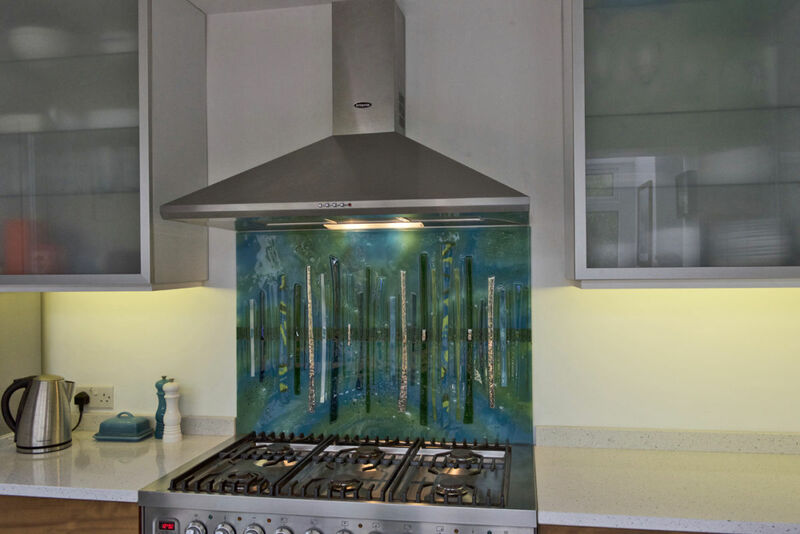 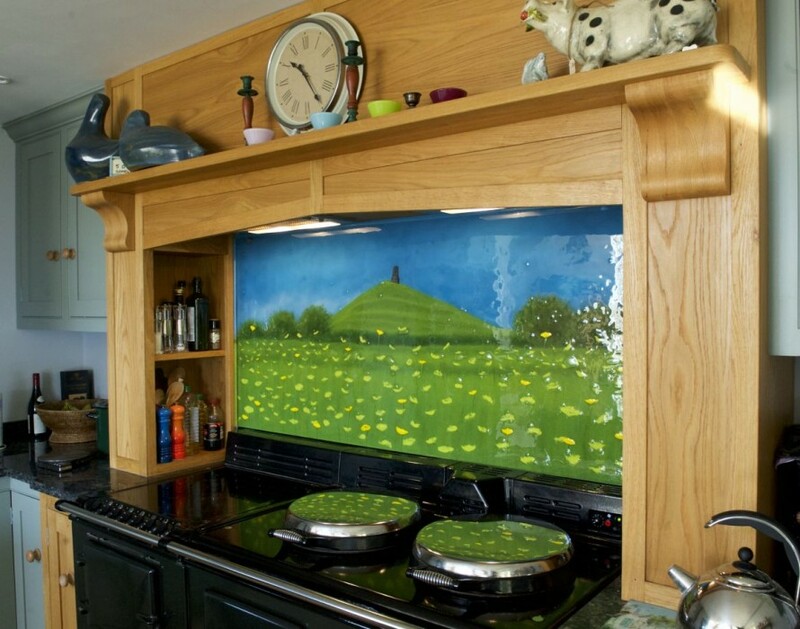 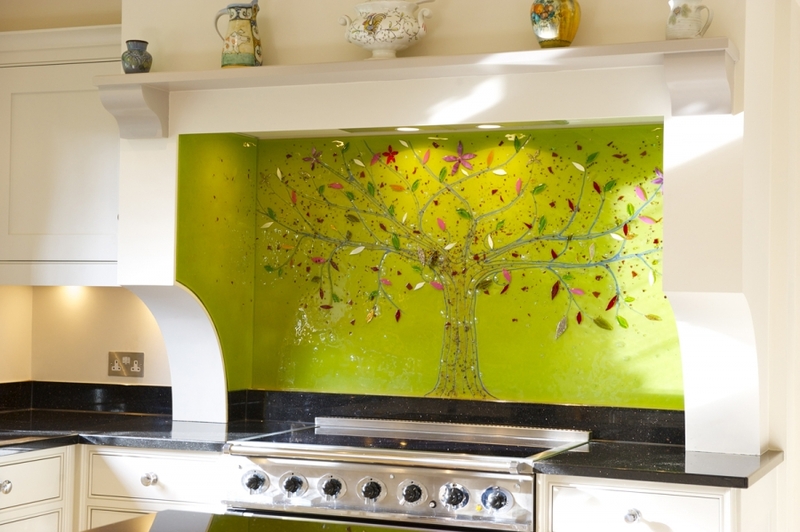 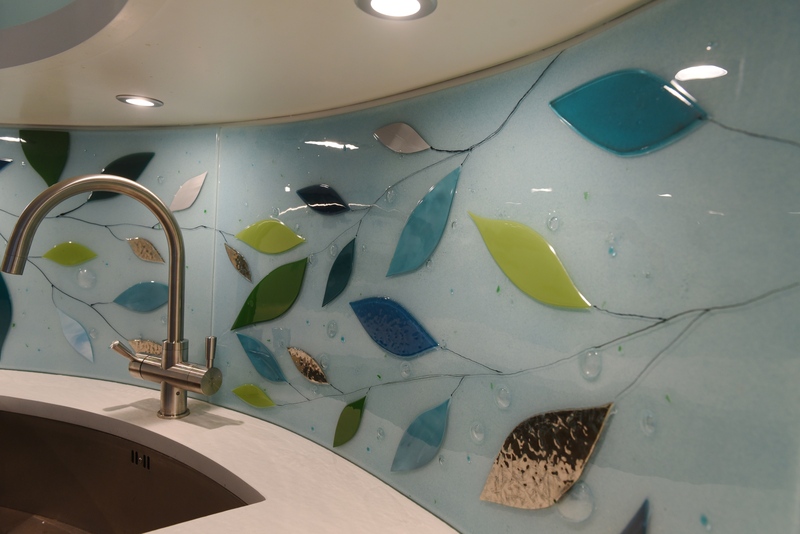 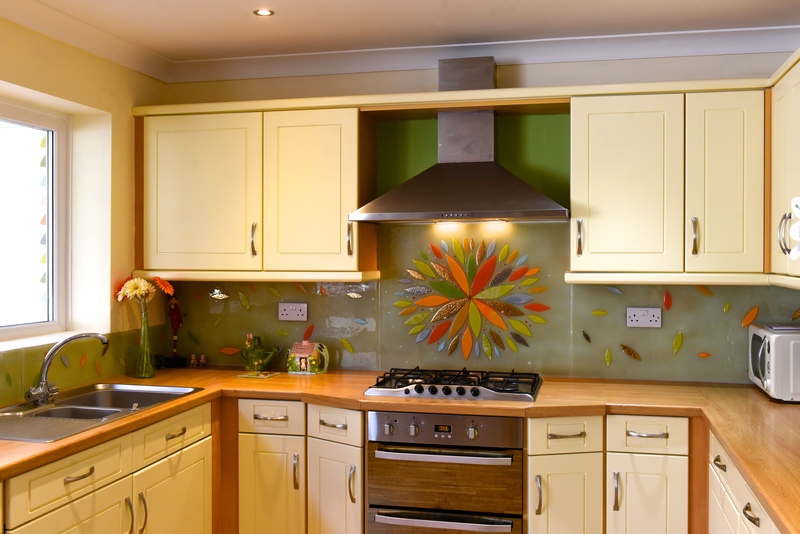 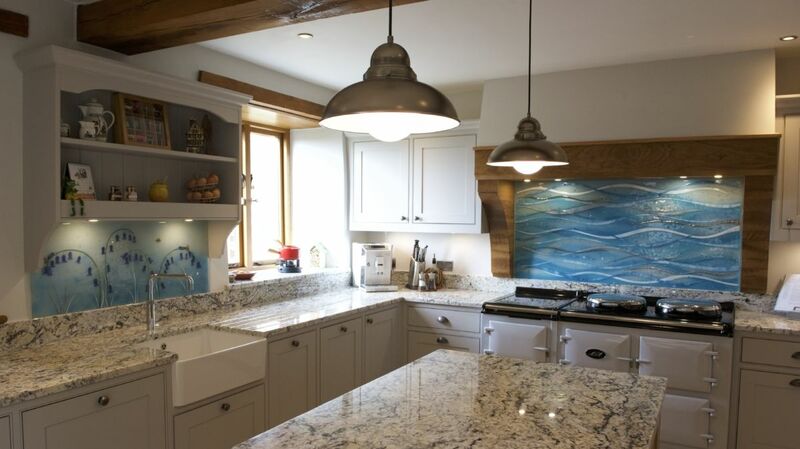 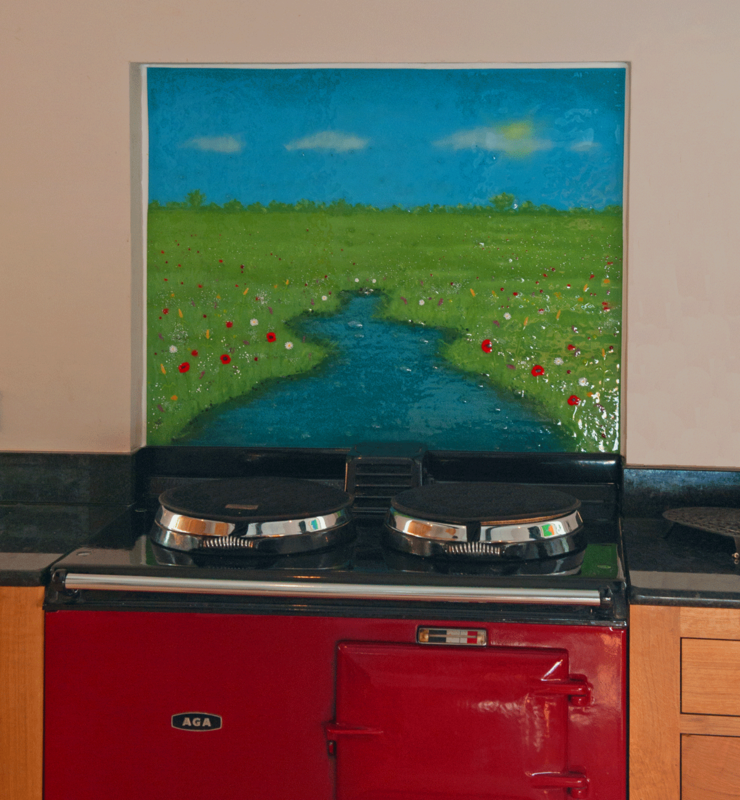 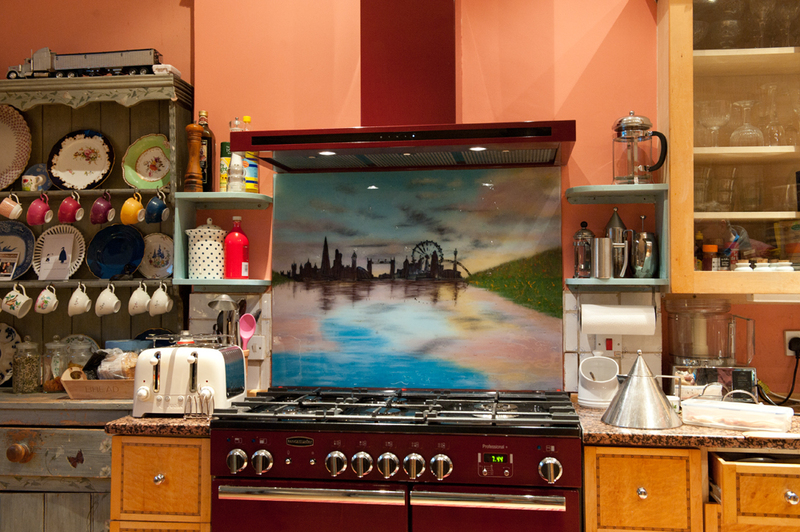 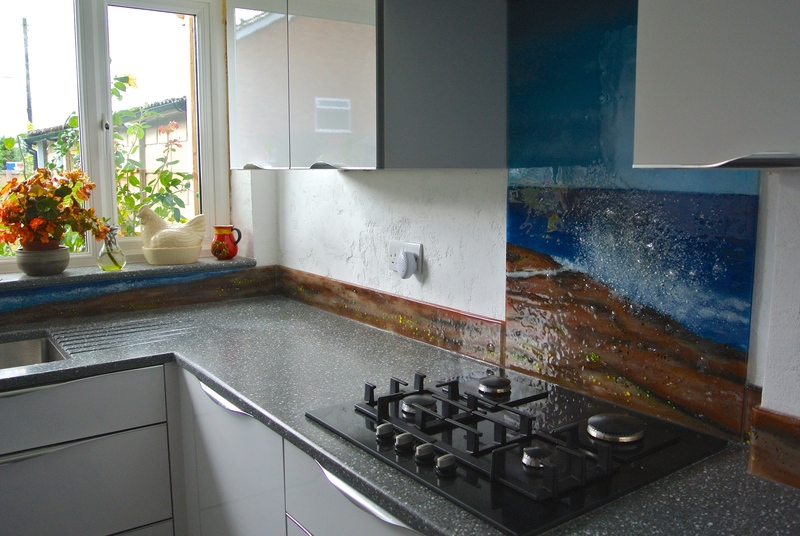 If you love the way that this gorgeously green splashback looks, why not look into getting your very own? 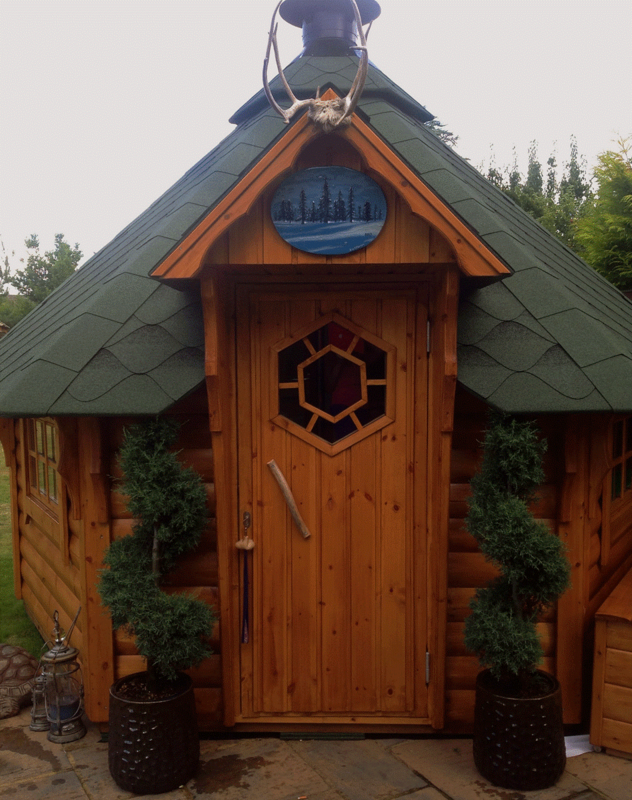 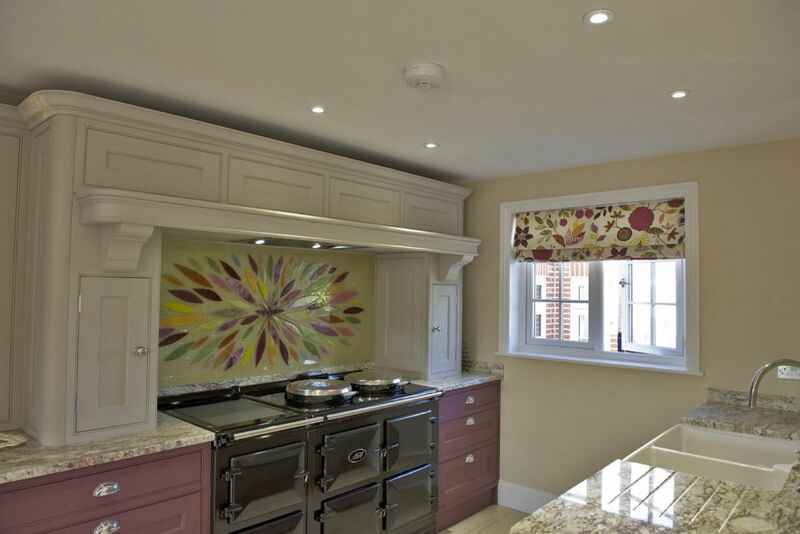 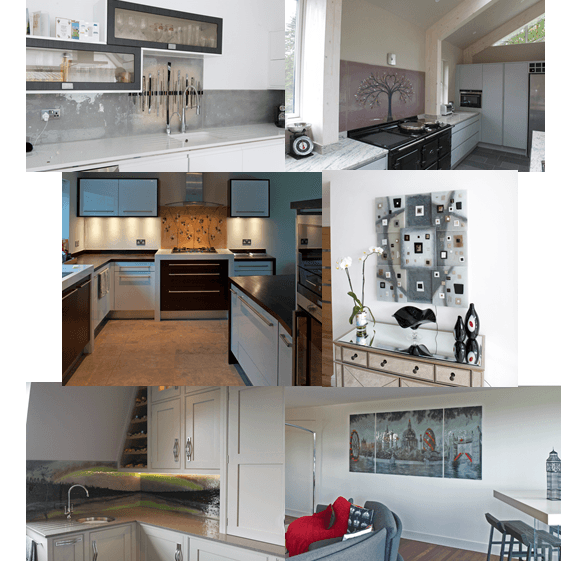 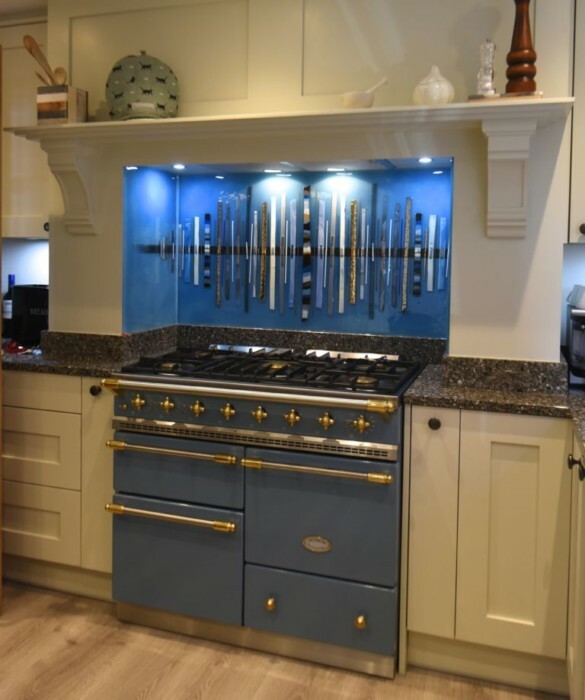 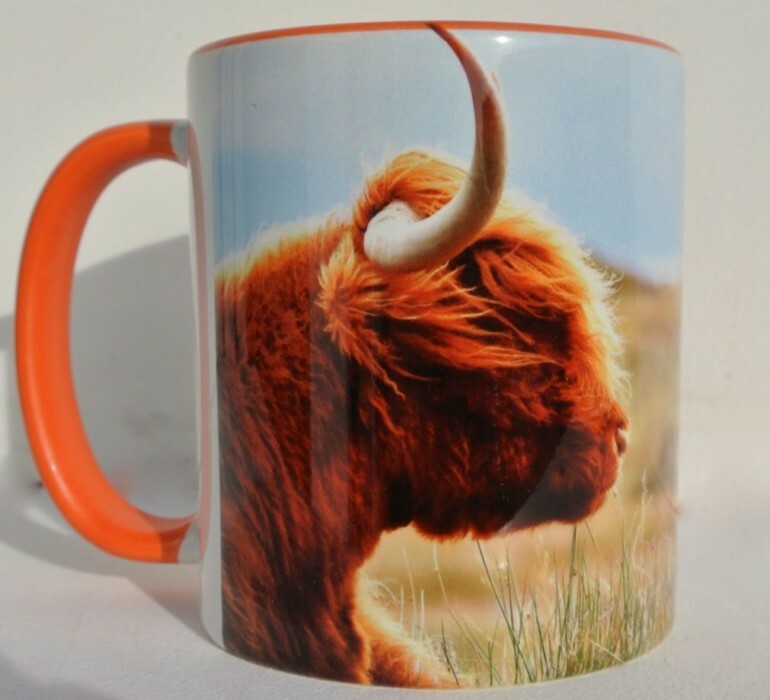 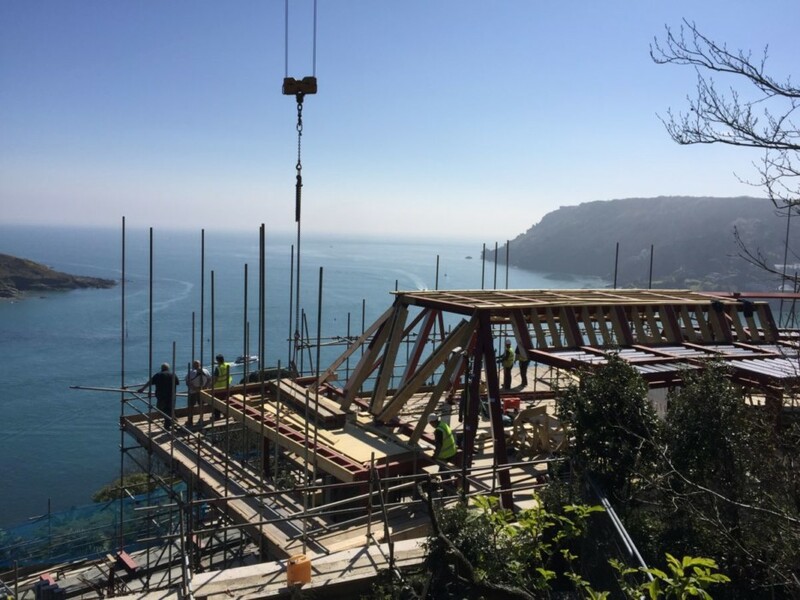 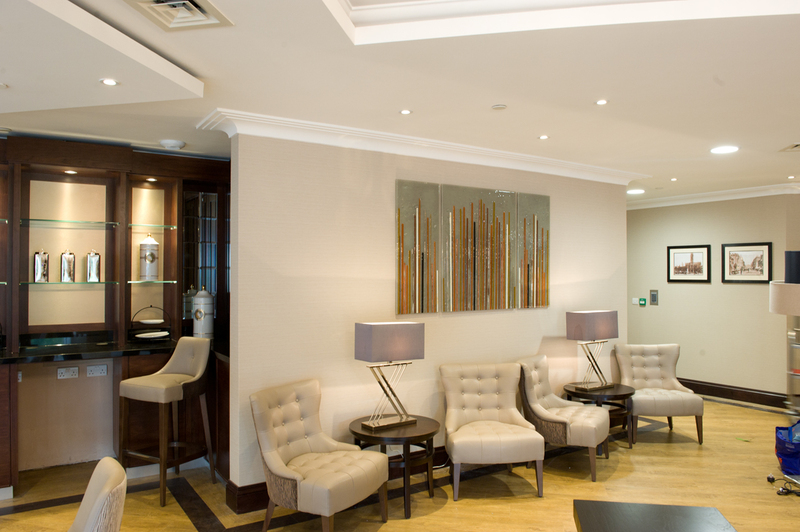 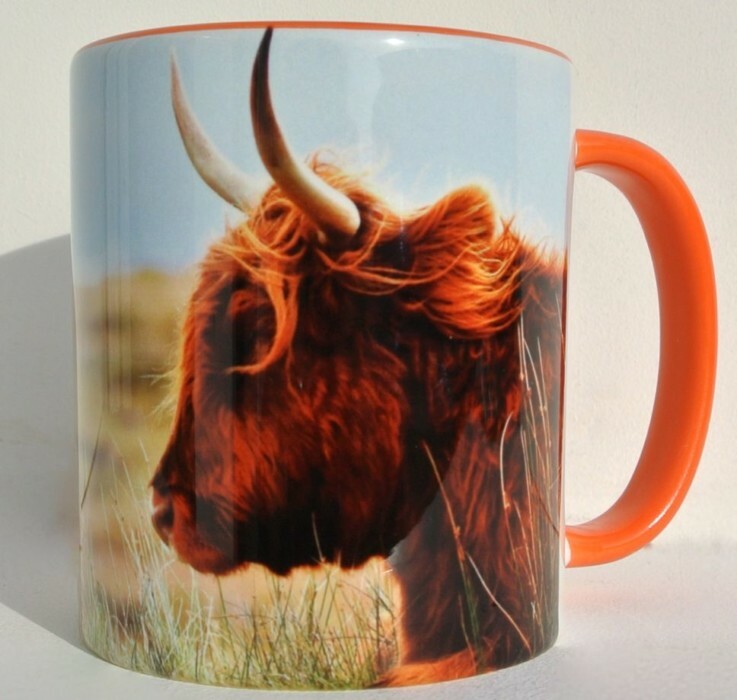 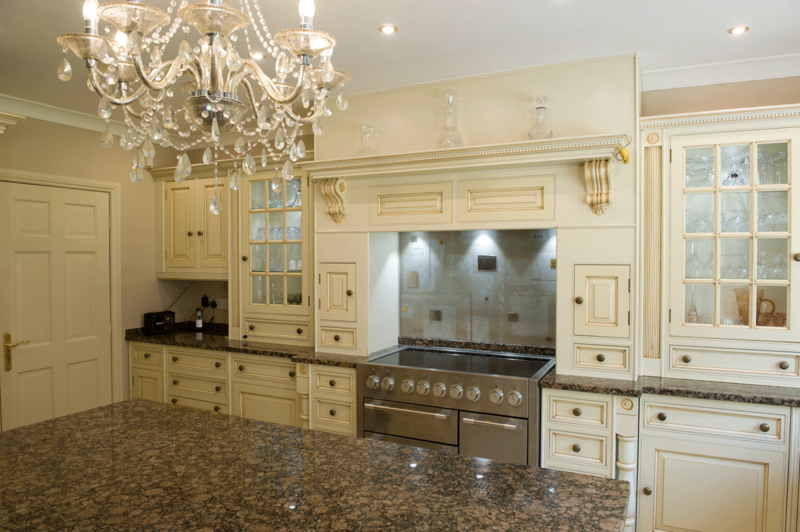 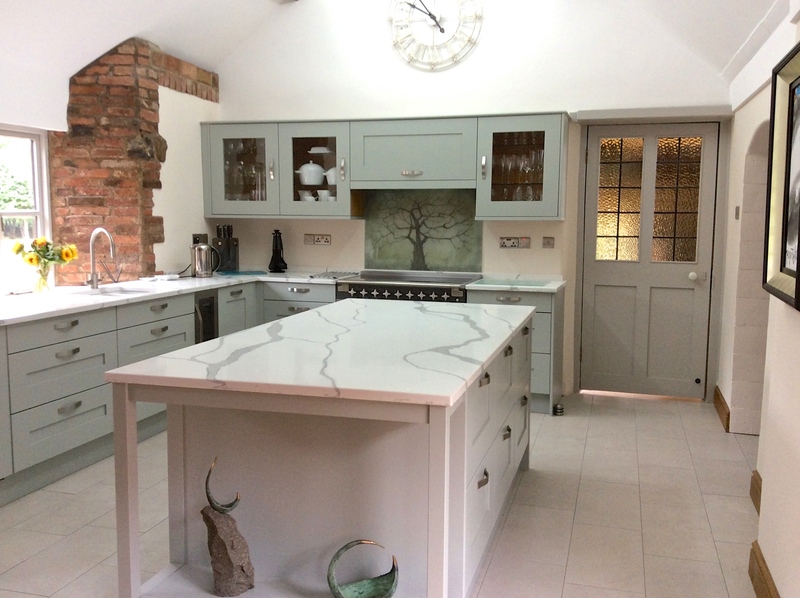 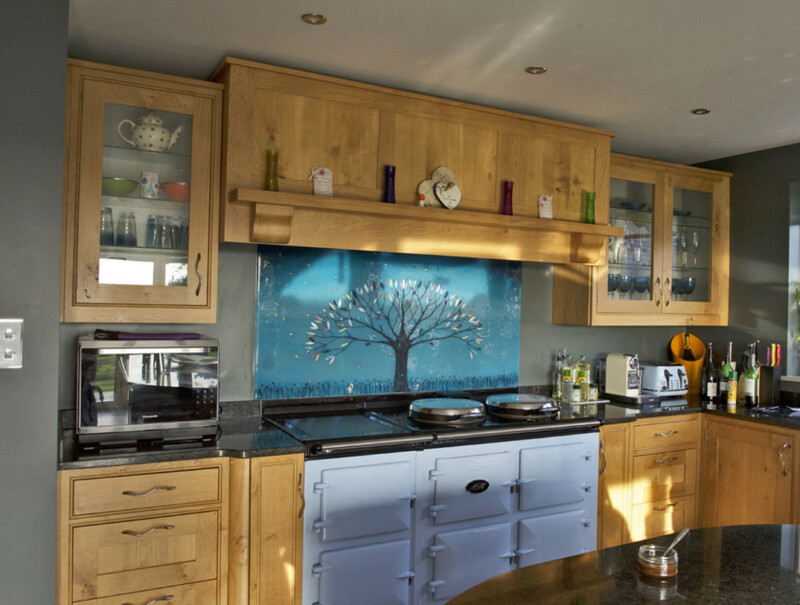 Every single piece we create is made handmade, meaning that the design can be as bespoke as you’d like it to be. 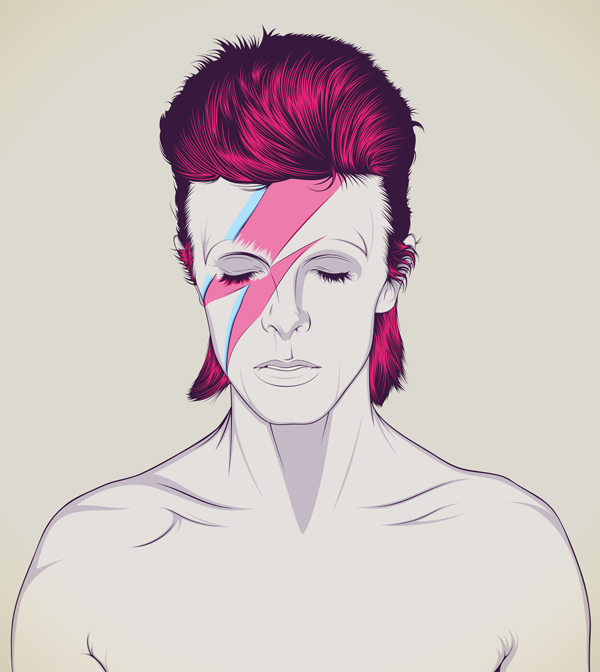 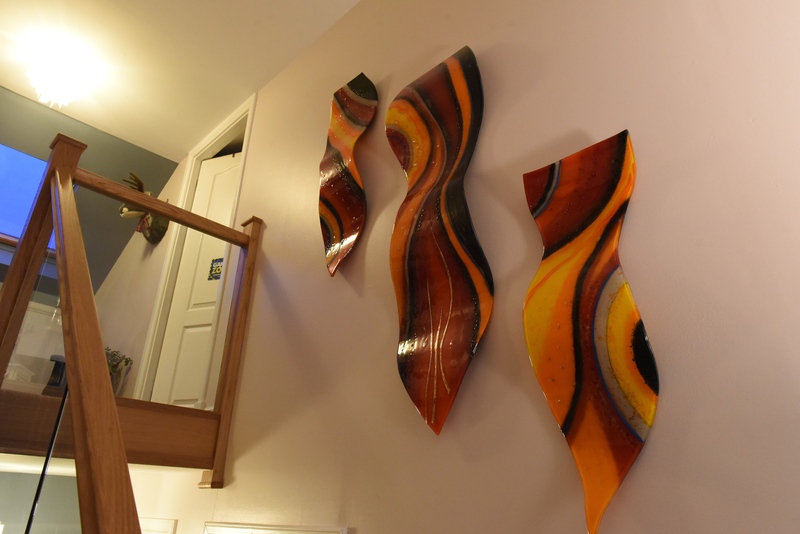 You could have a piece that looks just like the one you see pictured above, or you could just as easily have something completely original. 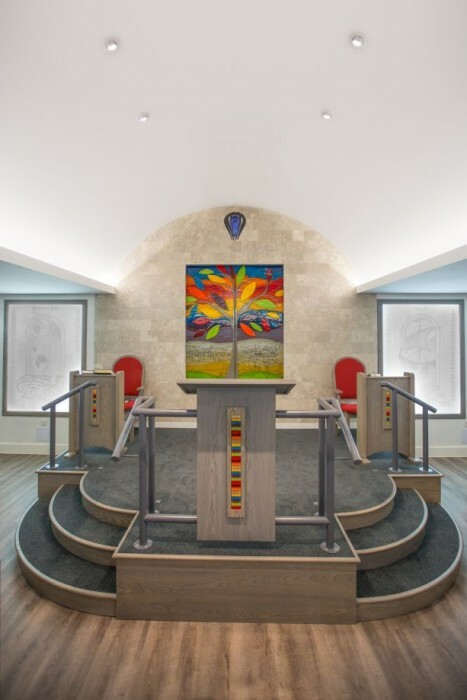 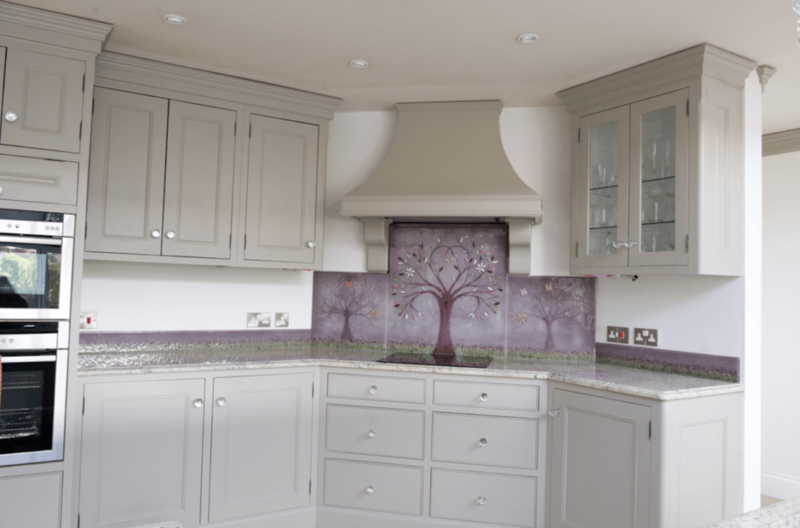 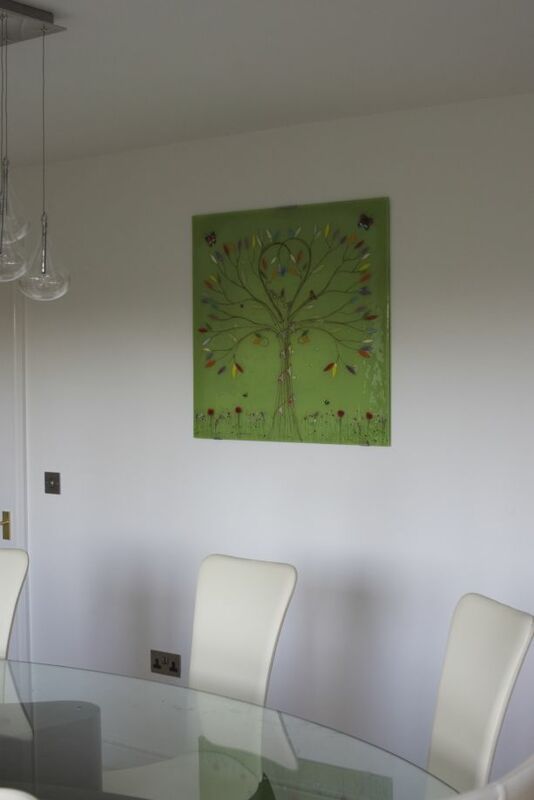 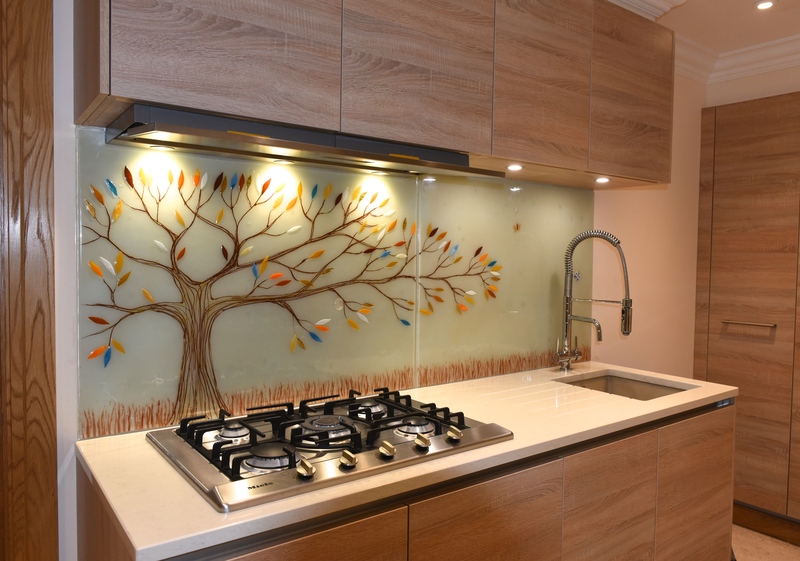 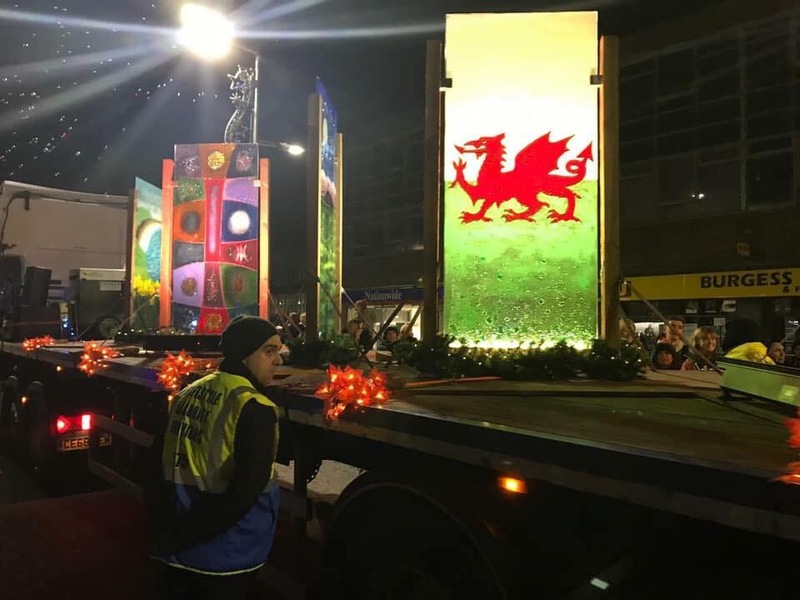 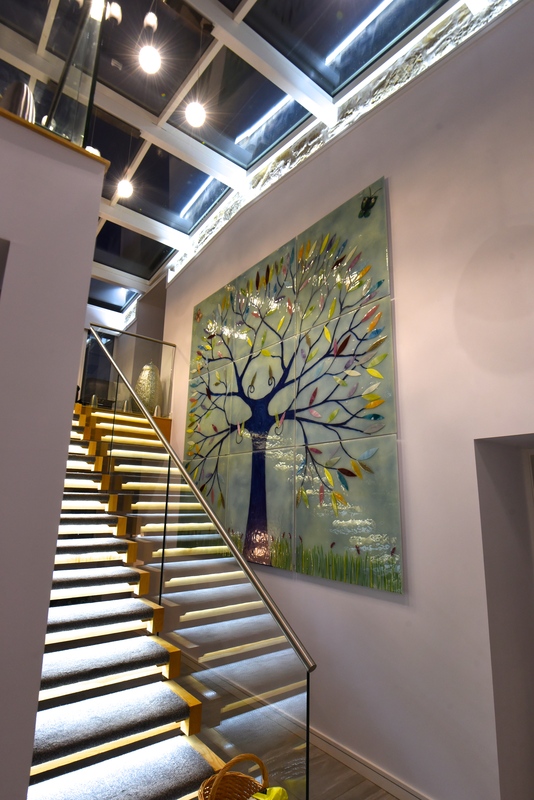 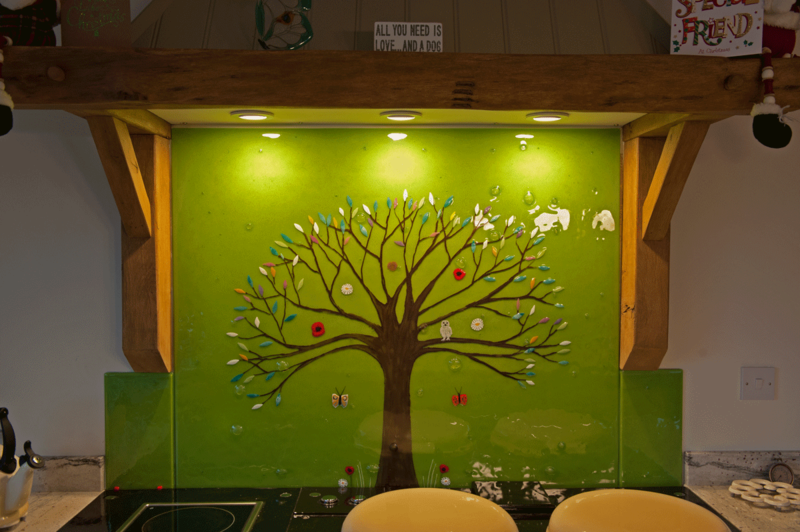 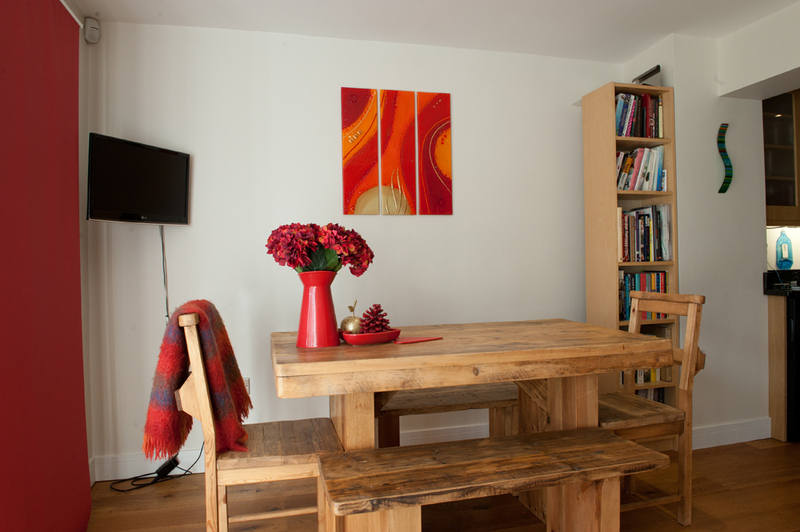 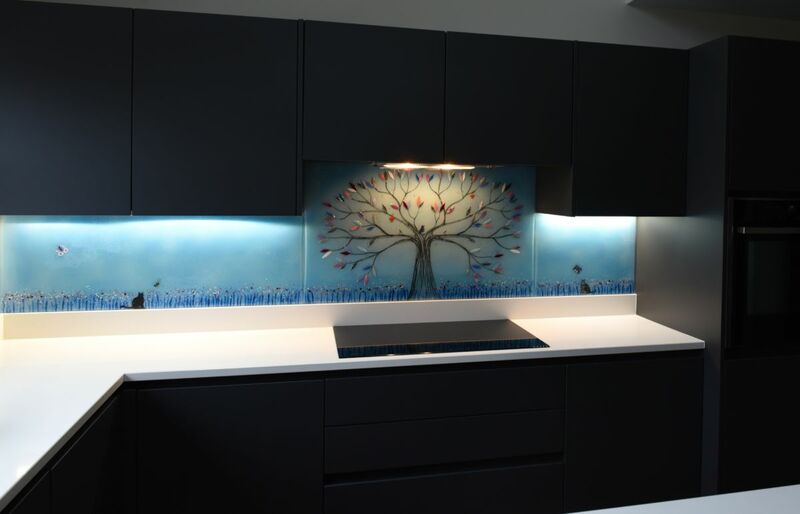 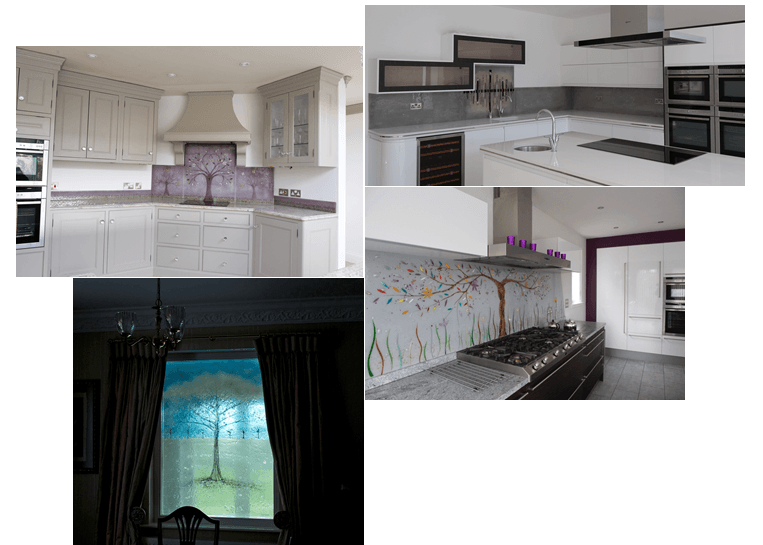 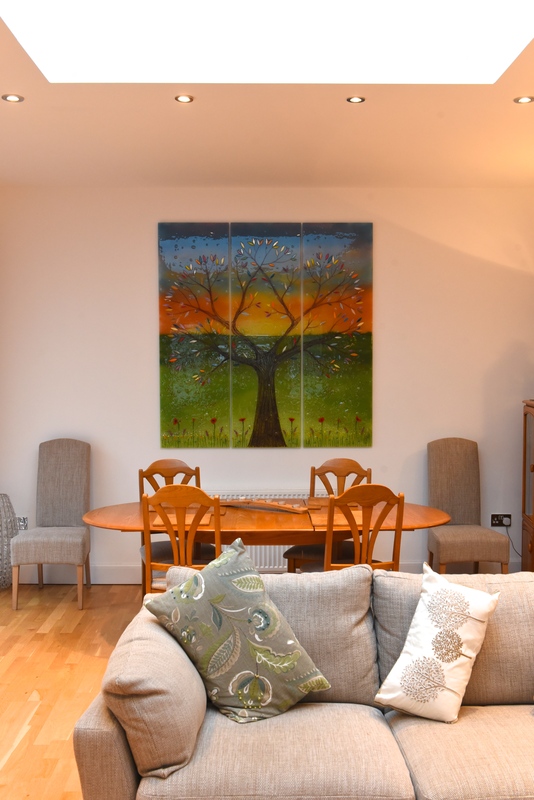 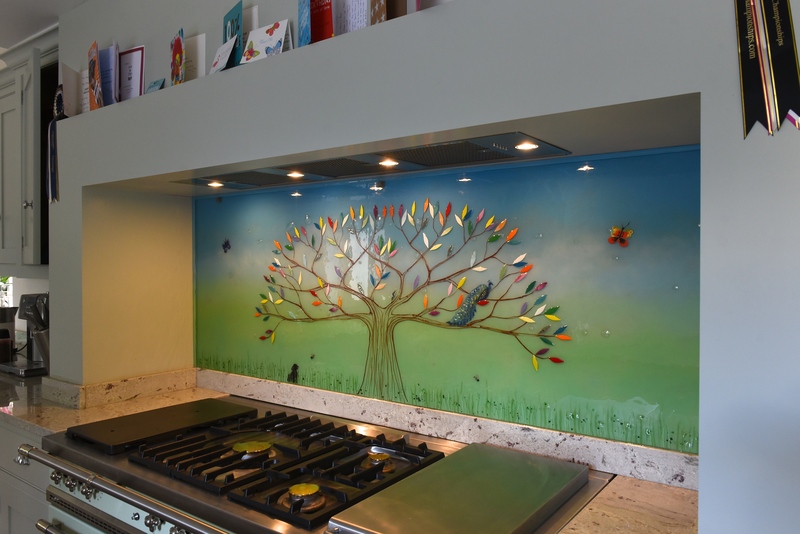 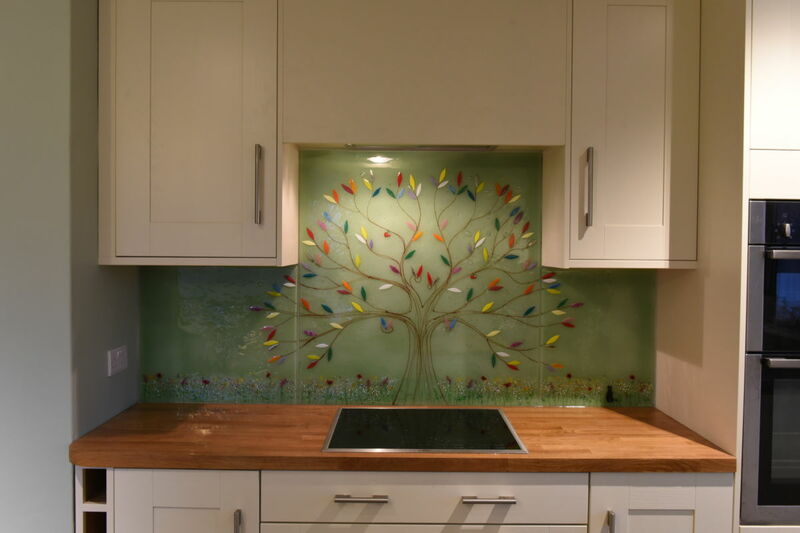 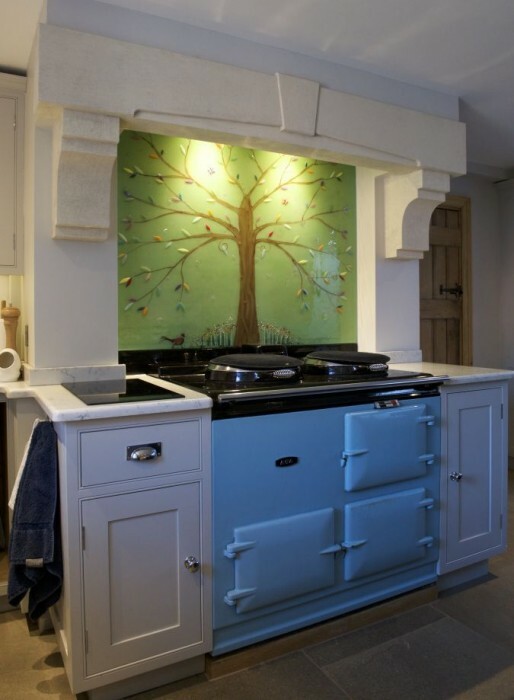 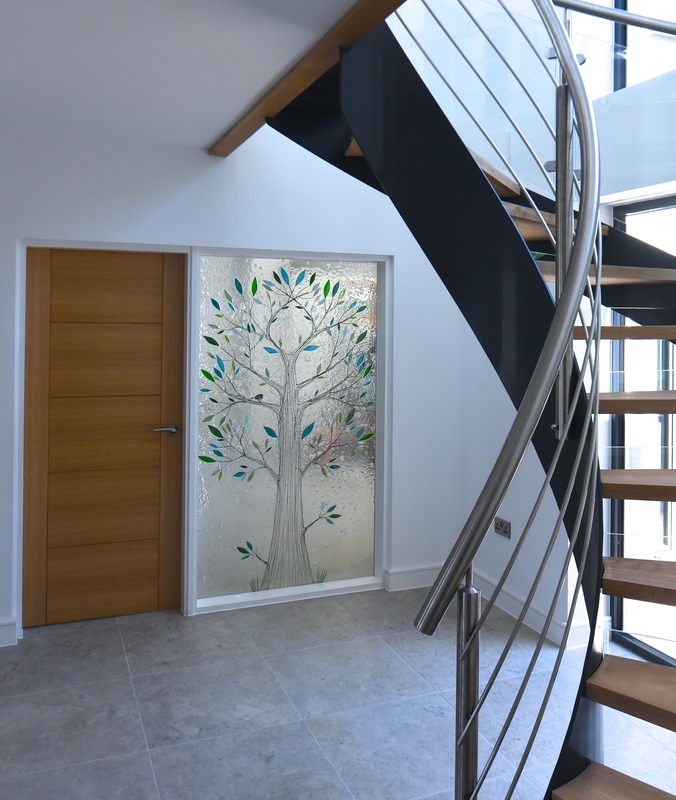 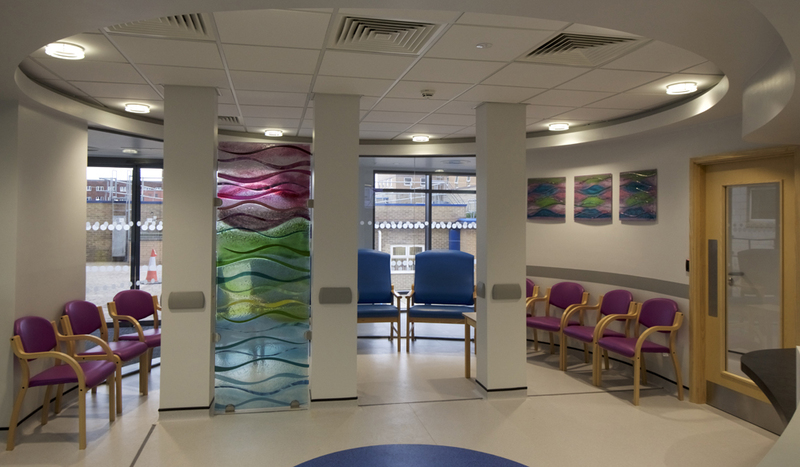 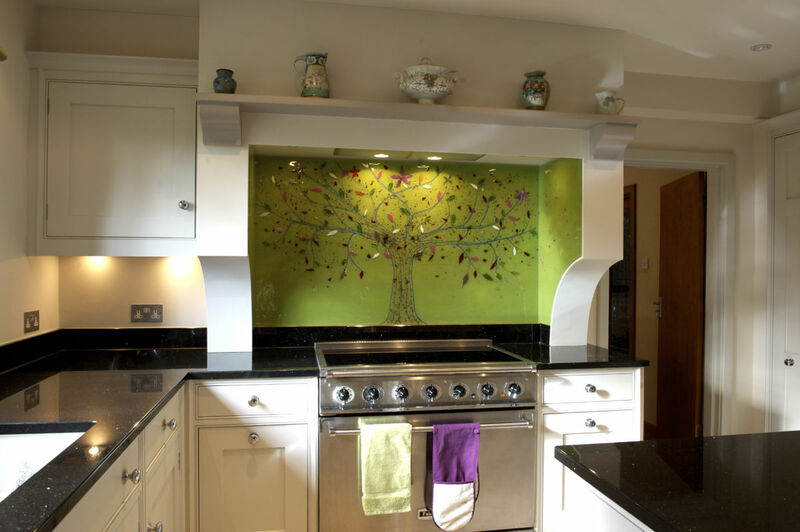 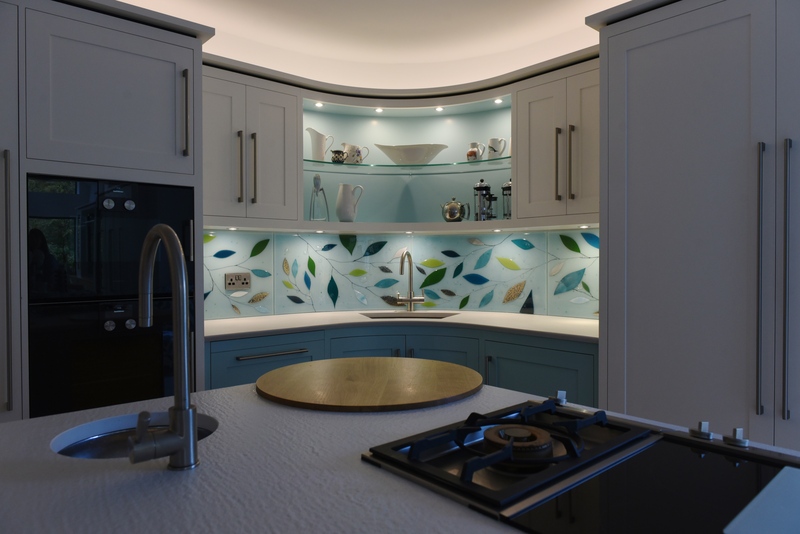 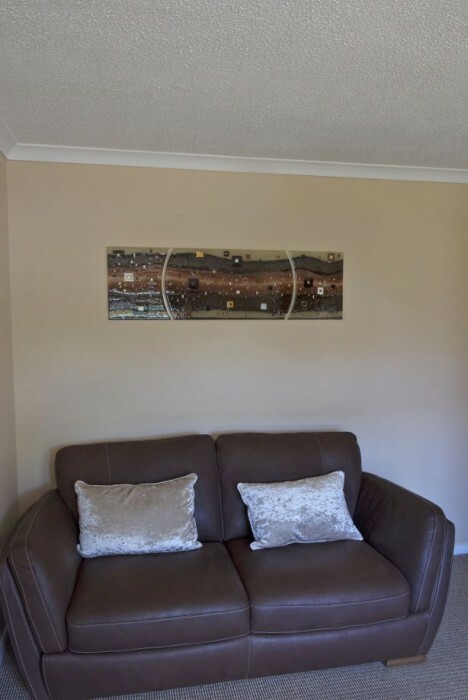 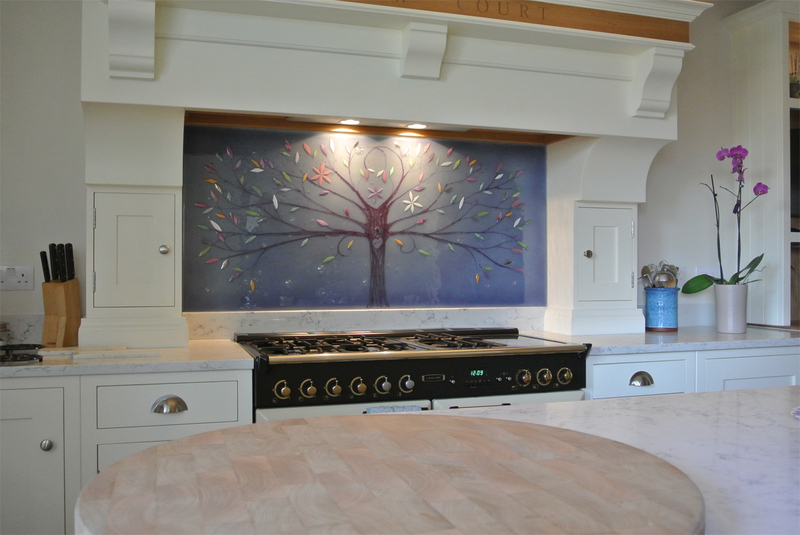 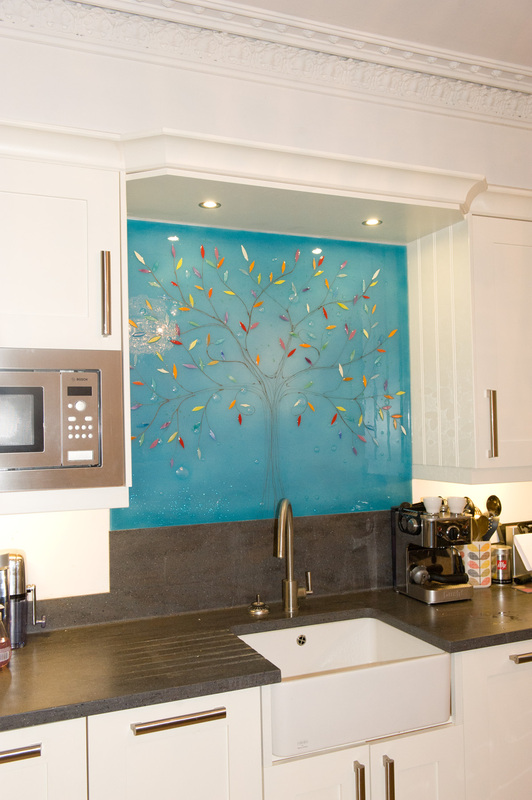 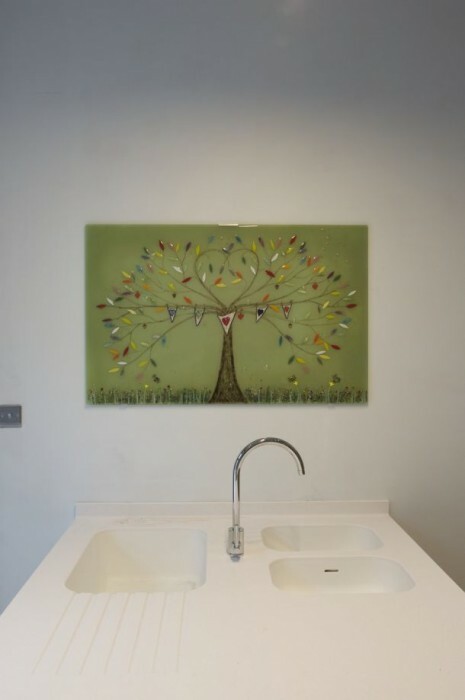 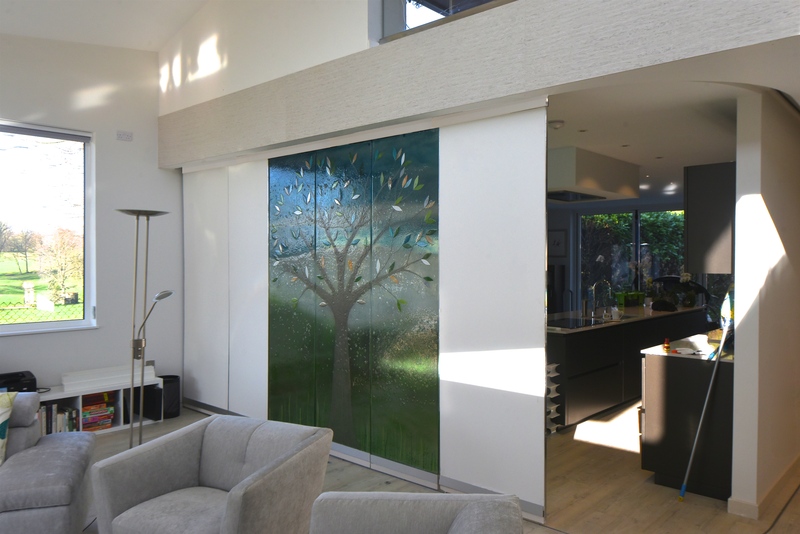 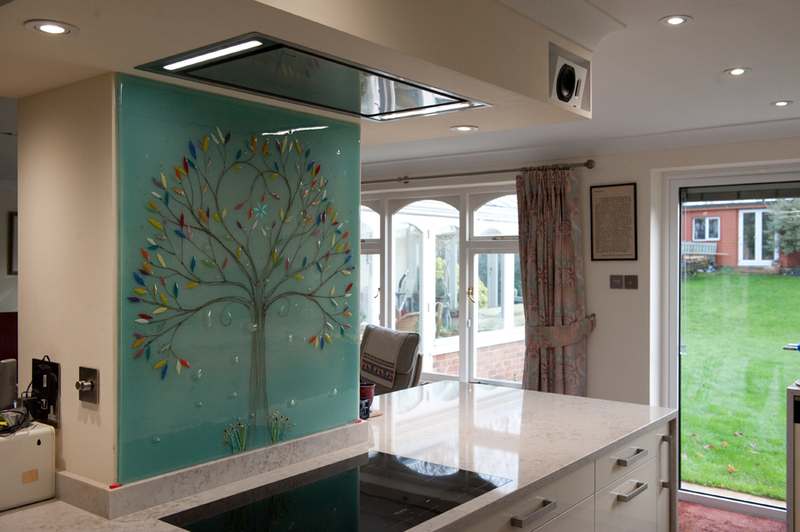 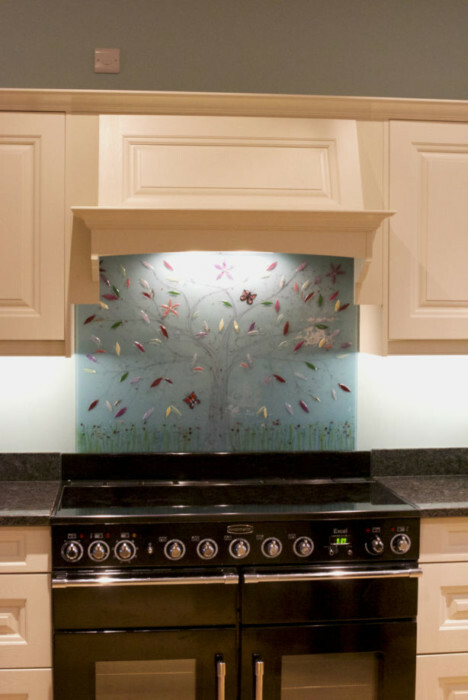 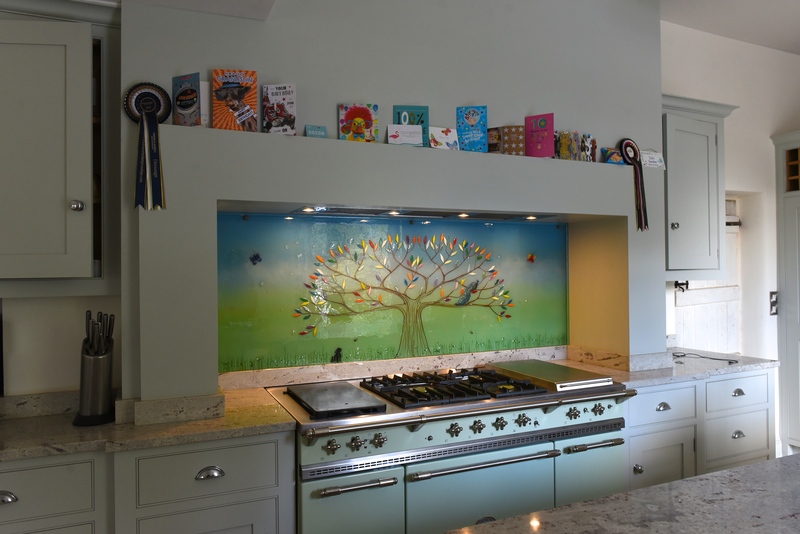 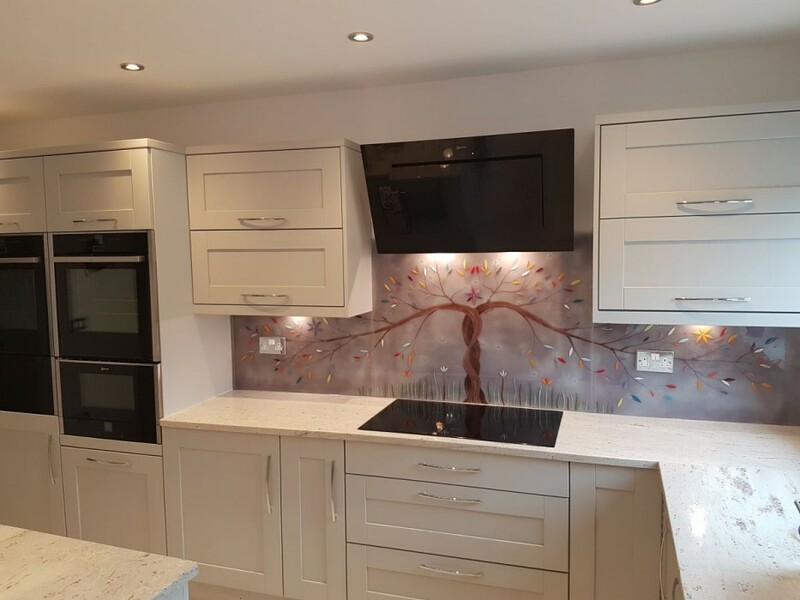 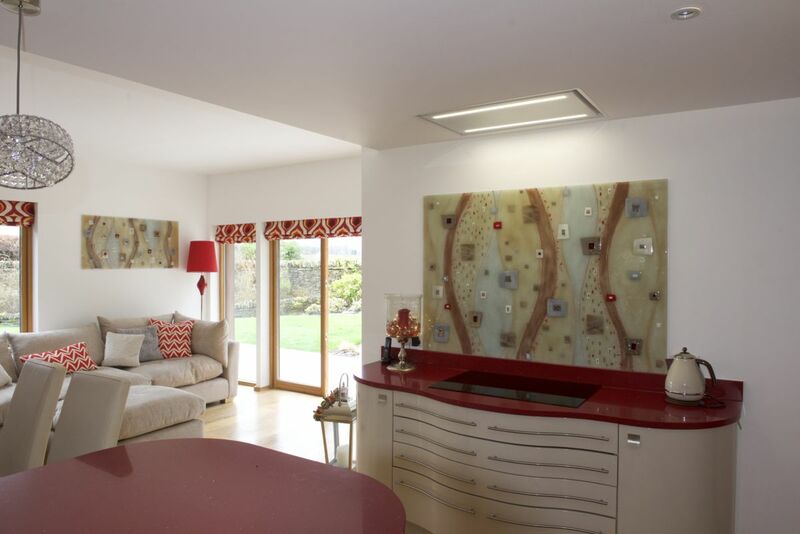 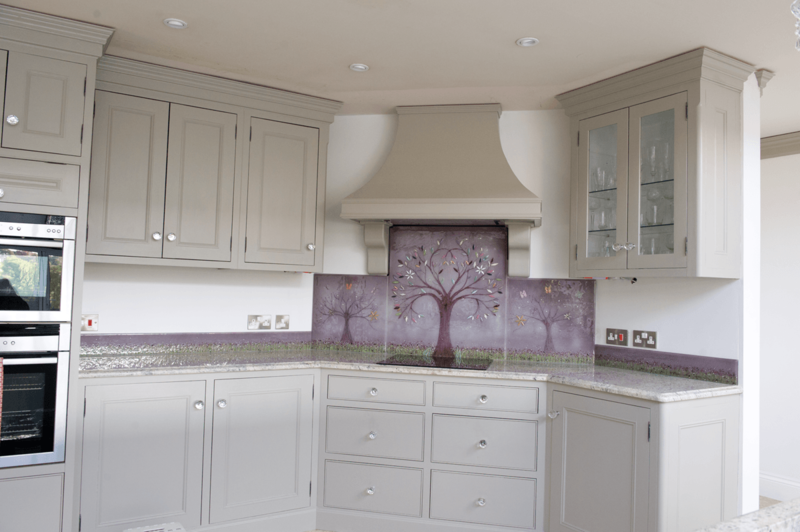 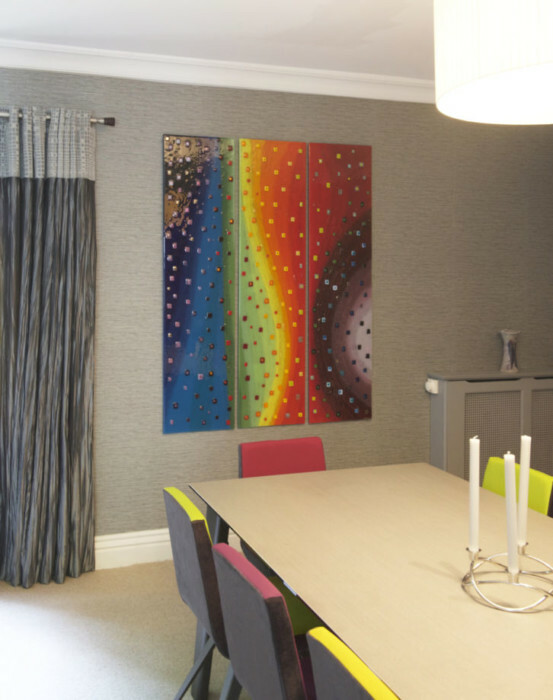 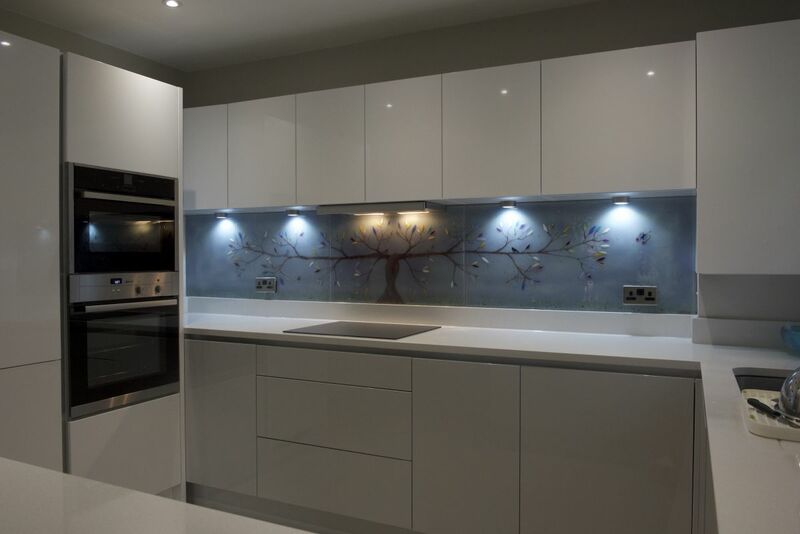 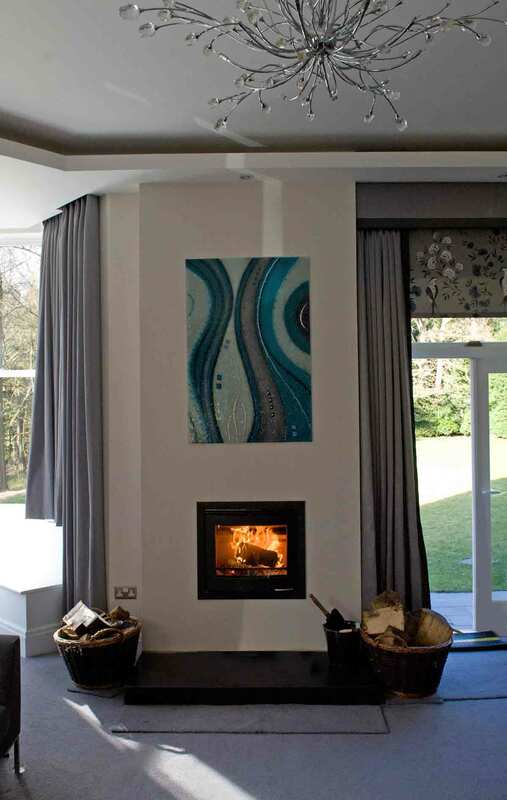 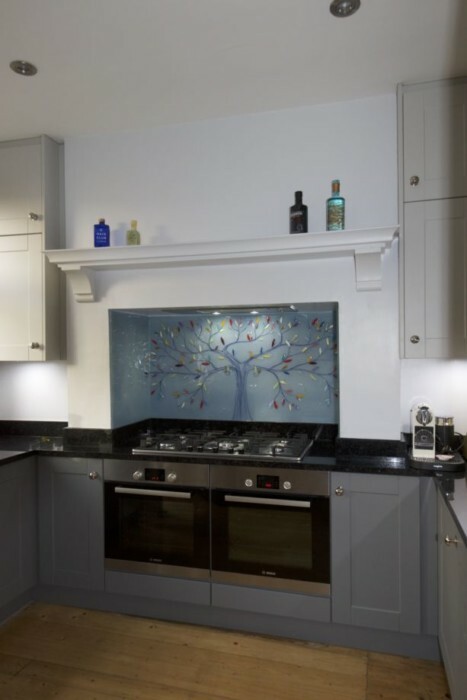 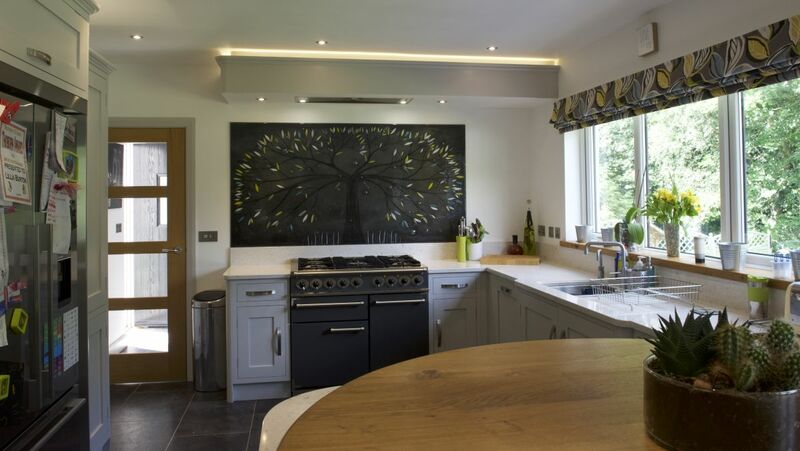 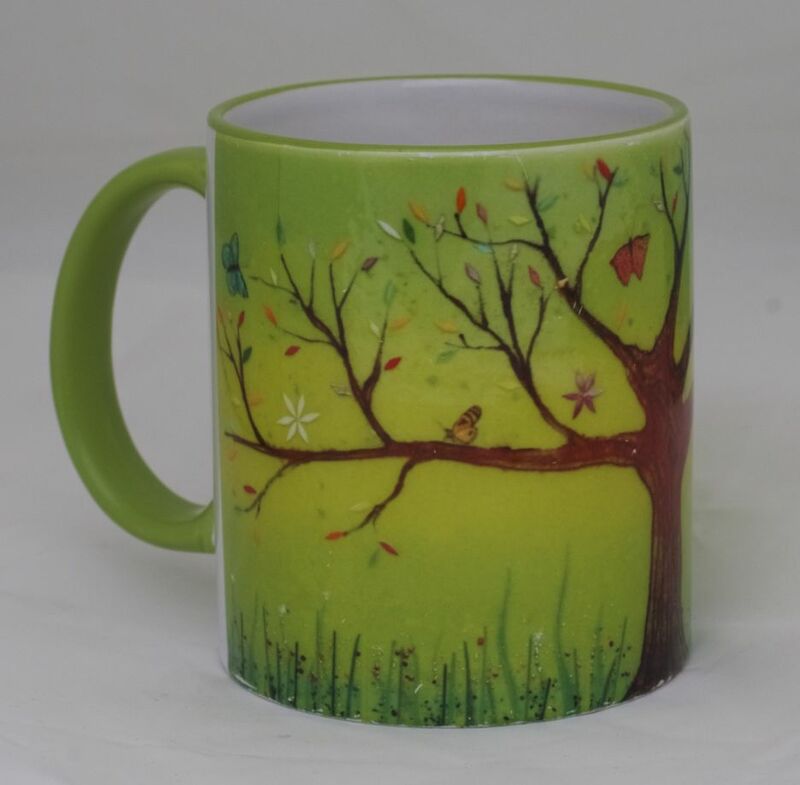 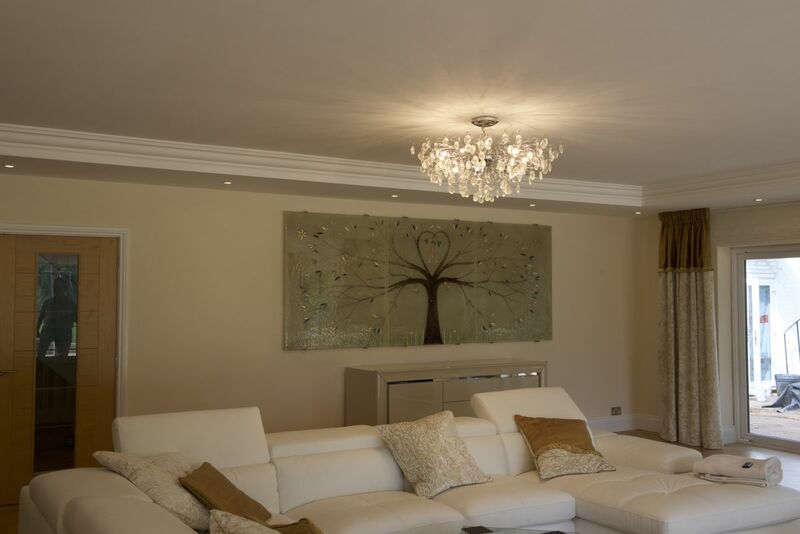 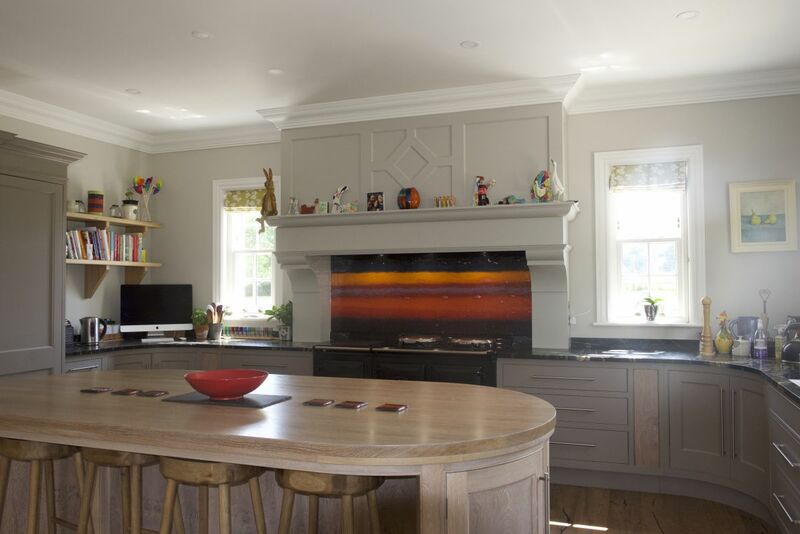 You might even want to take inspiration from a piece like this one, adapting the Tree of Life style but with colours better suited to the space that you have in mind. 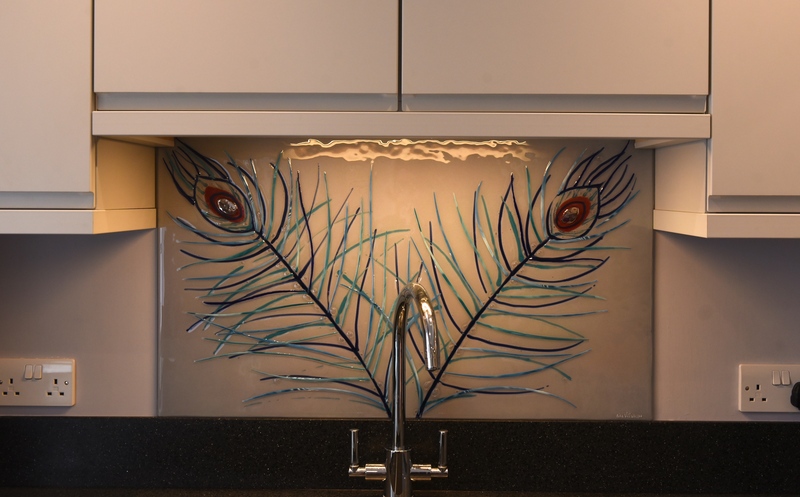 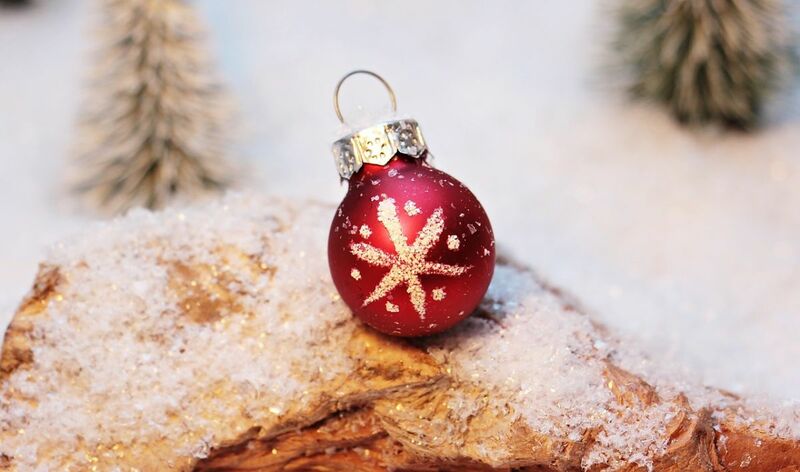 Everyone’s home is different after all, so we’re more than ready to make something that’ll look stunning no matter what décor you’ve opted in for. 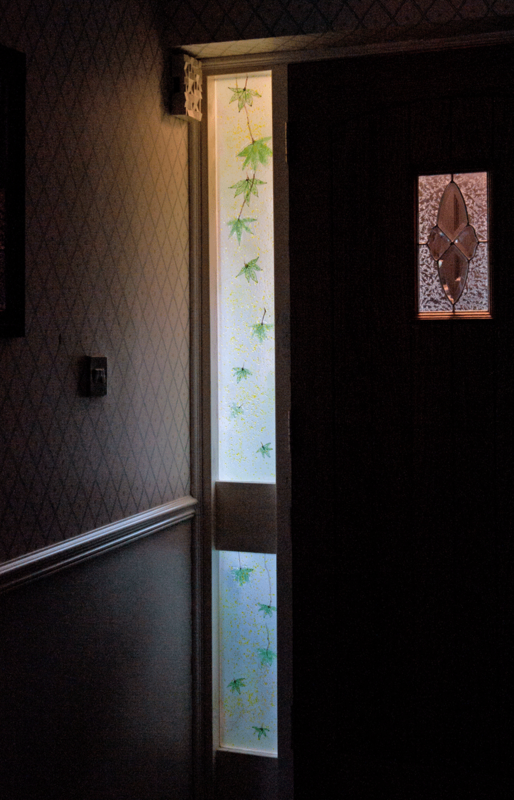 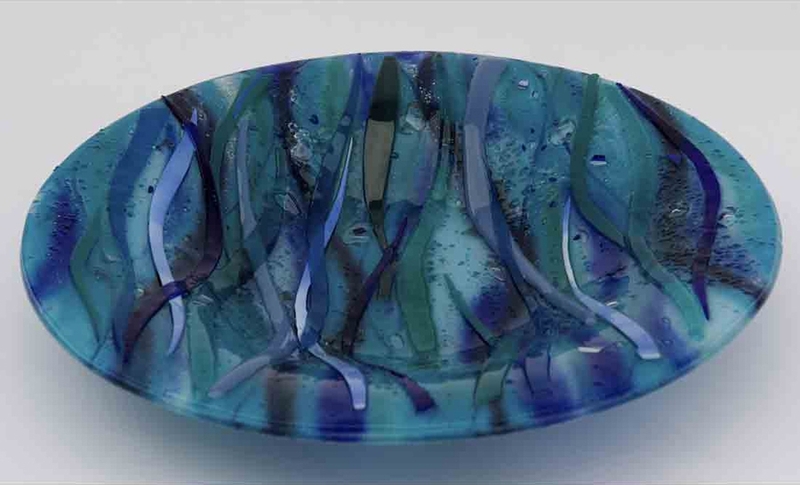 Here at The House of the Ugly Fish, we’d love nothing more than to bring your perfect piece of glass to life and deliver it straight to your doorstep. 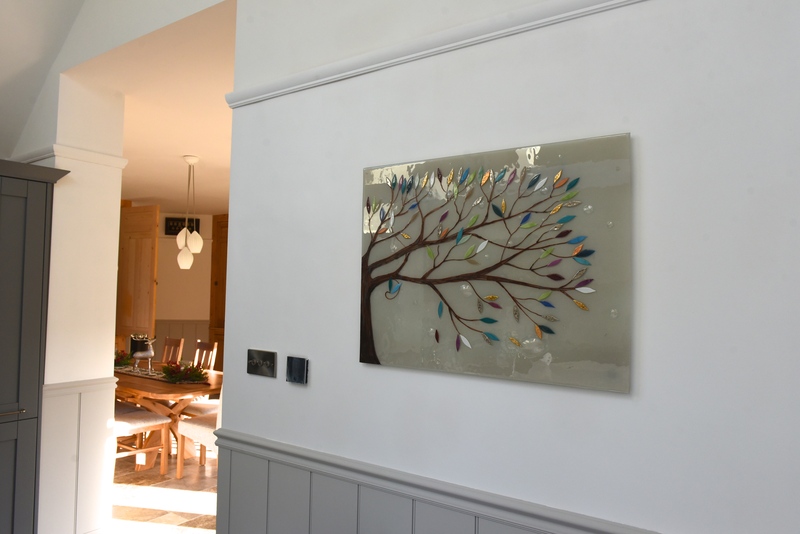 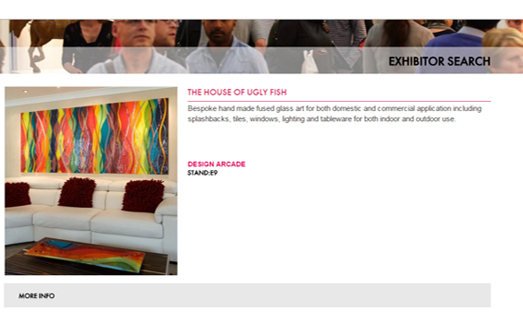 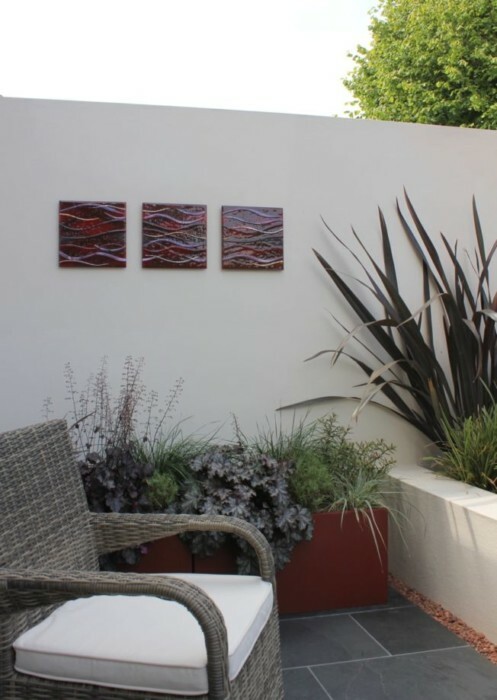 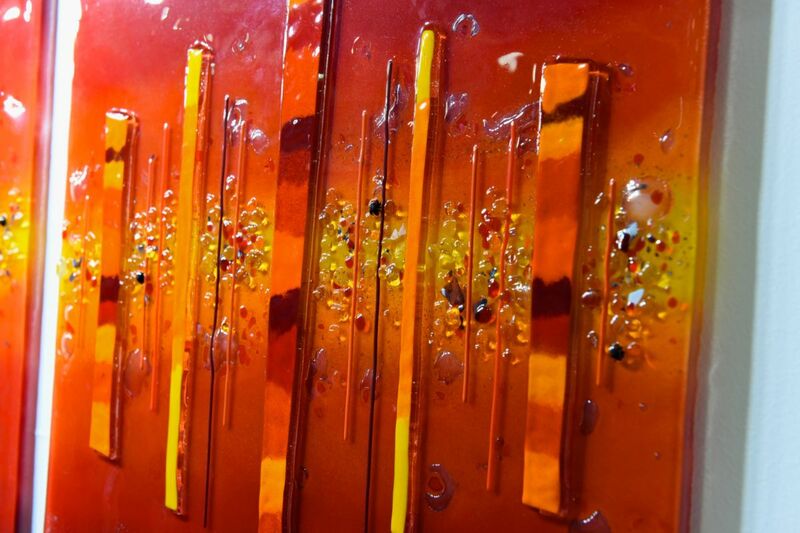 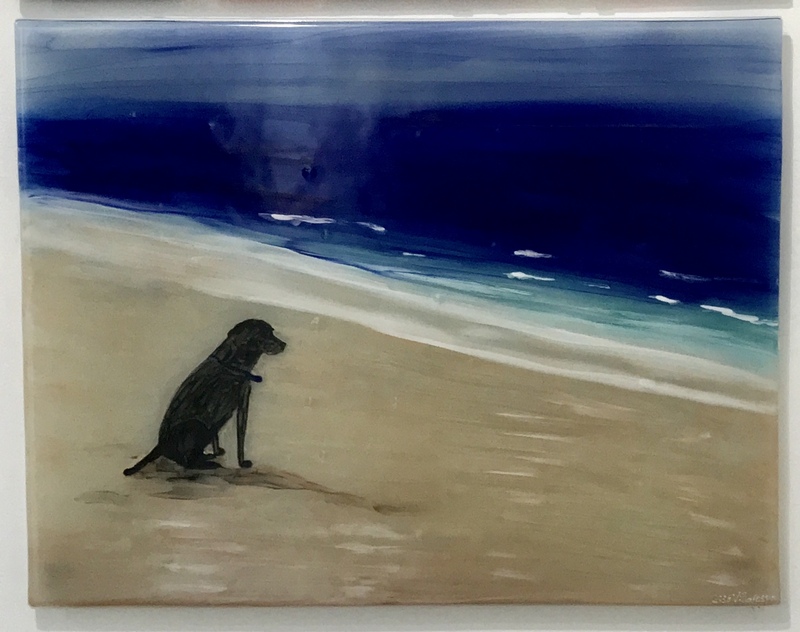 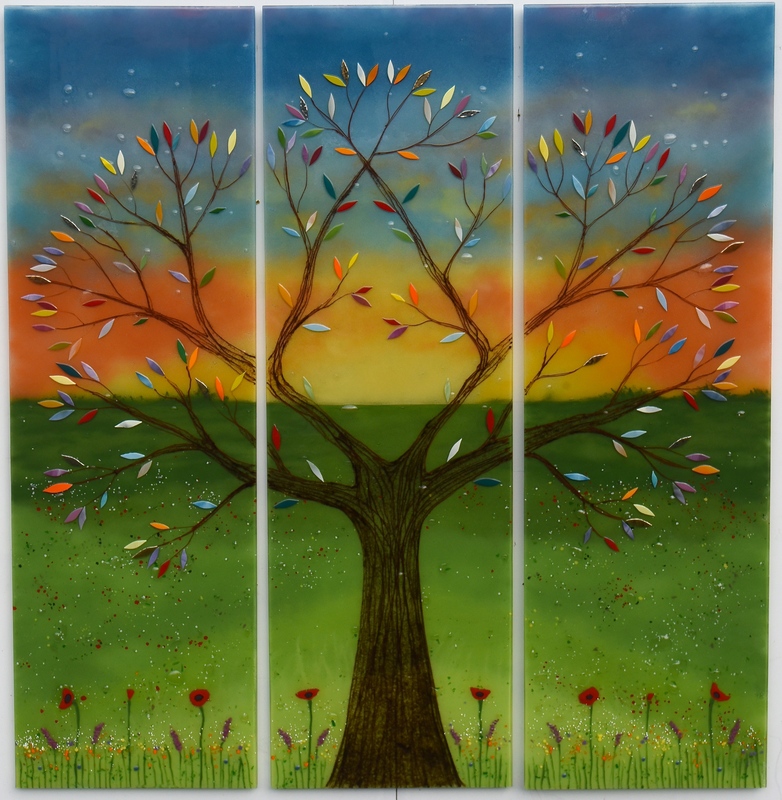 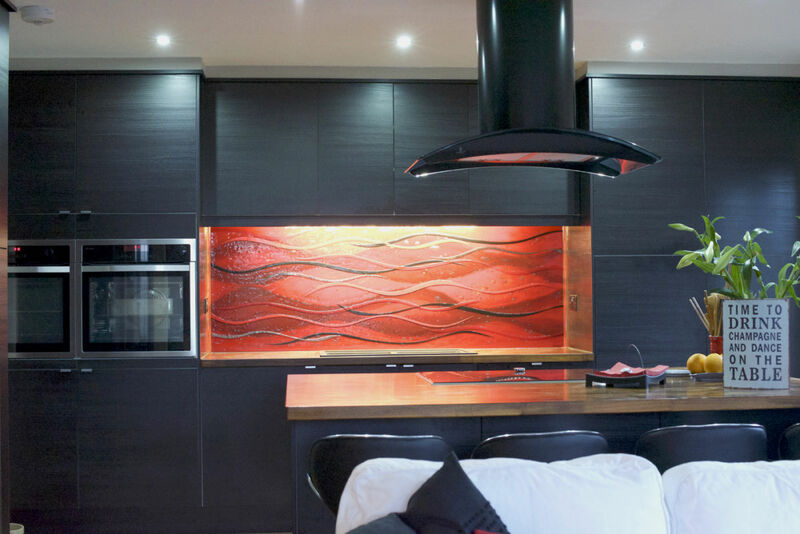 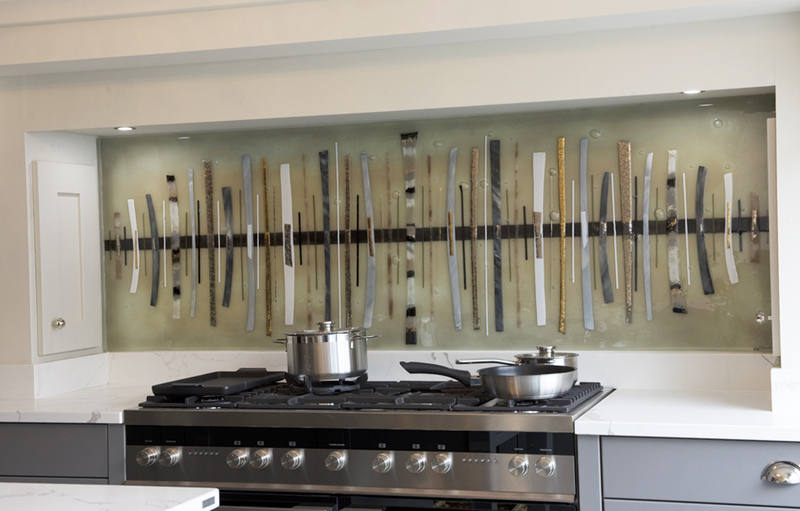 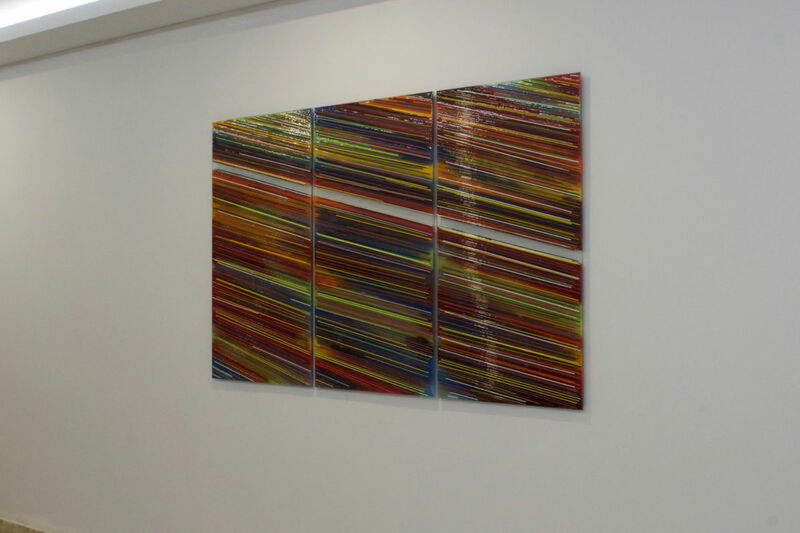 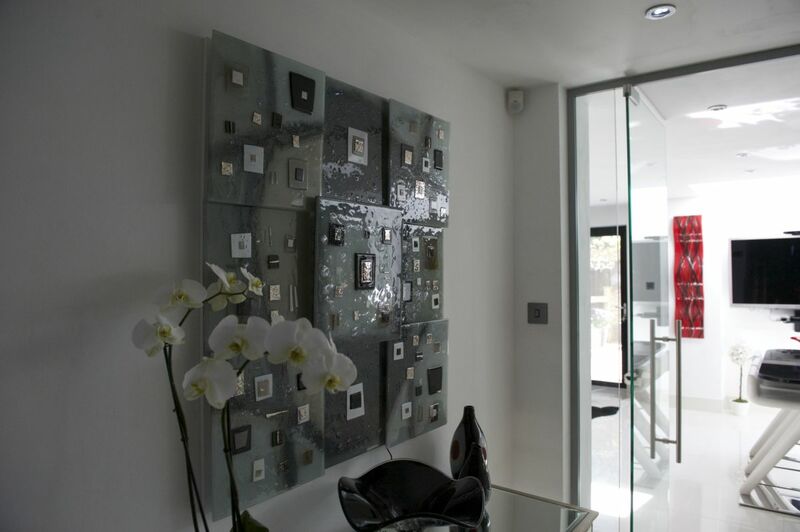 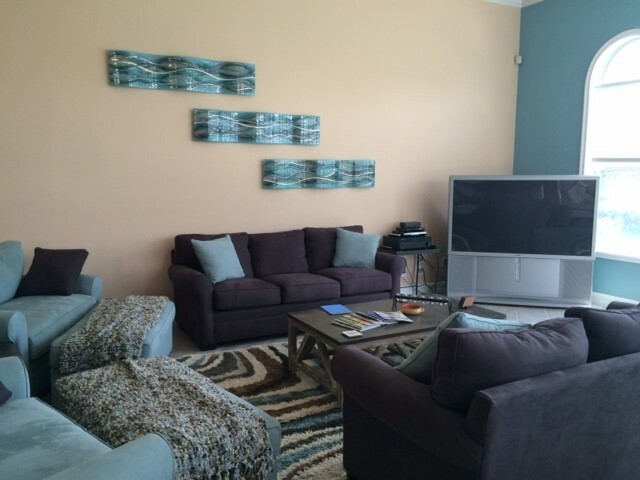 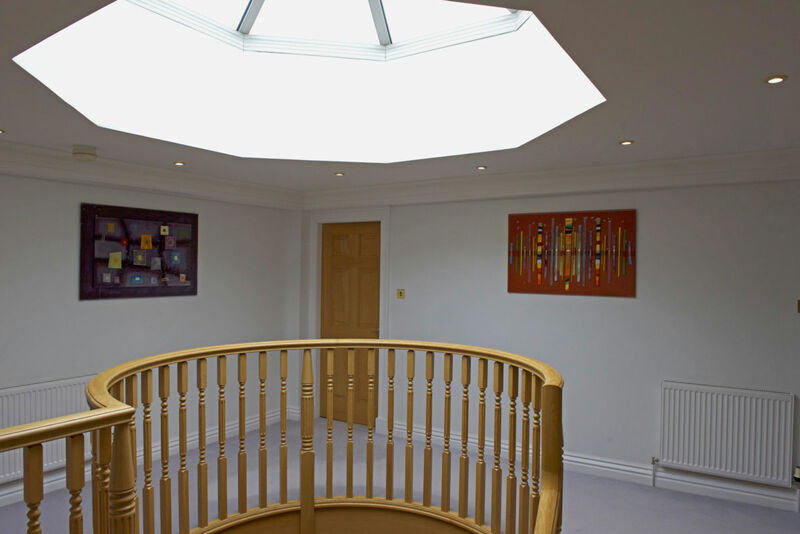 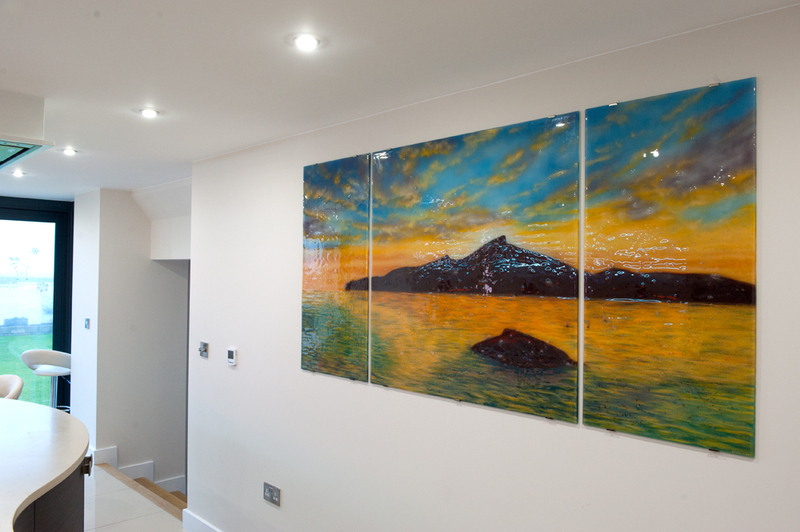 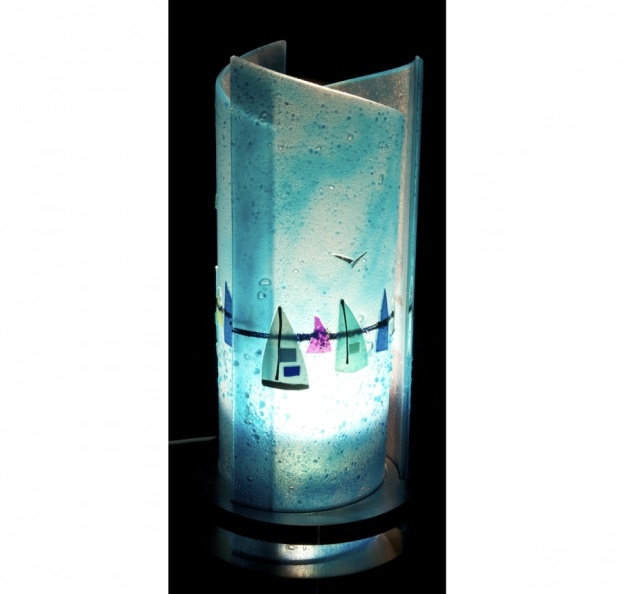 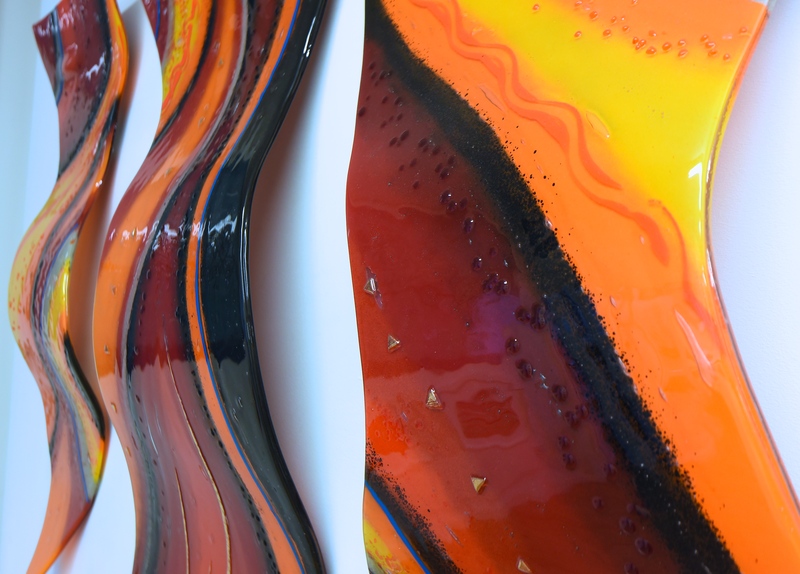 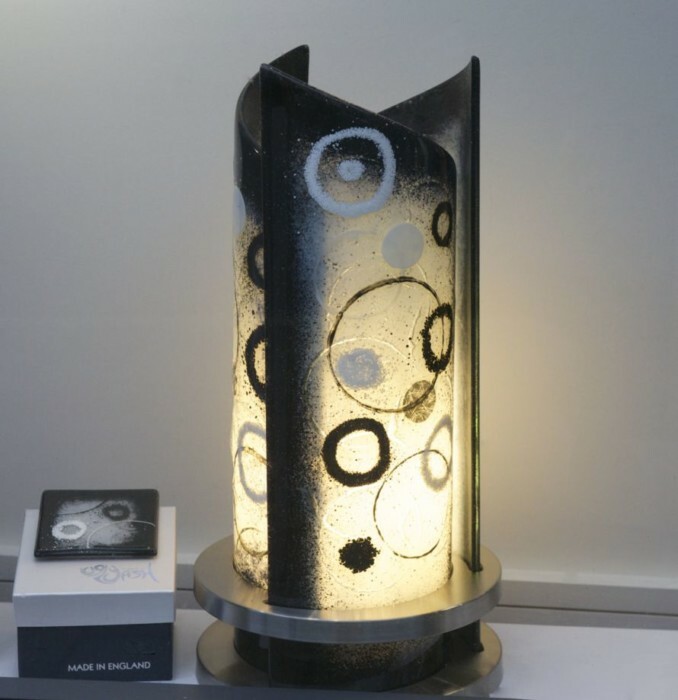 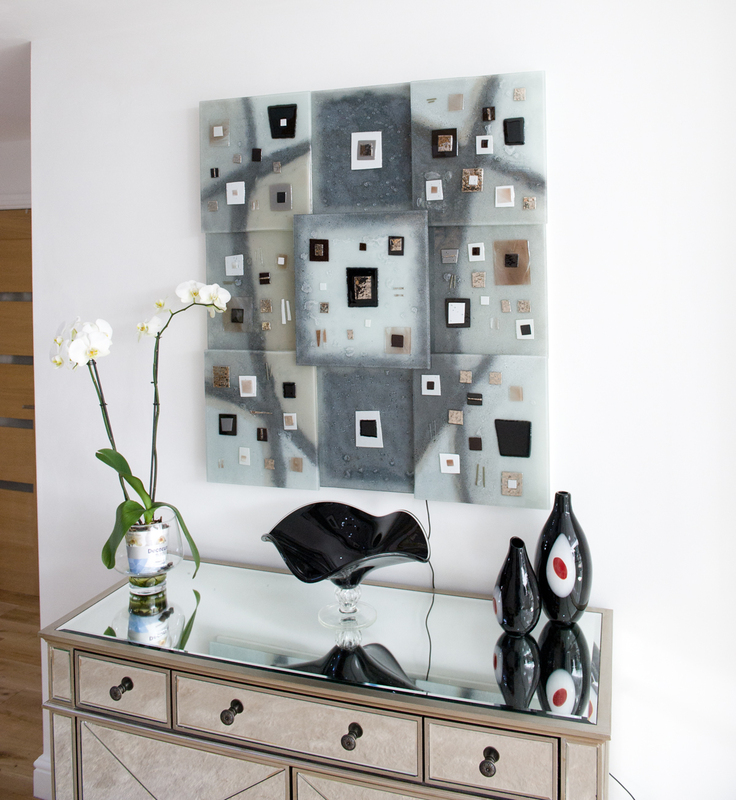 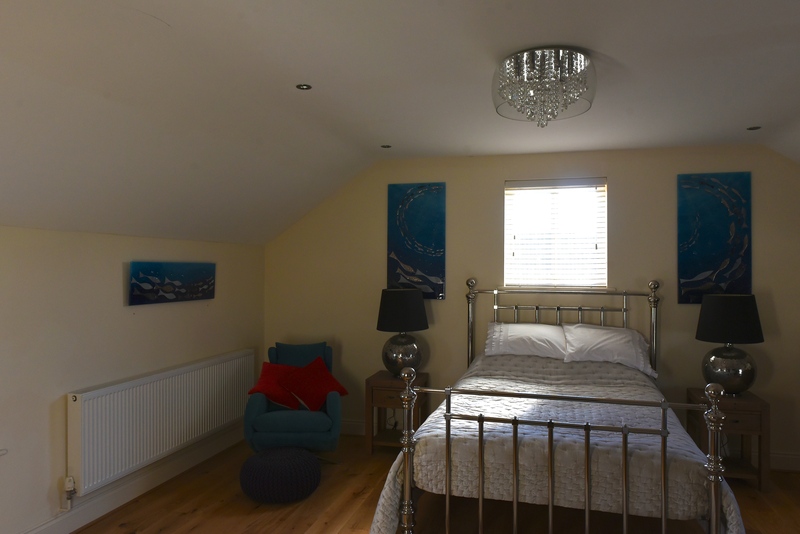 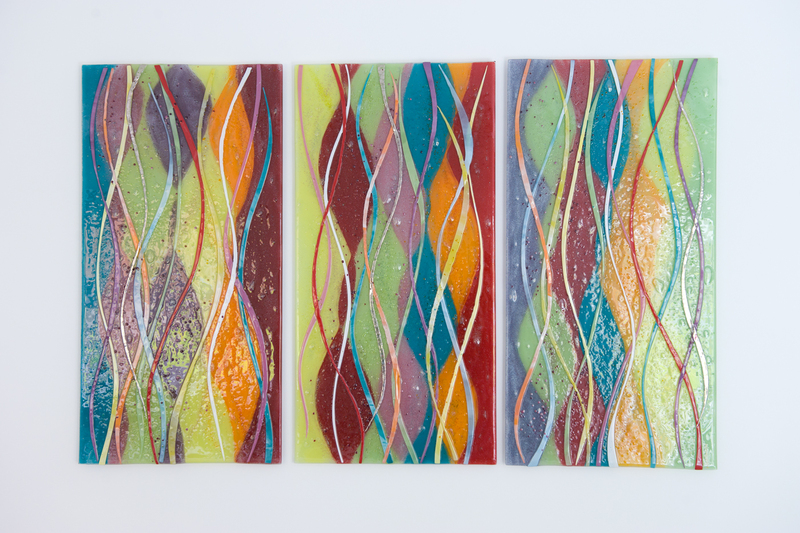 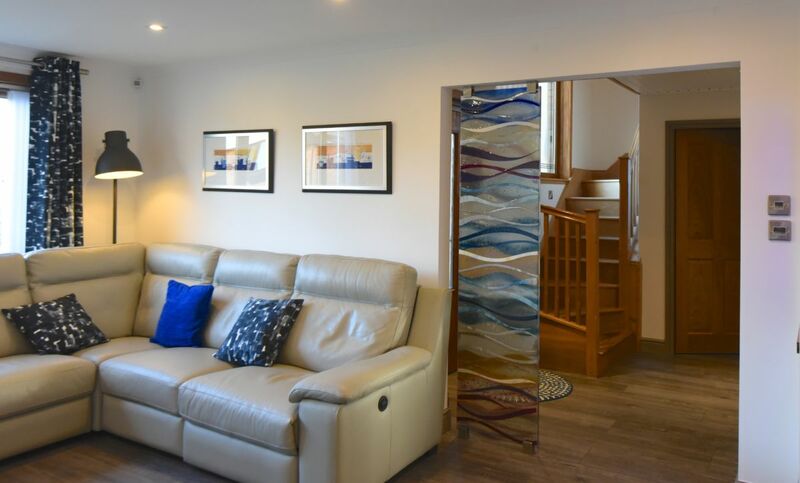 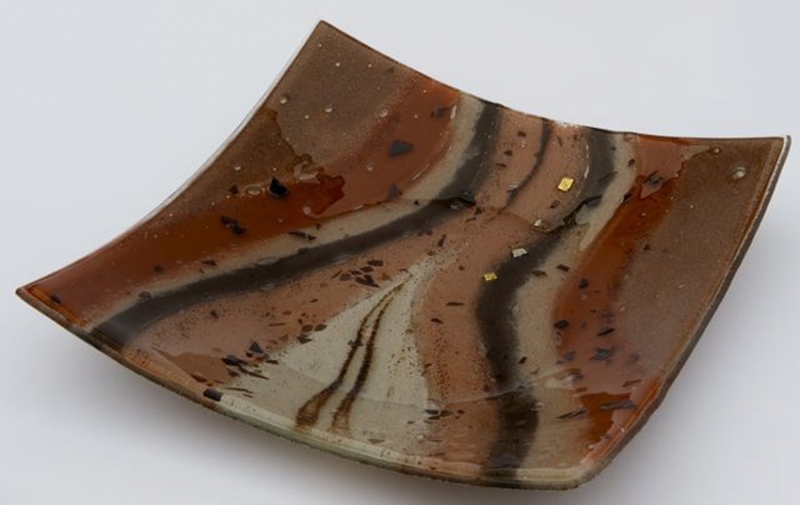 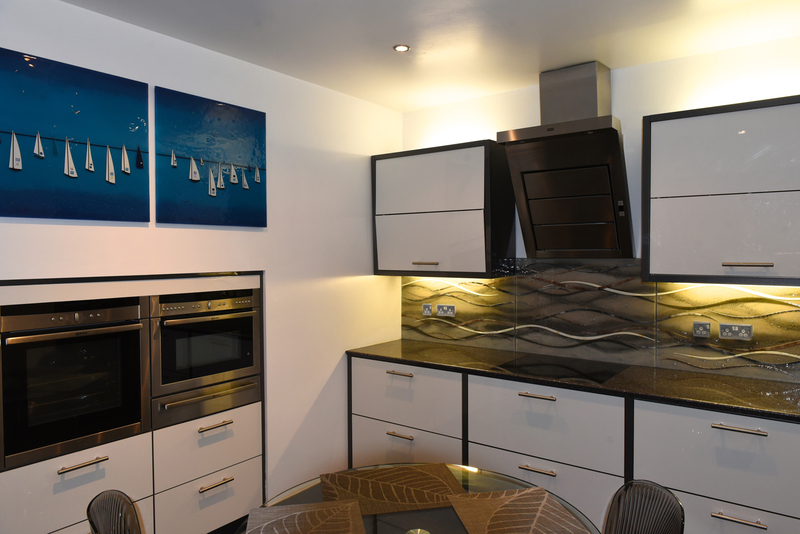 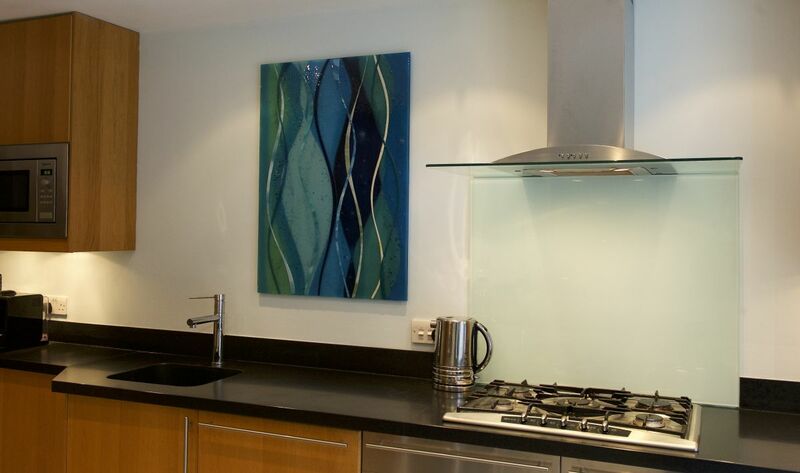 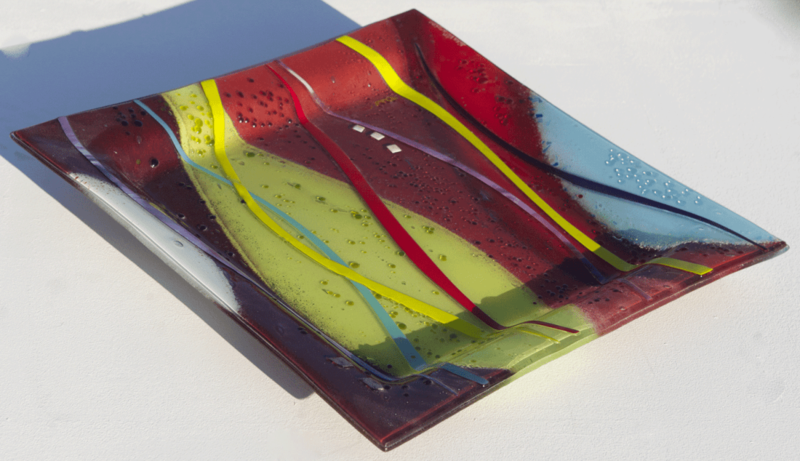 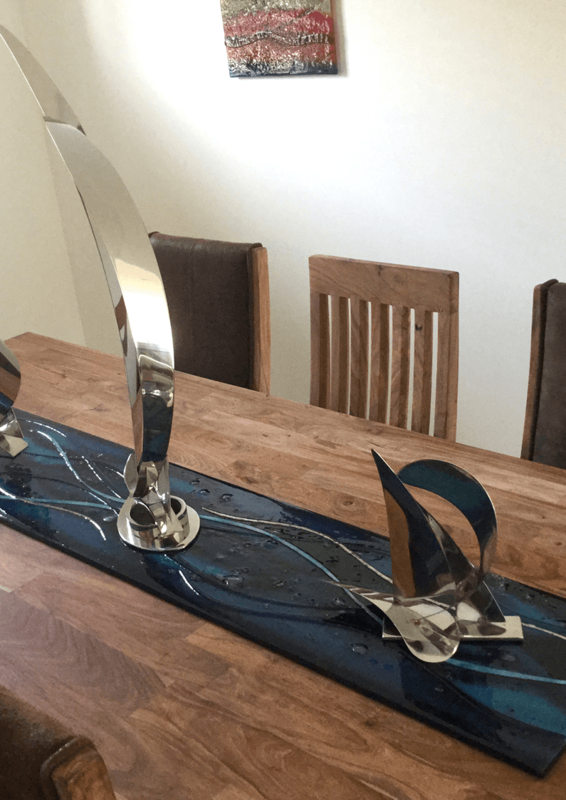 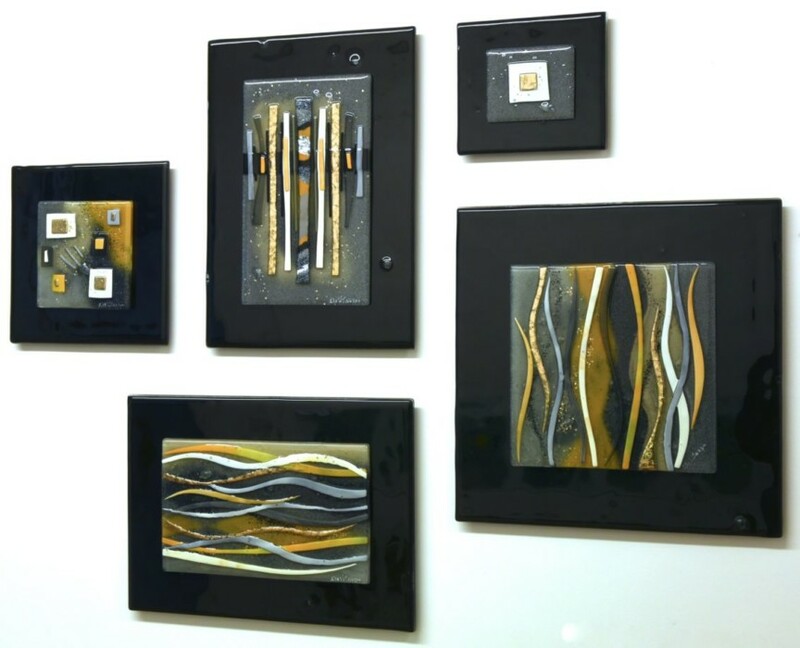 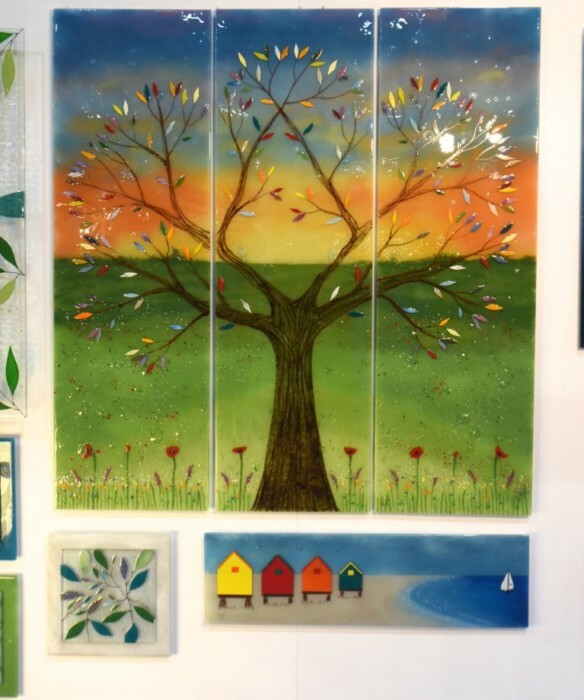 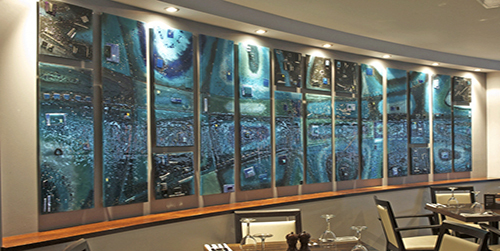 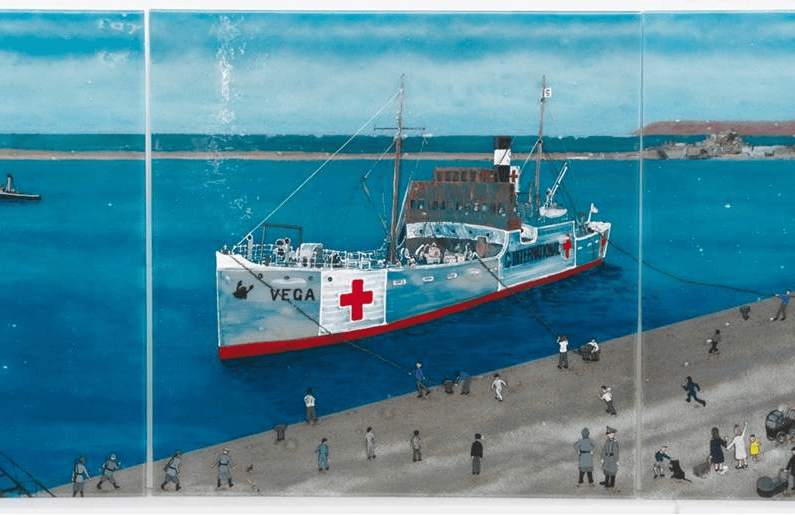 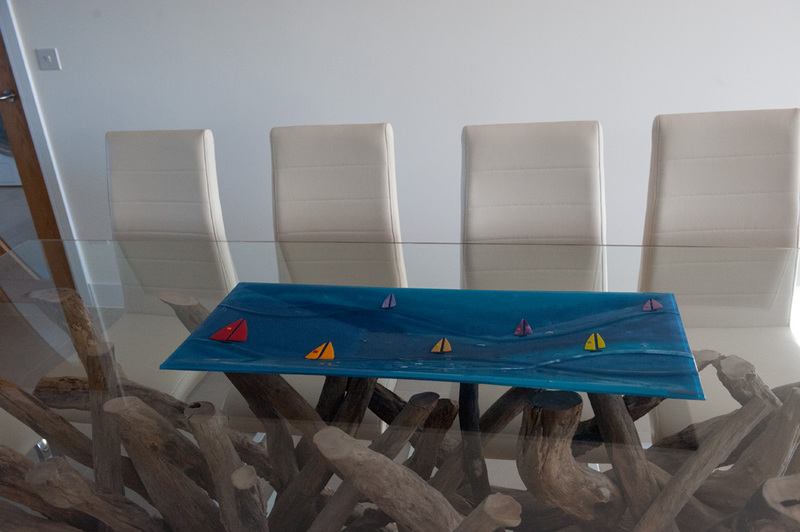 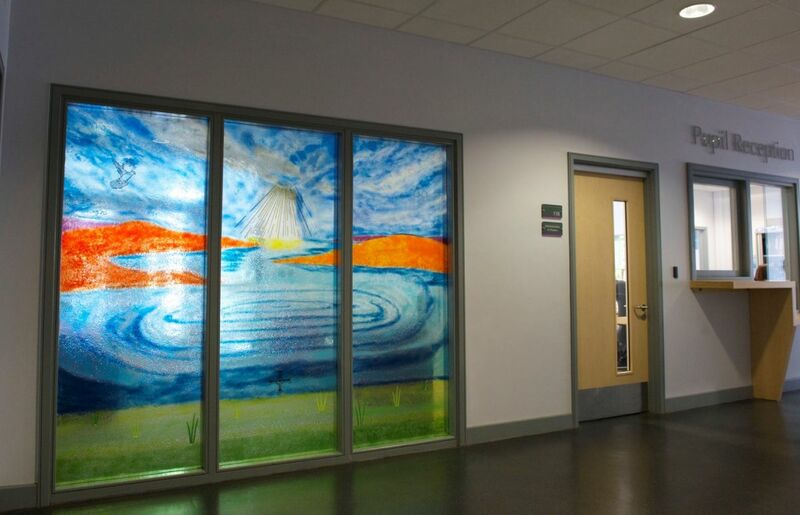 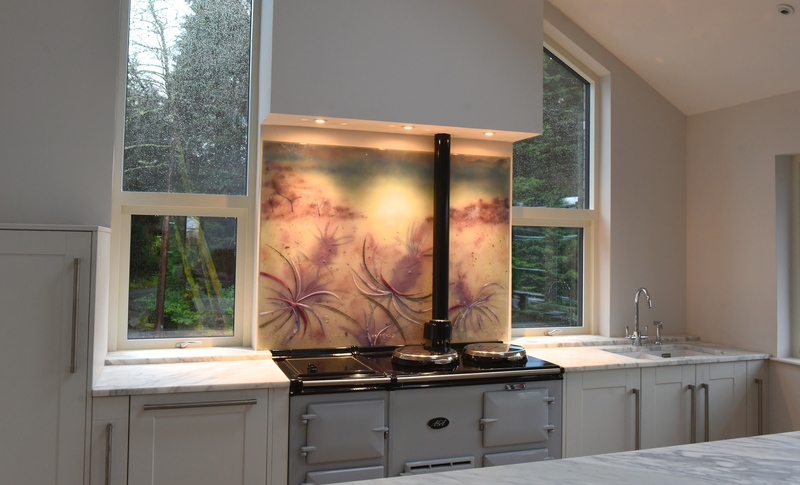 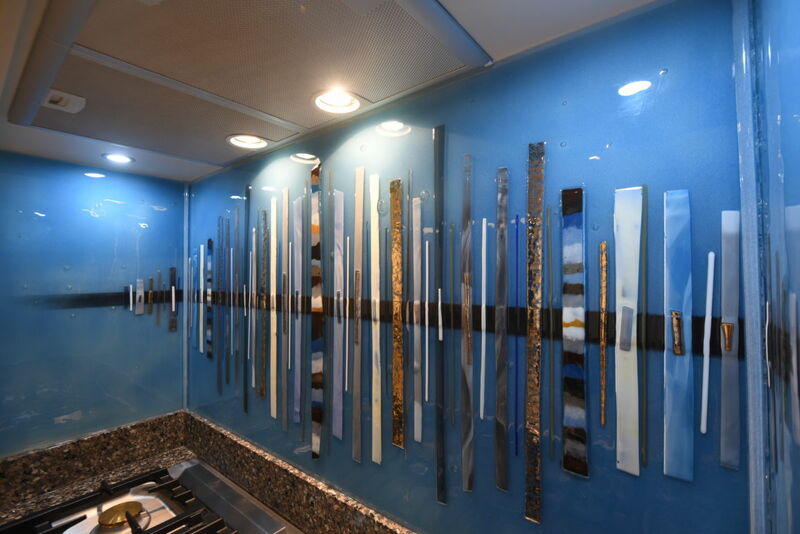 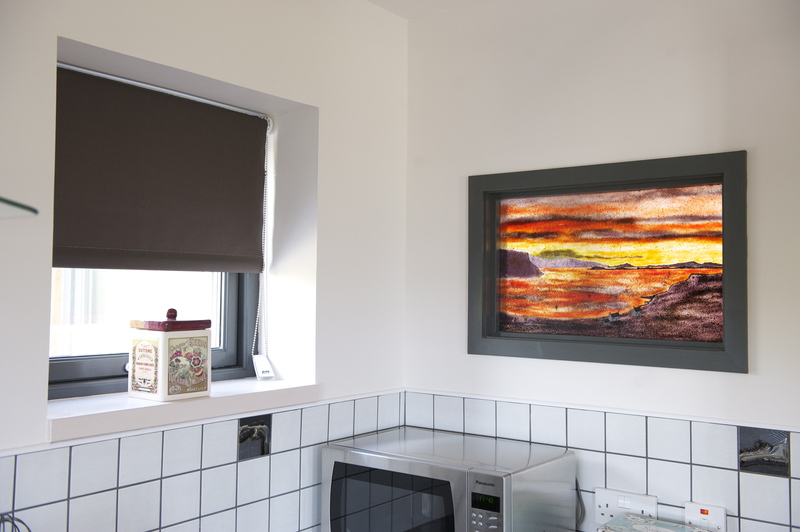 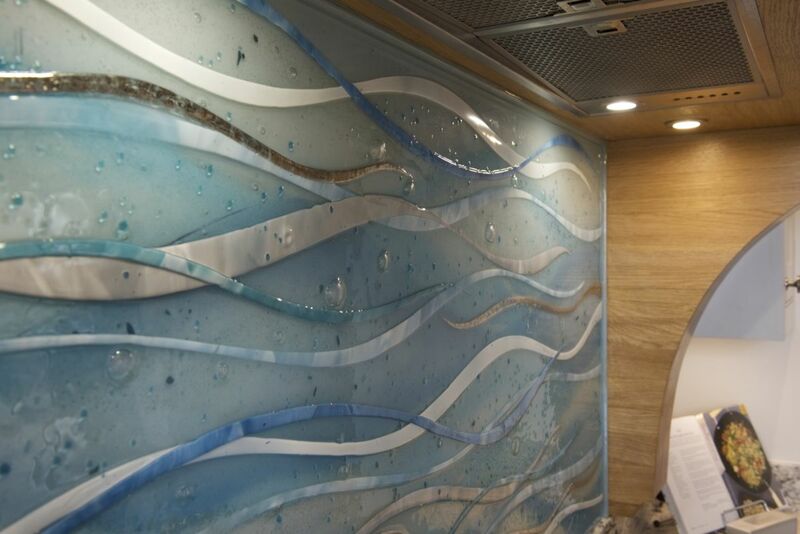 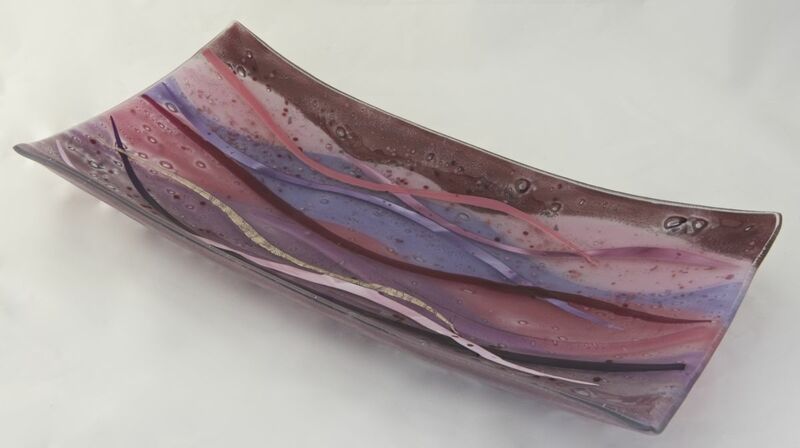 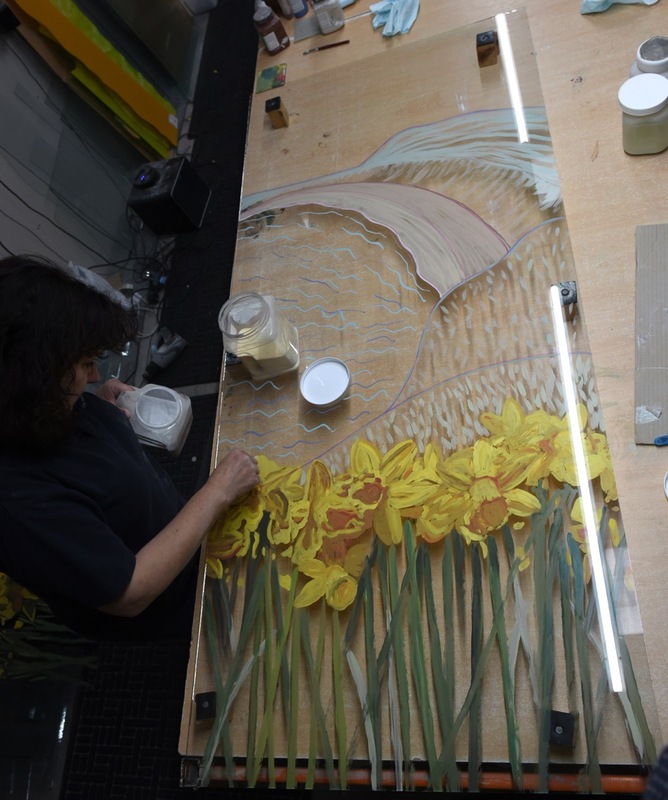 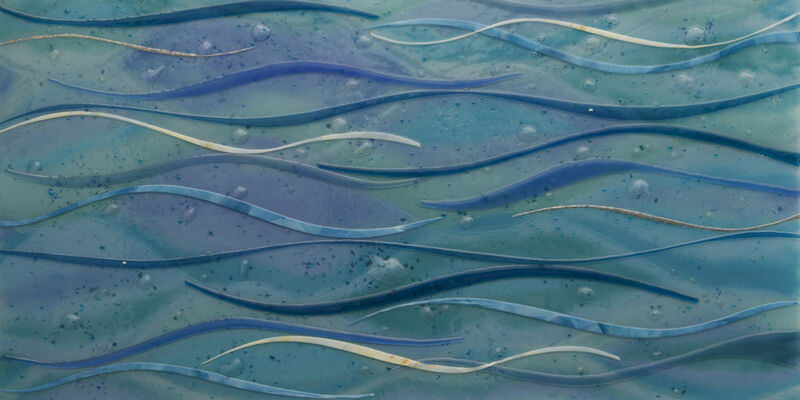 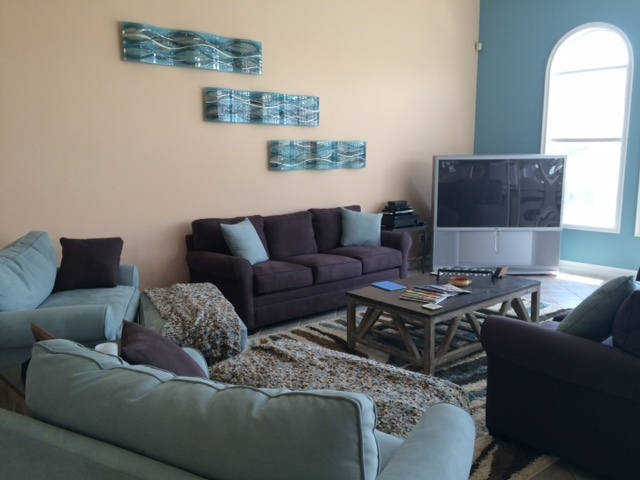 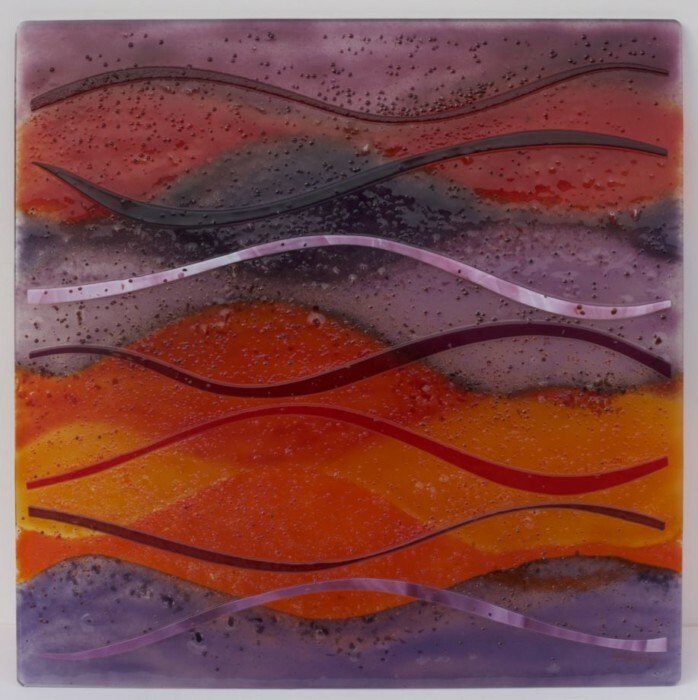 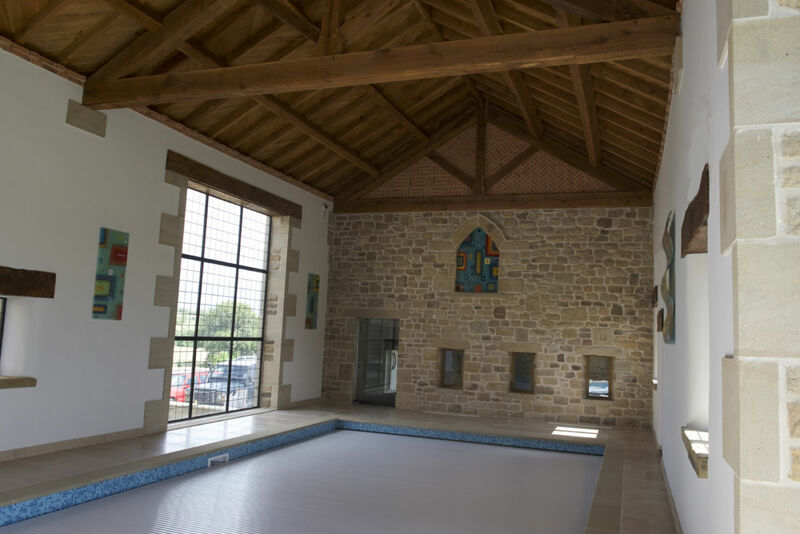 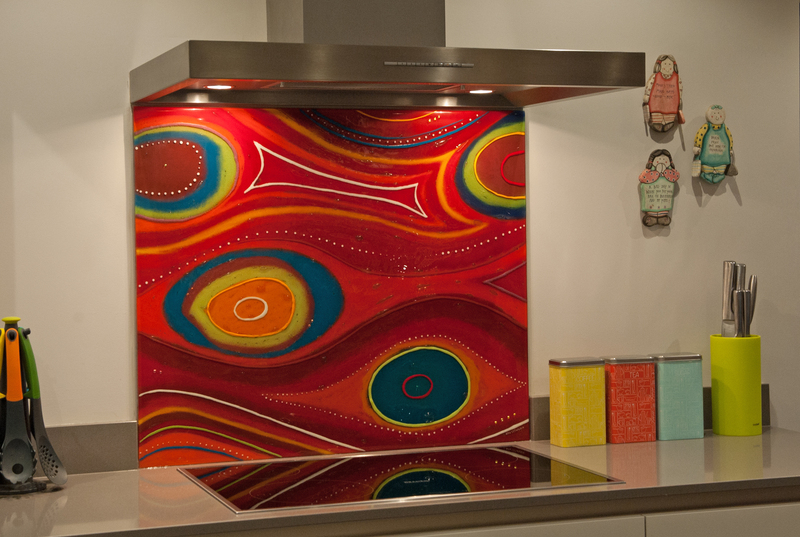 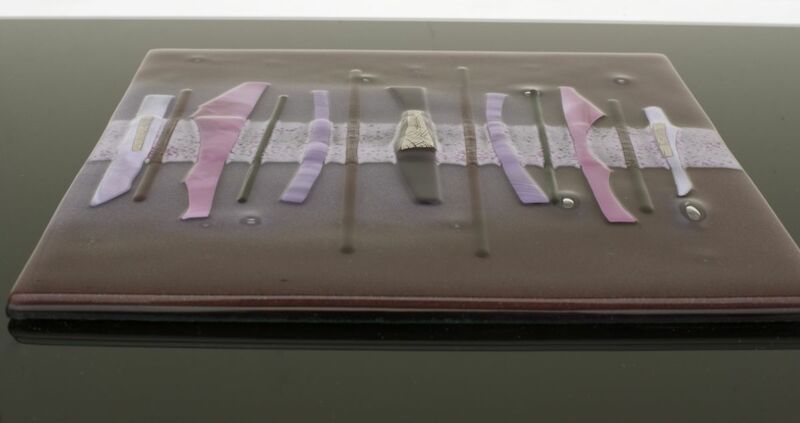 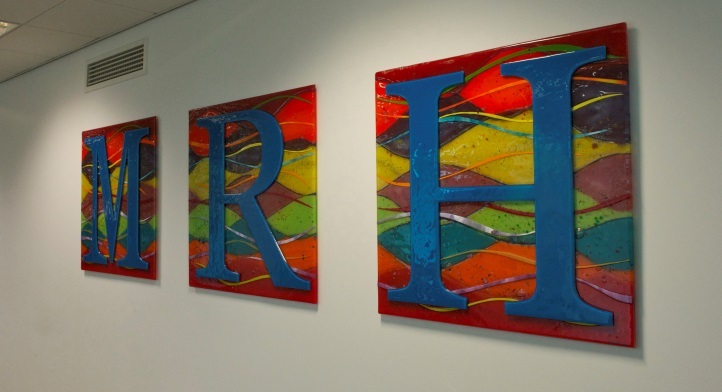 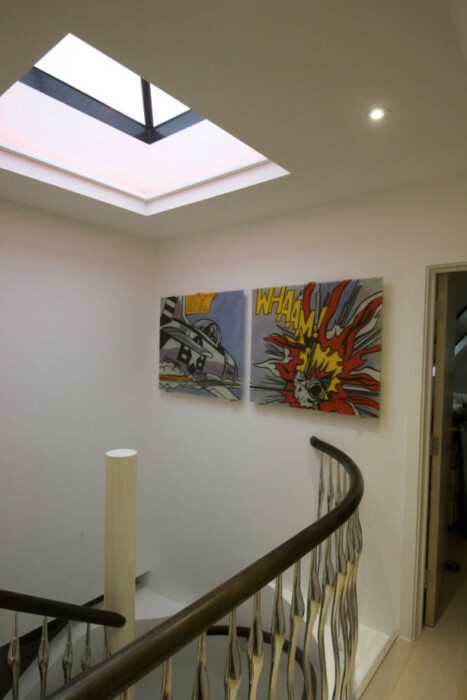 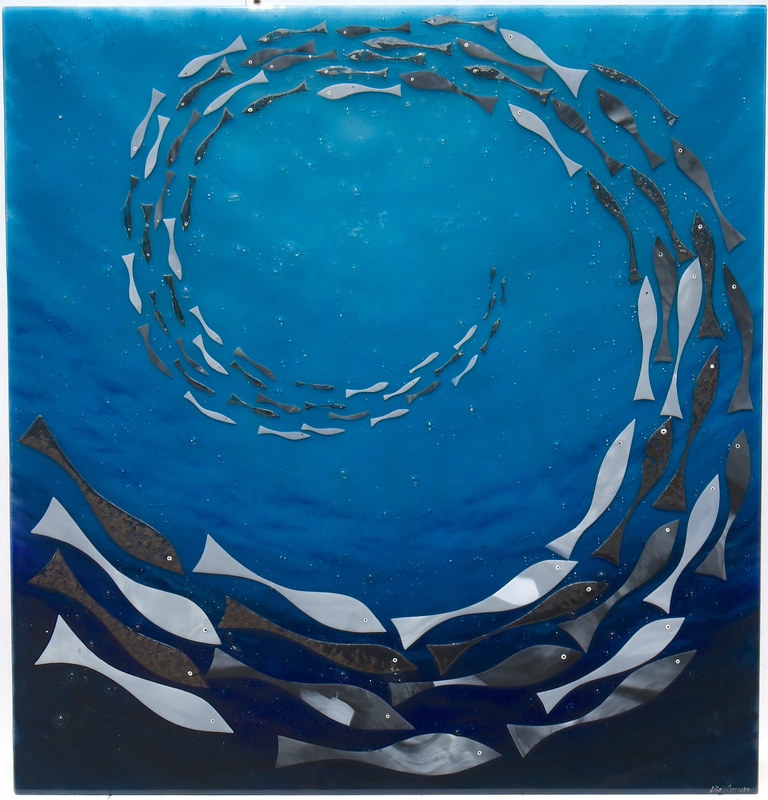 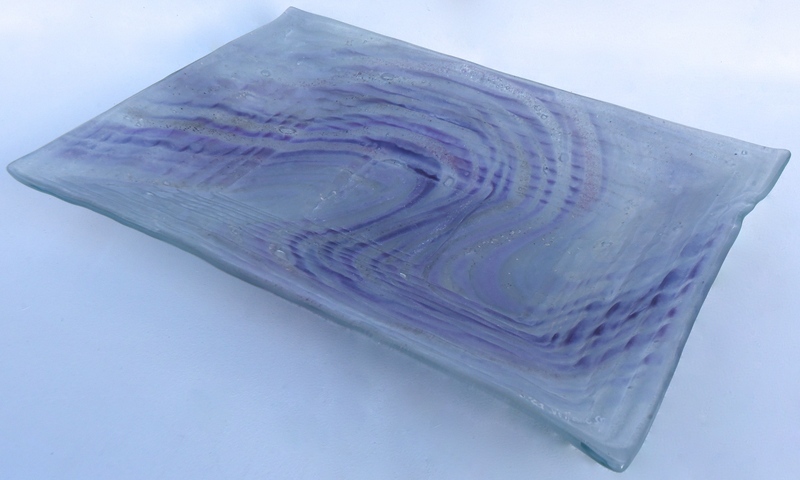 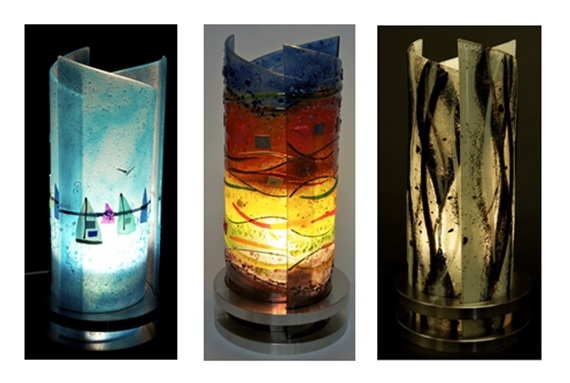 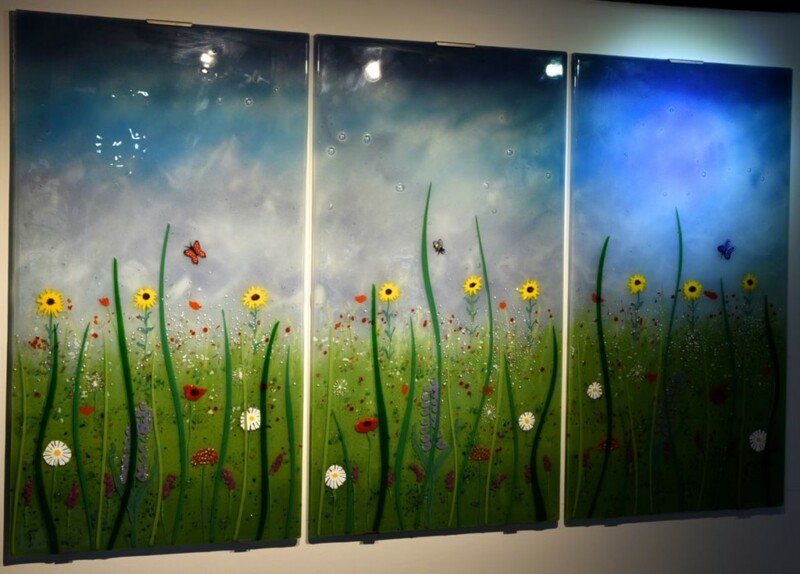 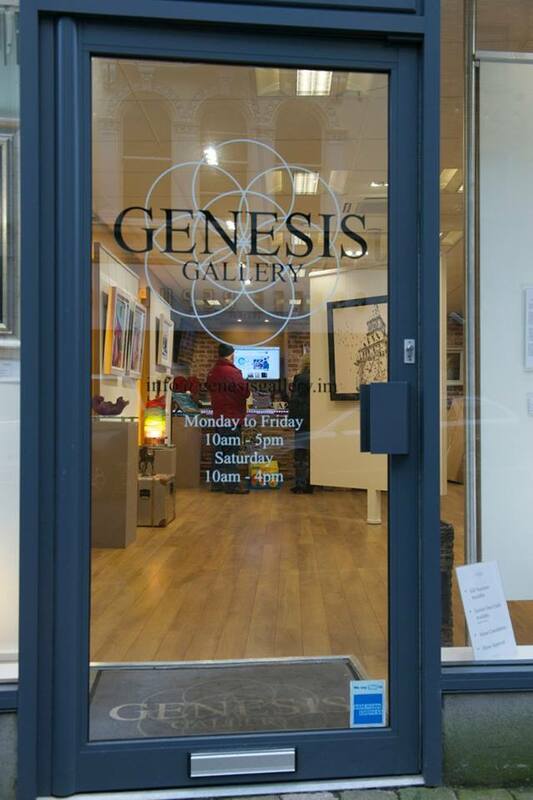 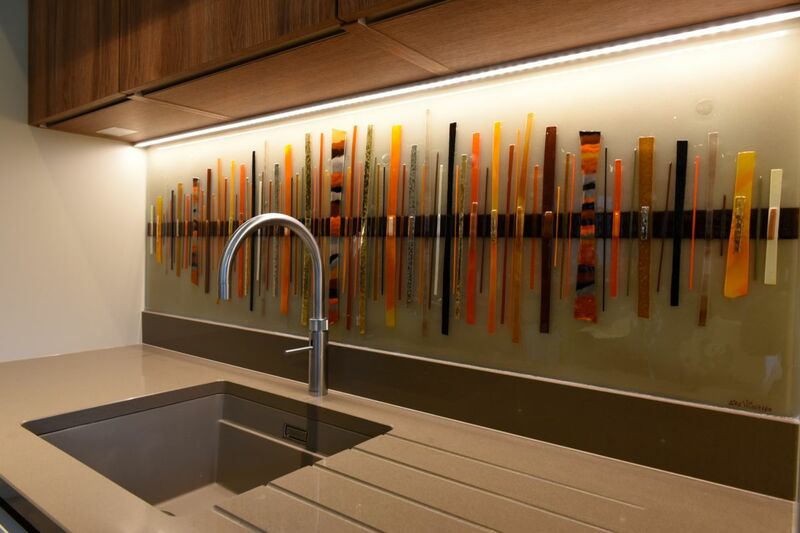 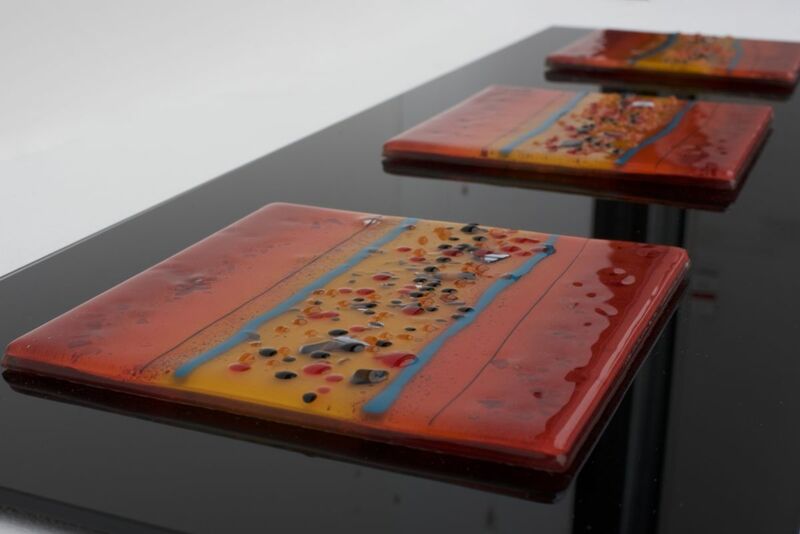 All we need to know is what kind of fused glass art you’re looking to have in your home, where you want to have it and what you’d like the design to be. 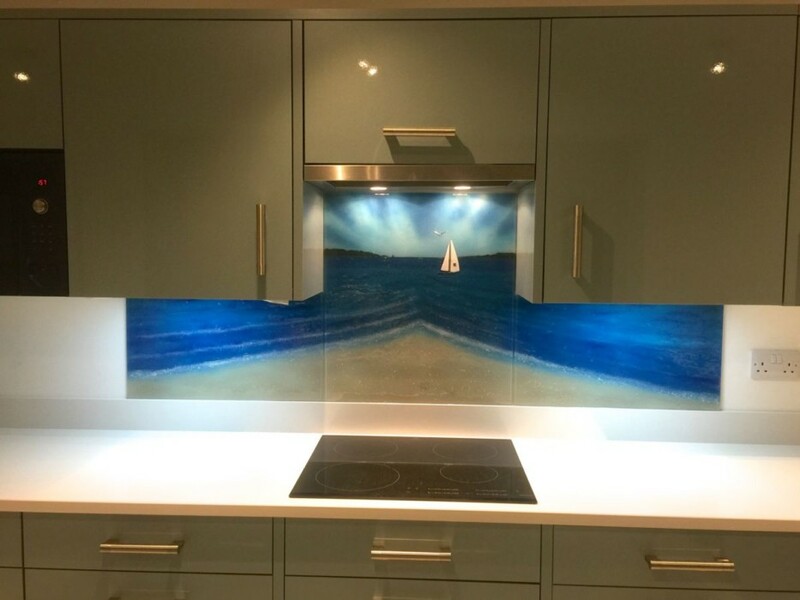 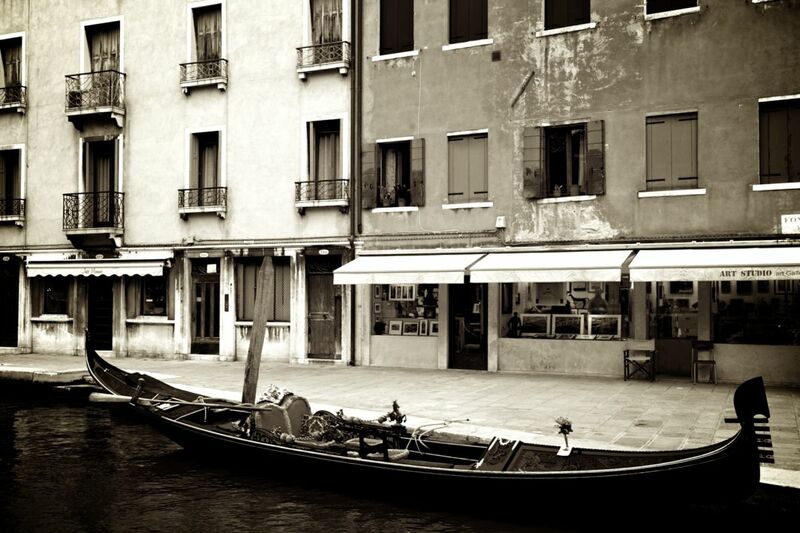 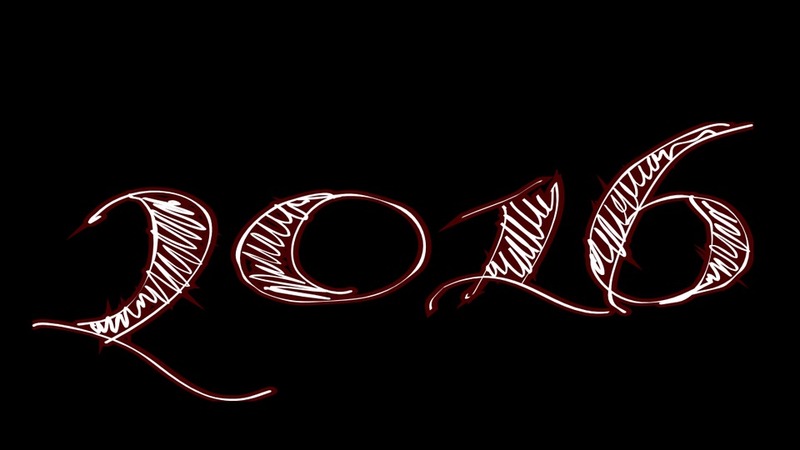 After that, it’s smooth sailing towards an end result that you’re guaranteed to love. 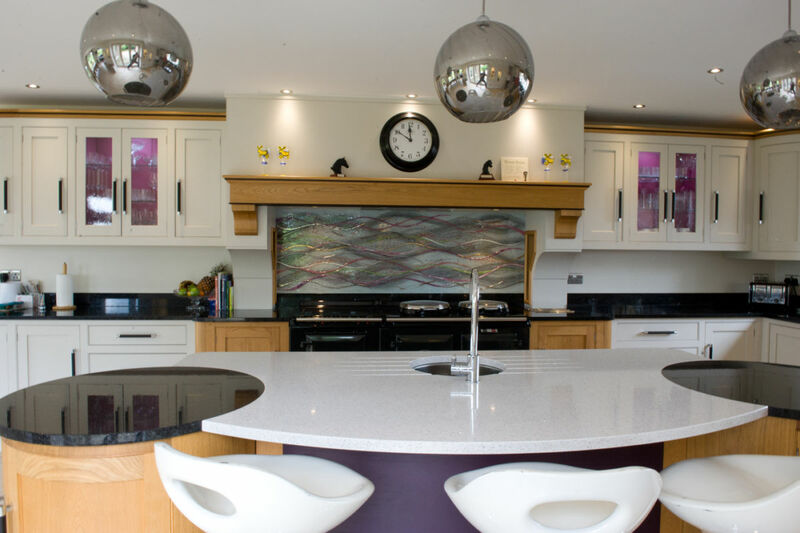 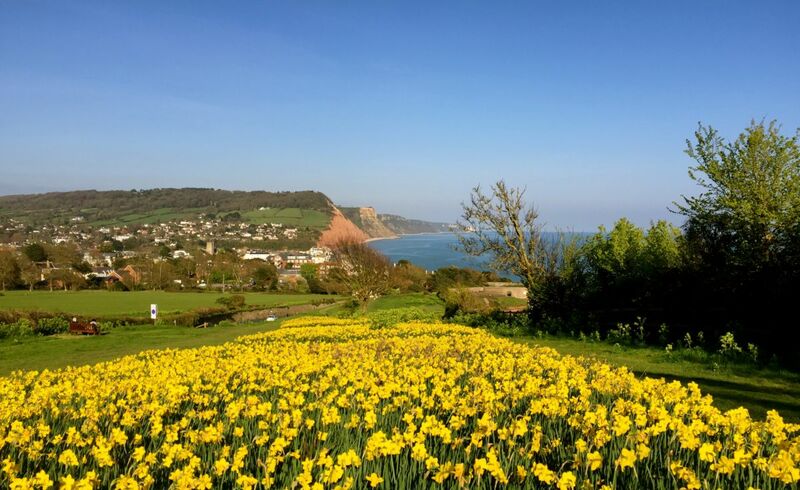 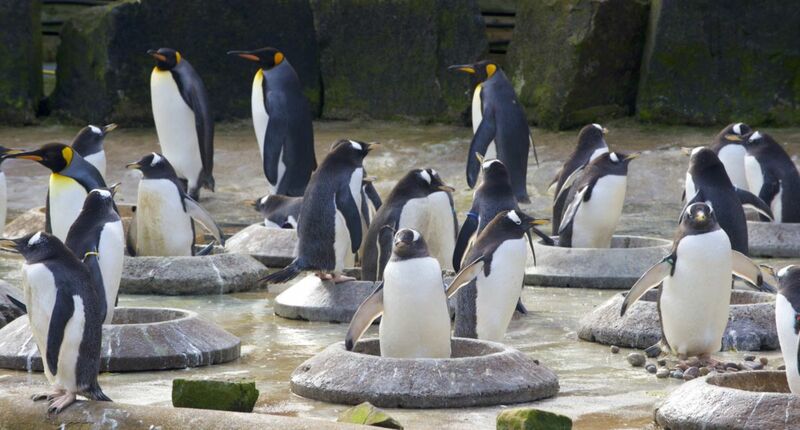 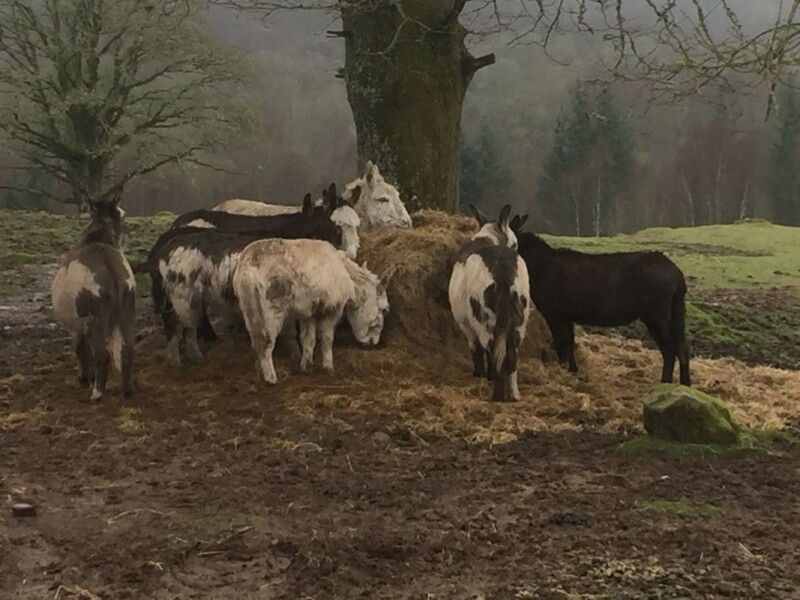 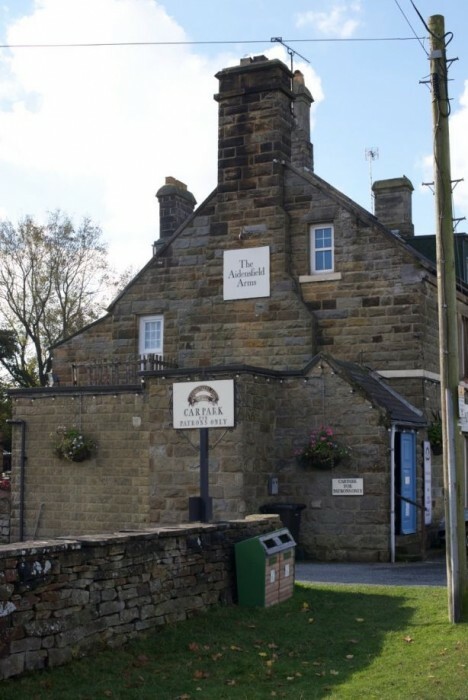 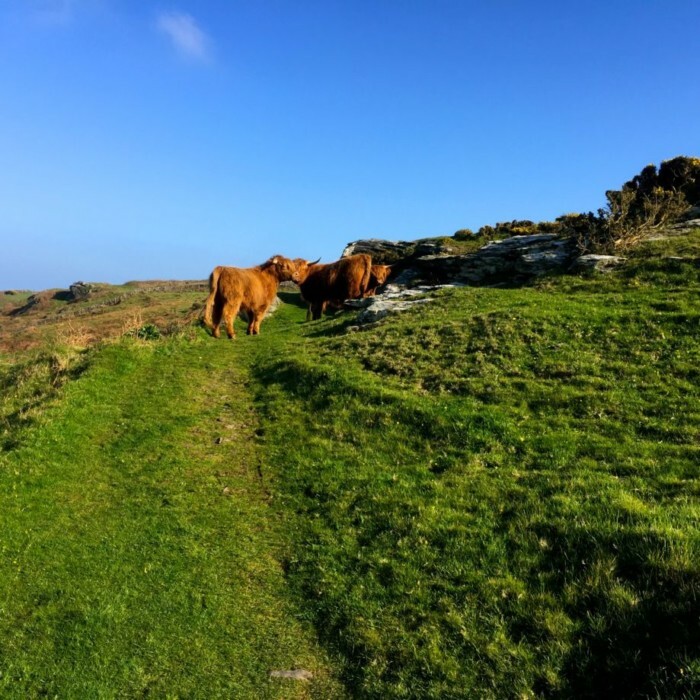 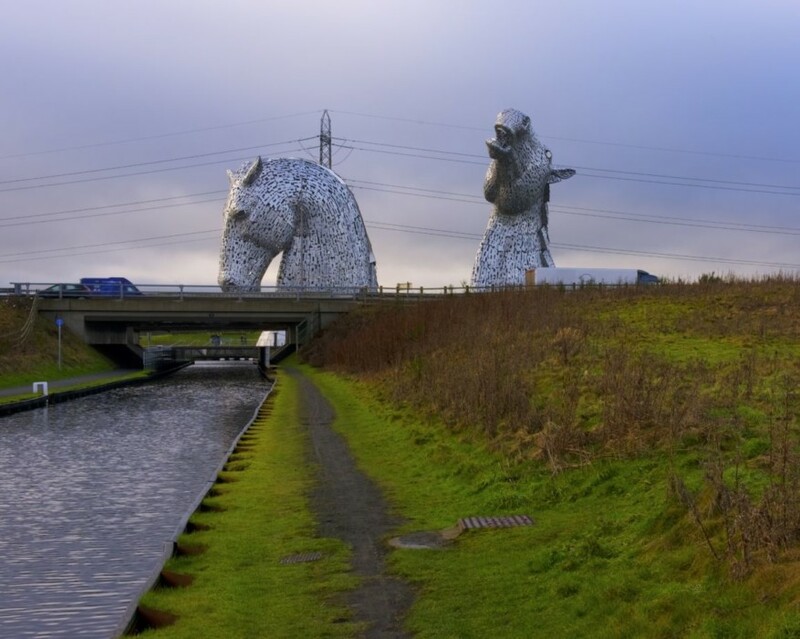 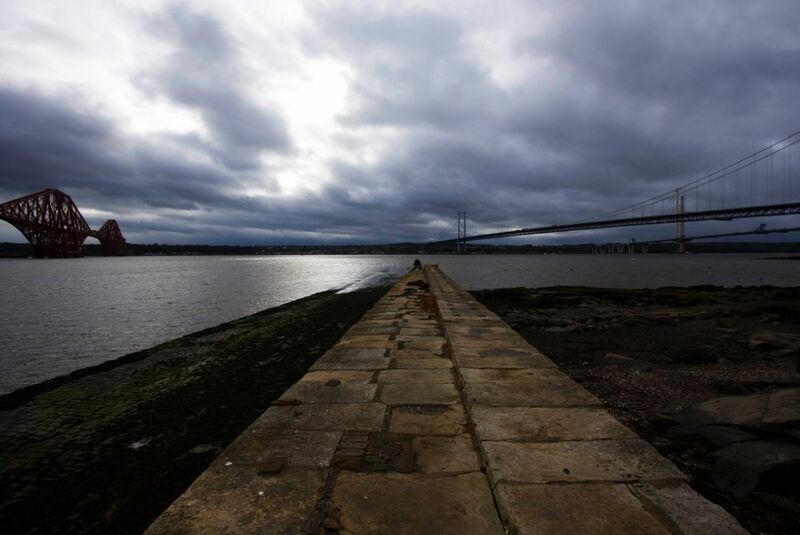 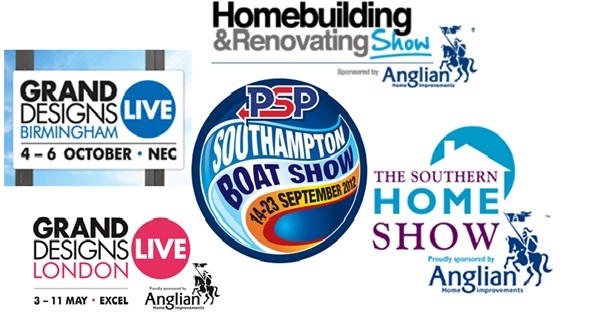 Make sure you don’t wait to get in touch, either by dropping us an email or picking up the phone for a chat!